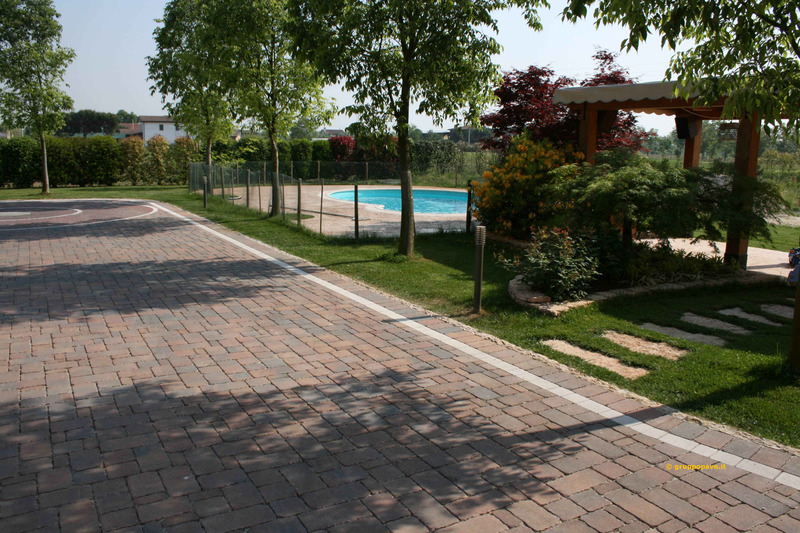 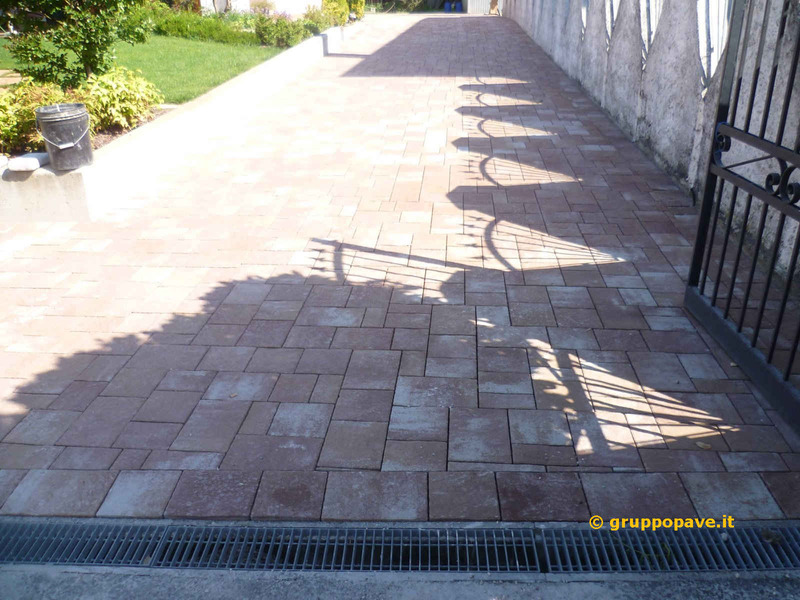 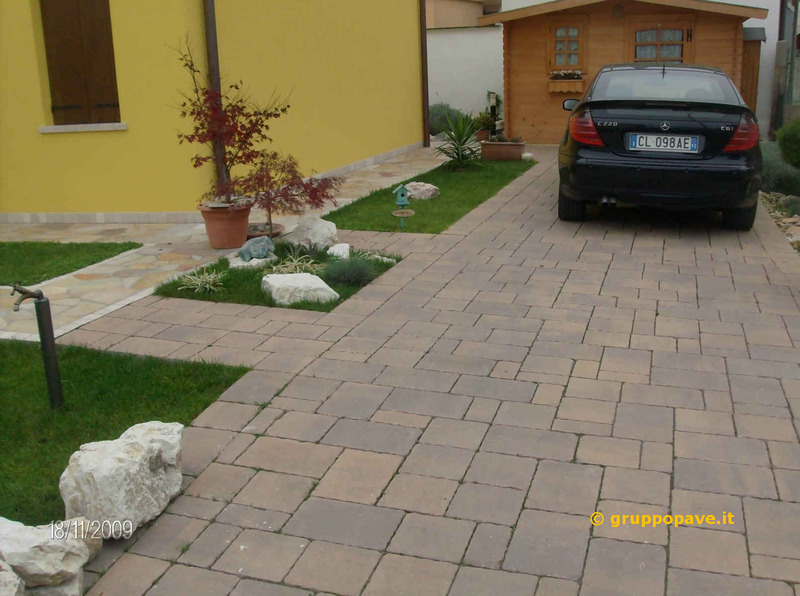 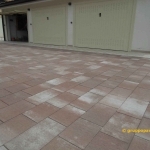 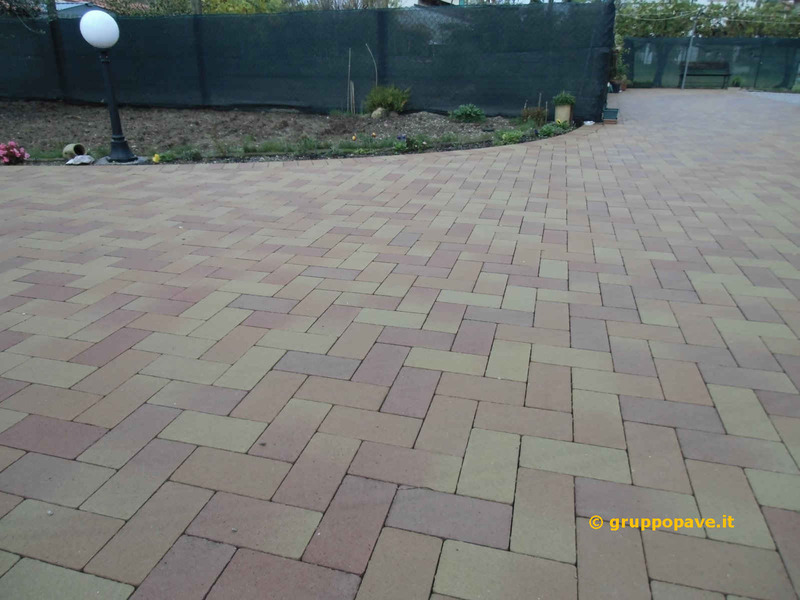 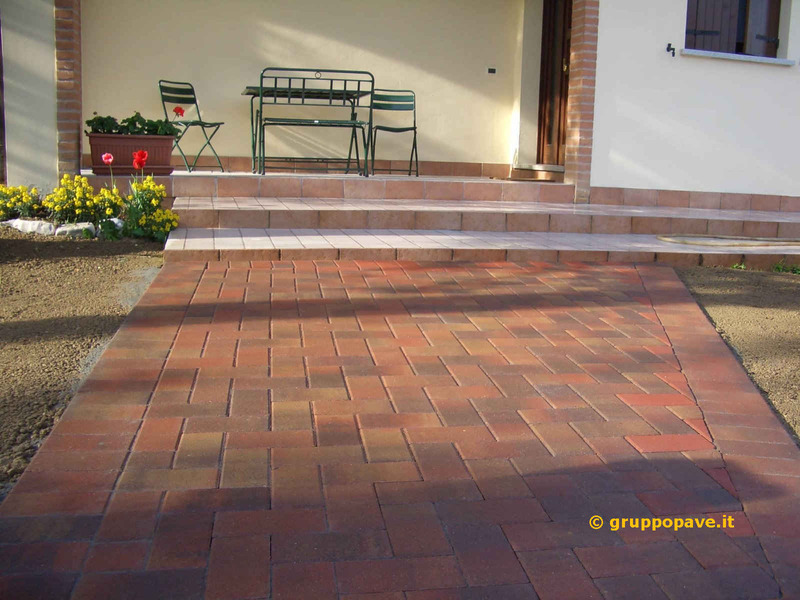 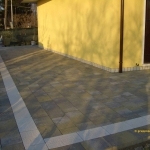 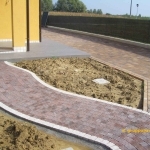 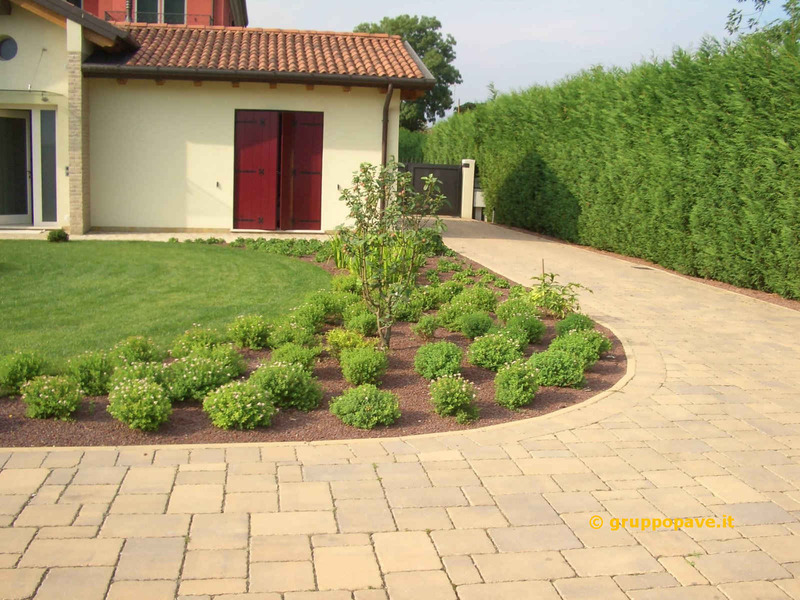 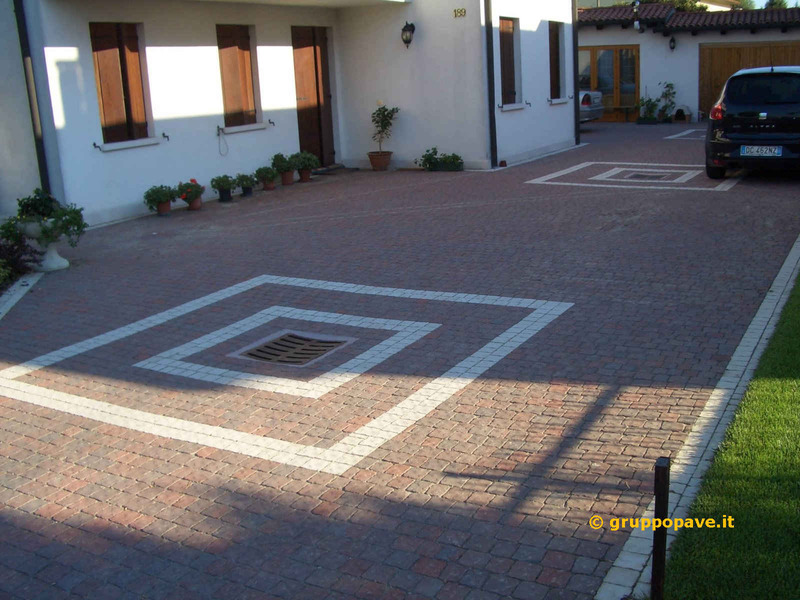 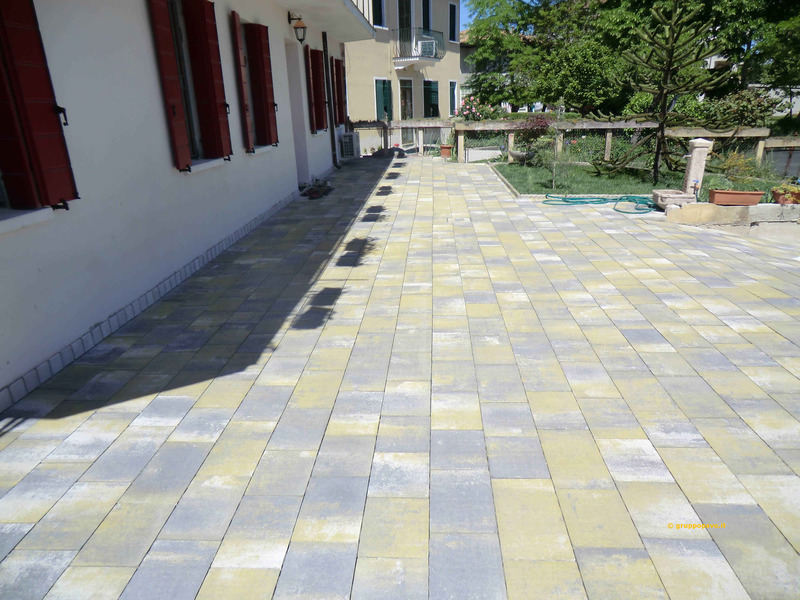 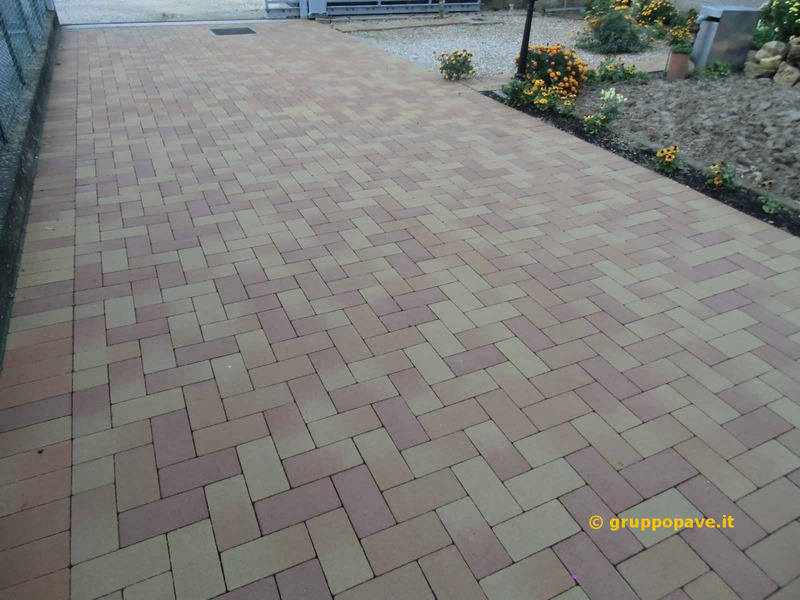 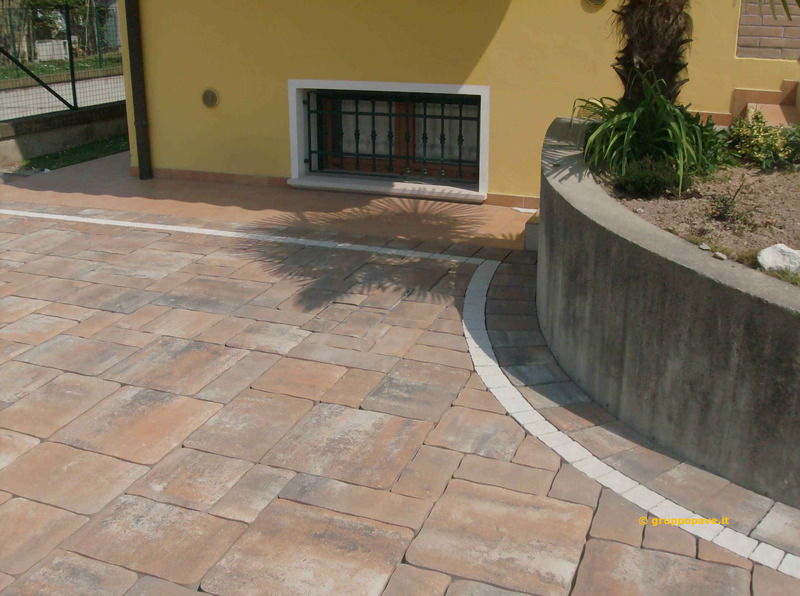 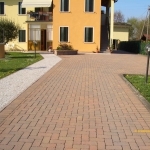 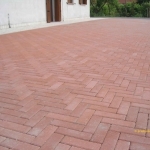 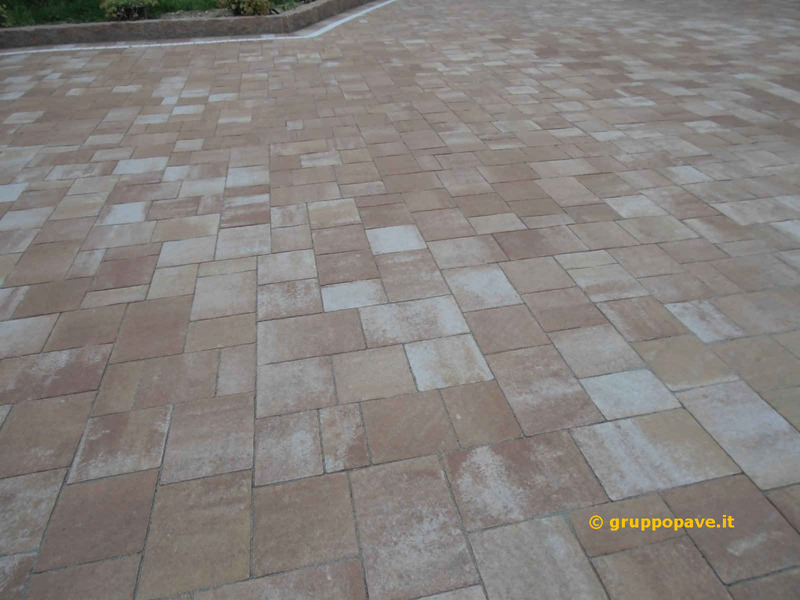 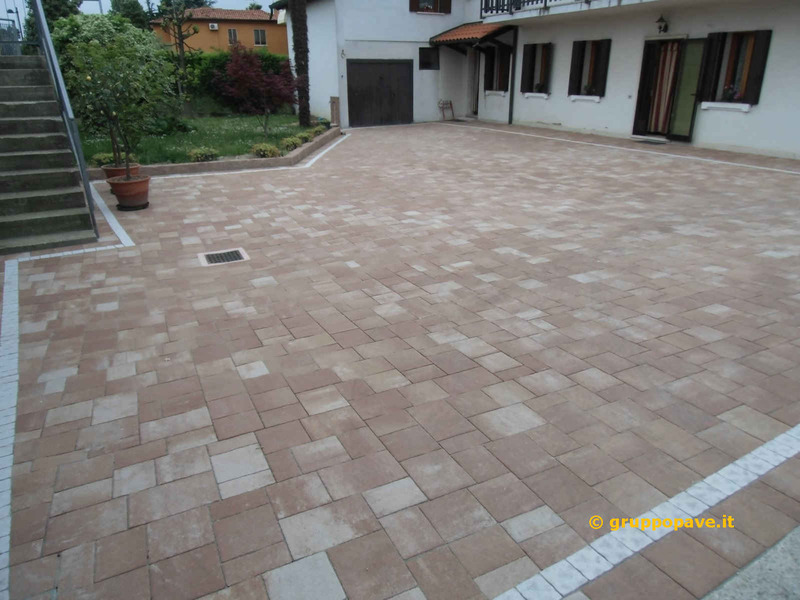 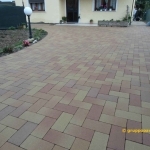 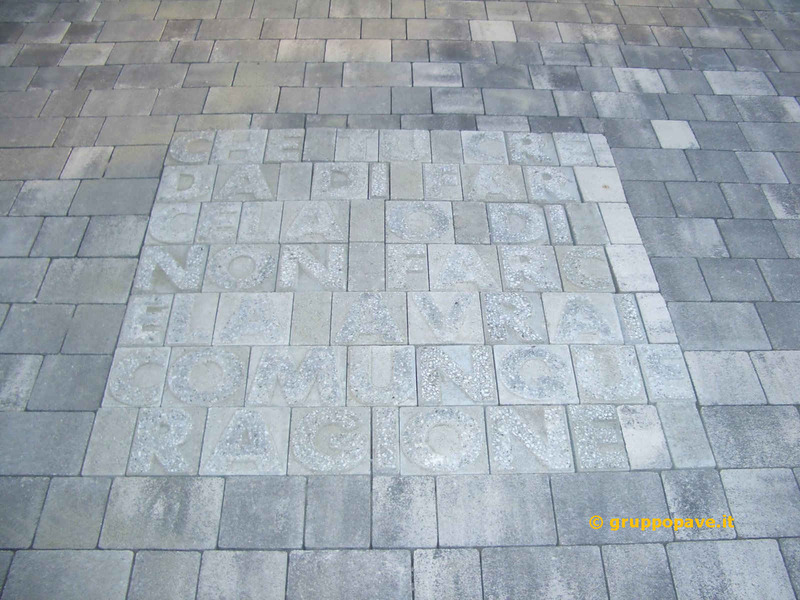 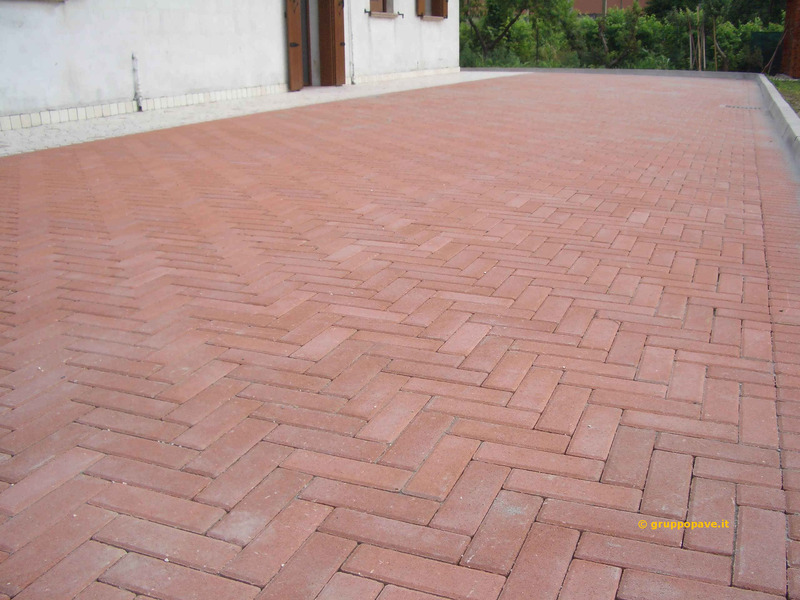 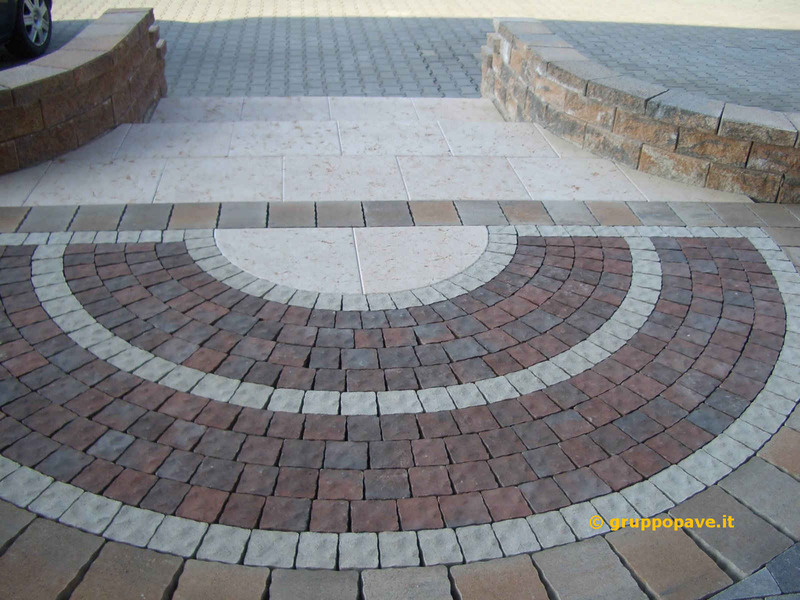 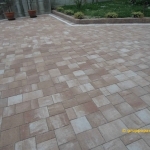 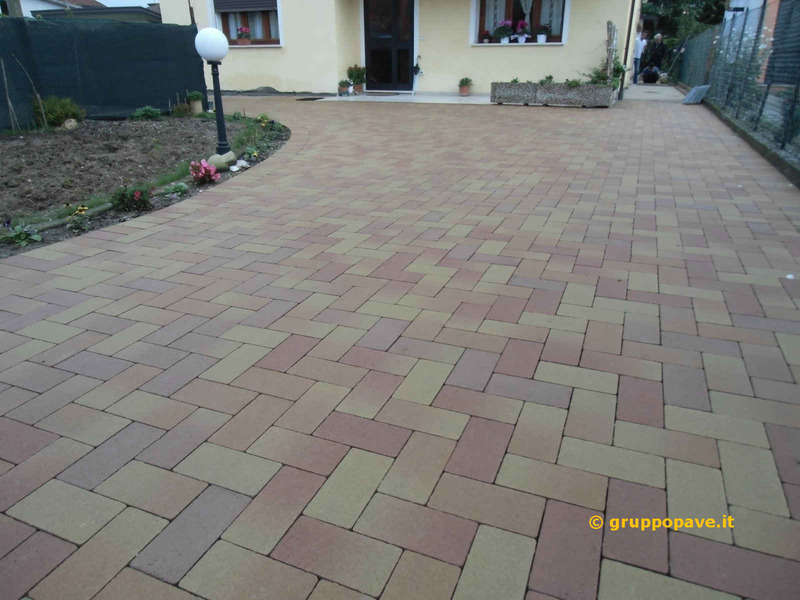 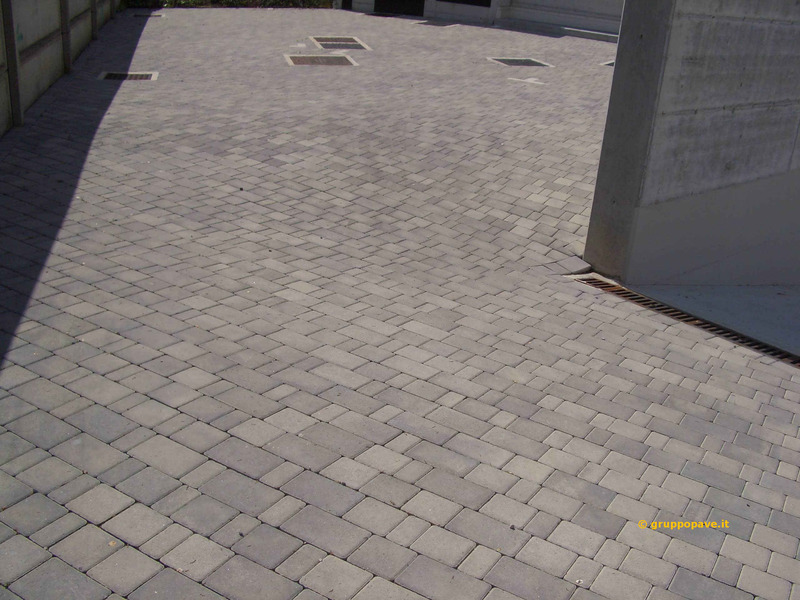 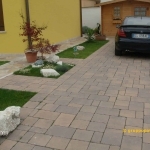 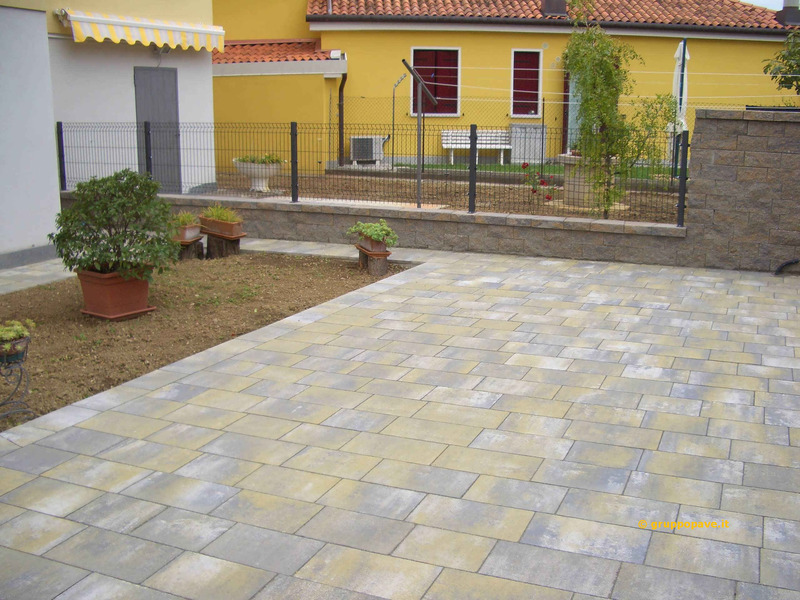 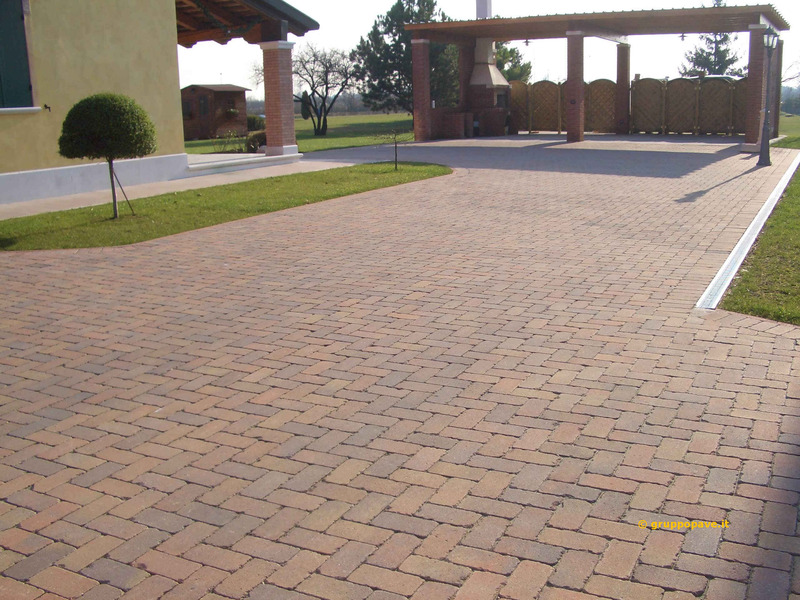 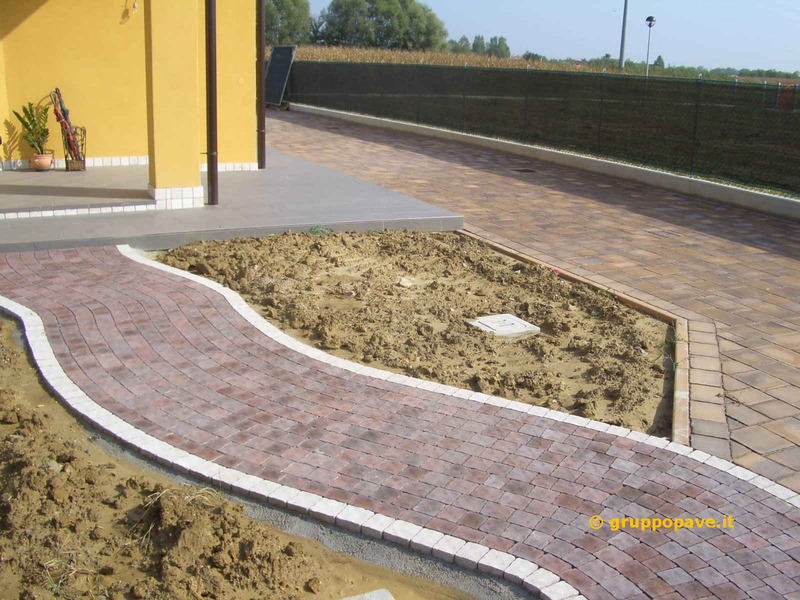 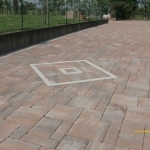 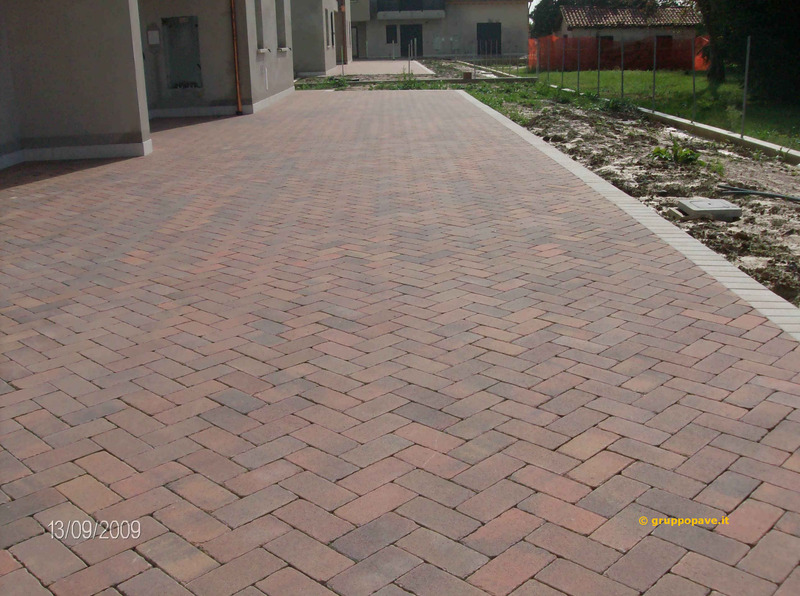 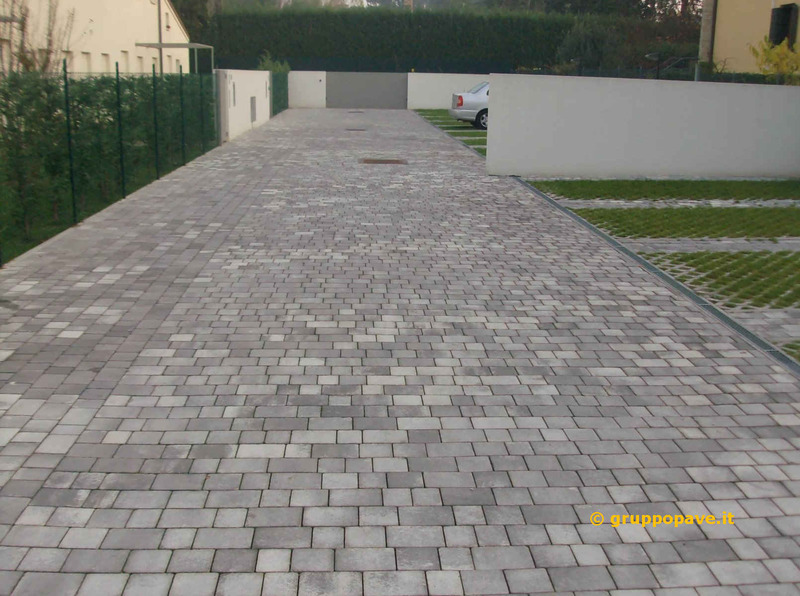 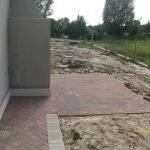 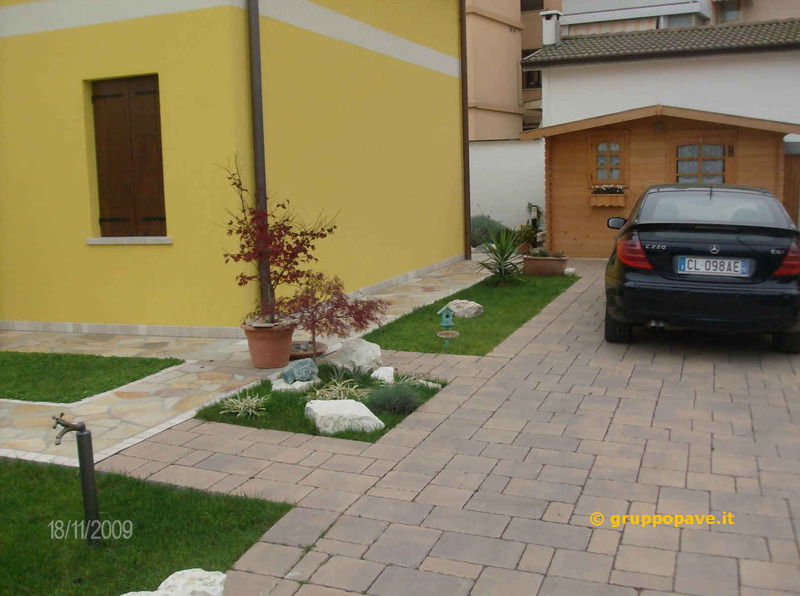 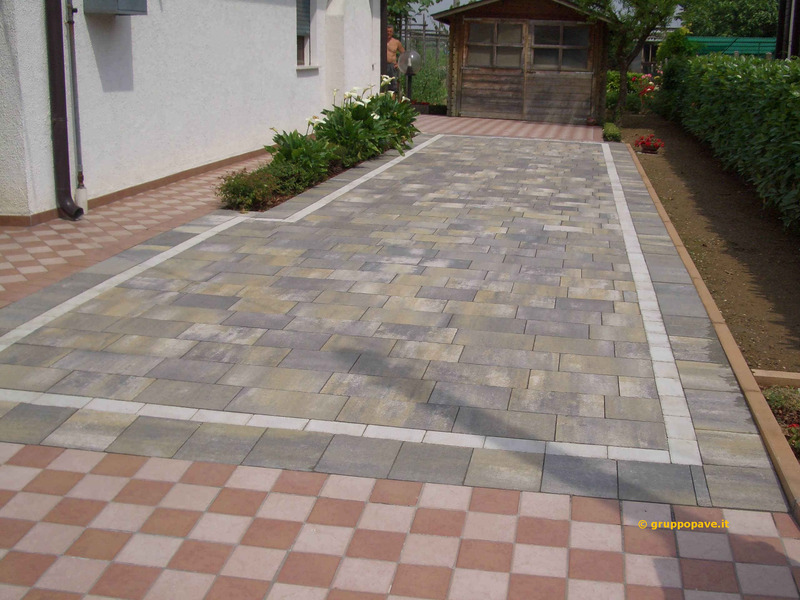 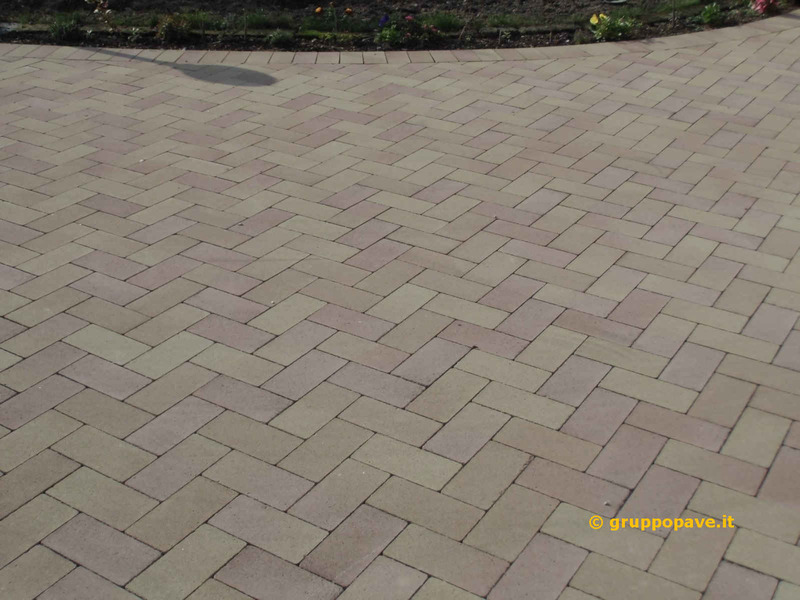 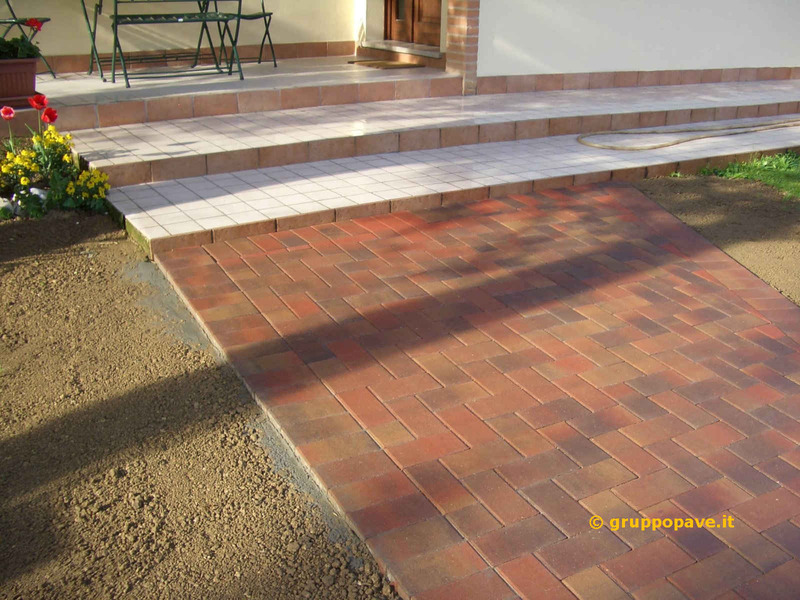 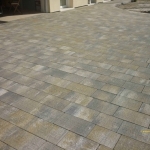 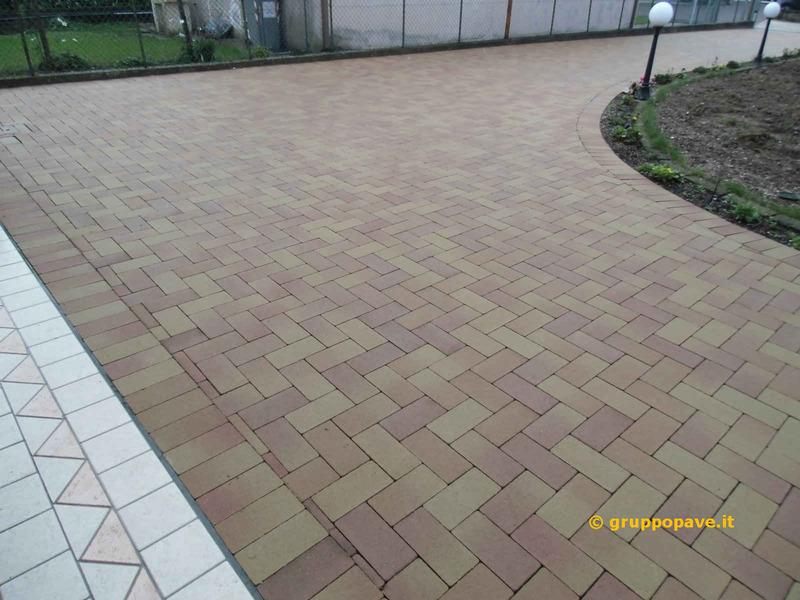 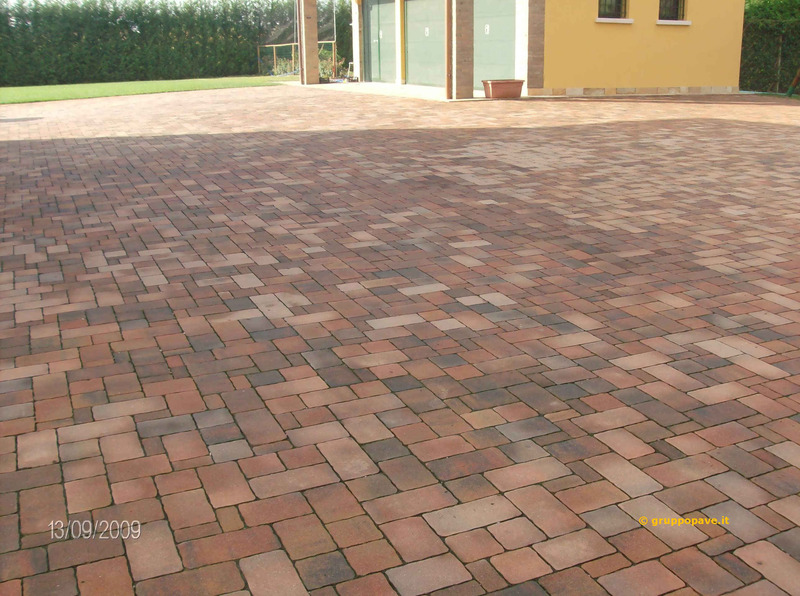 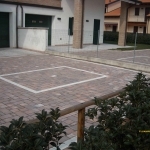 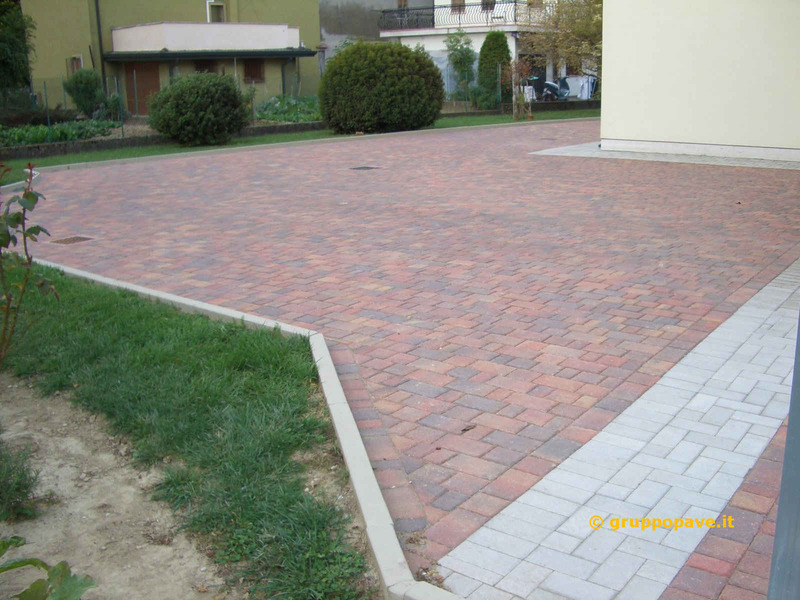 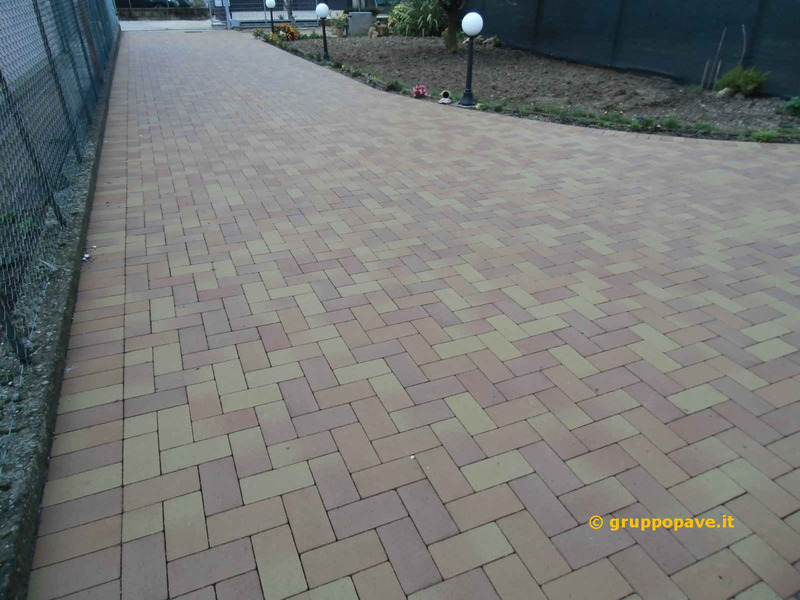 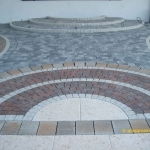 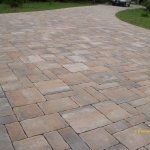 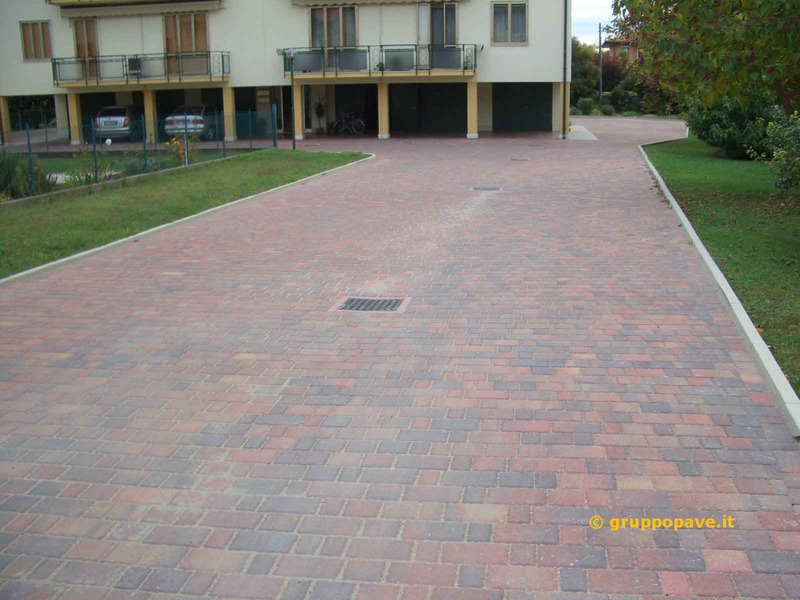 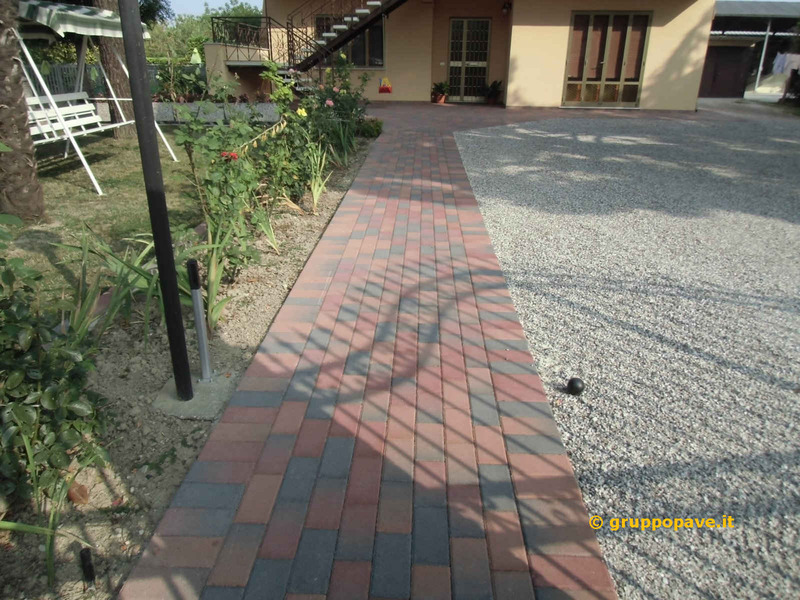 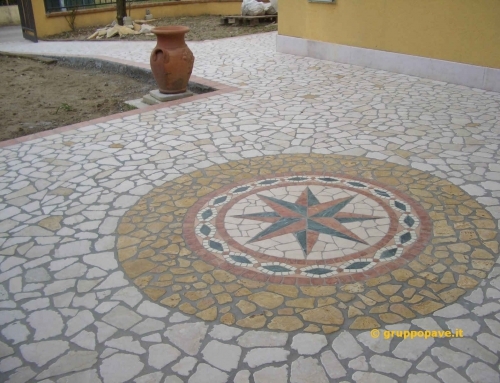 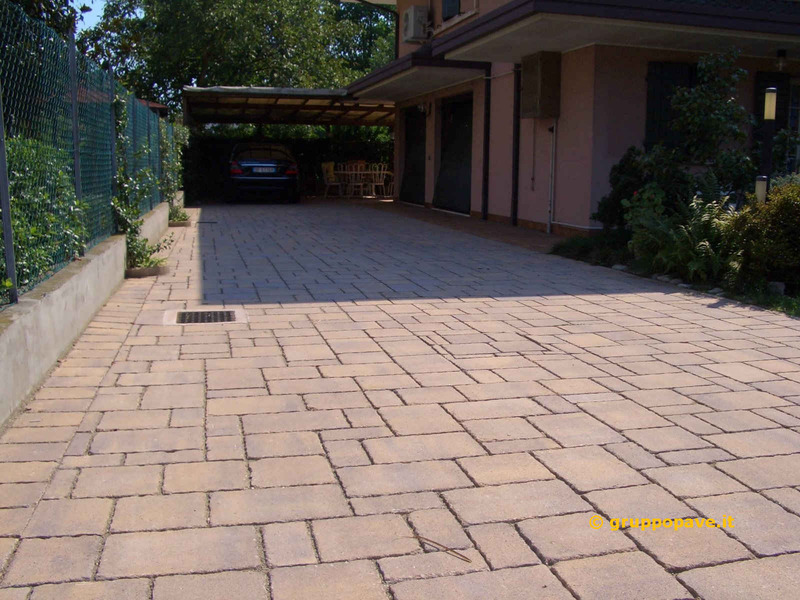 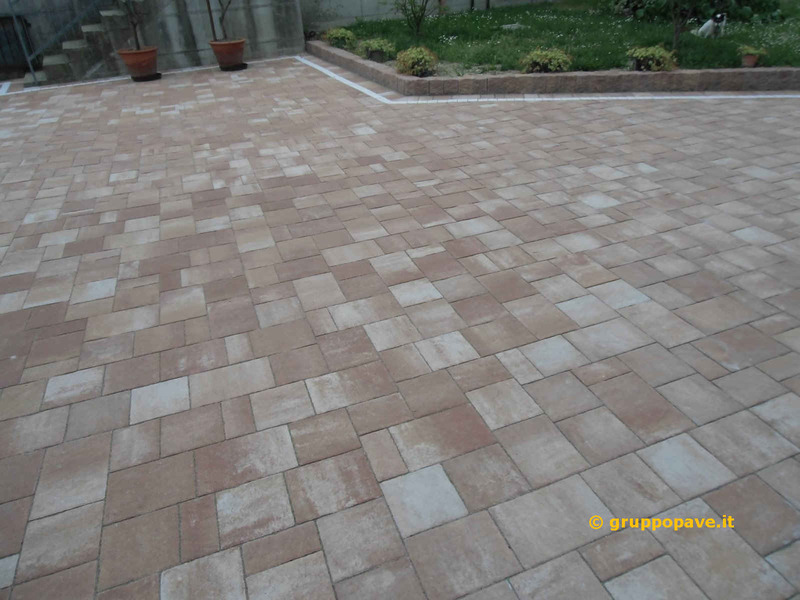 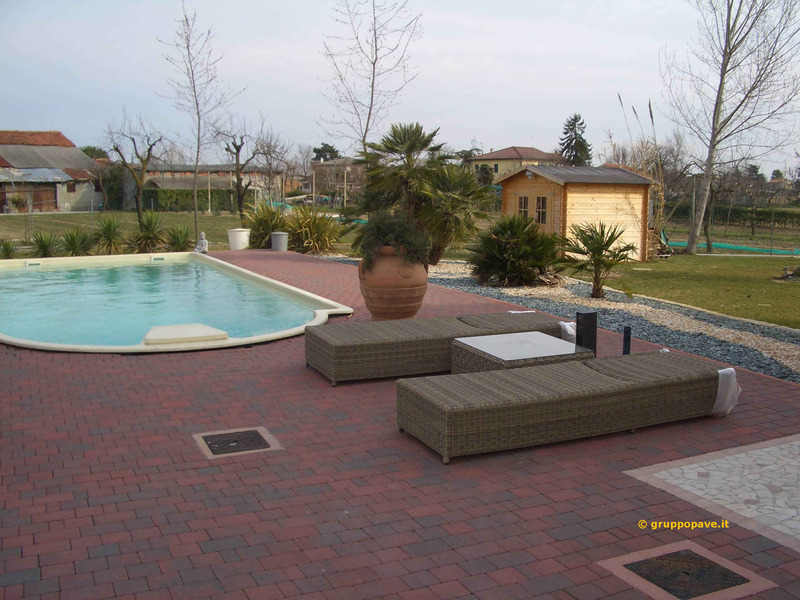 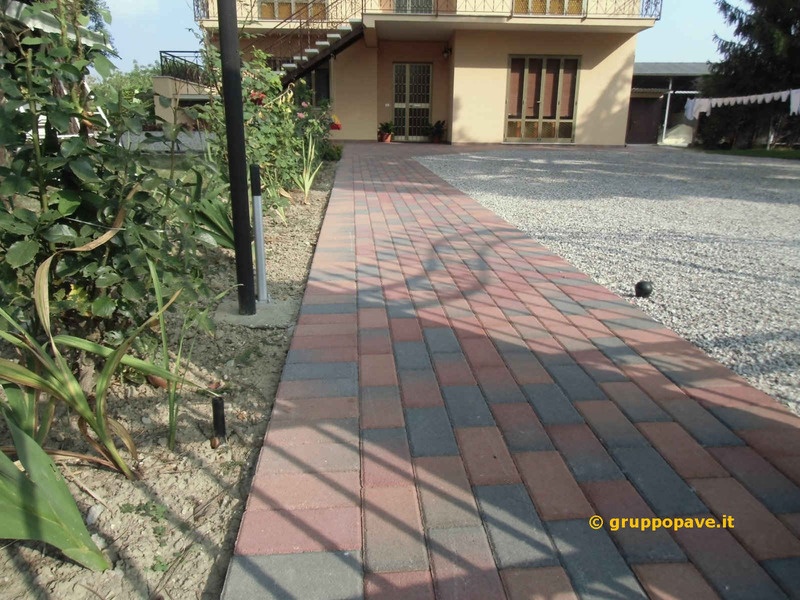 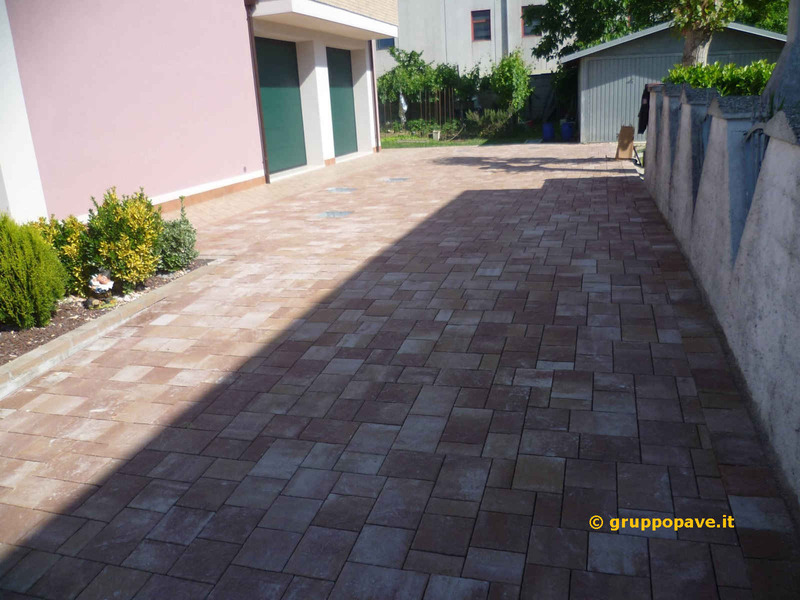 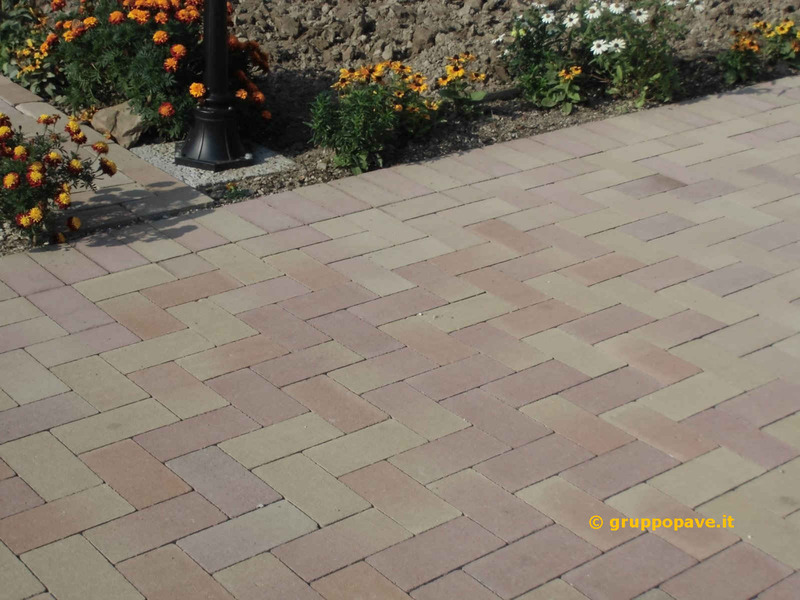 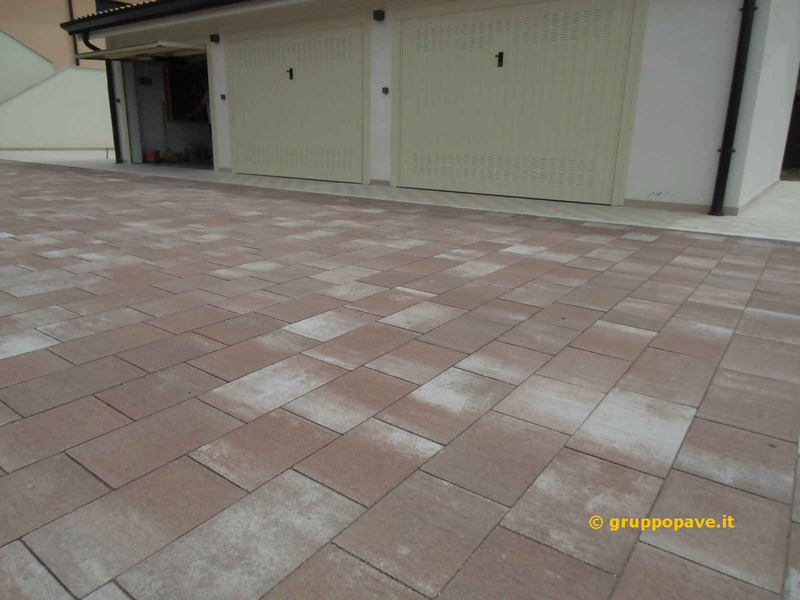 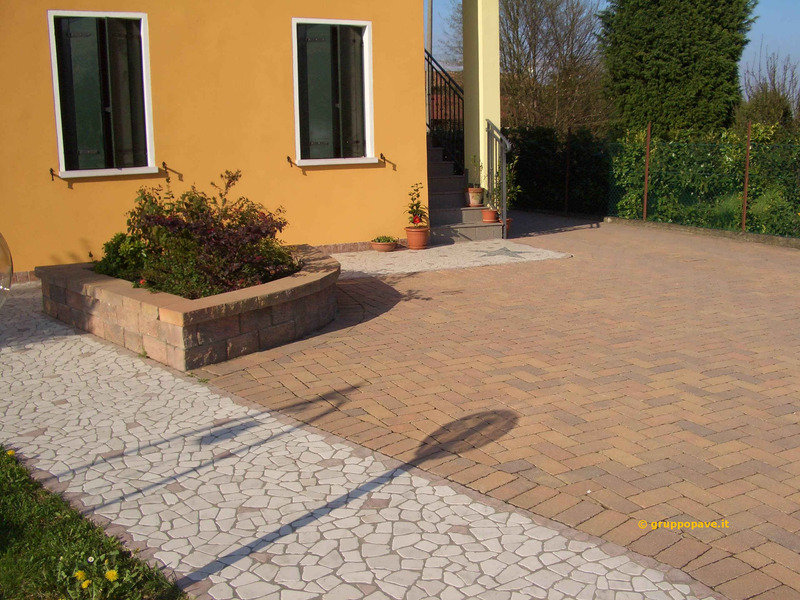 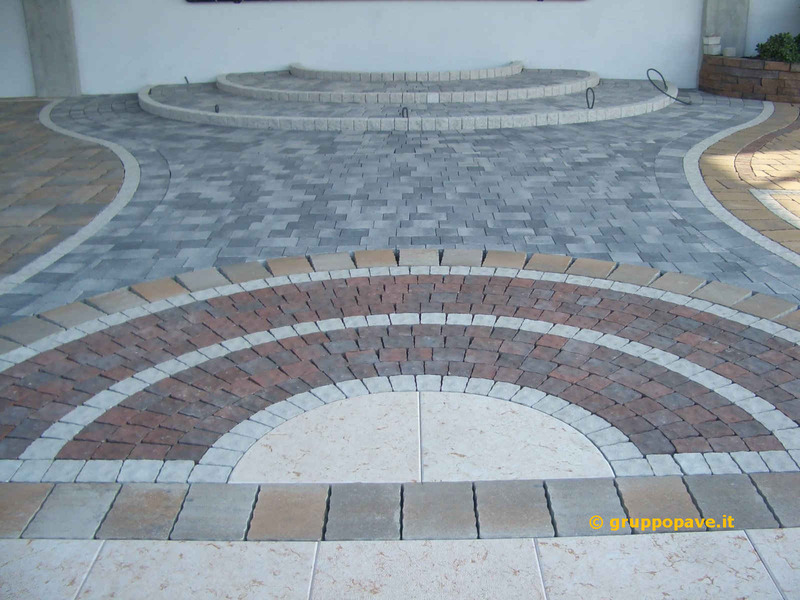 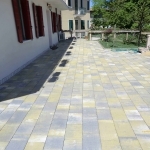 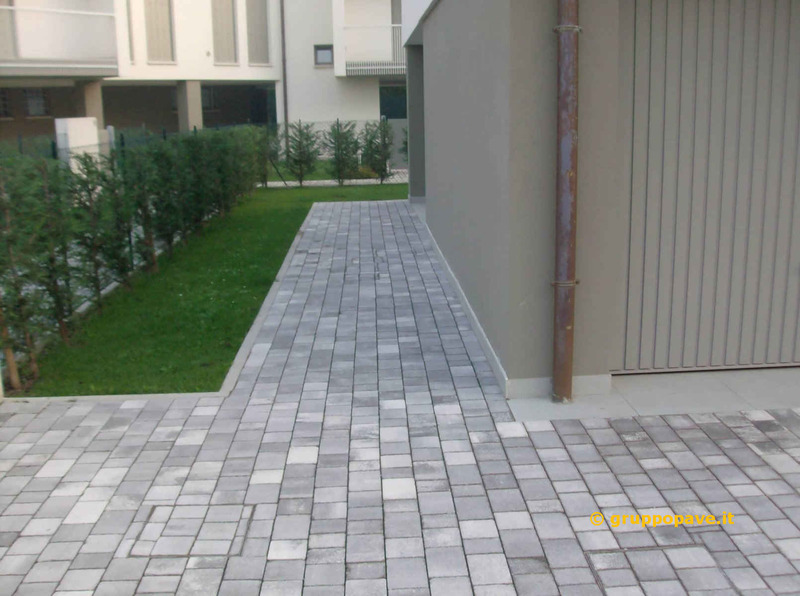 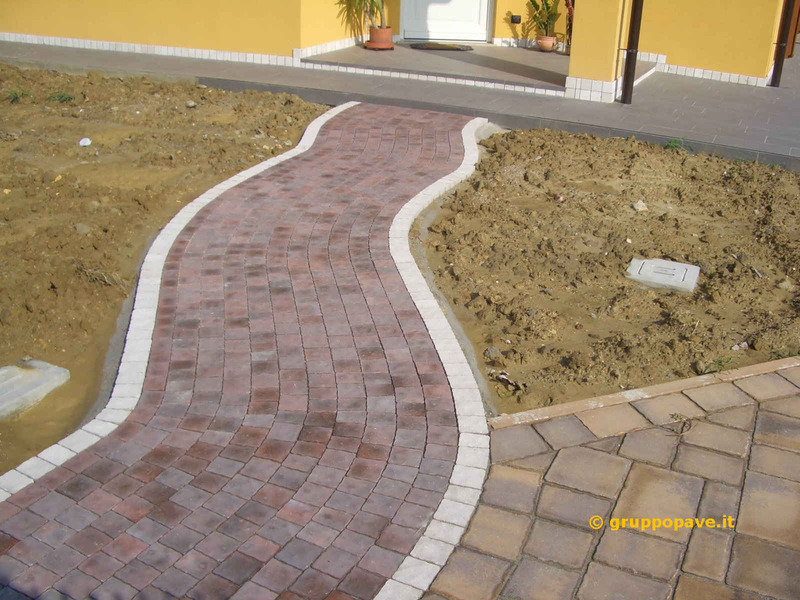 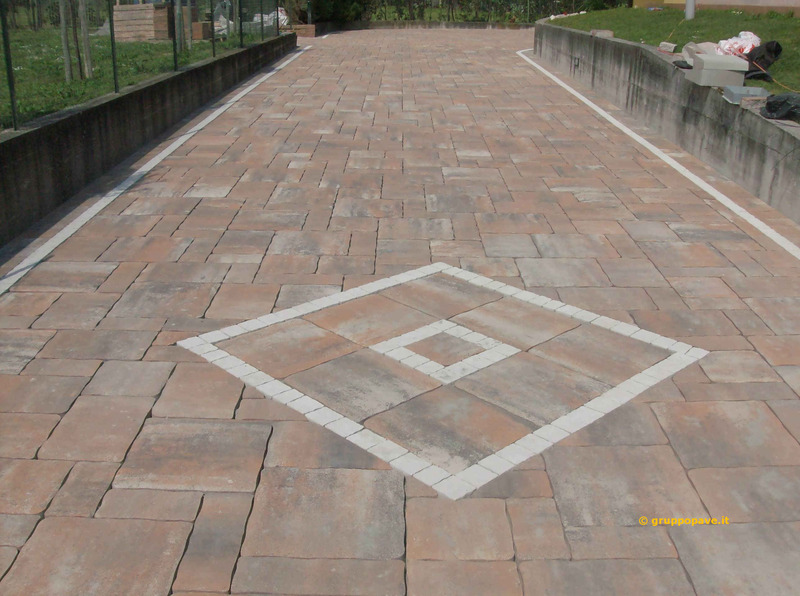 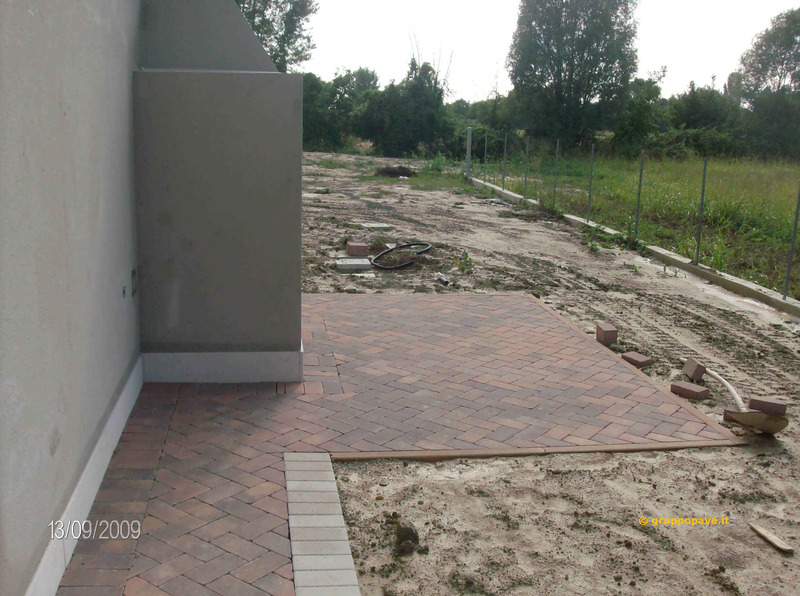 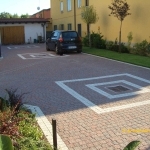 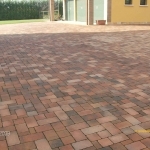 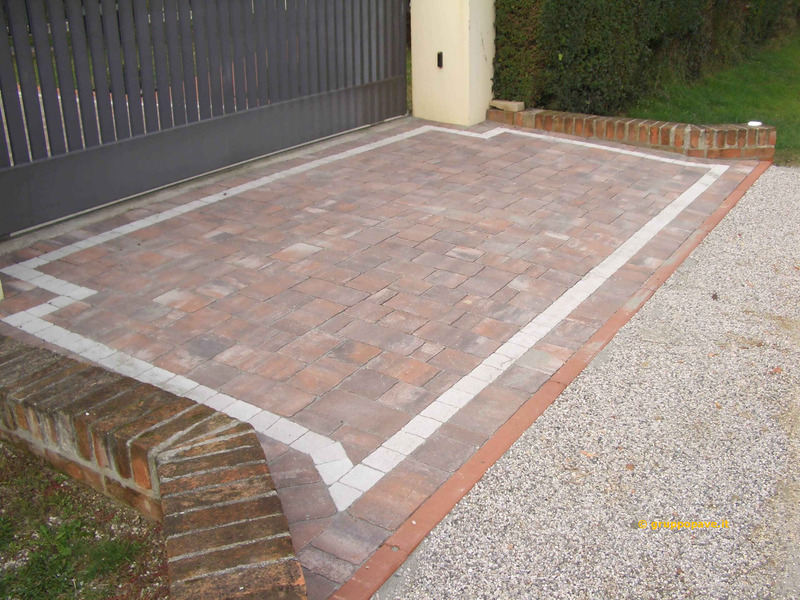 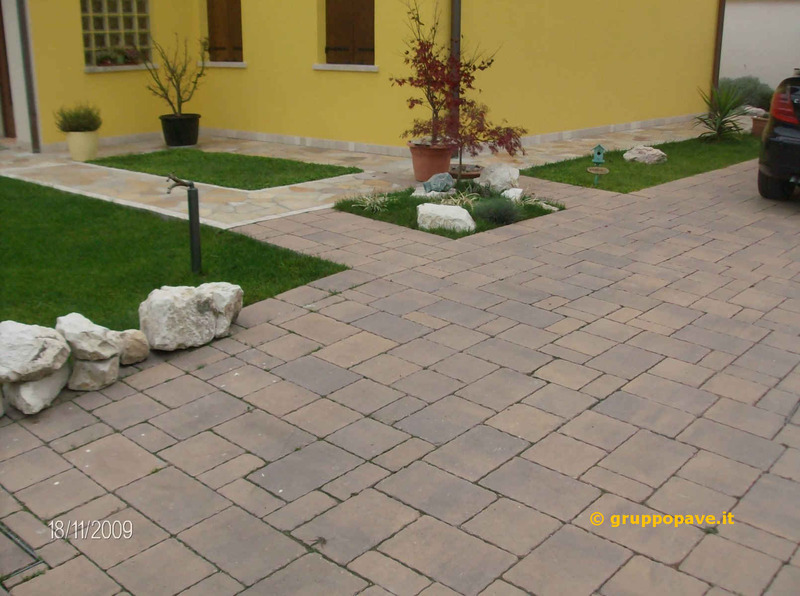 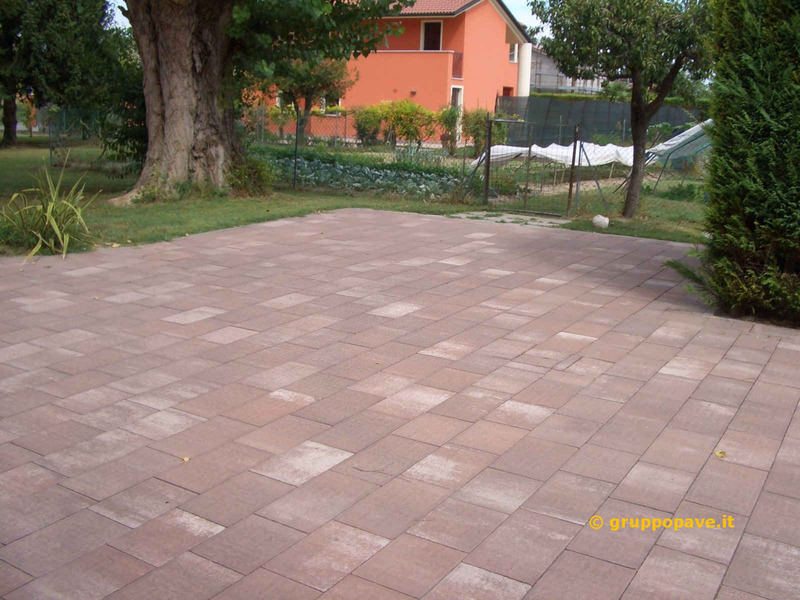 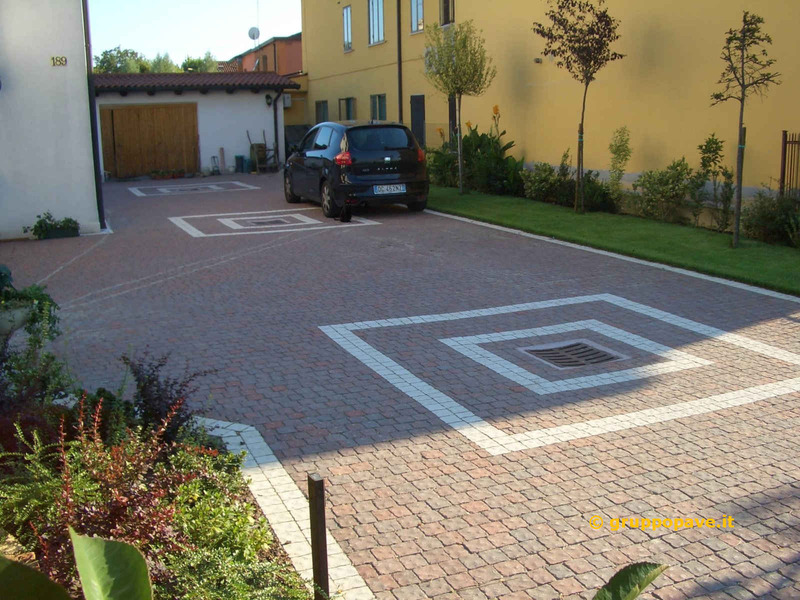 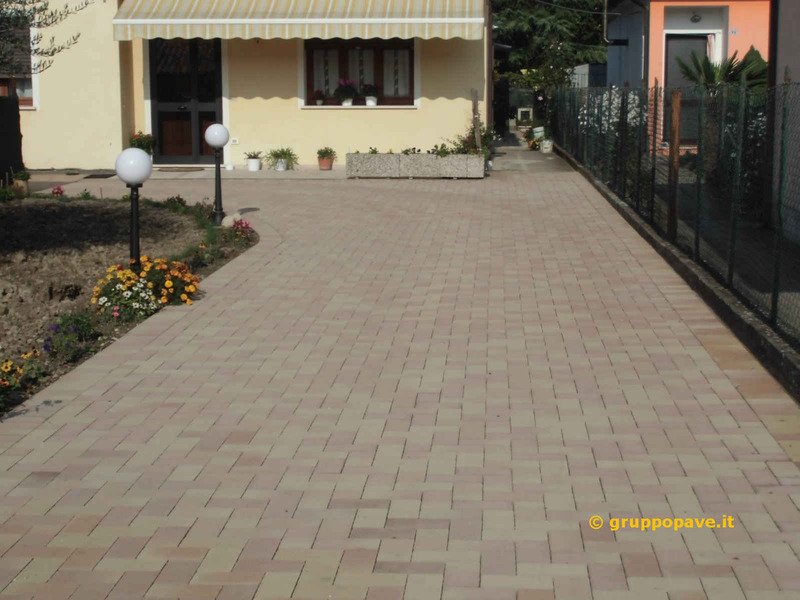 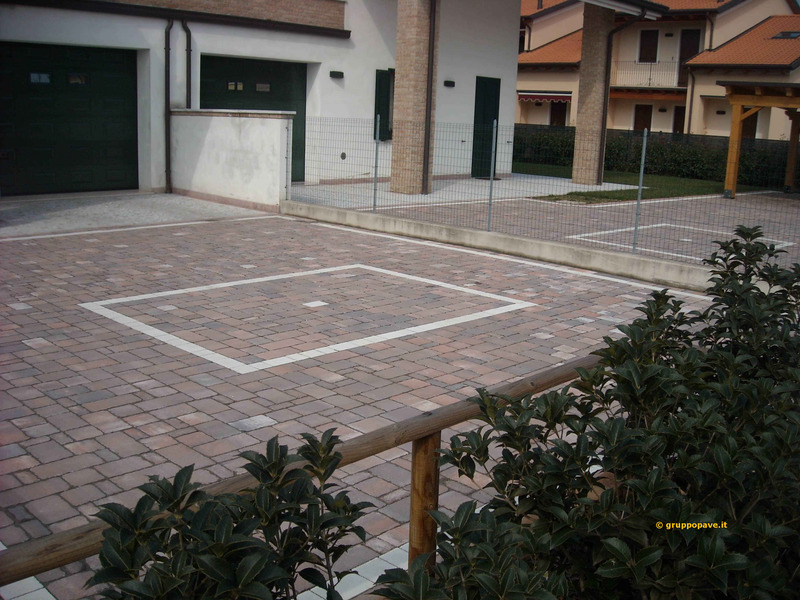 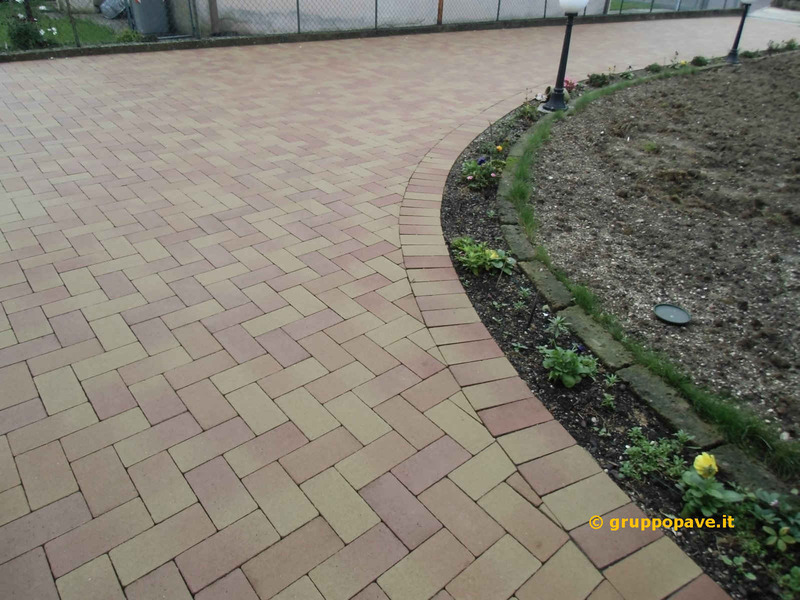 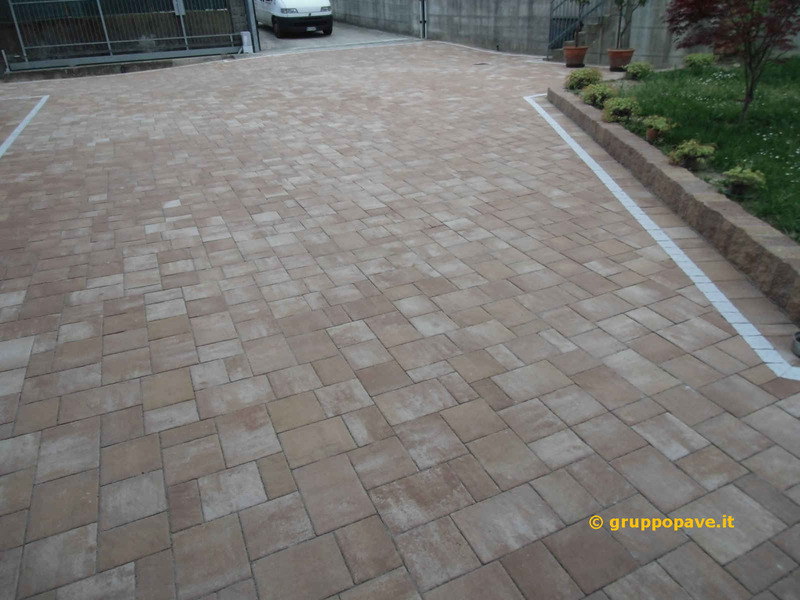 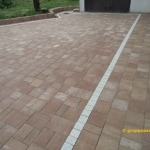 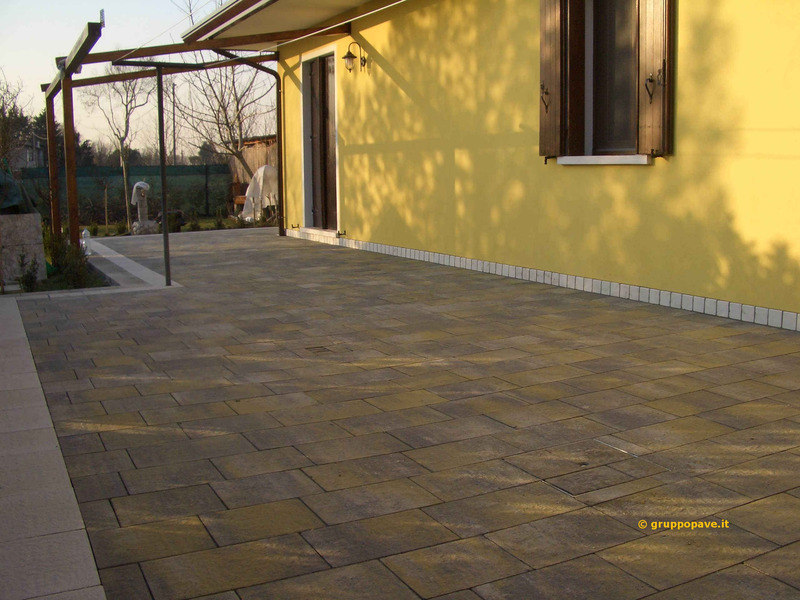 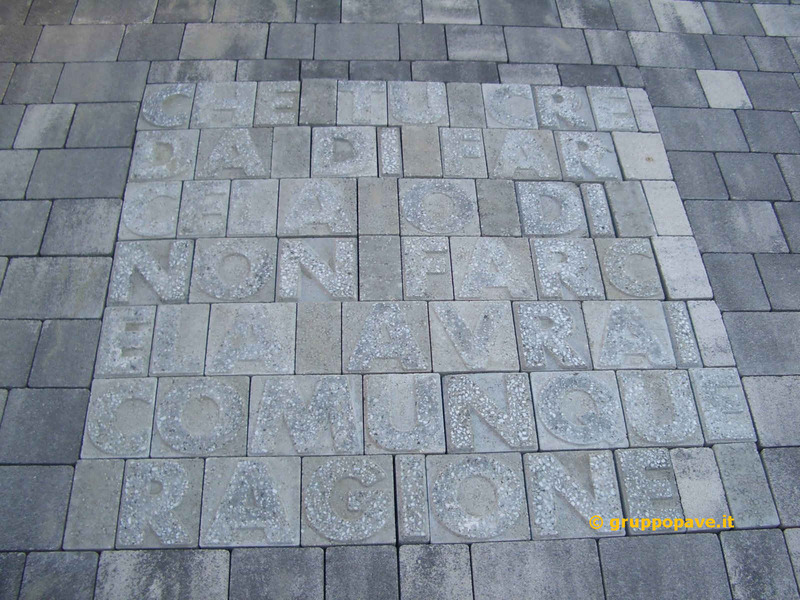 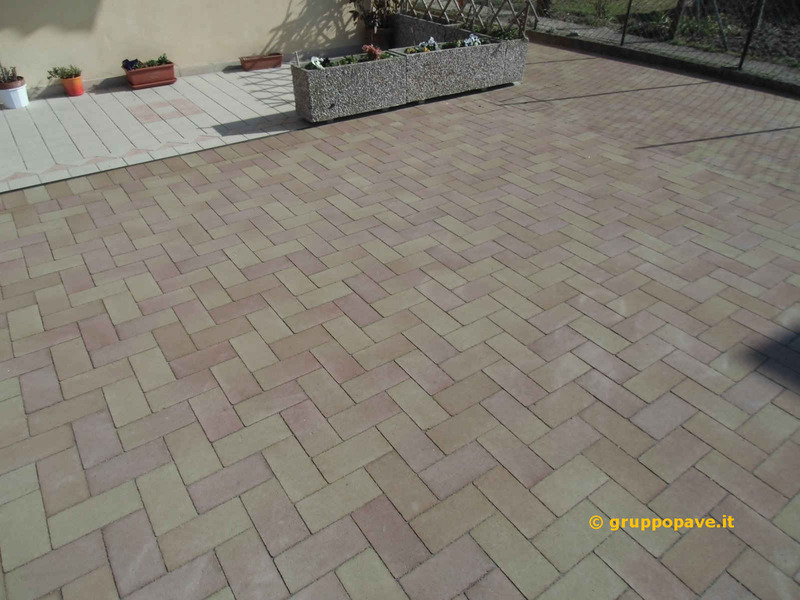 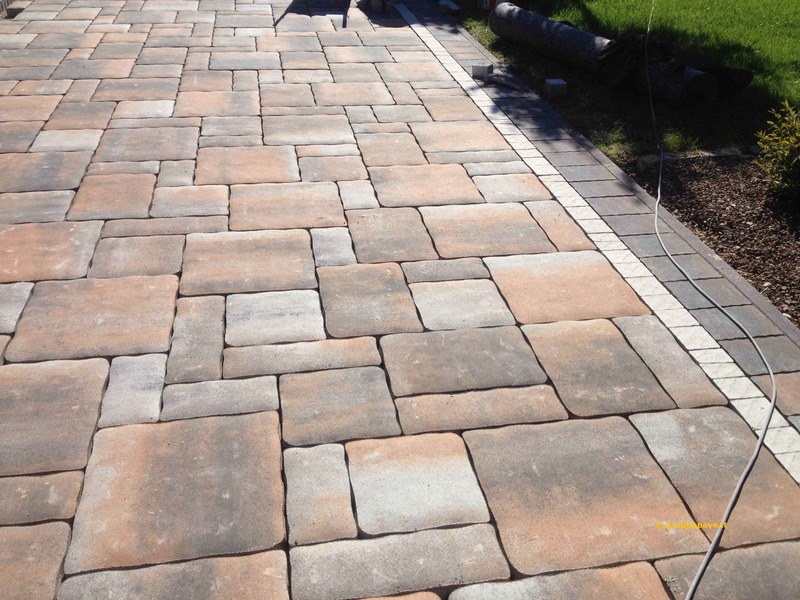 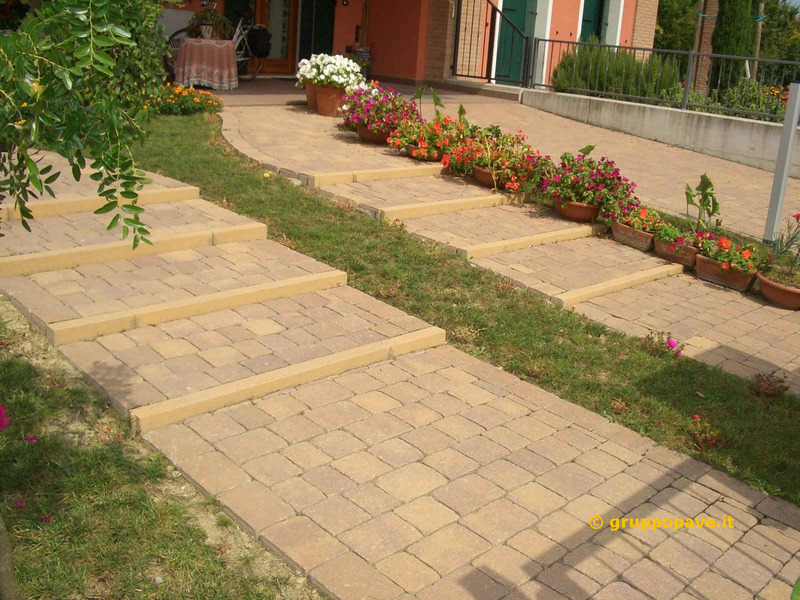 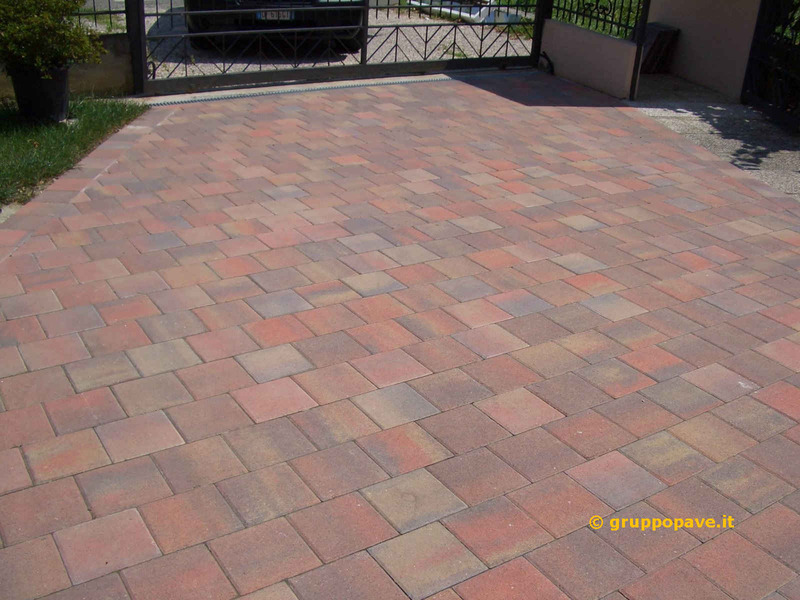 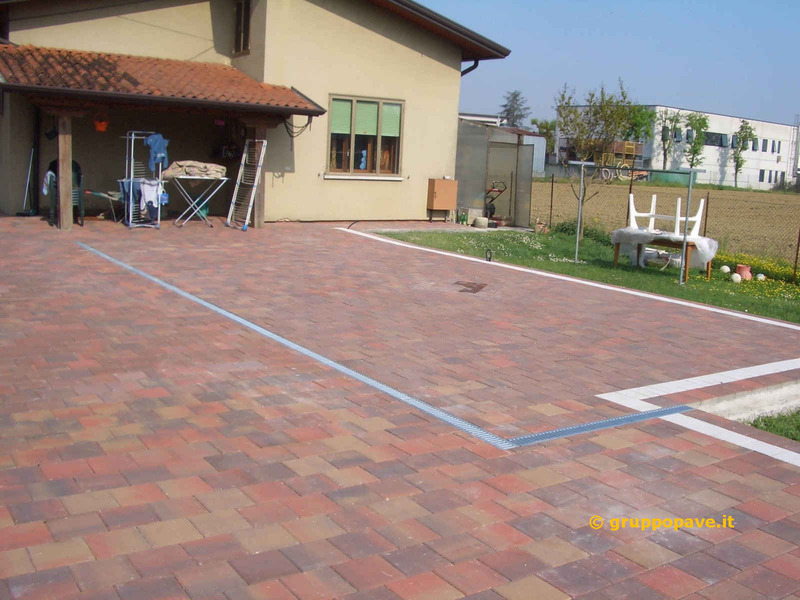 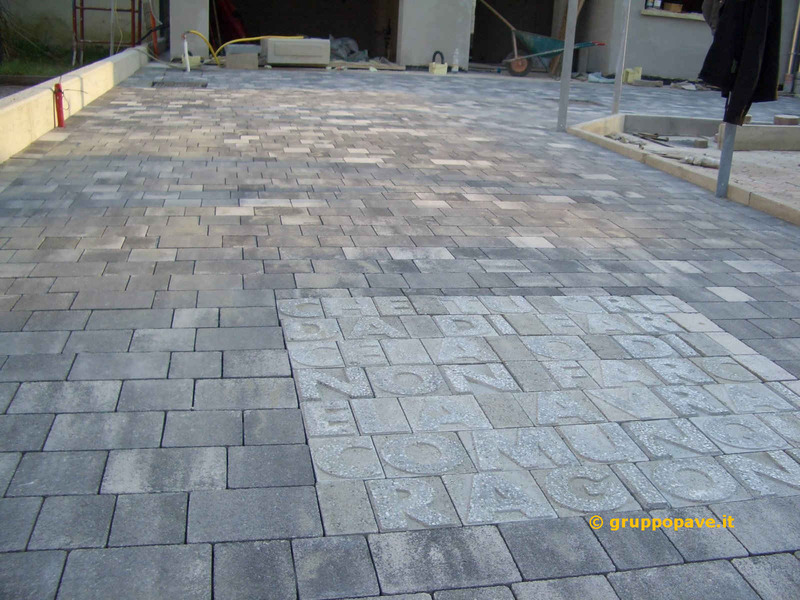 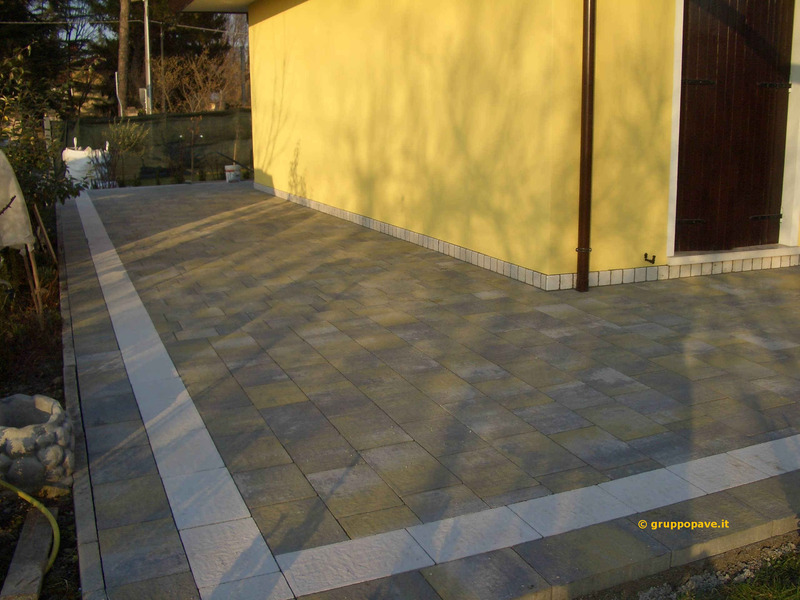 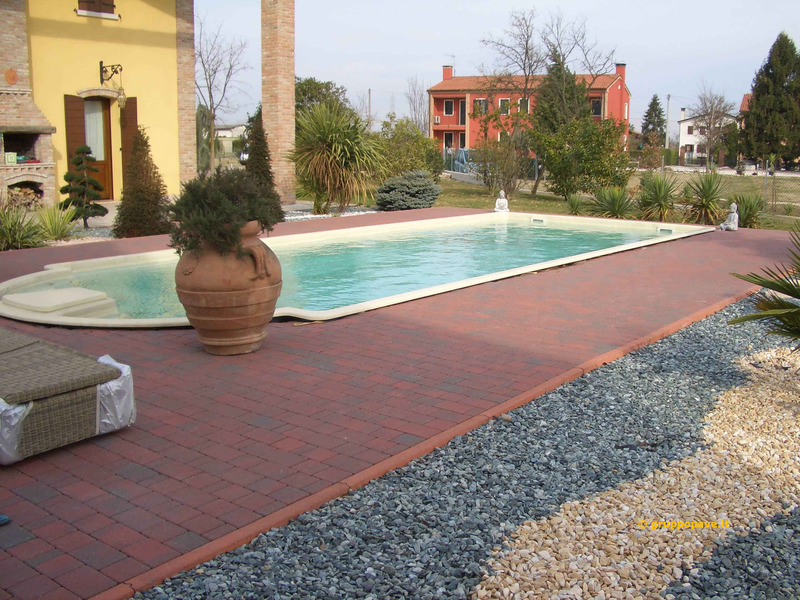 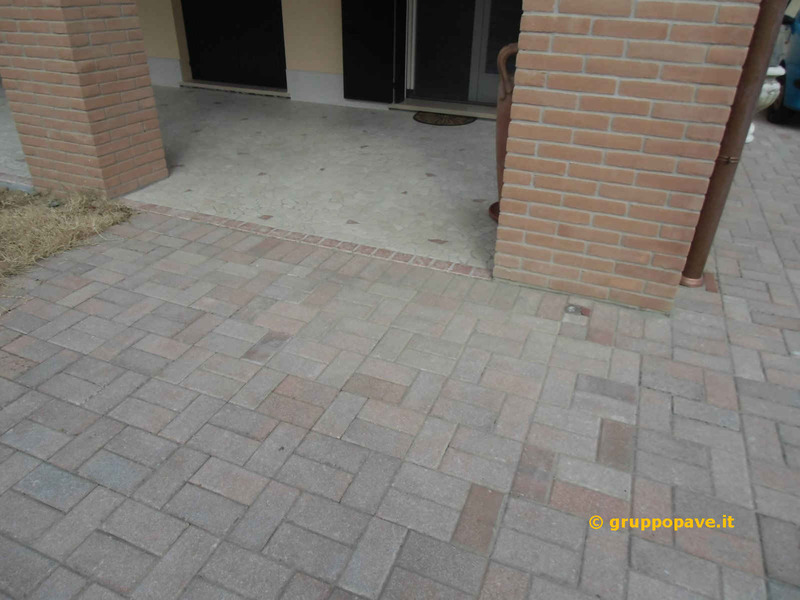 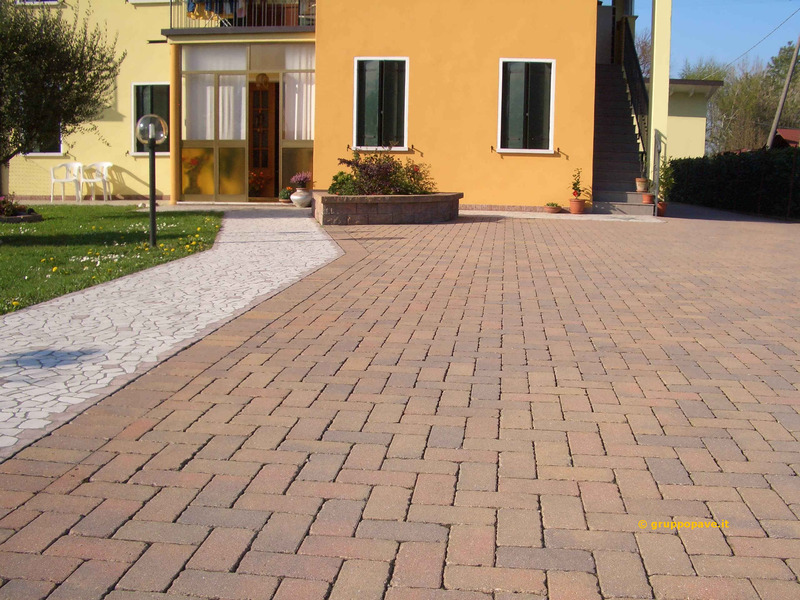 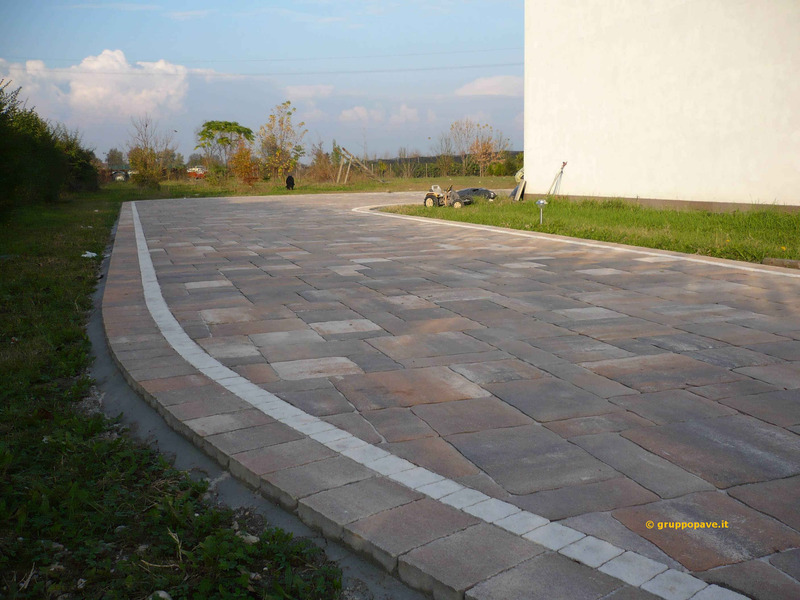 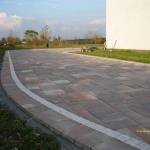 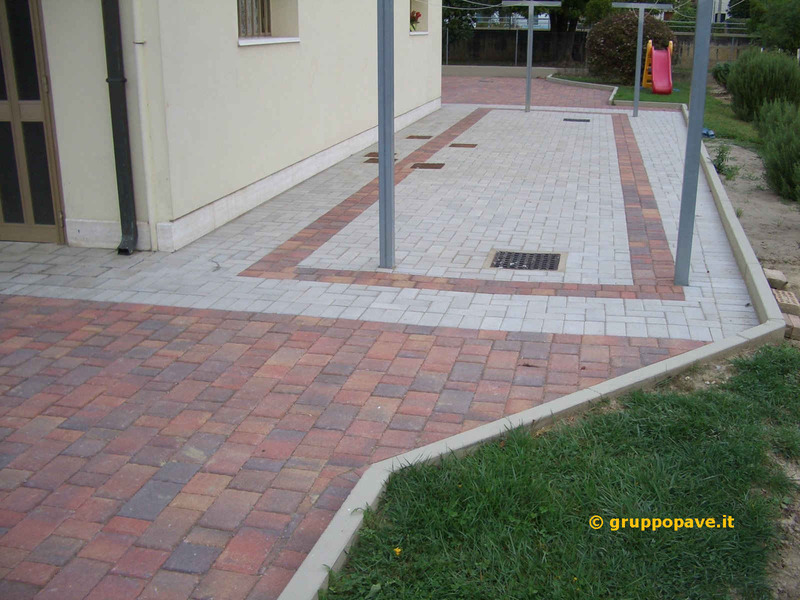 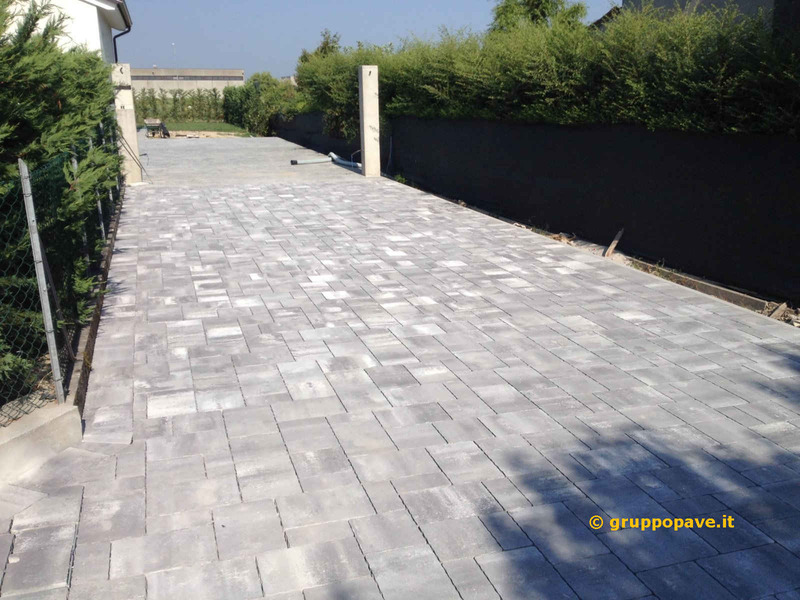 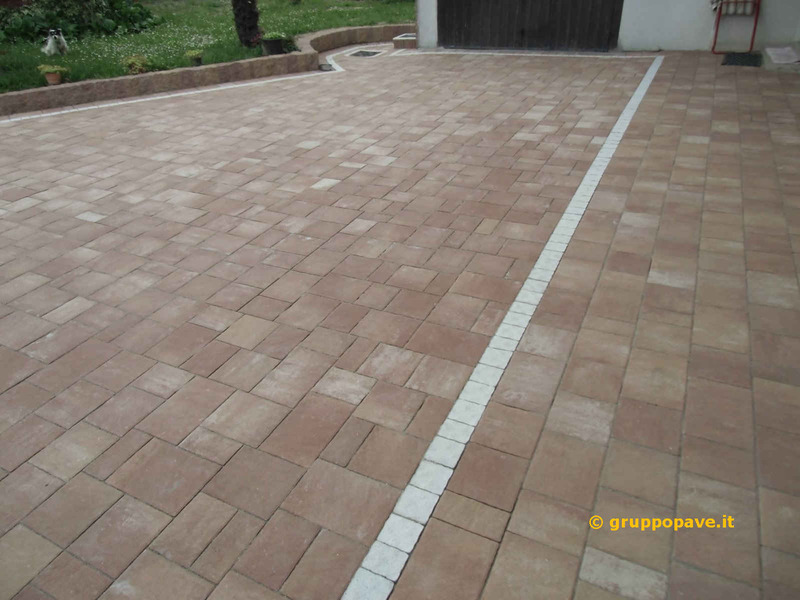 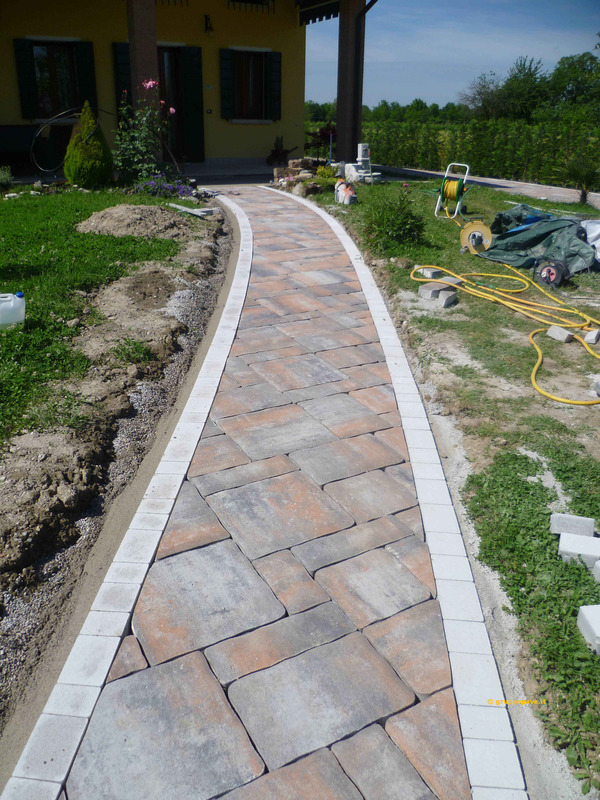 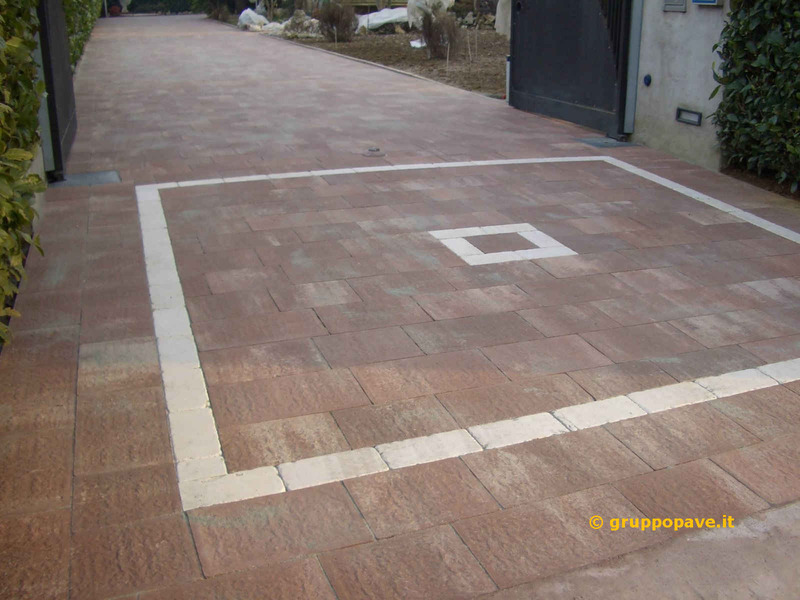 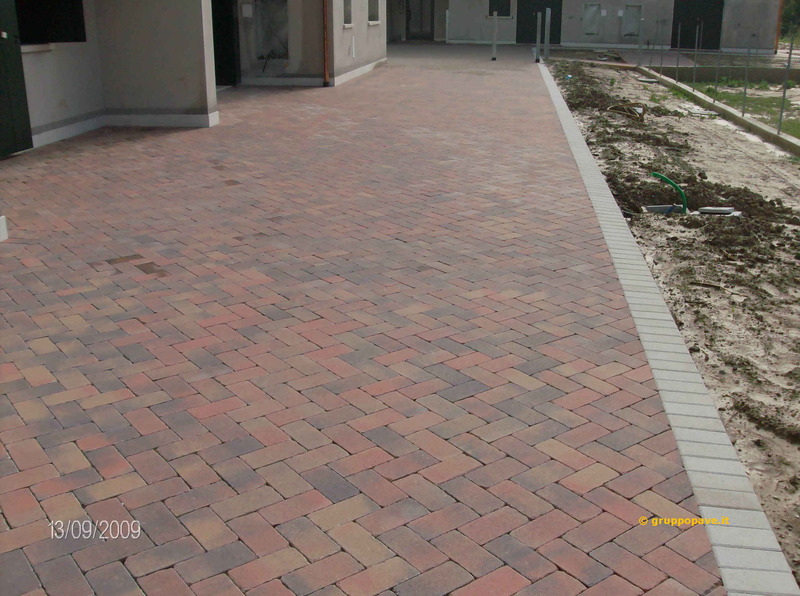 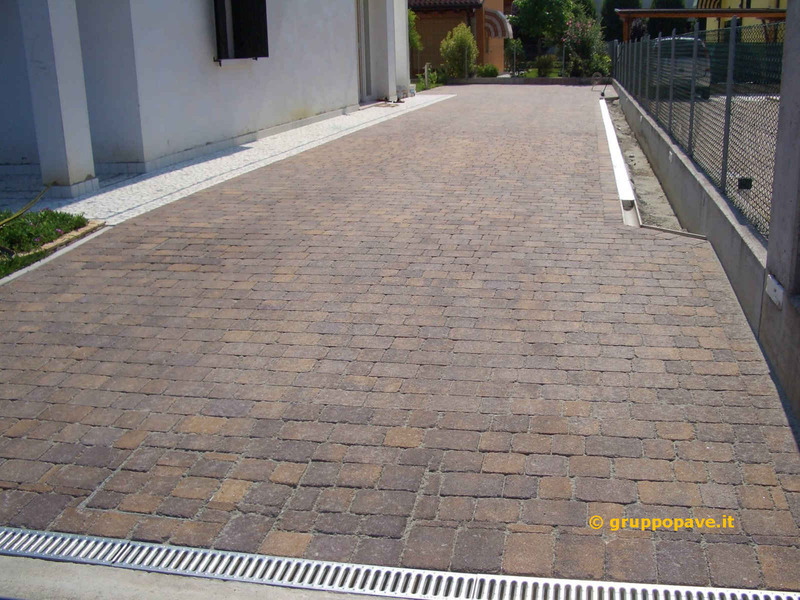 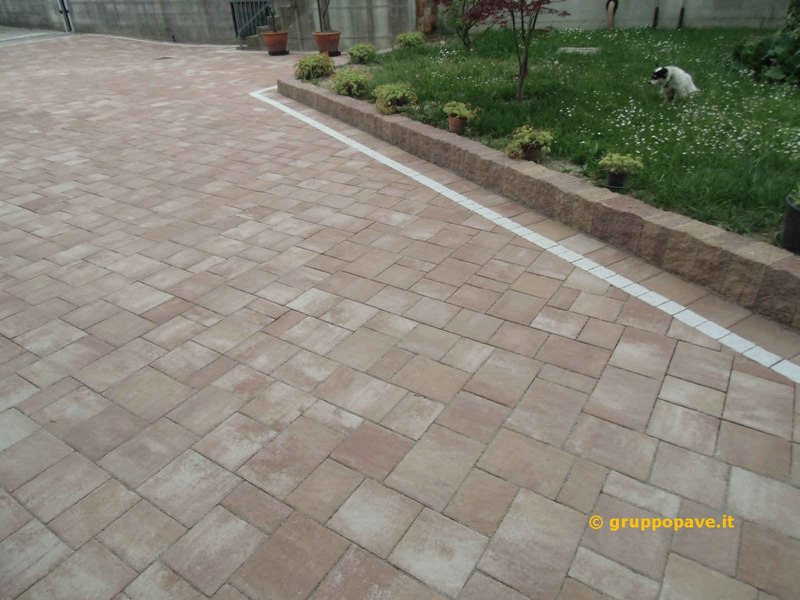 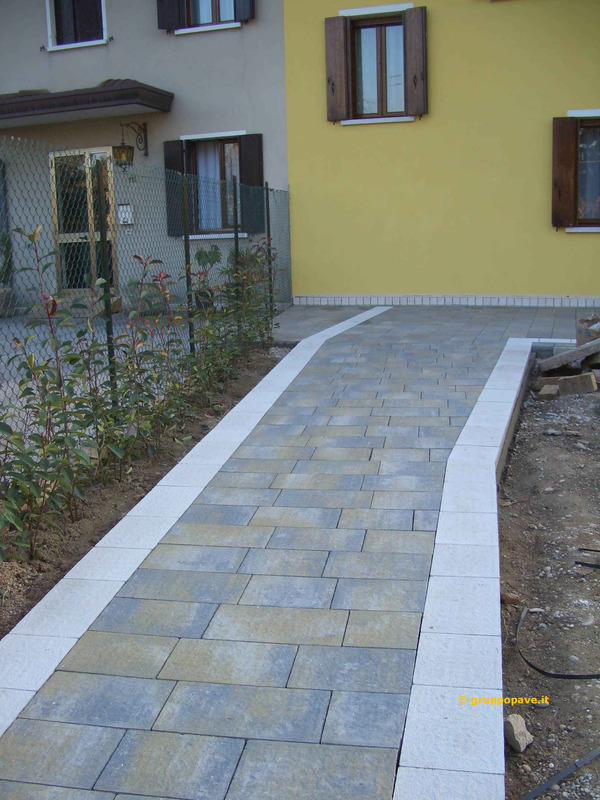 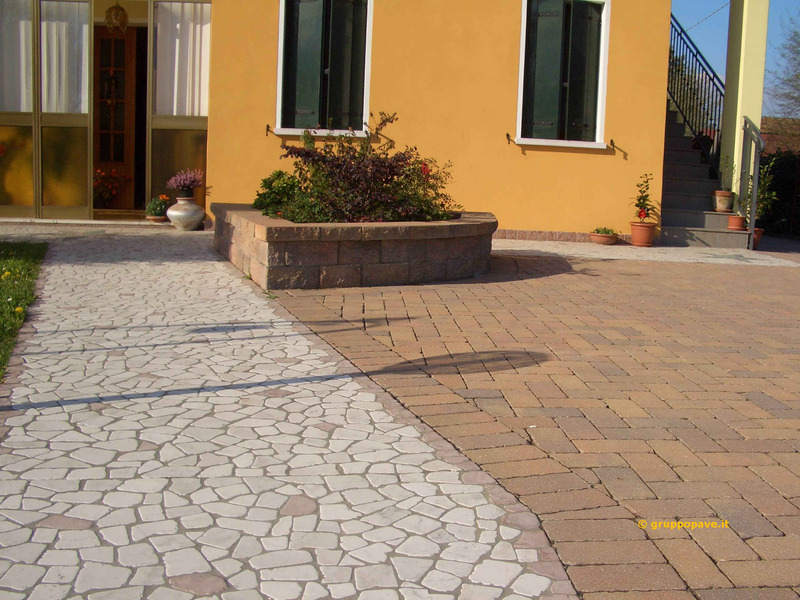 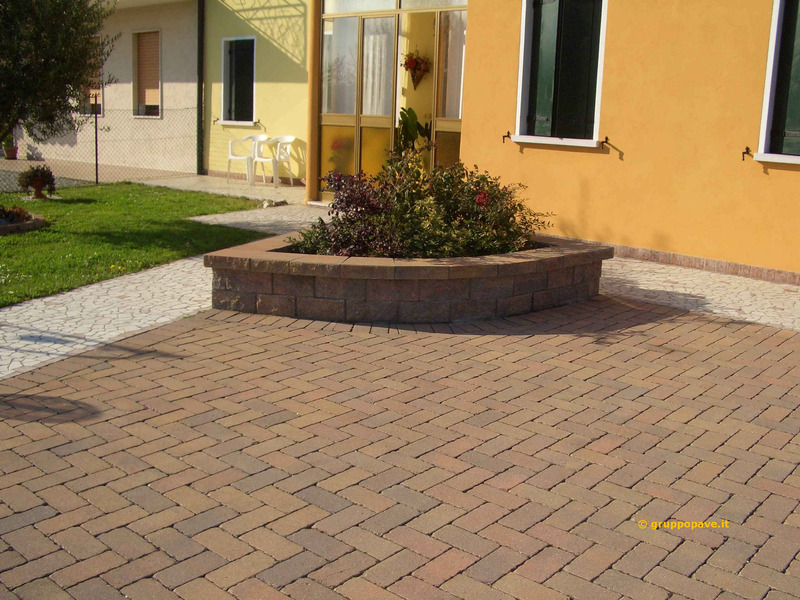 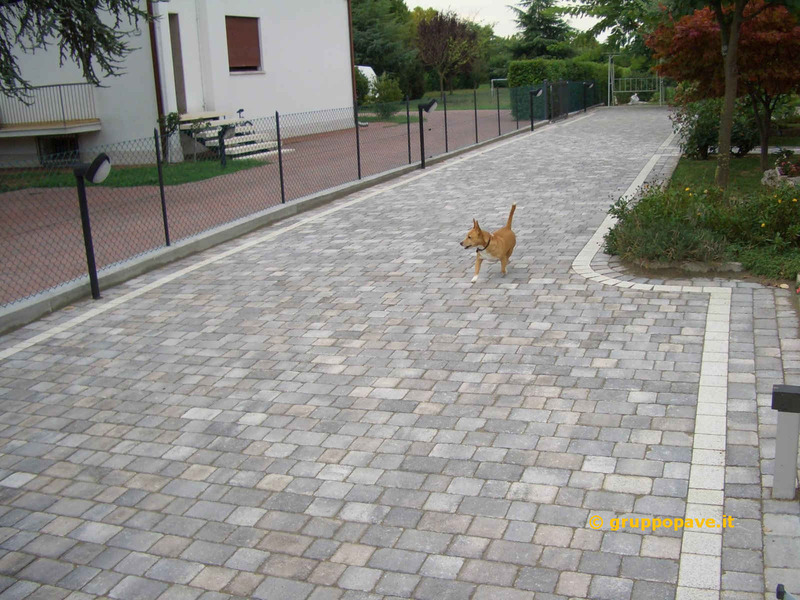 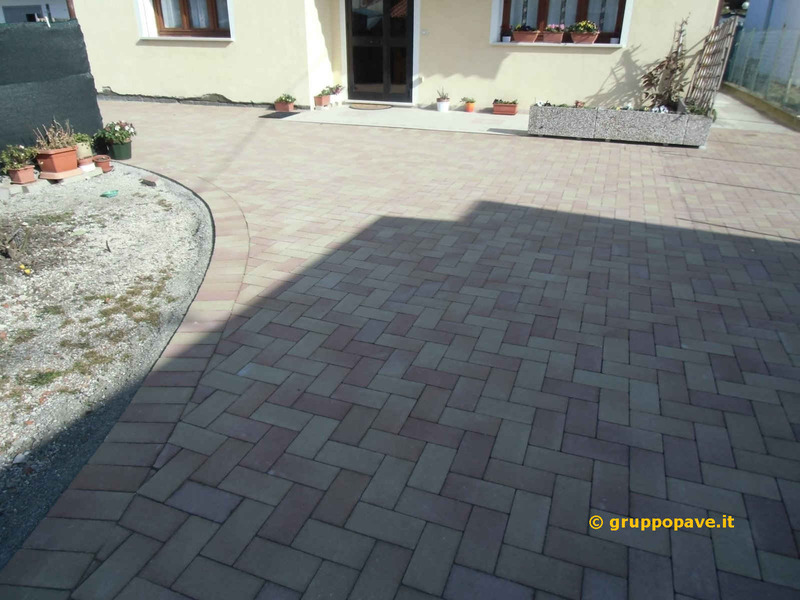 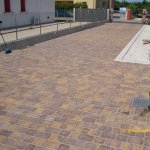 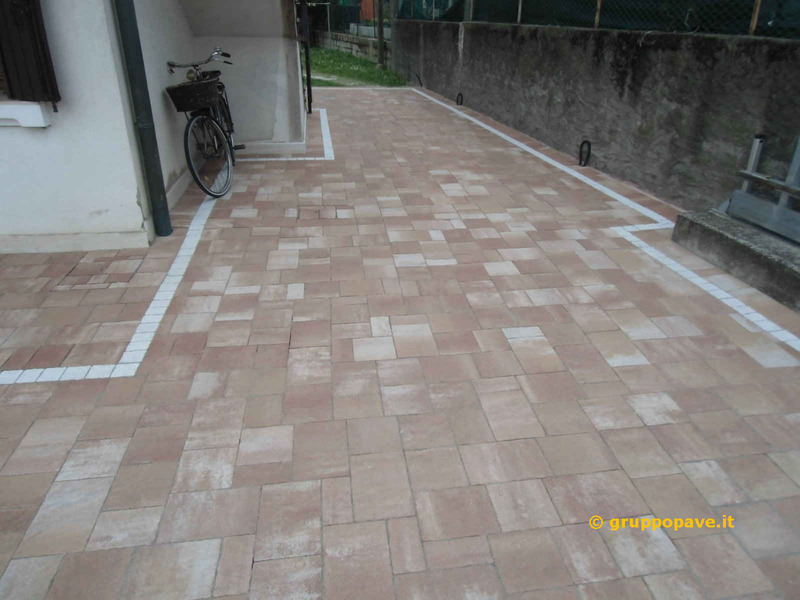 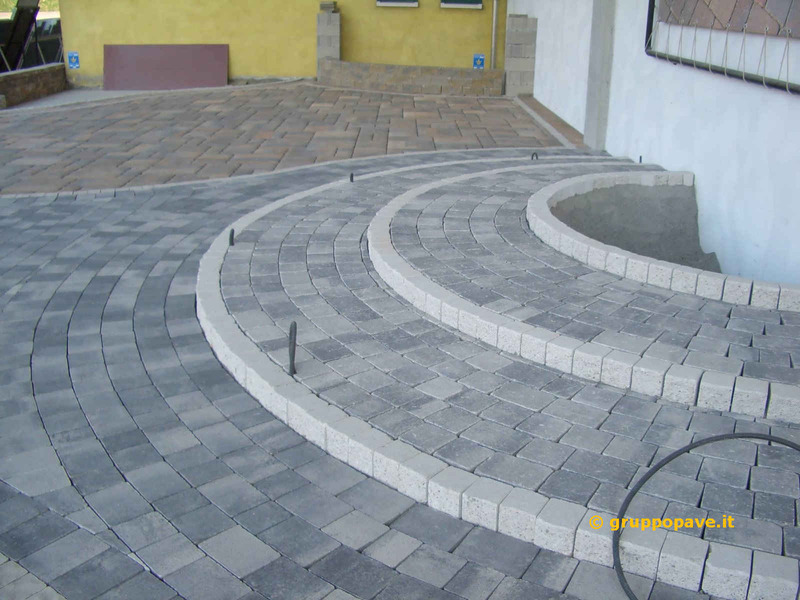 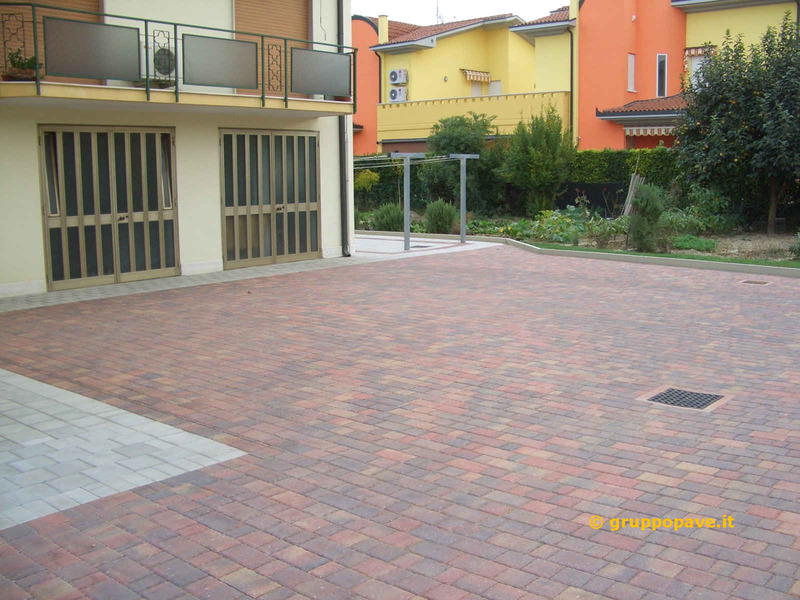 The interlocking blocks system can be defined as a method of very functional outdoor pavings: as a matter of fact the blocks are positioned by following the configuration (in sequence , herringbone, etc.) 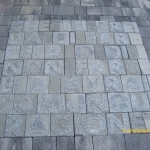 on a layer called “laying plan” composed of appropriate sand grain. 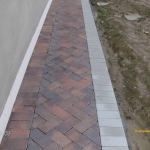 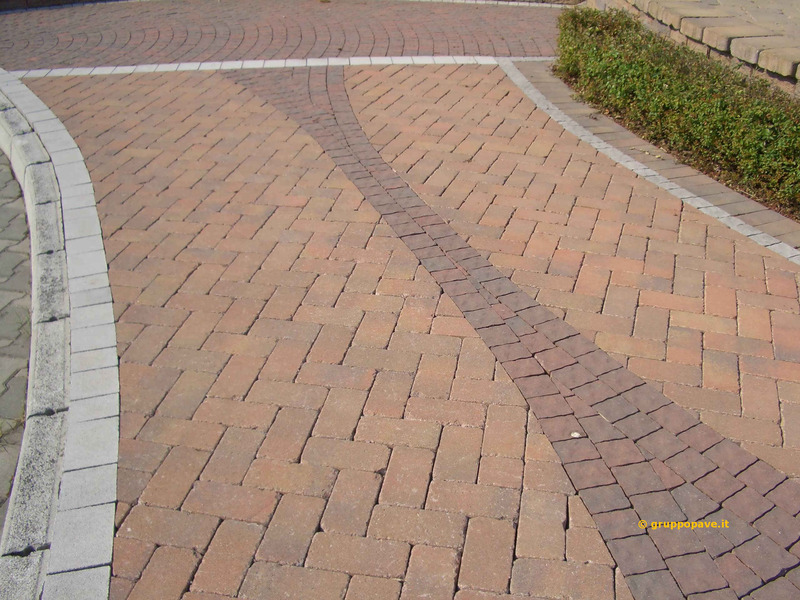 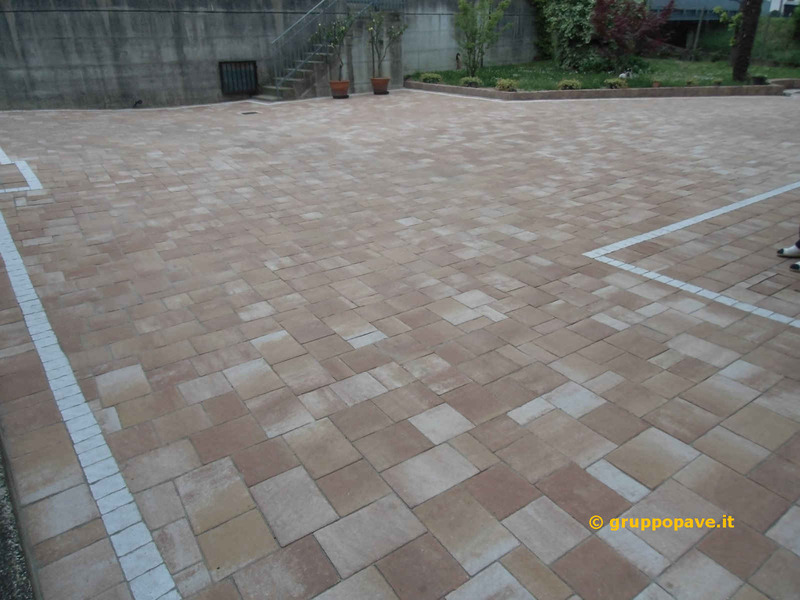 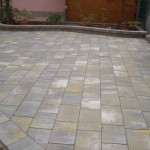 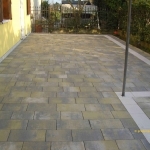 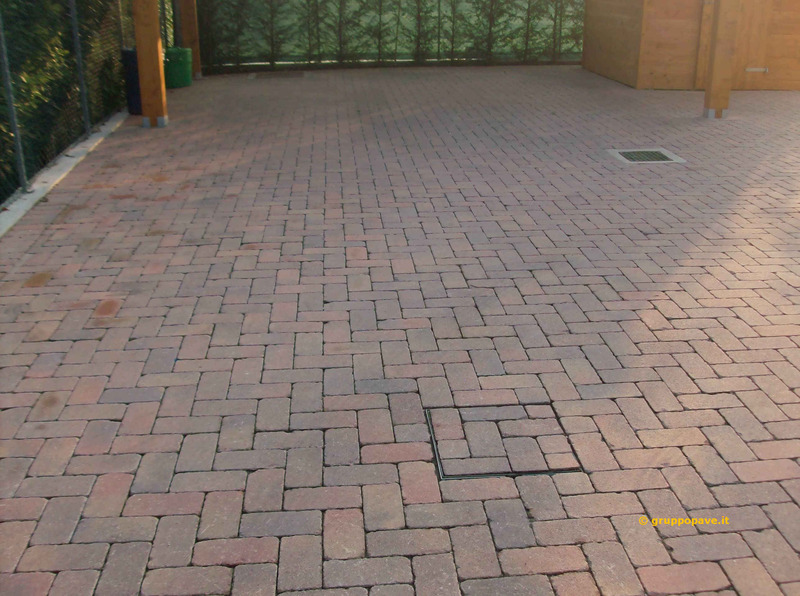 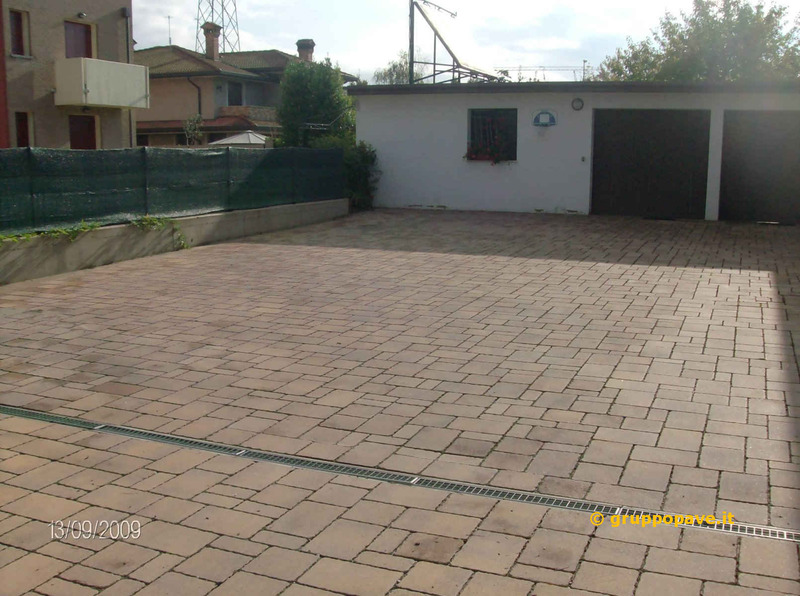 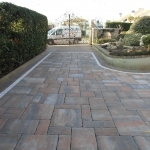 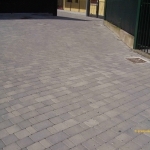 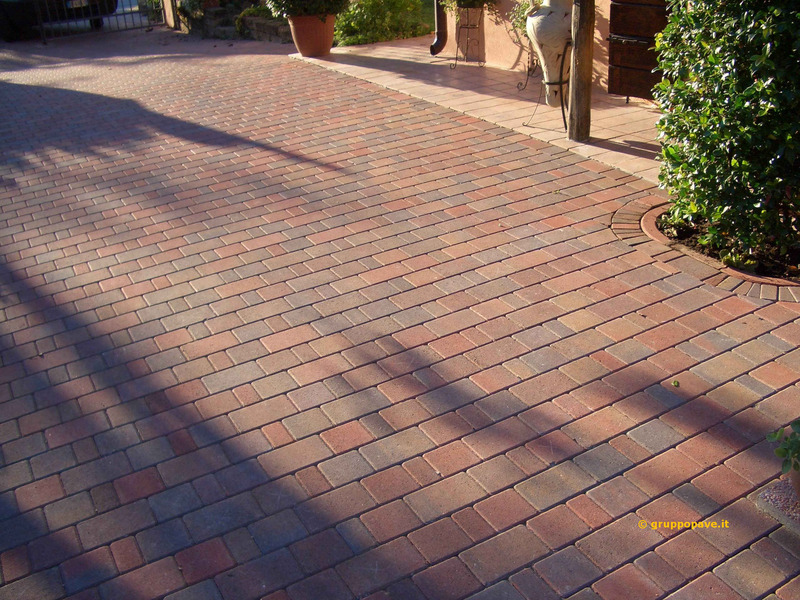 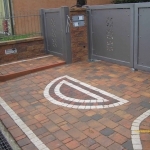 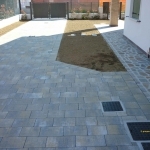 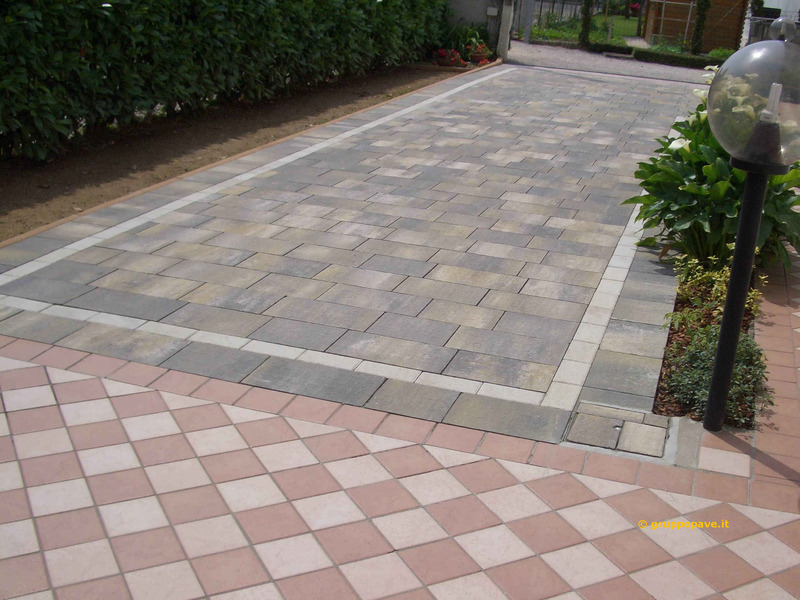 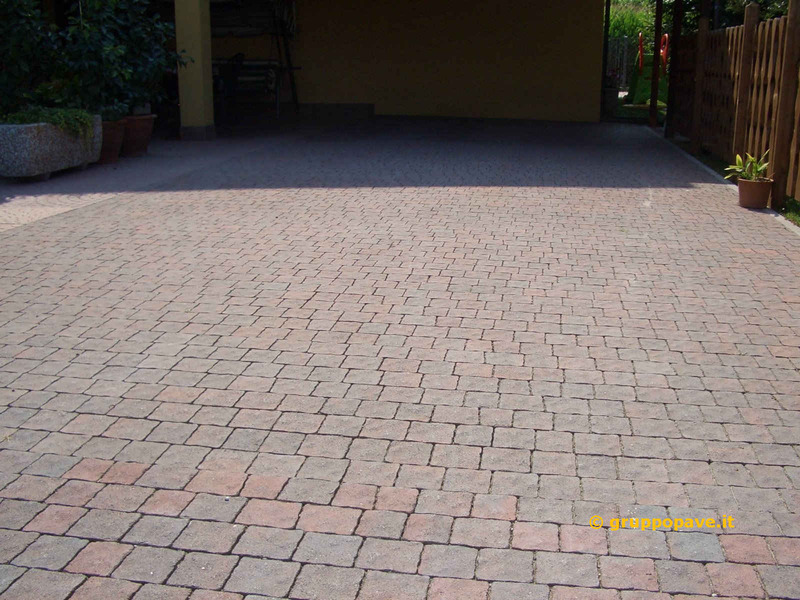 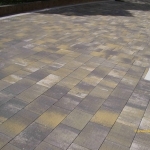 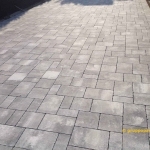 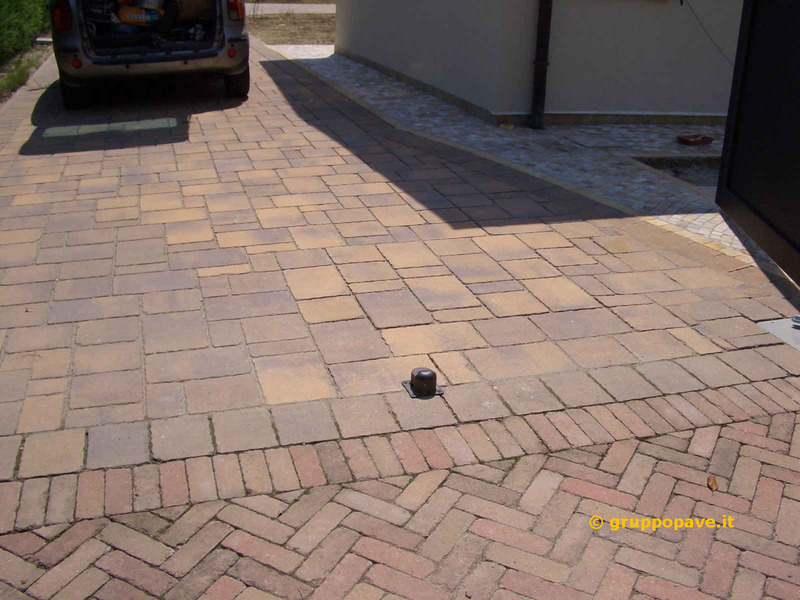 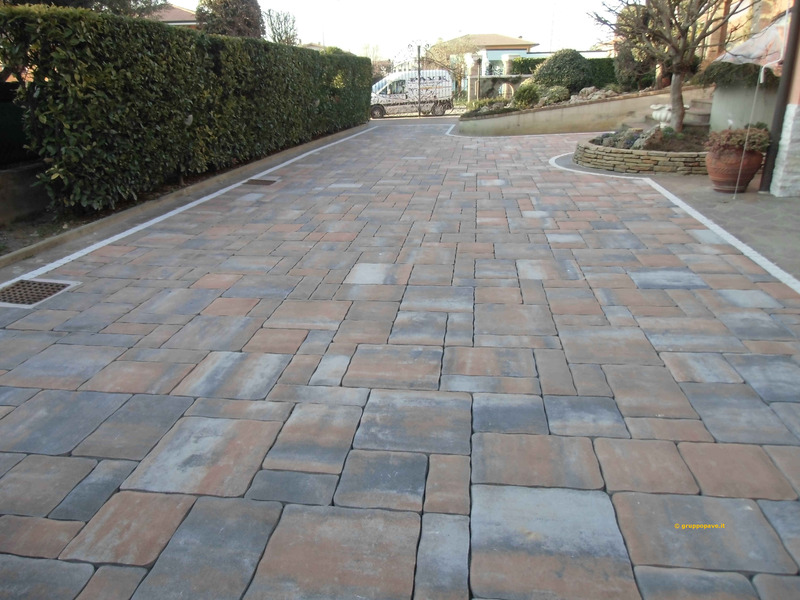 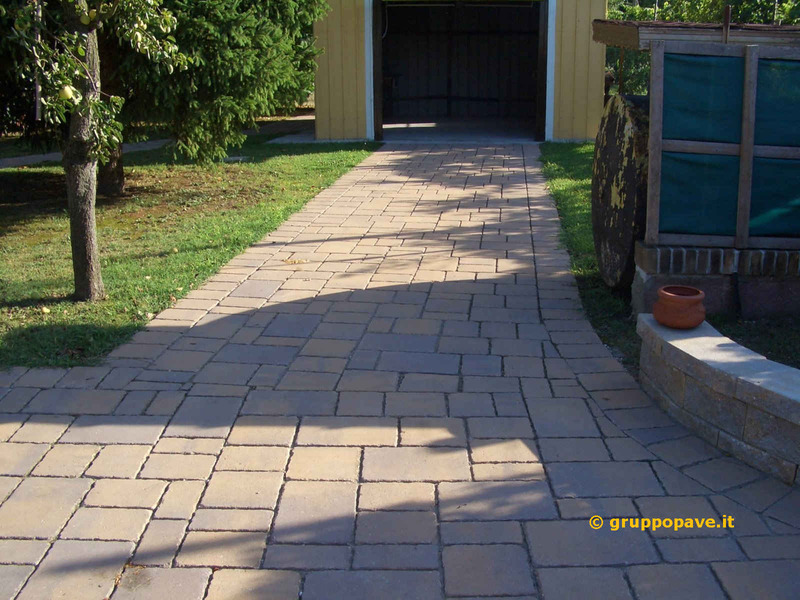 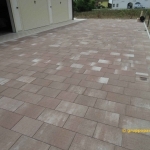 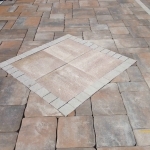 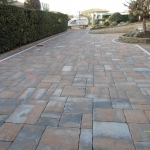 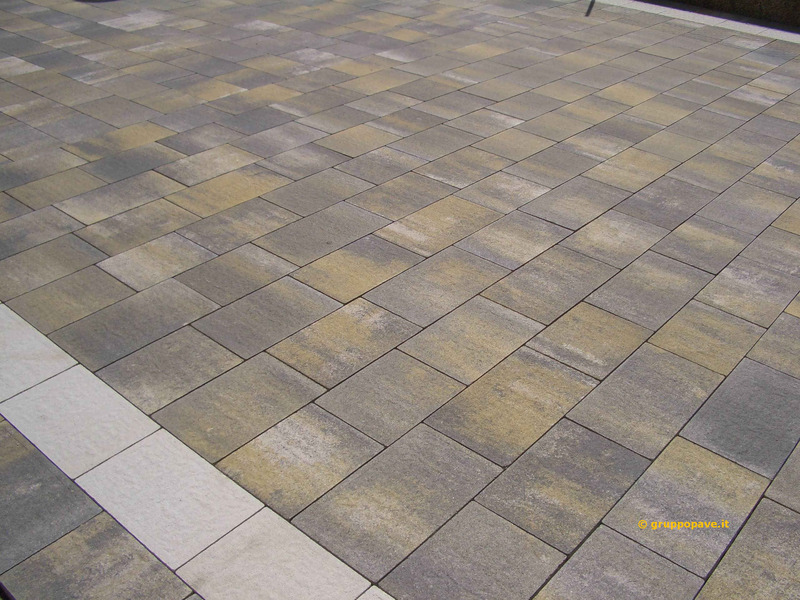 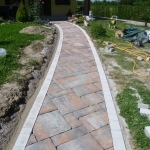 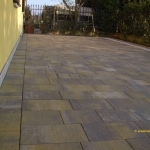 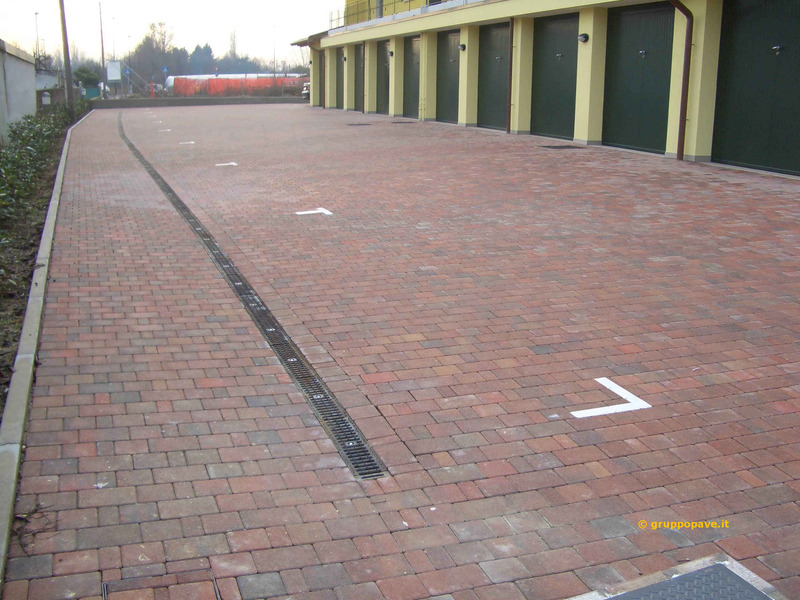 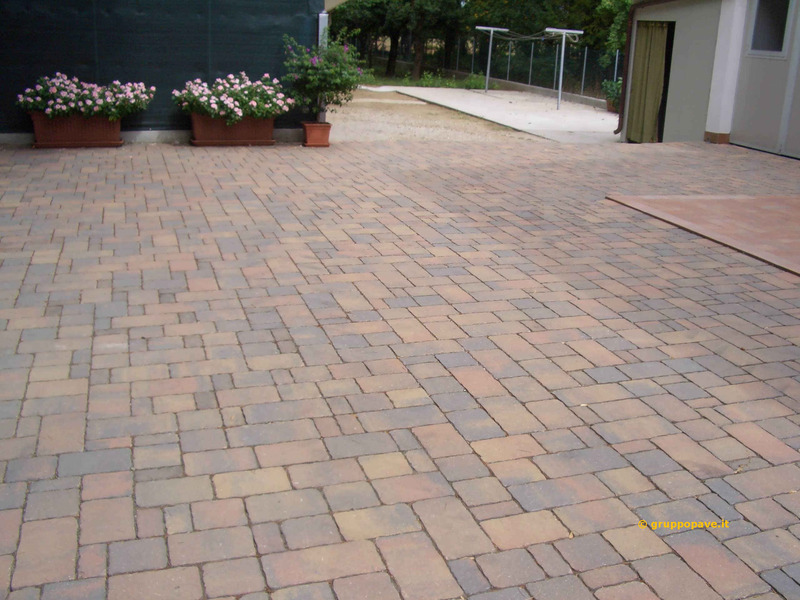 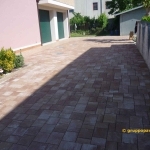 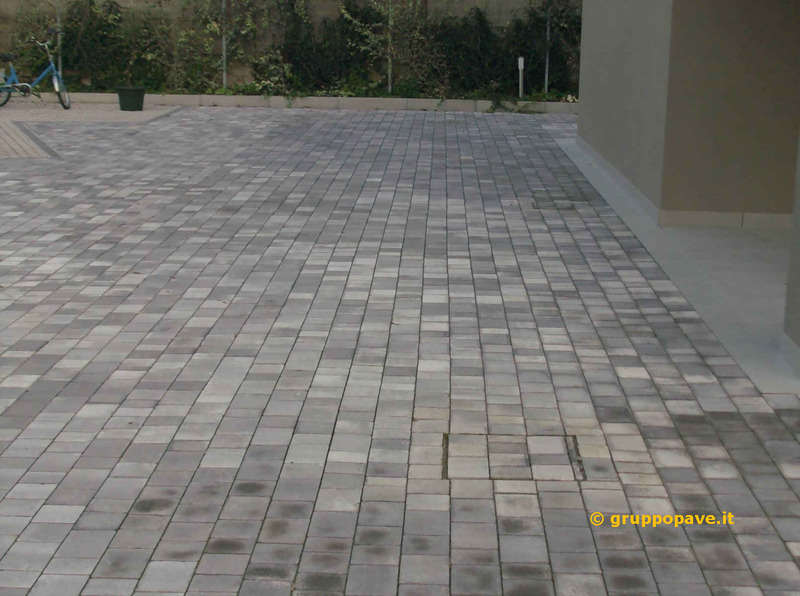 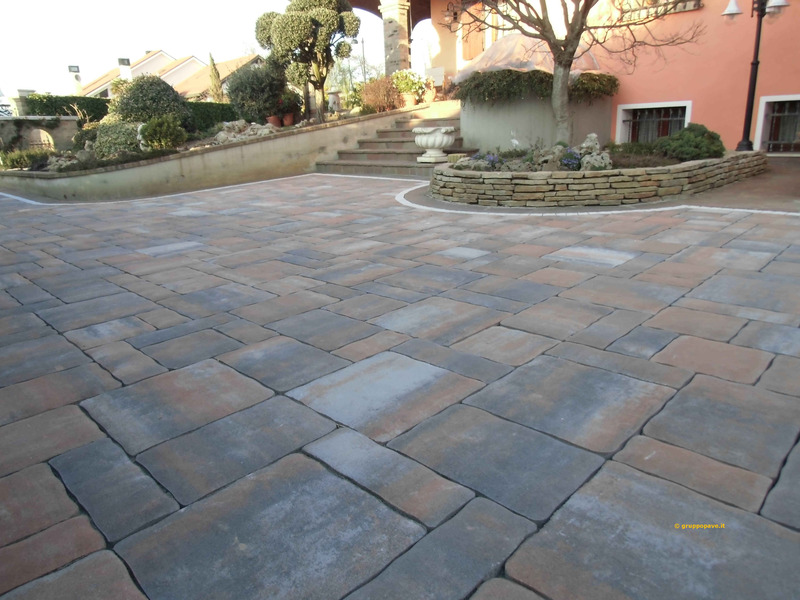 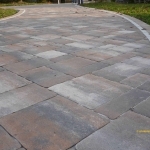 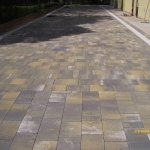 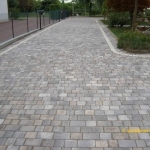 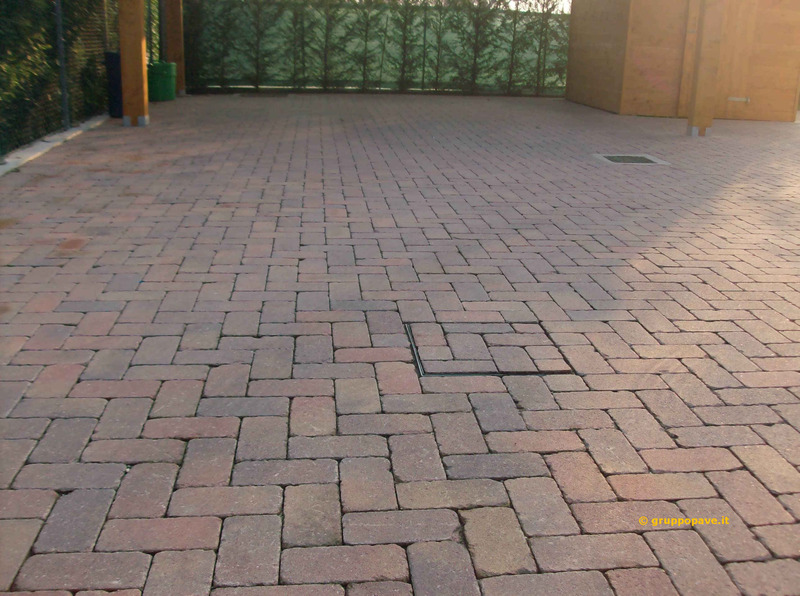 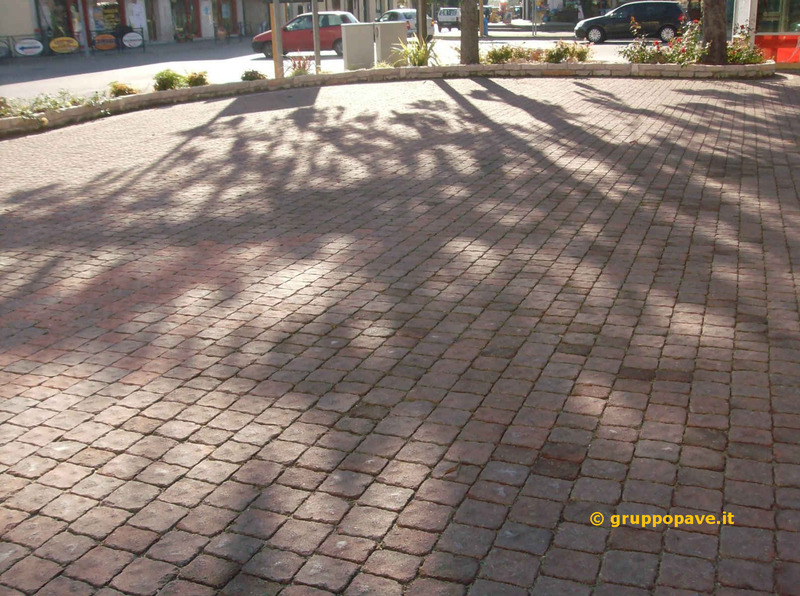 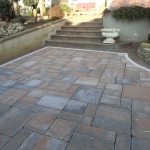 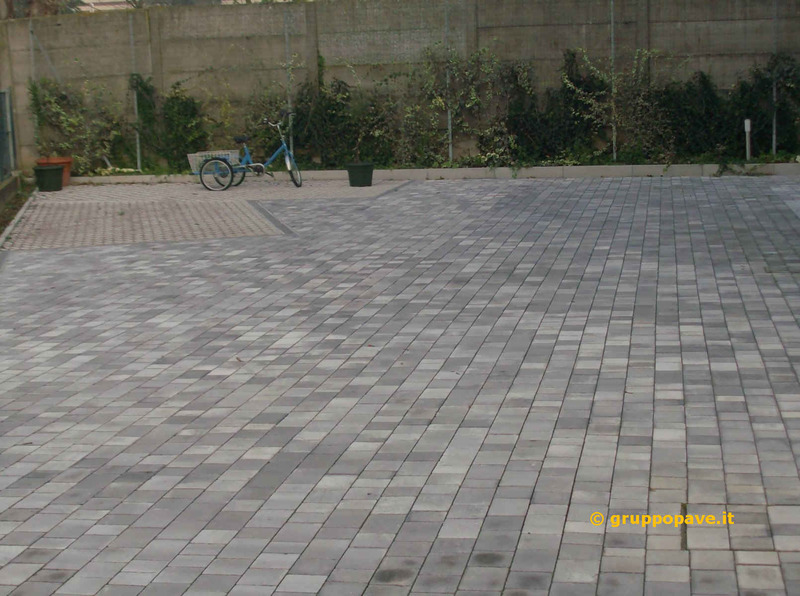 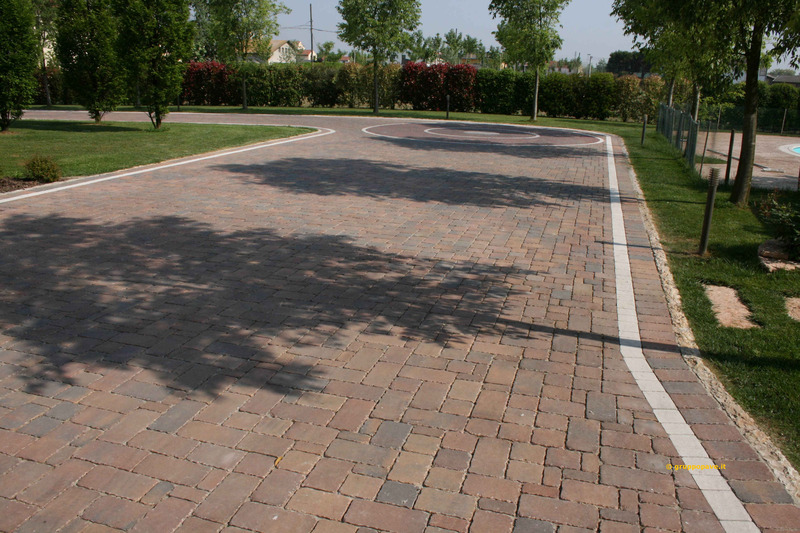 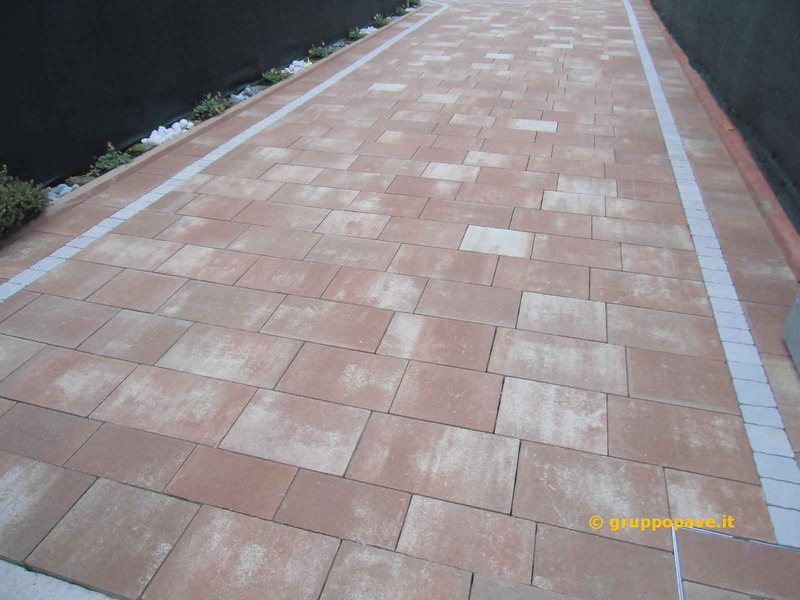 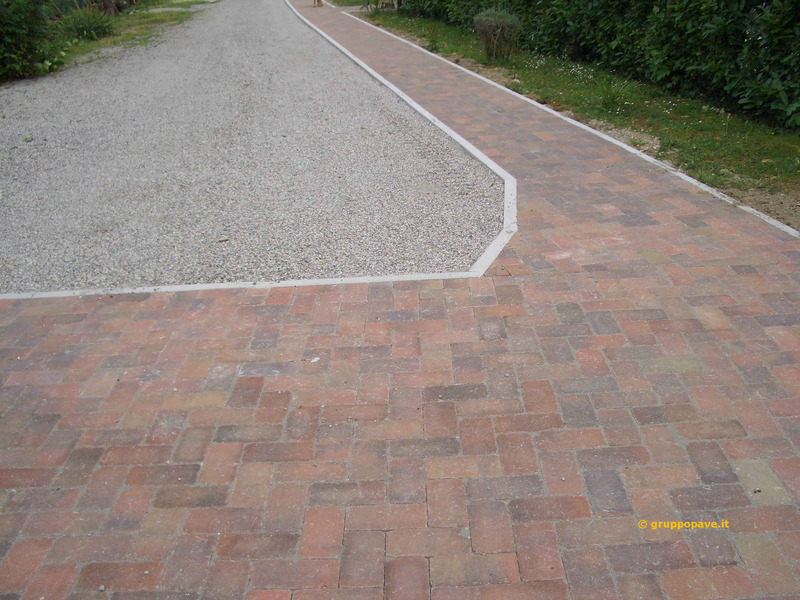 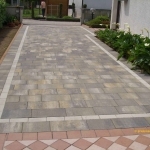 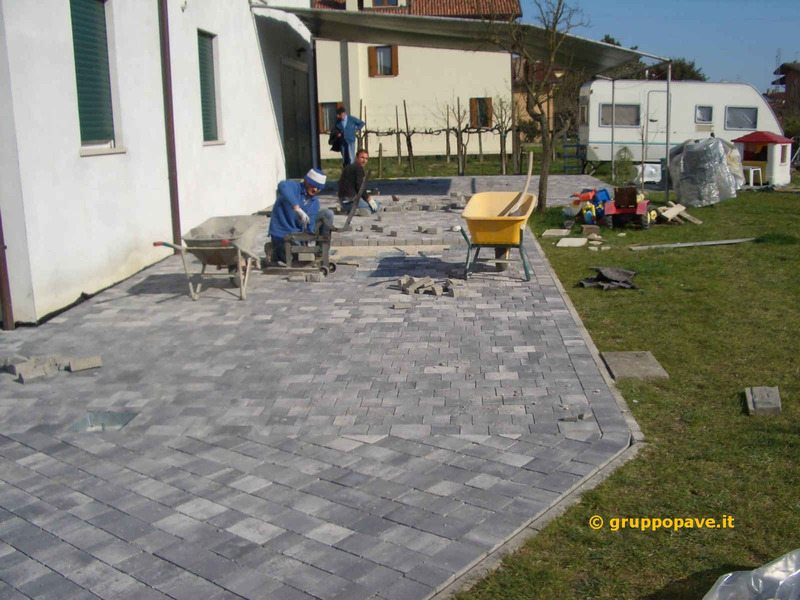 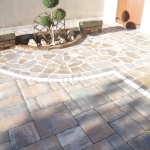 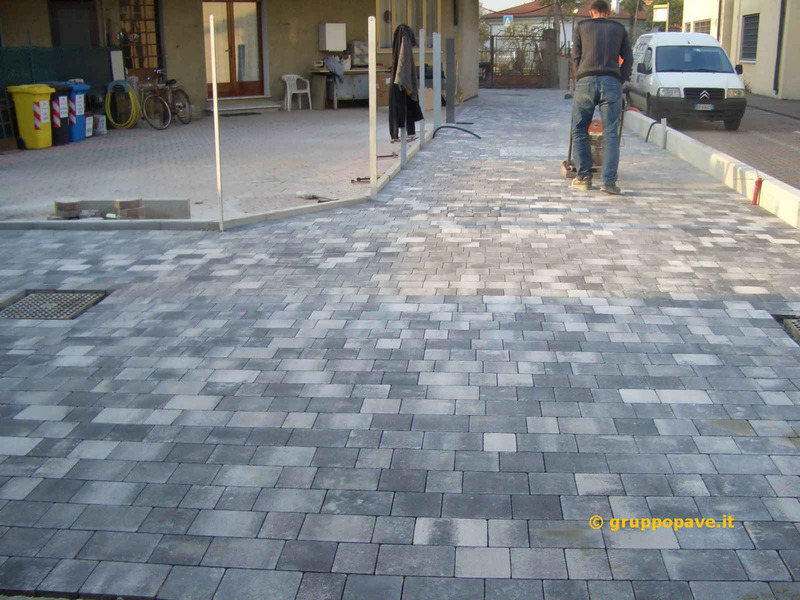 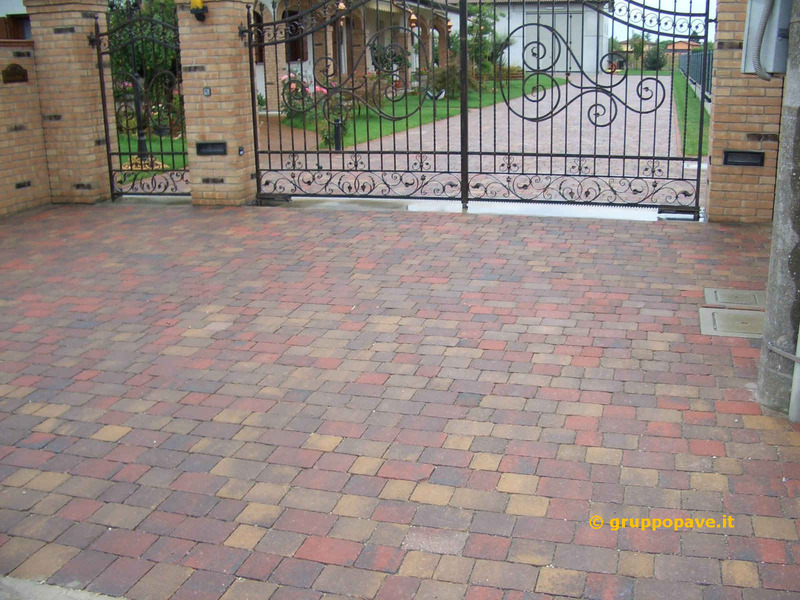 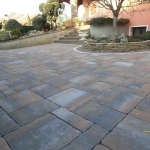 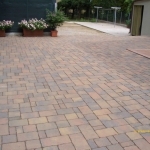 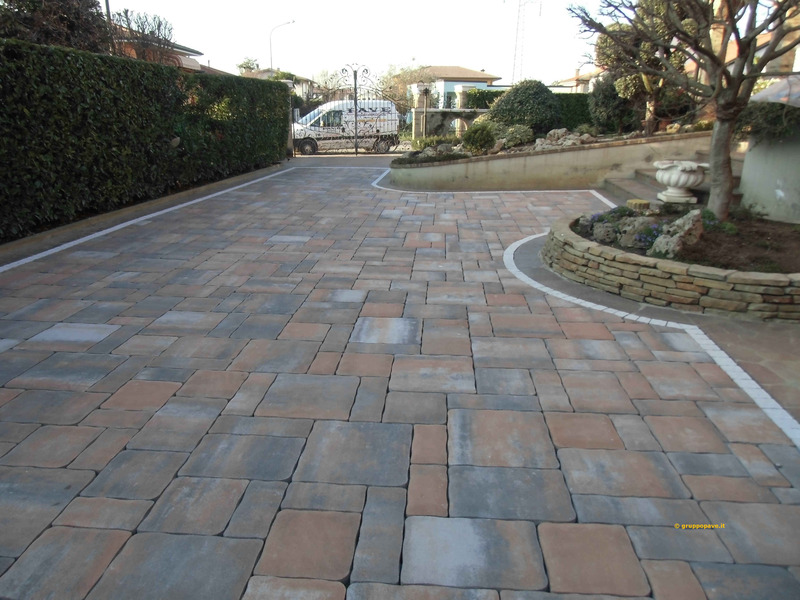 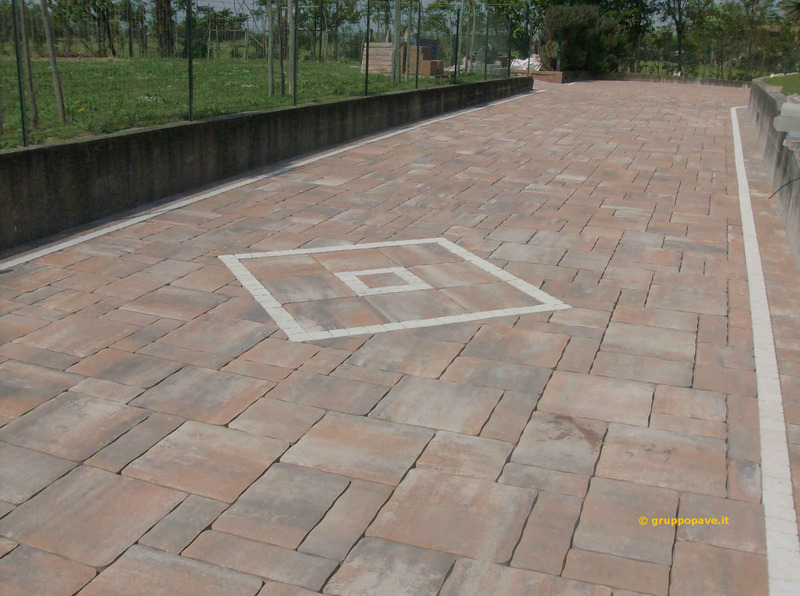 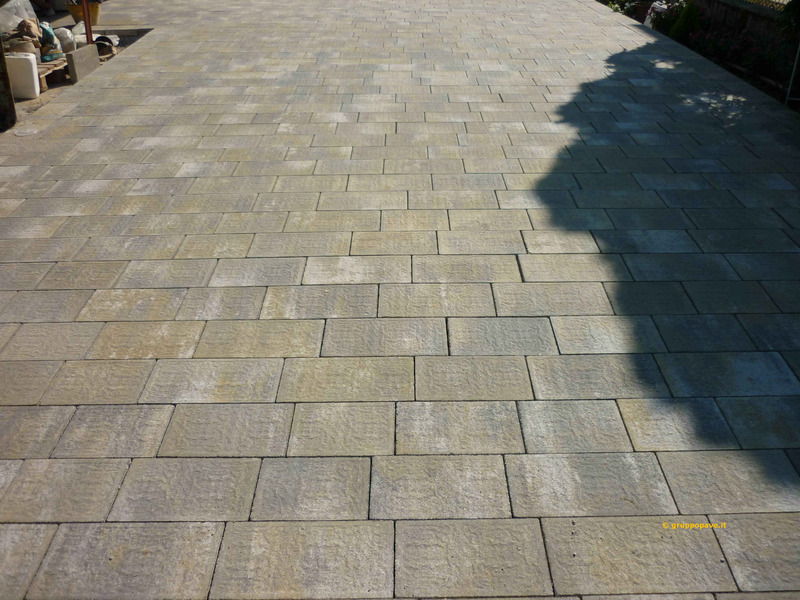 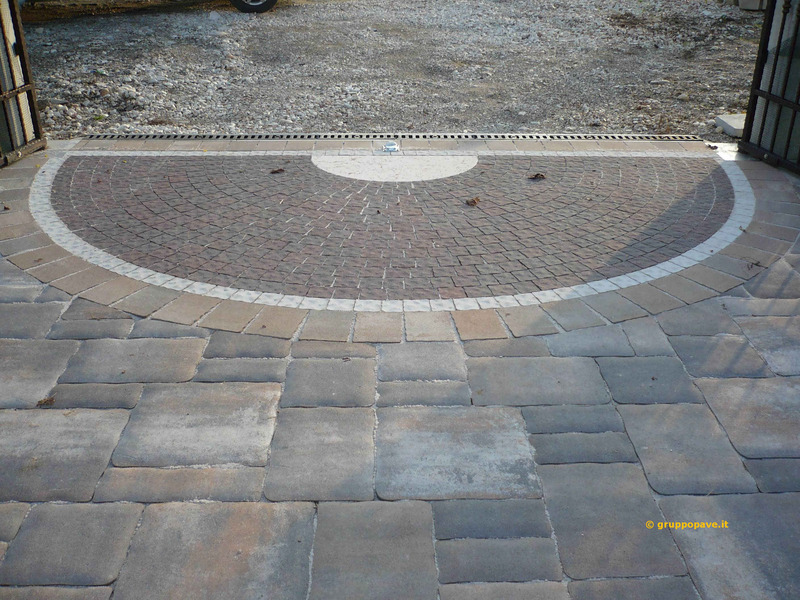 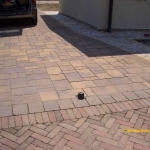 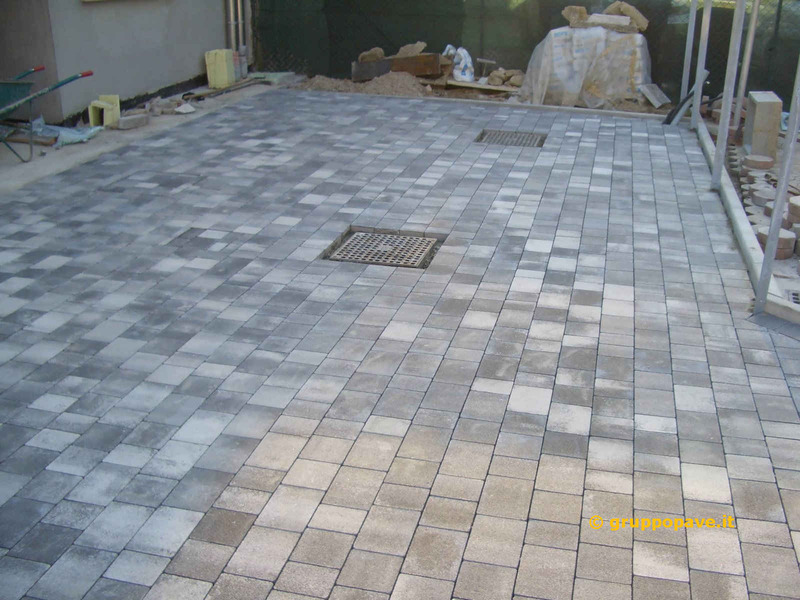 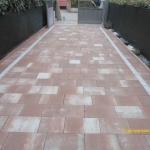 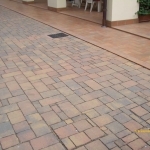 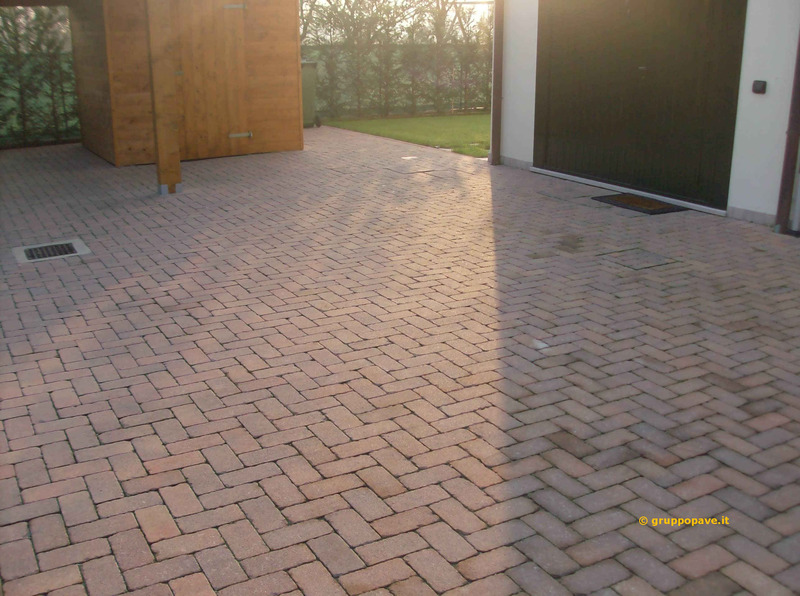 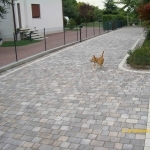 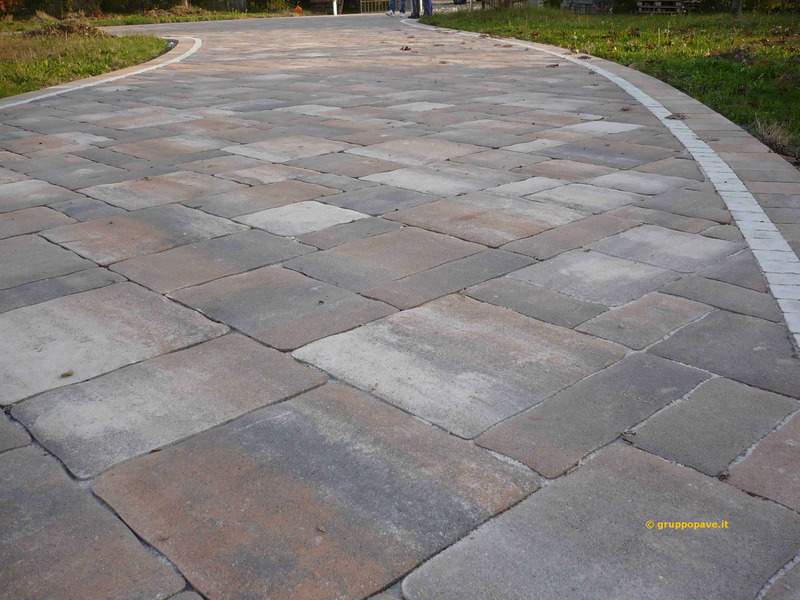 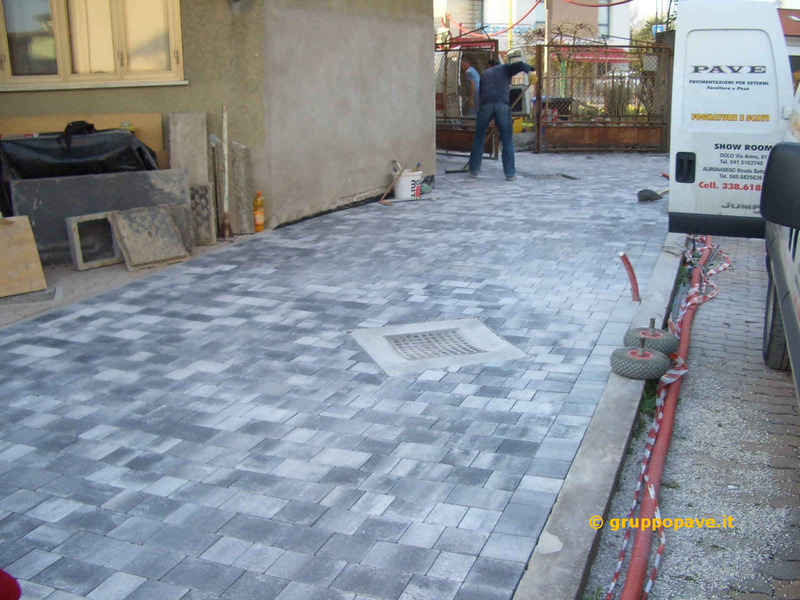 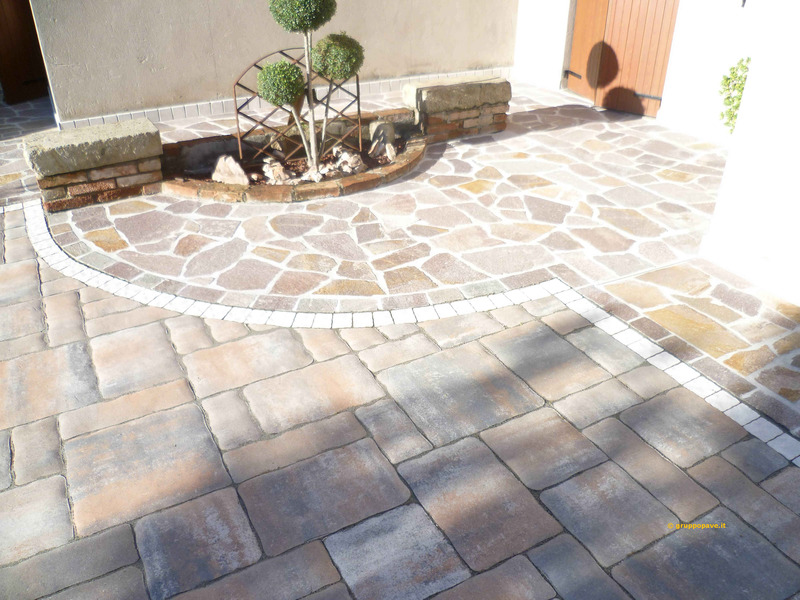 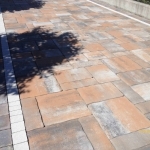 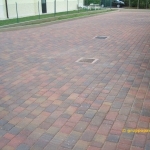 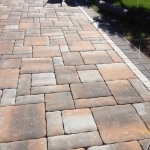 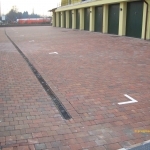 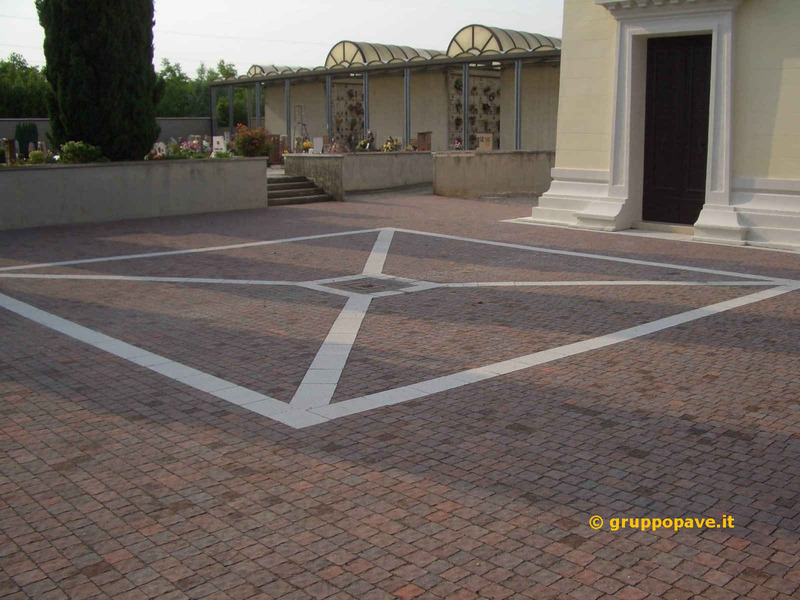 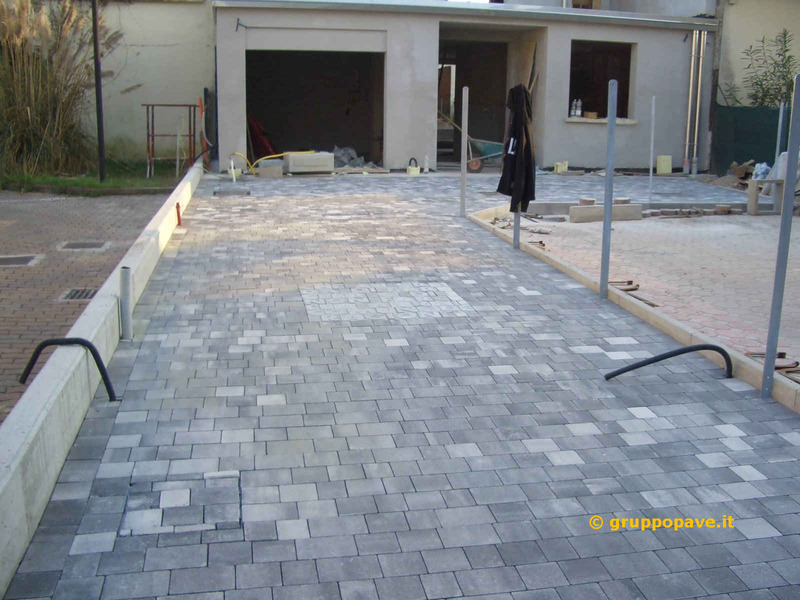 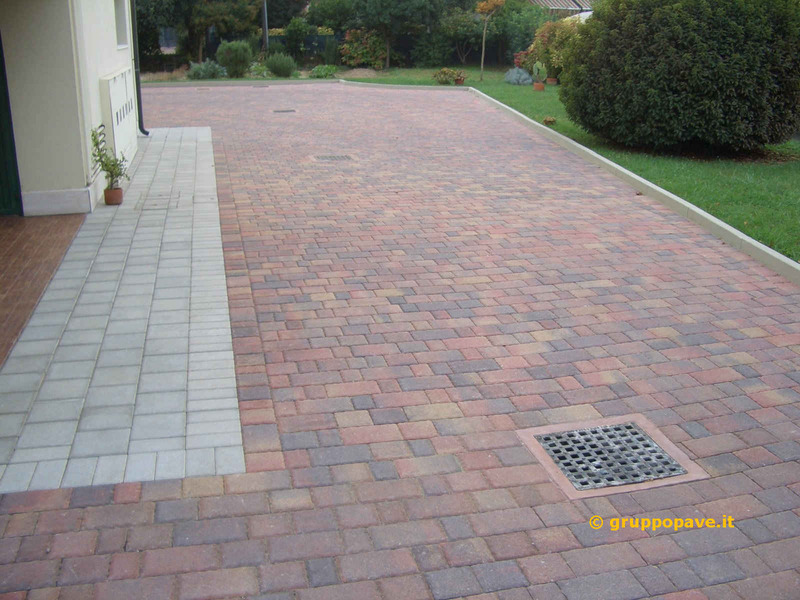 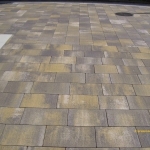 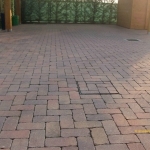 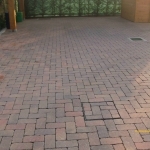 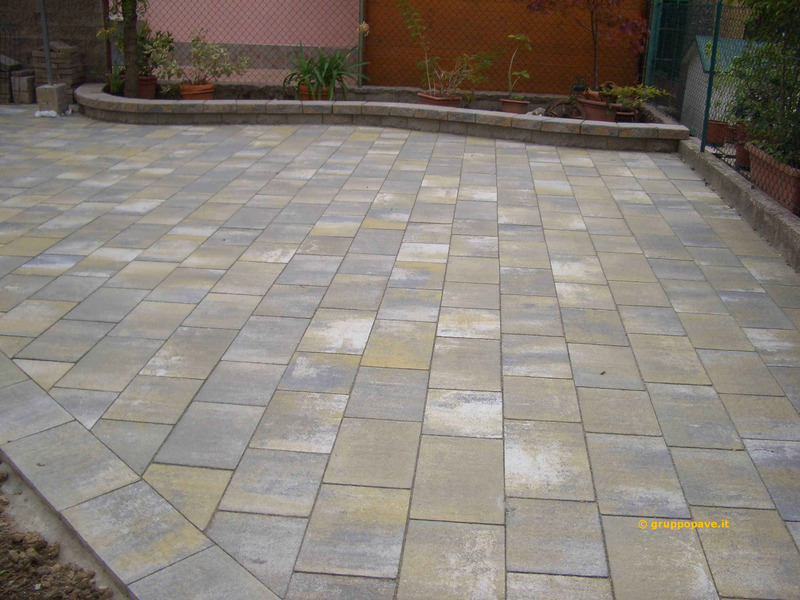 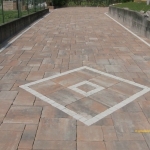 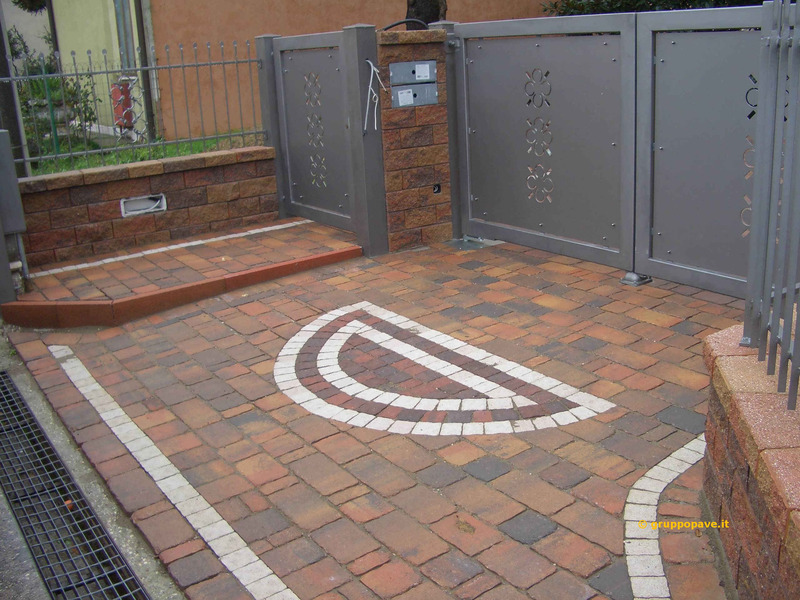 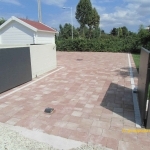 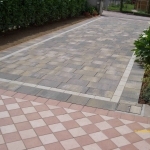 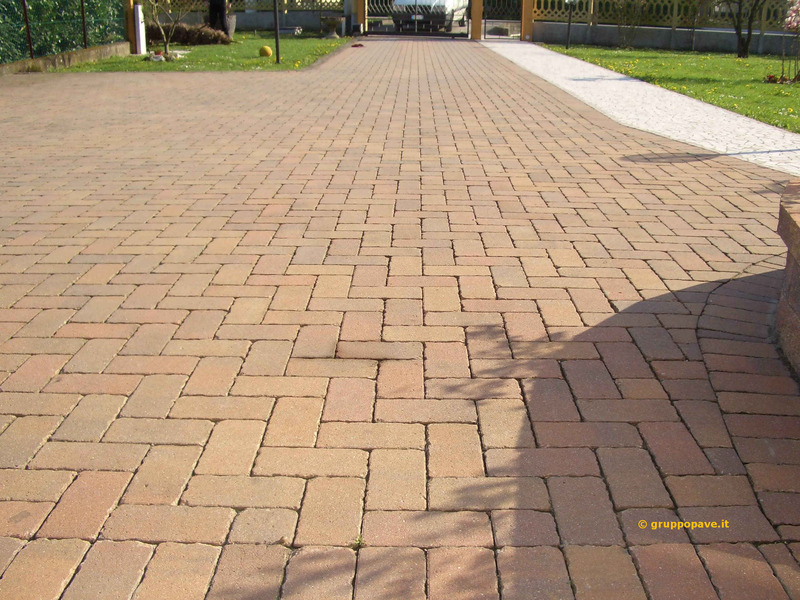 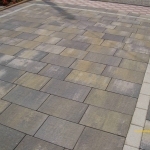 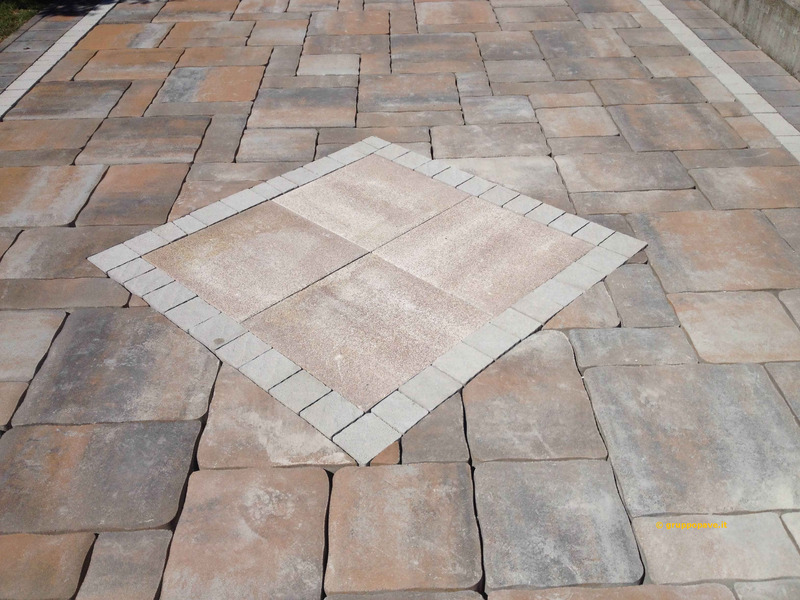 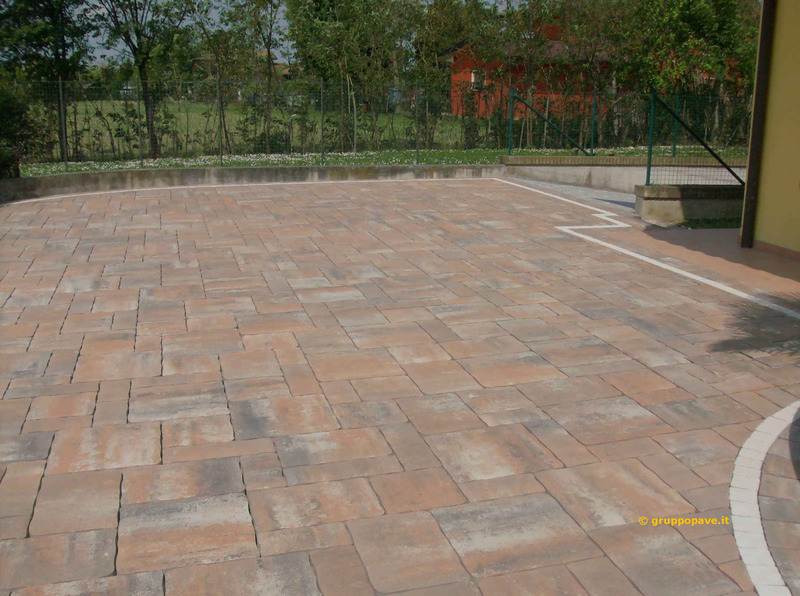 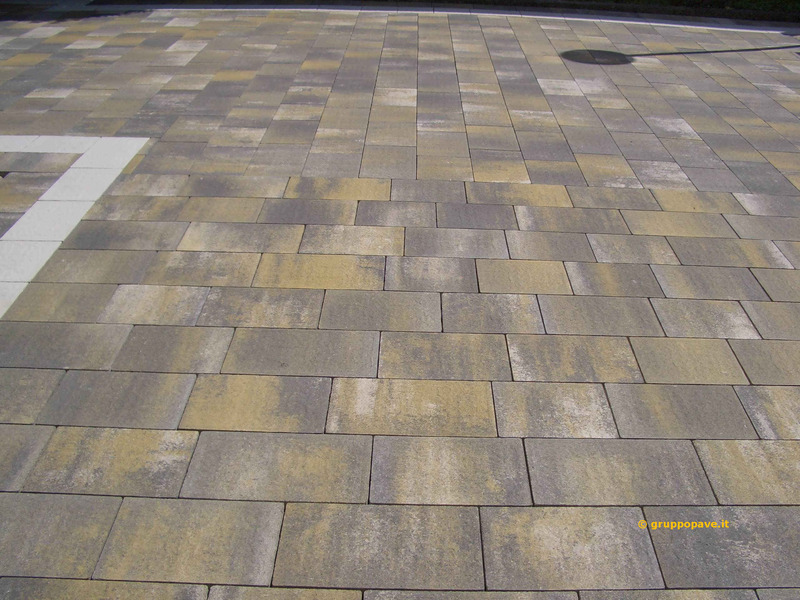 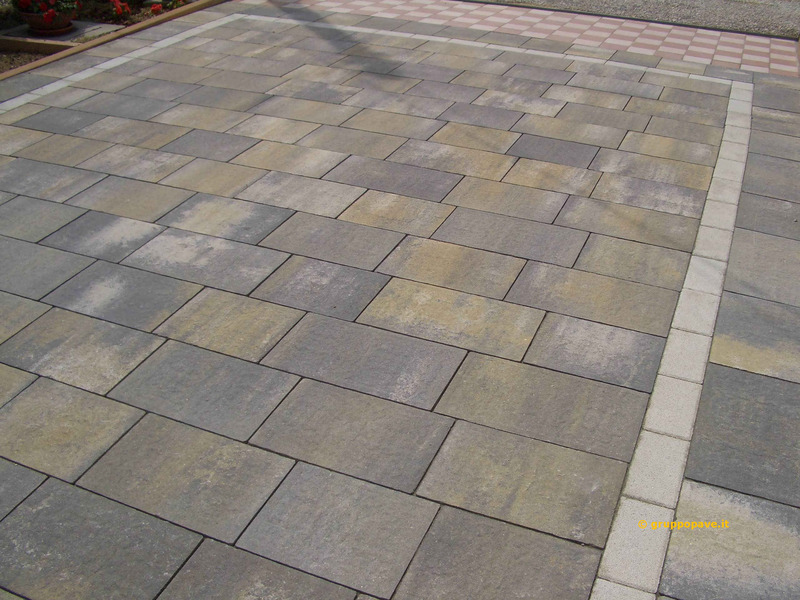 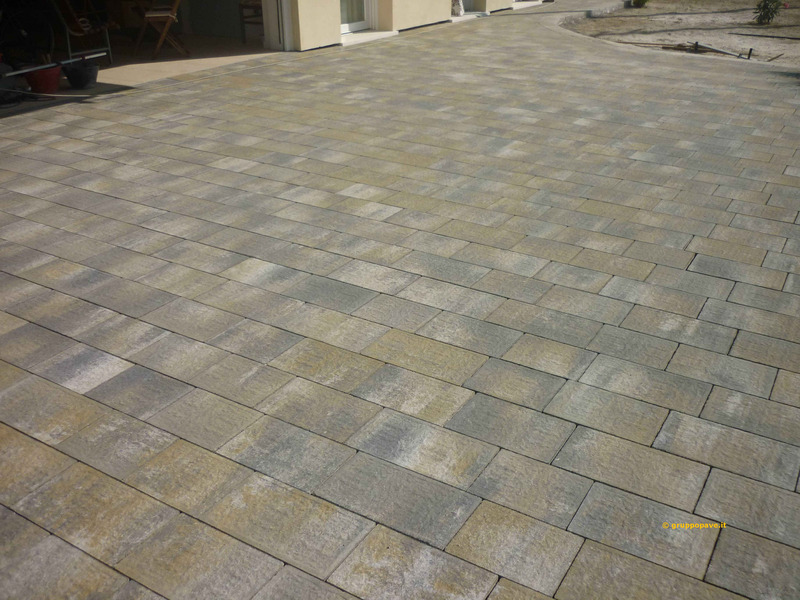 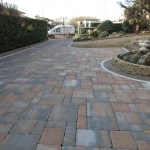 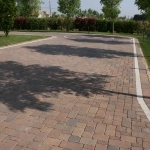 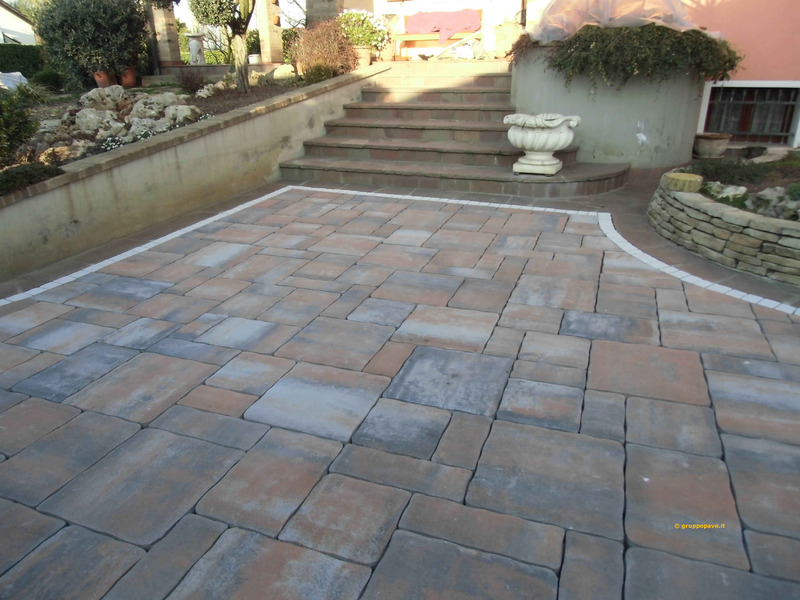 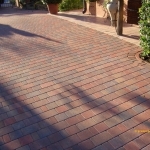 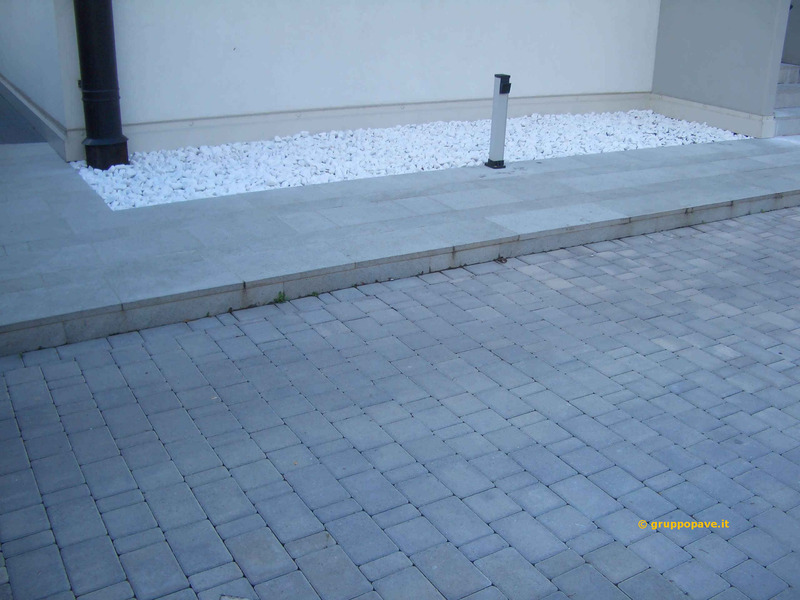 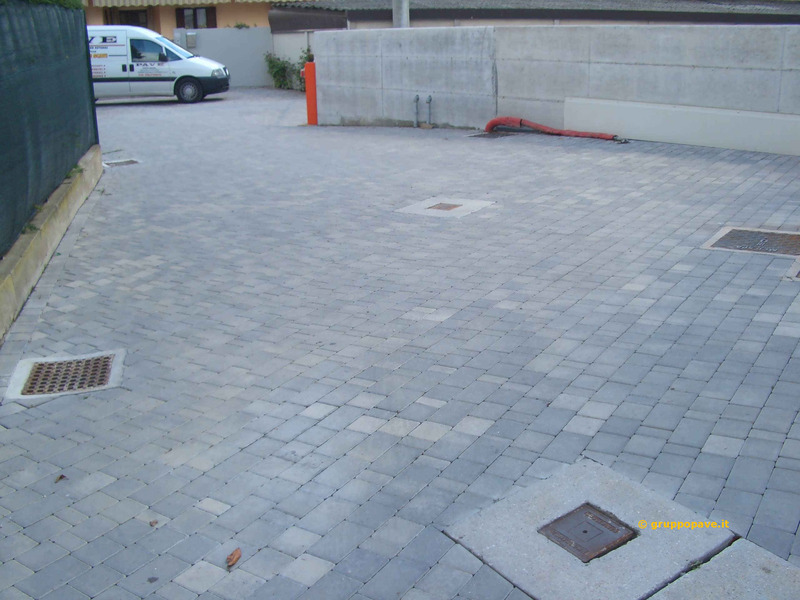 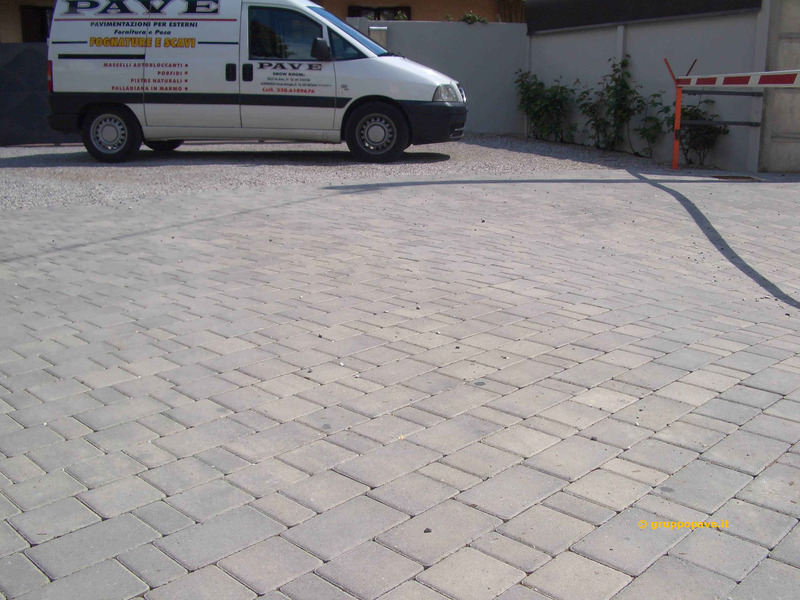 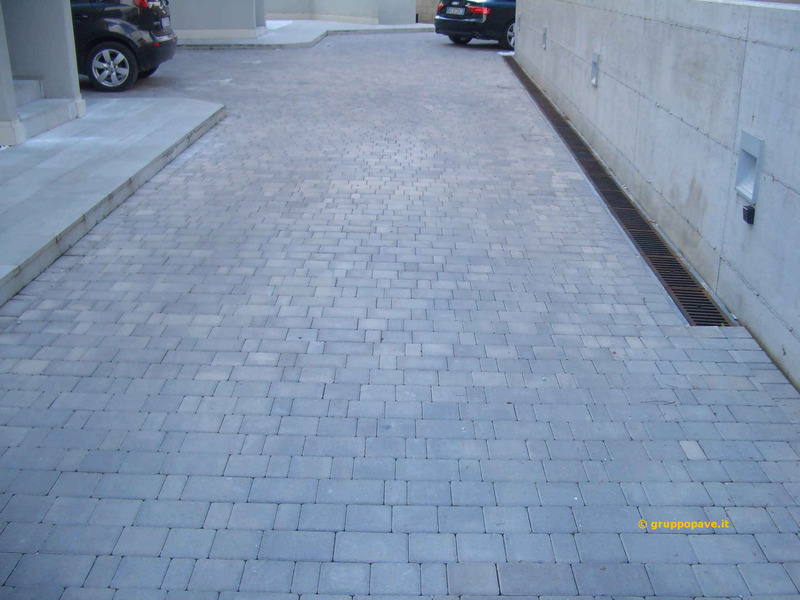 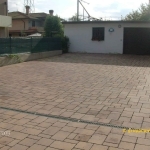 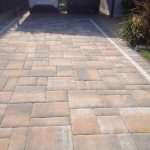 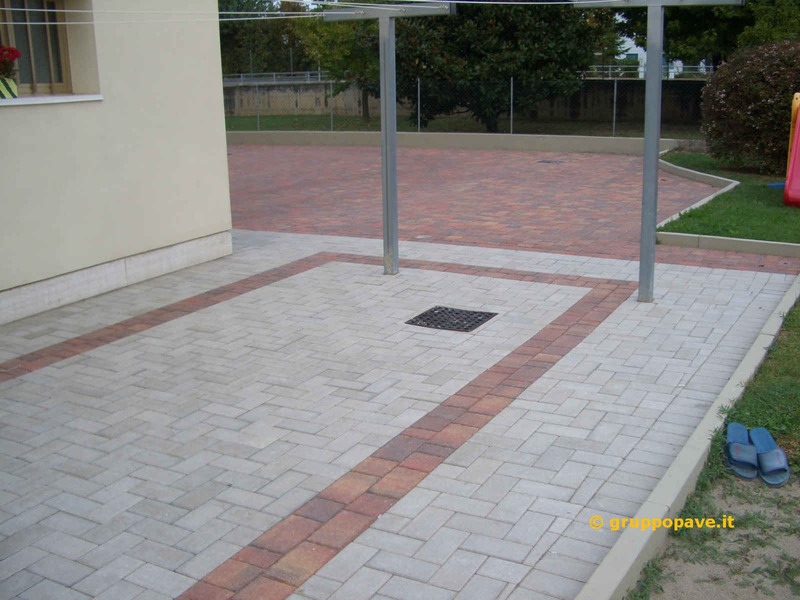 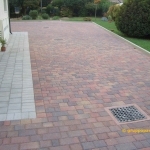 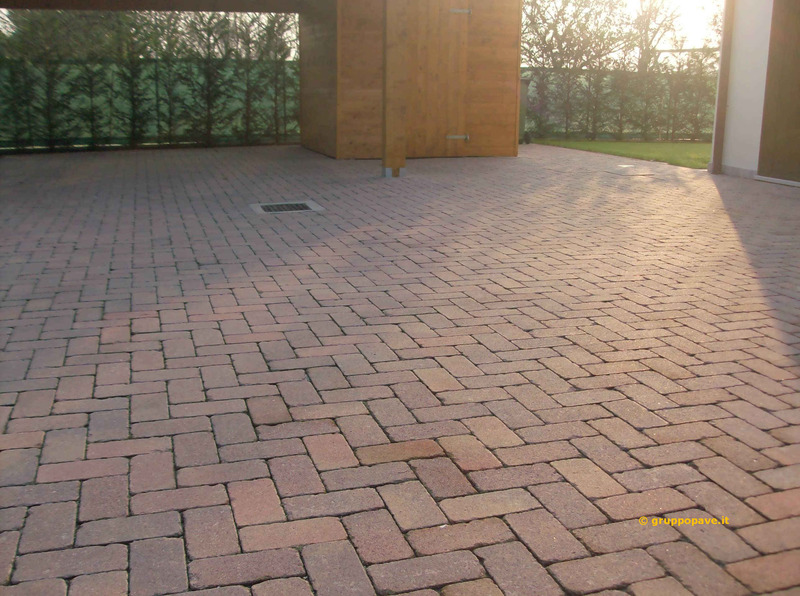 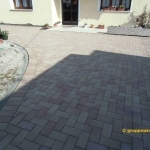 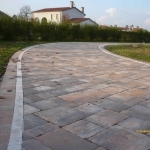 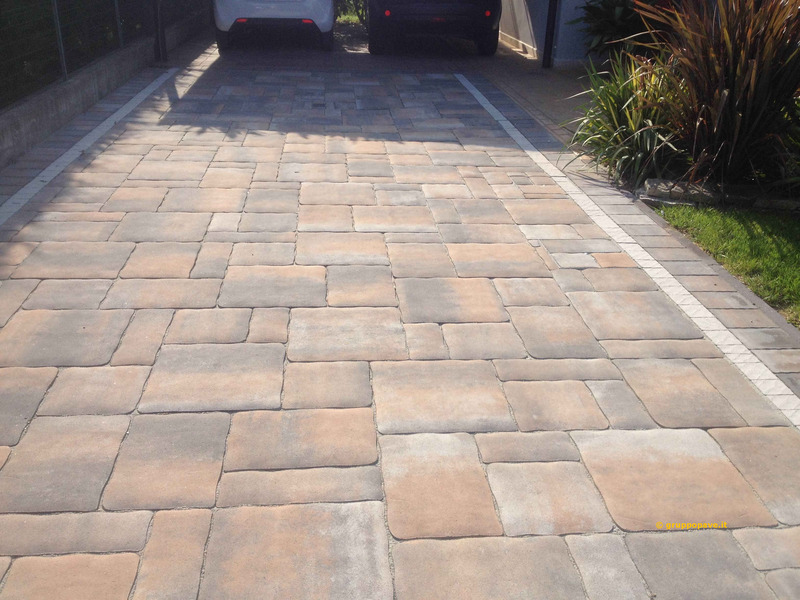 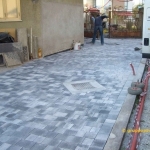 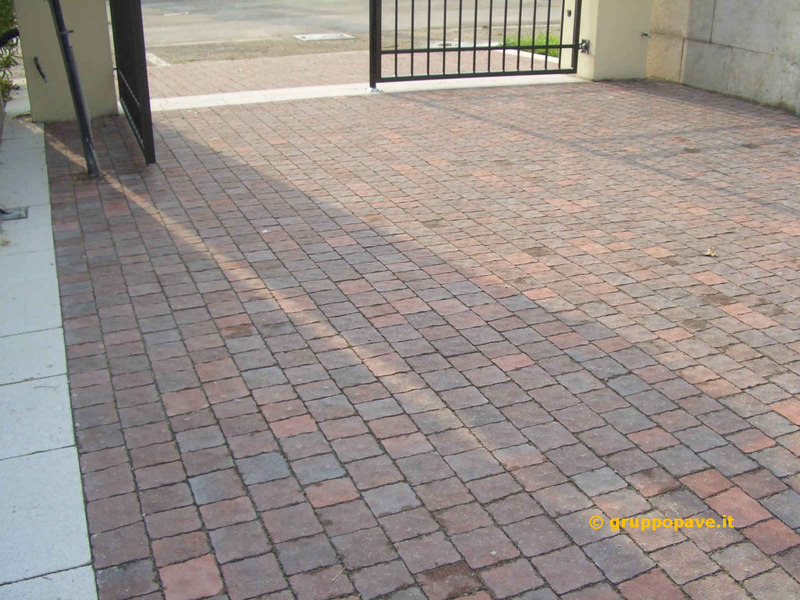 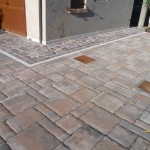 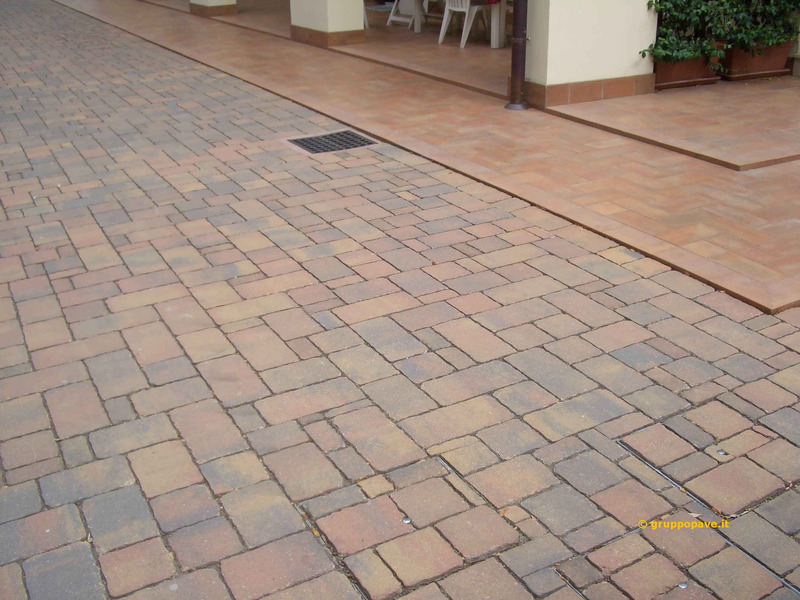 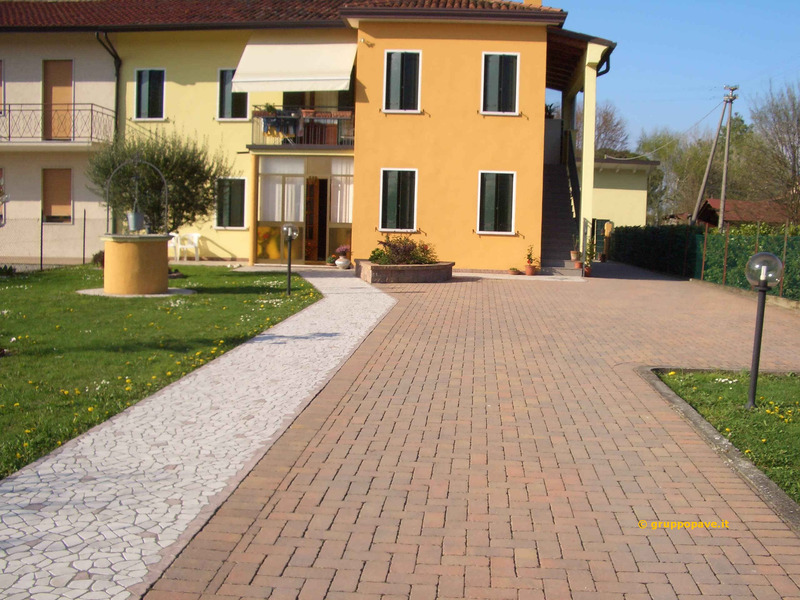 Placing the layer of paving blocks is achieved considering the type of interlocking blocks used and it must maintain a specific conformation following the ground and to be suitable to the use of the area to be paved. 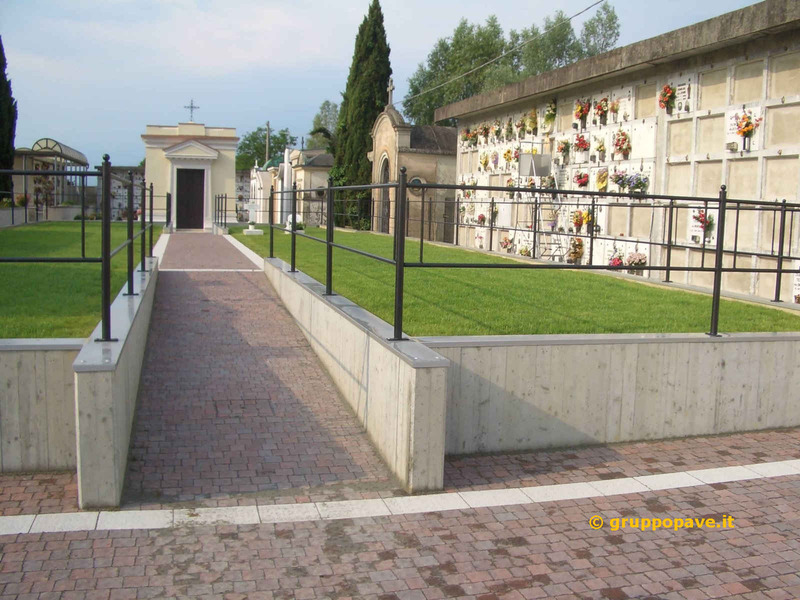 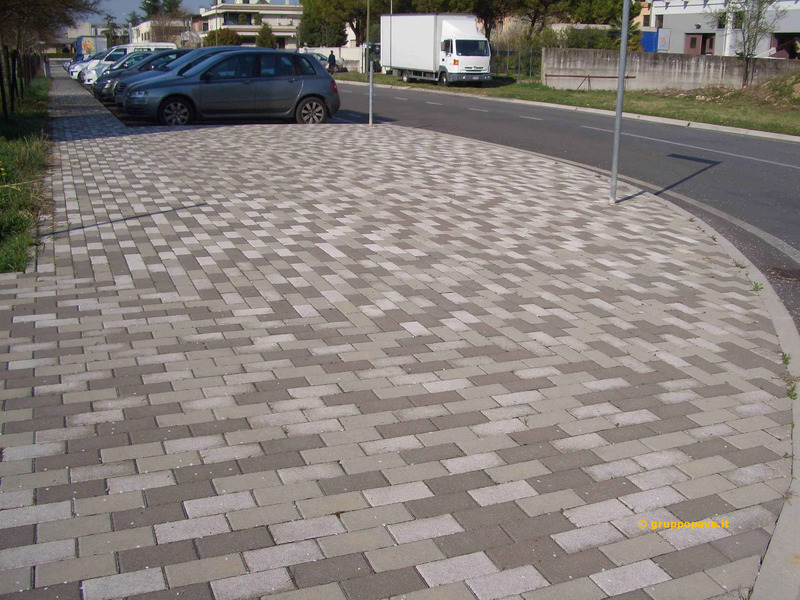 The use of interlocking blocks implies the presence of micro cracks between them which it implicates an elevated coefficient of permeability of the pose layer: for this reason, it must be levelled following the required slopes to allow the disposal of rainwater. 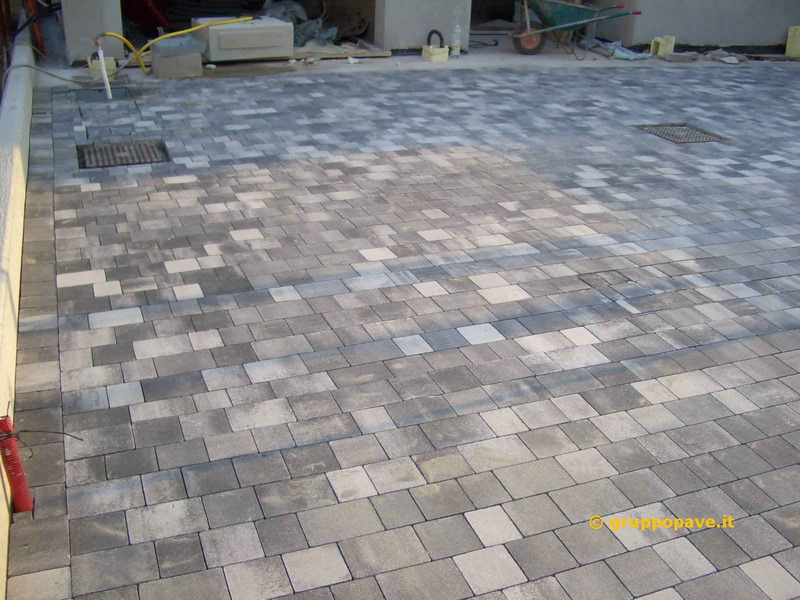 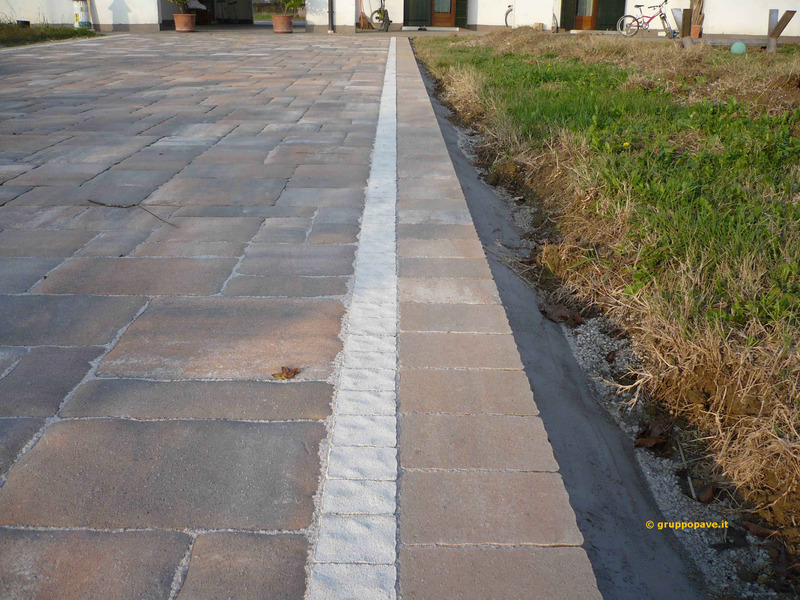 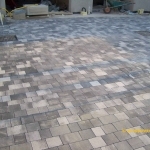 Once the laying of the paving blocks is completed this is the time to pass to the compaction stage, then going on to an appropriate sand sealing of the joints between the blocks. 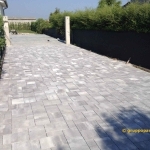 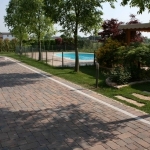 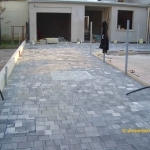 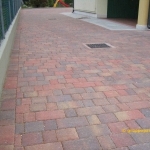 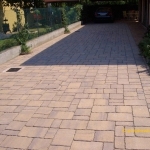 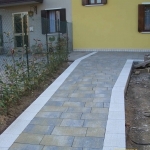 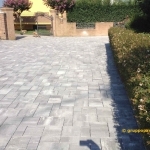 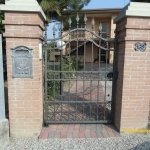 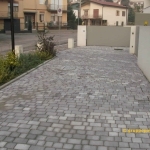 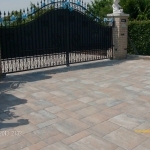 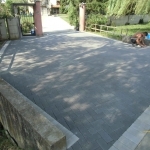 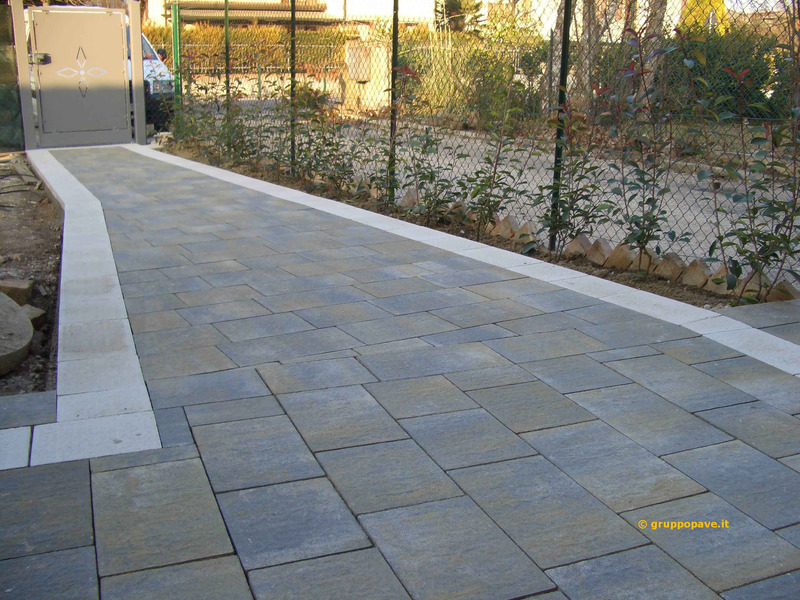 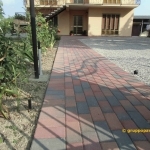 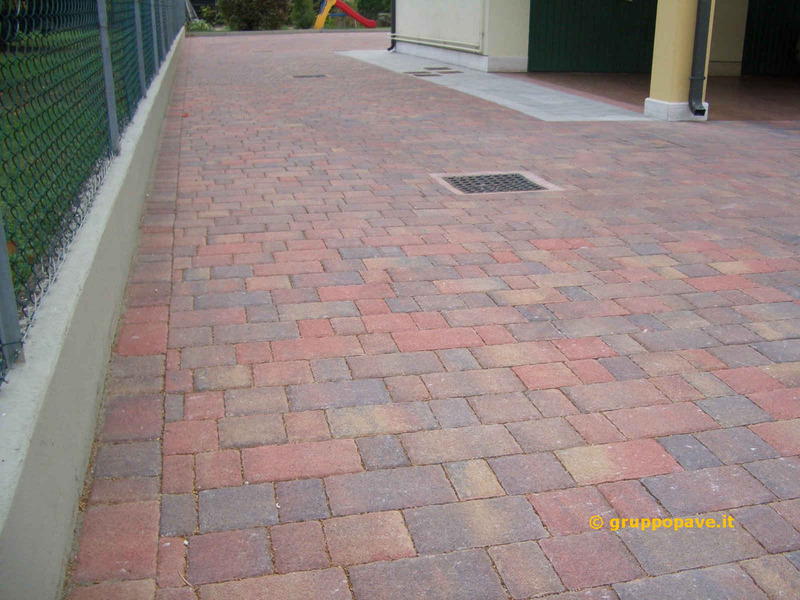 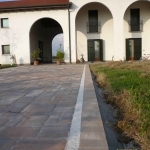 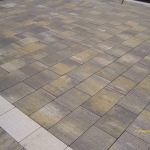 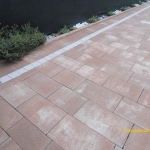 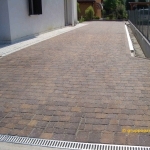 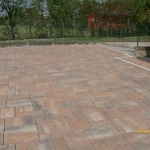 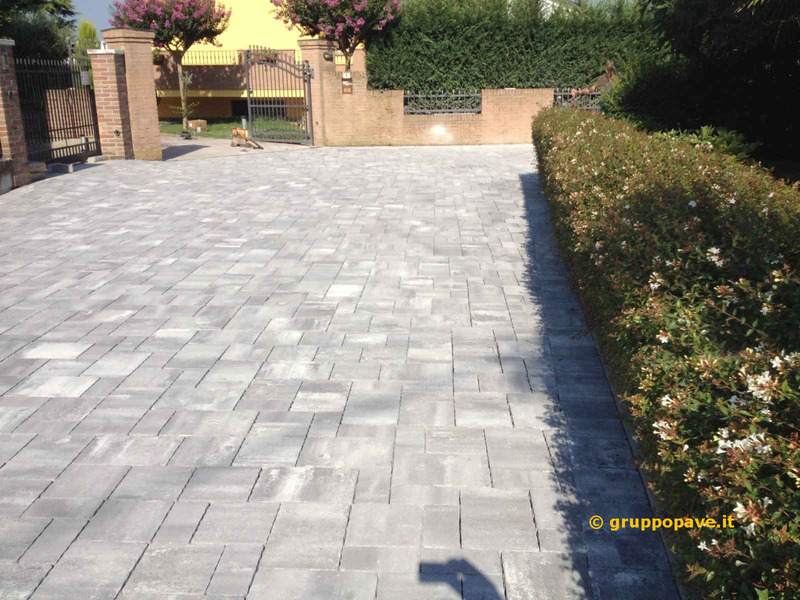 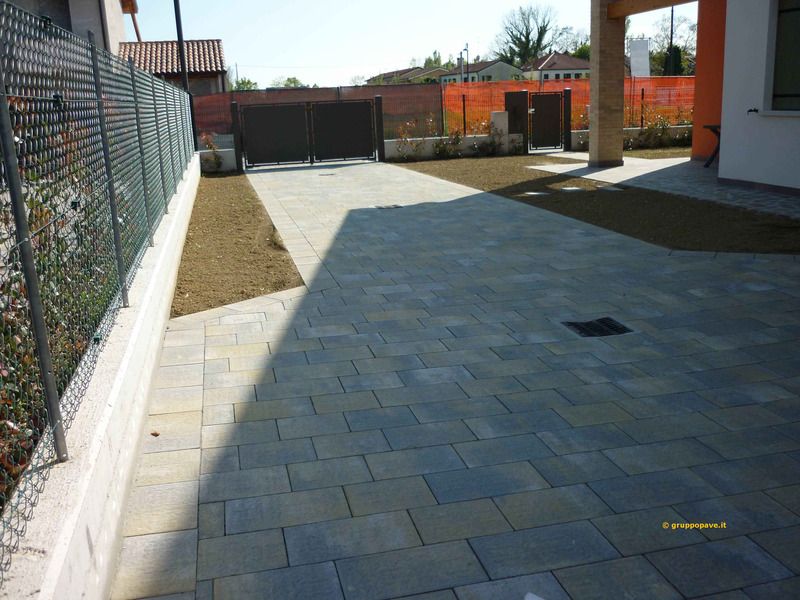 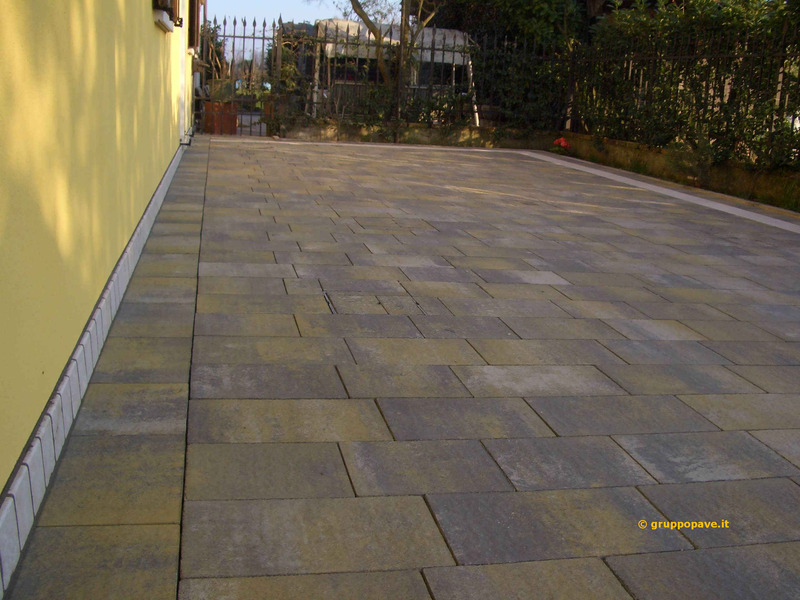 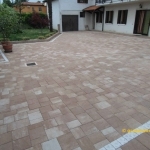 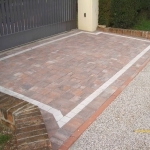 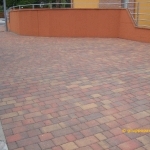 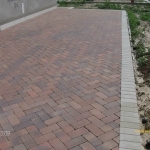 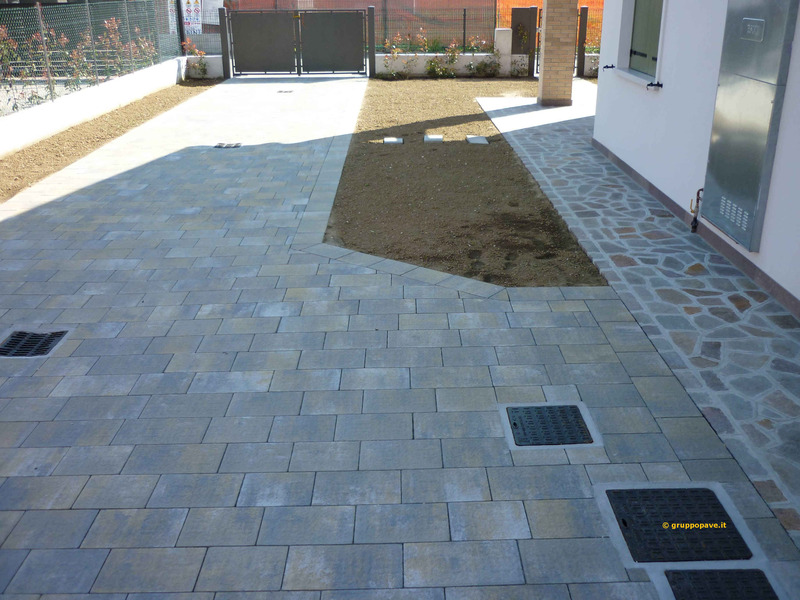 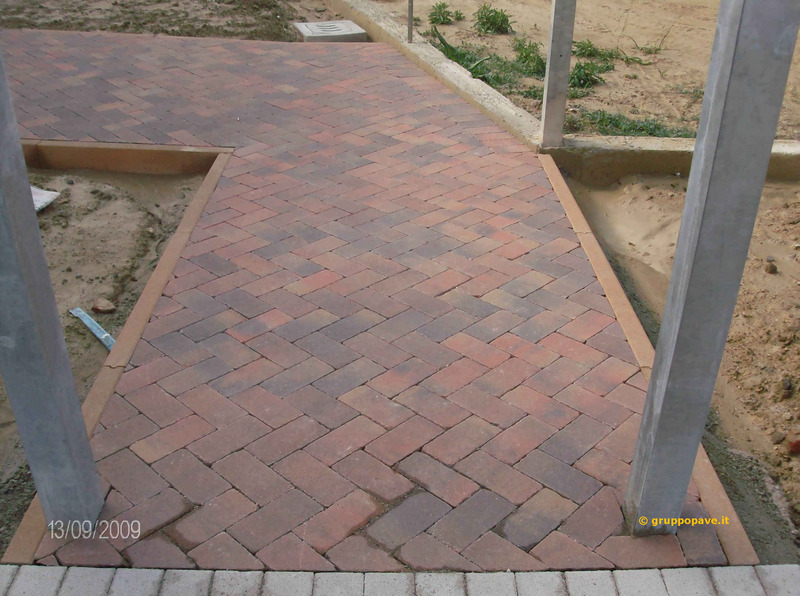 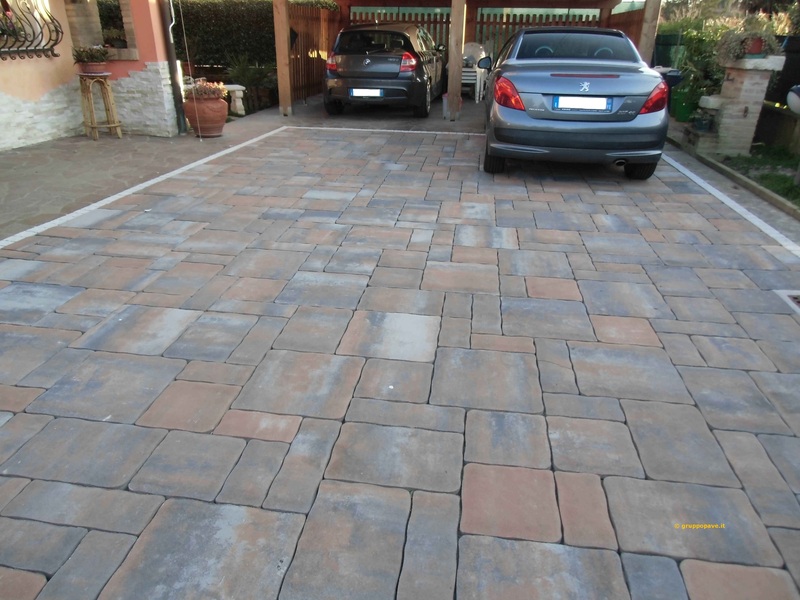 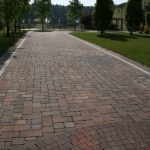 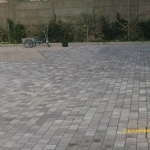 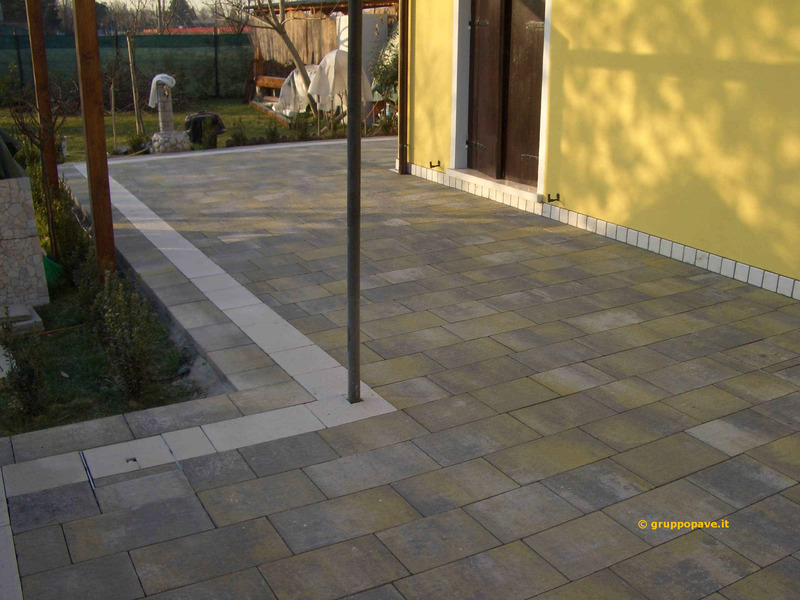 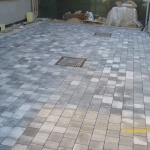 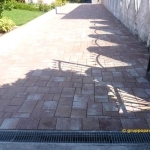 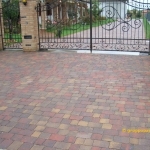 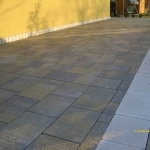 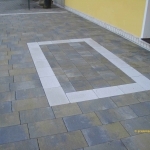 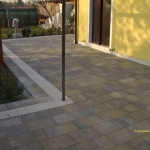 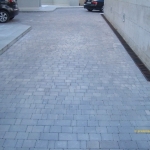 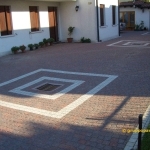 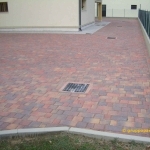 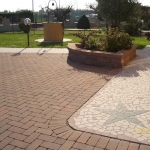 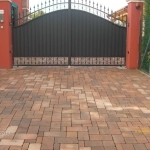 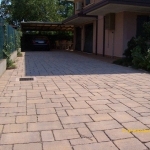 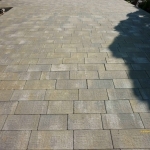 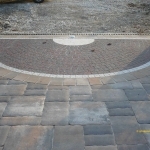 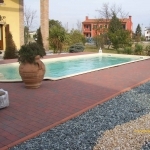 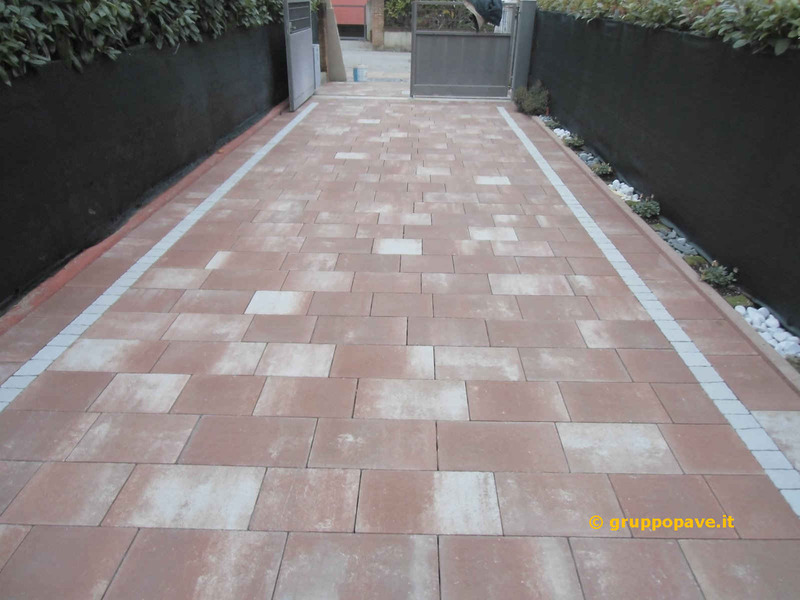 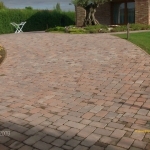 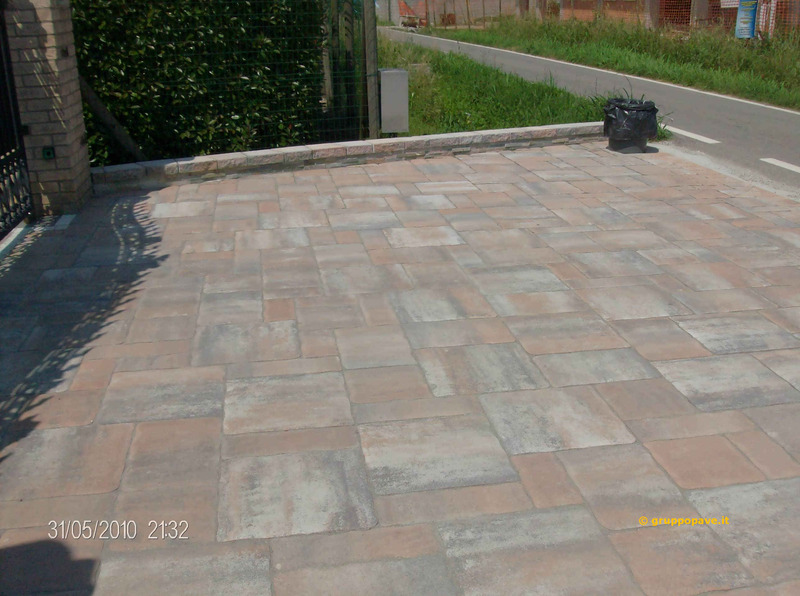 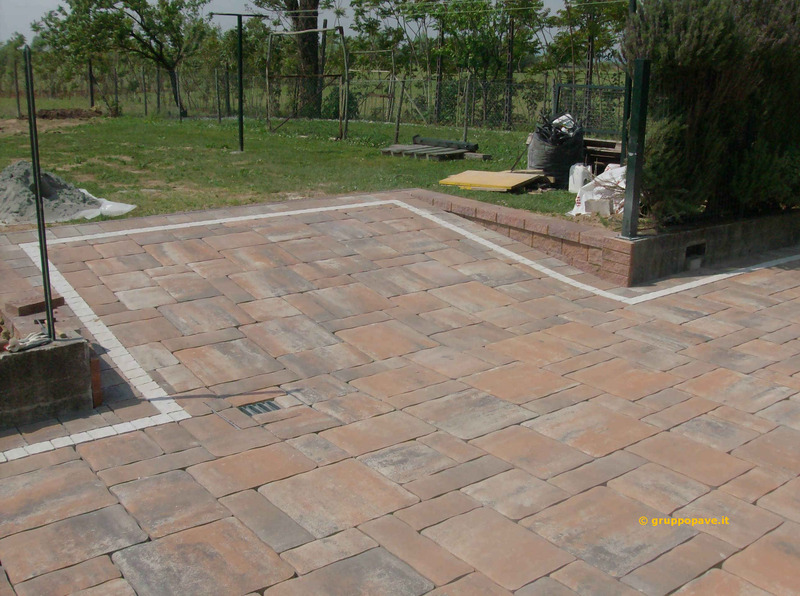 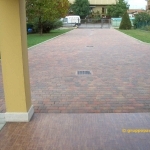 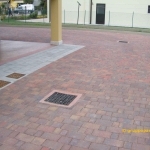 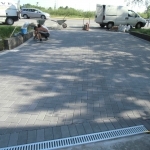 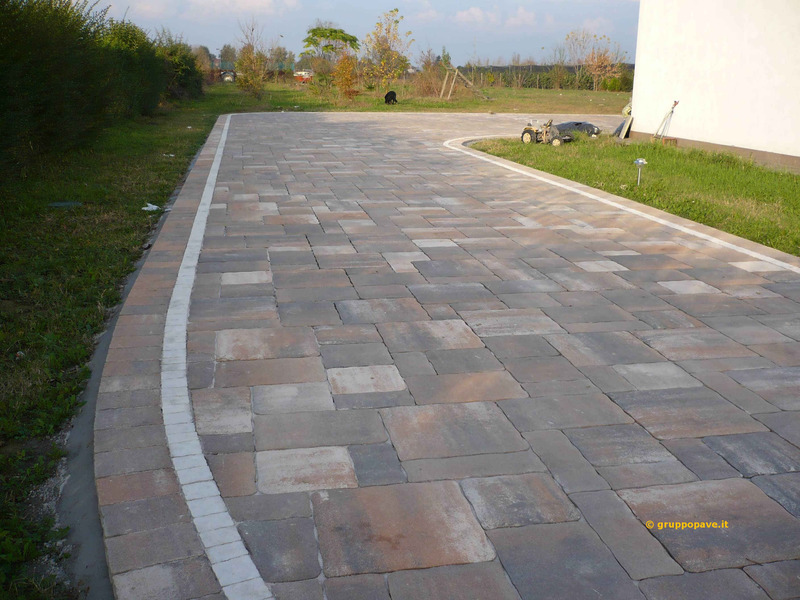 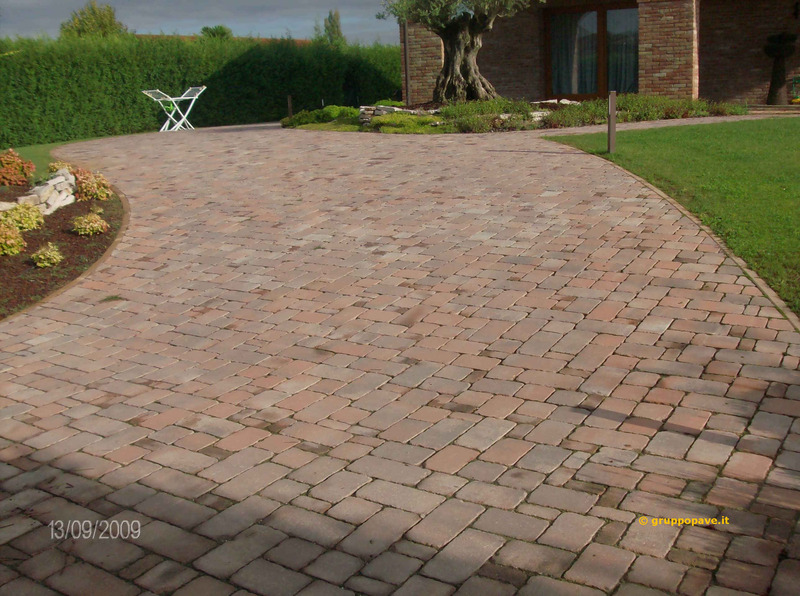 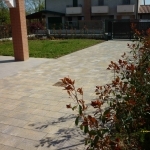 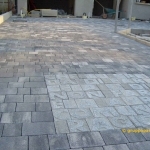 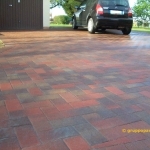 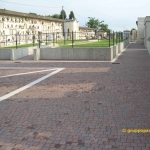 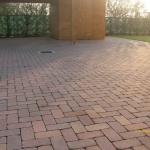 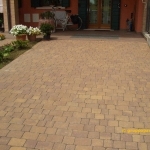 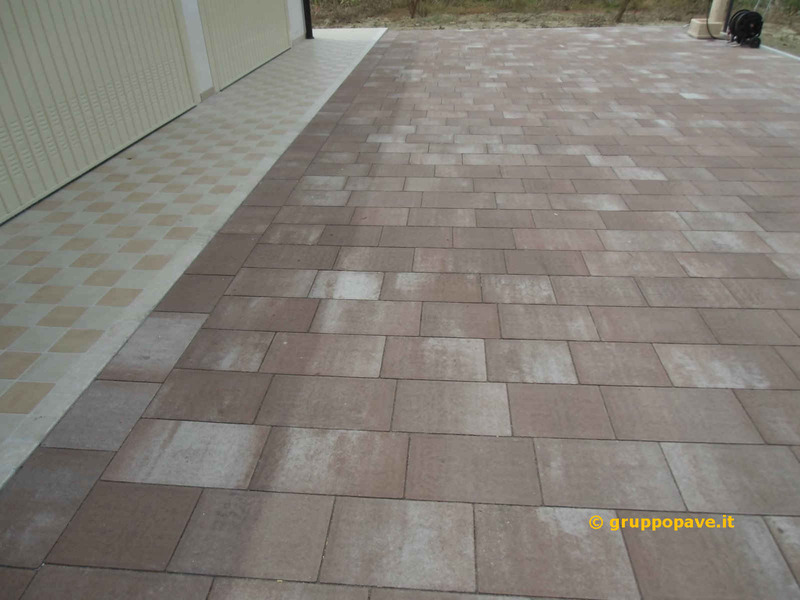 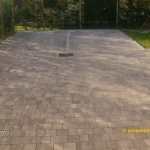 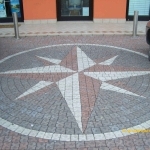 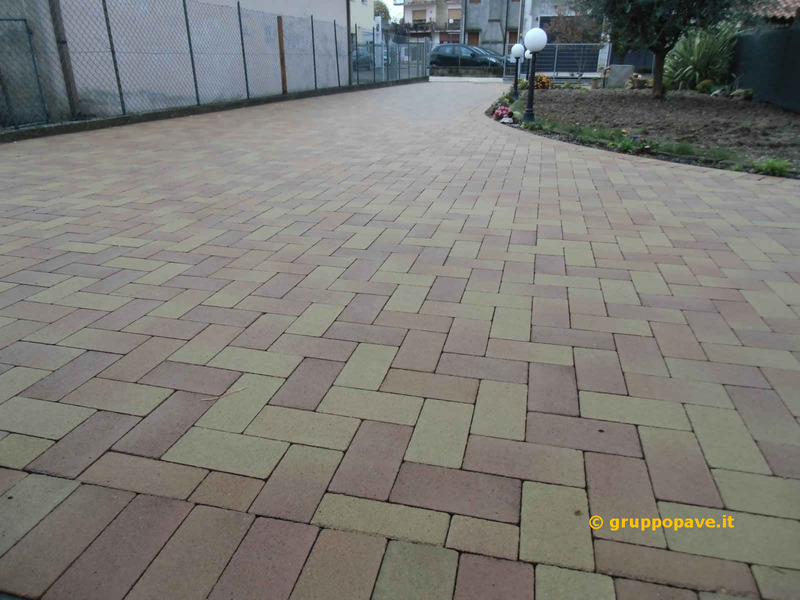 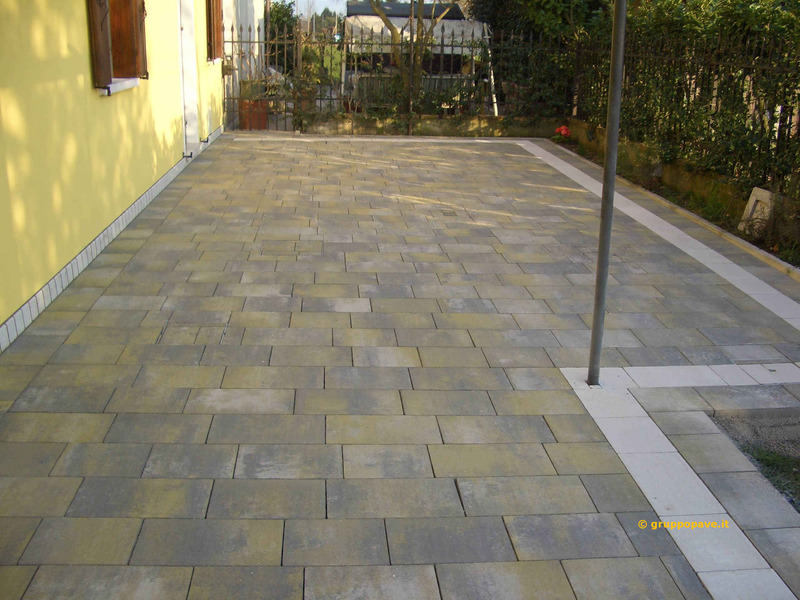 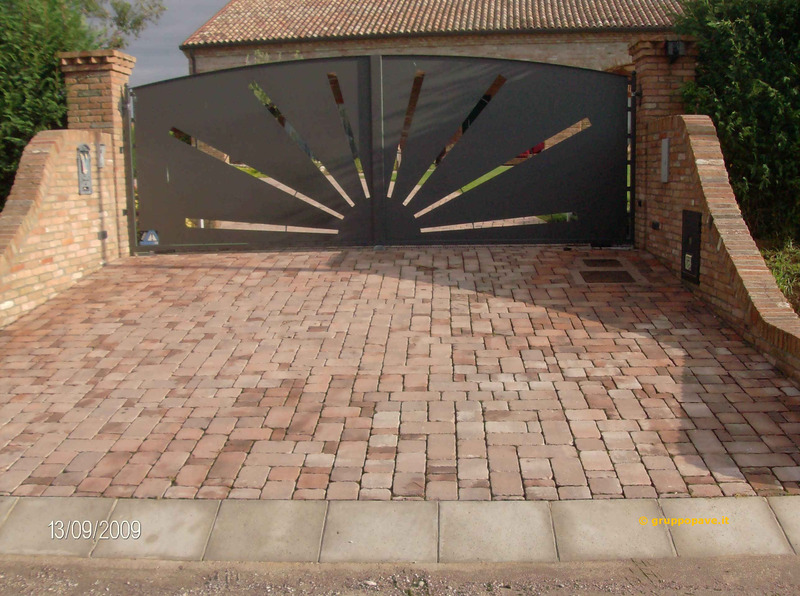 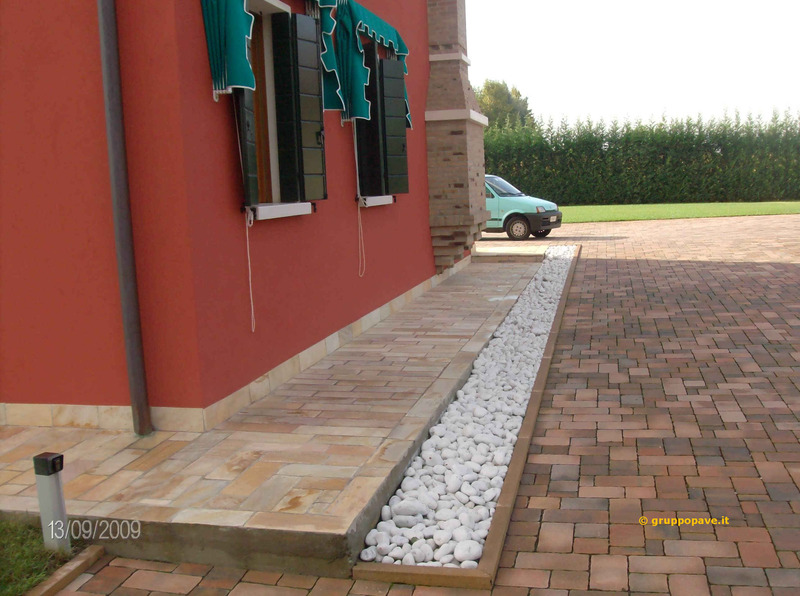 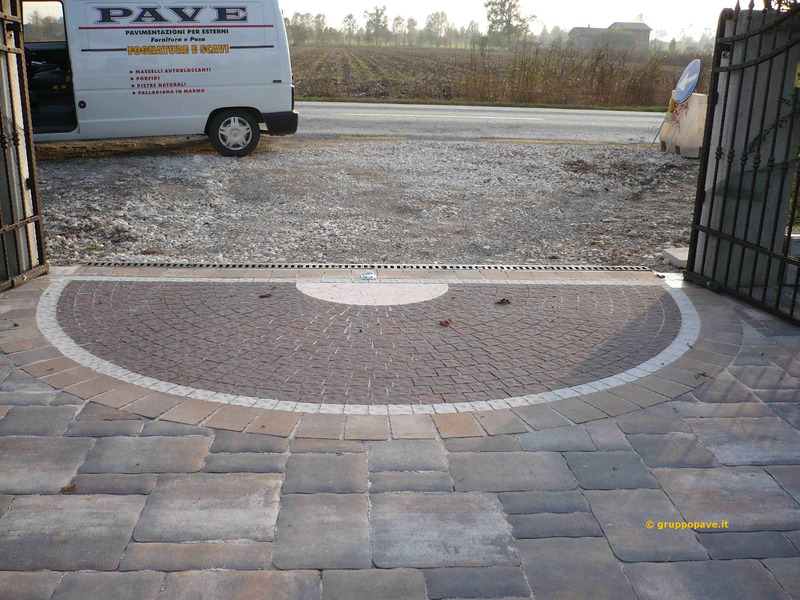 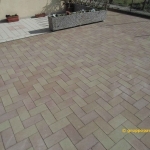 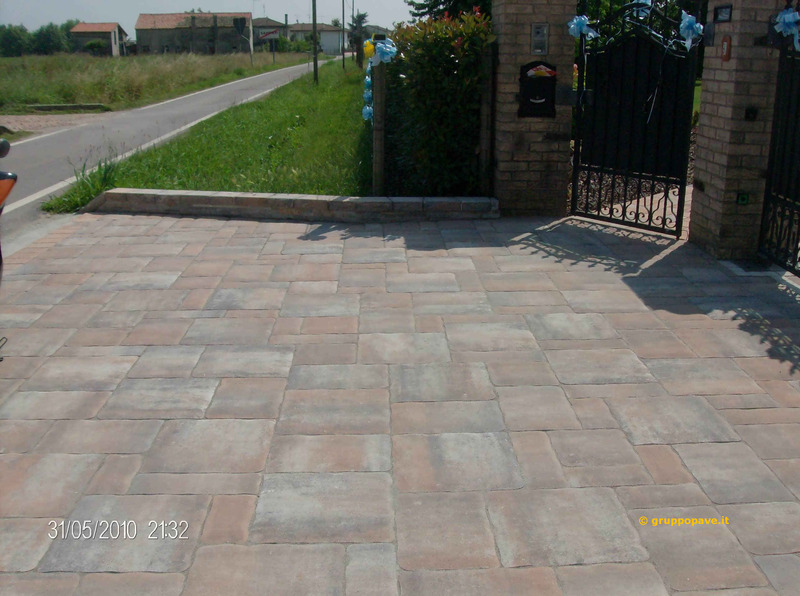 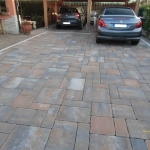 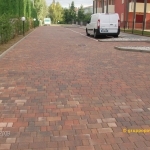 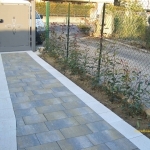 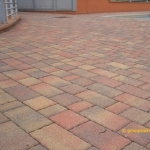 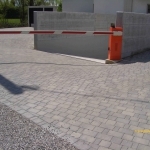 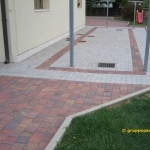 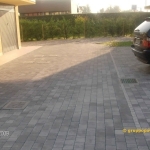 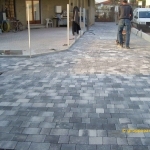 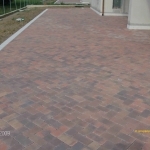 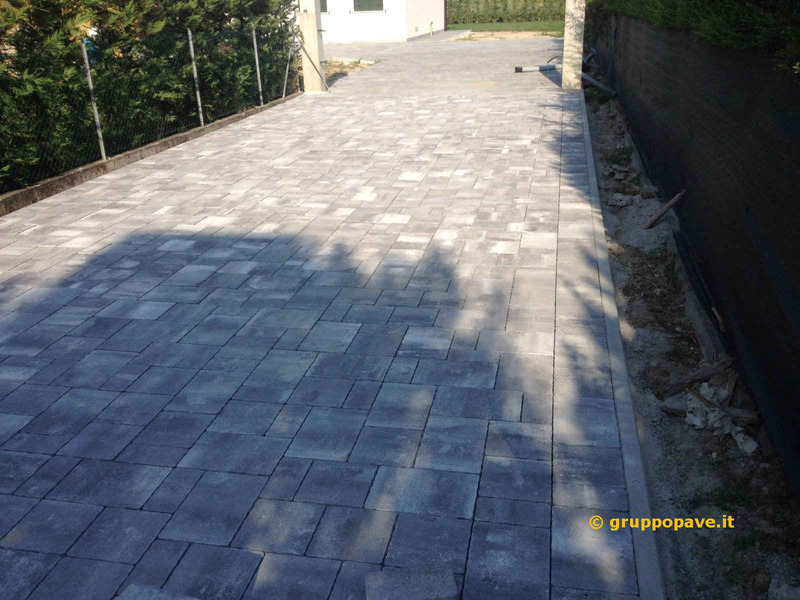 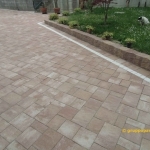 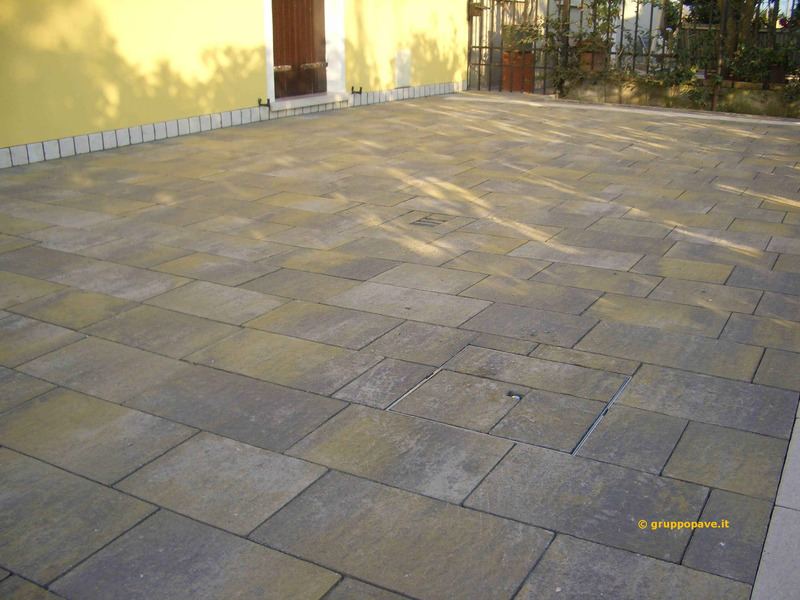 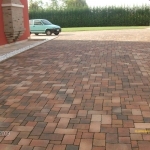 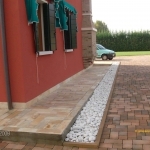 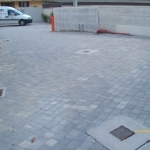 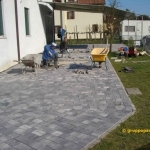 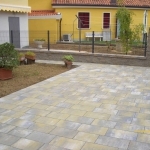 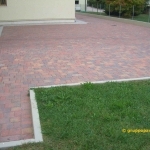 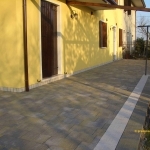 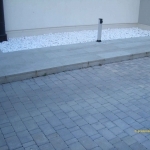 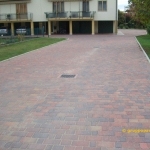 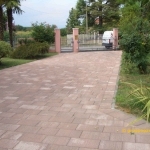 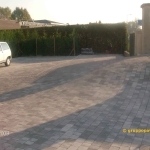 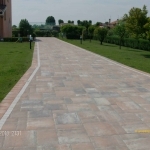 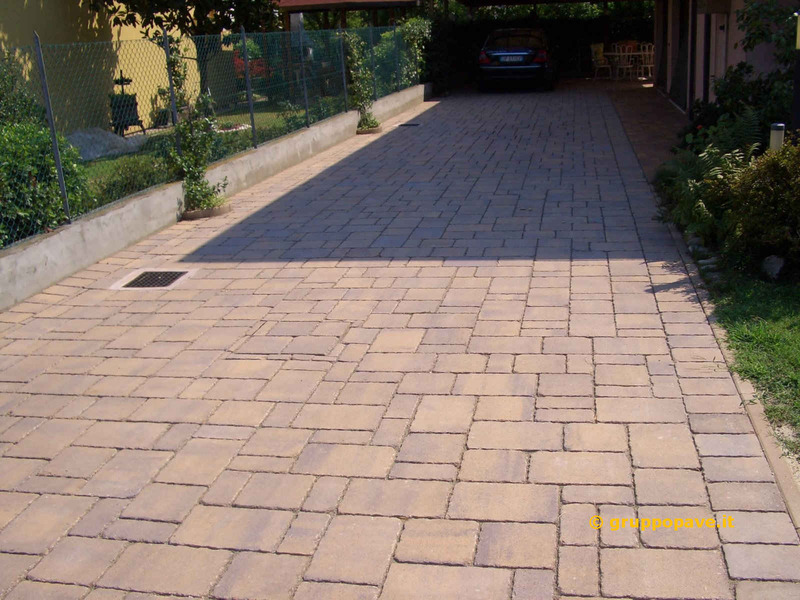 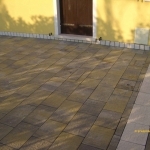 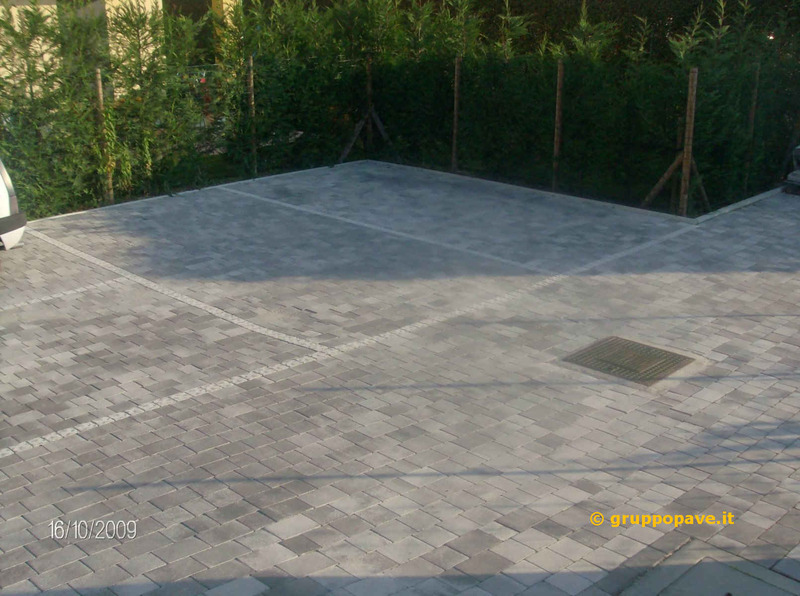 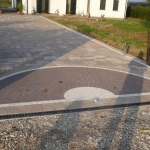 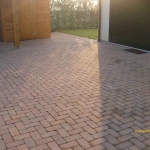 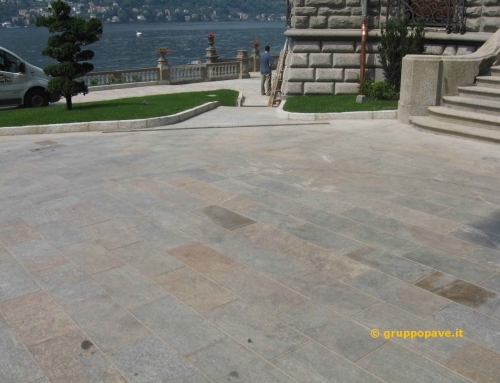 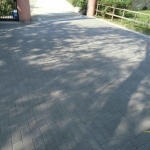 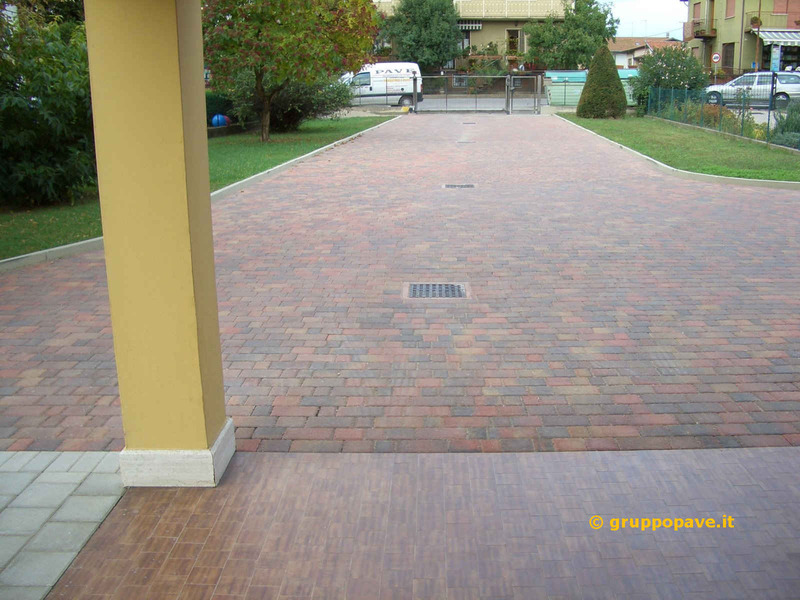 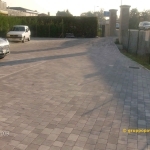 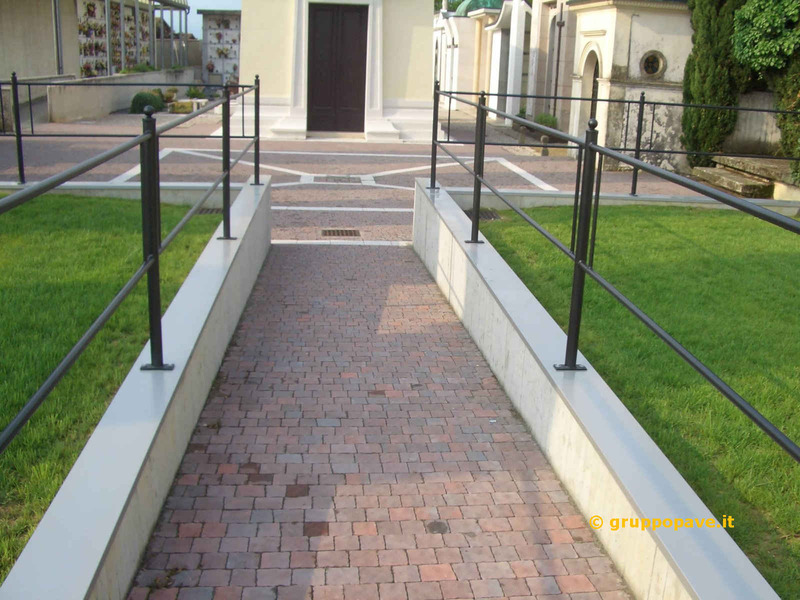 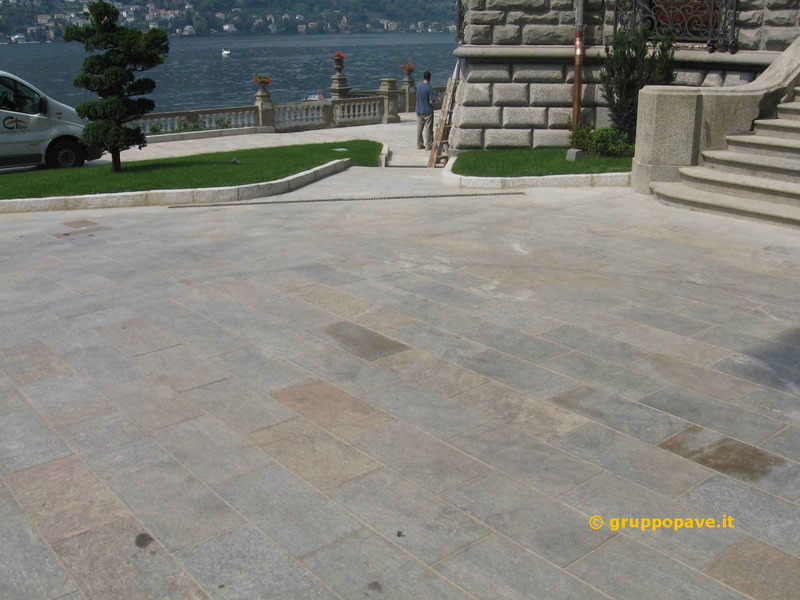 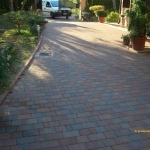 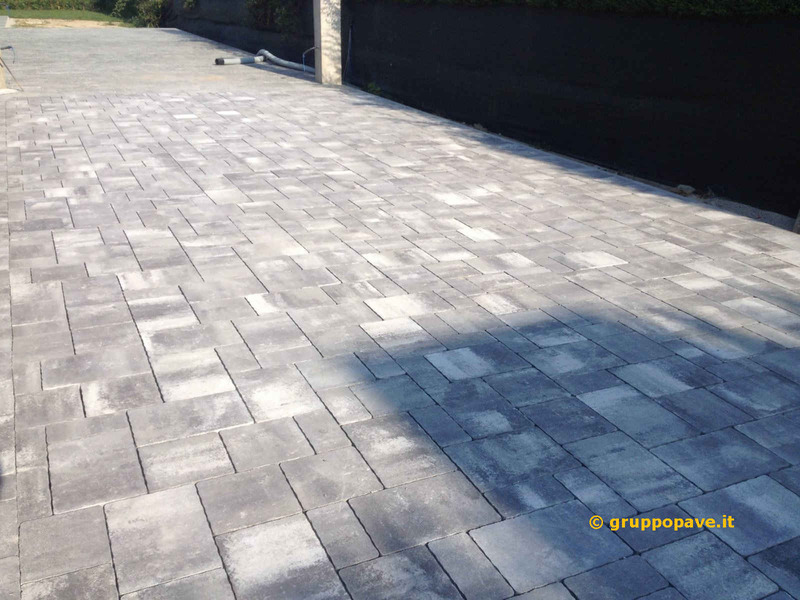 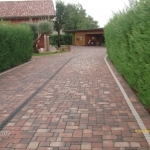 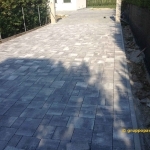 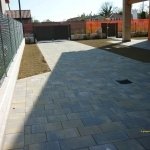 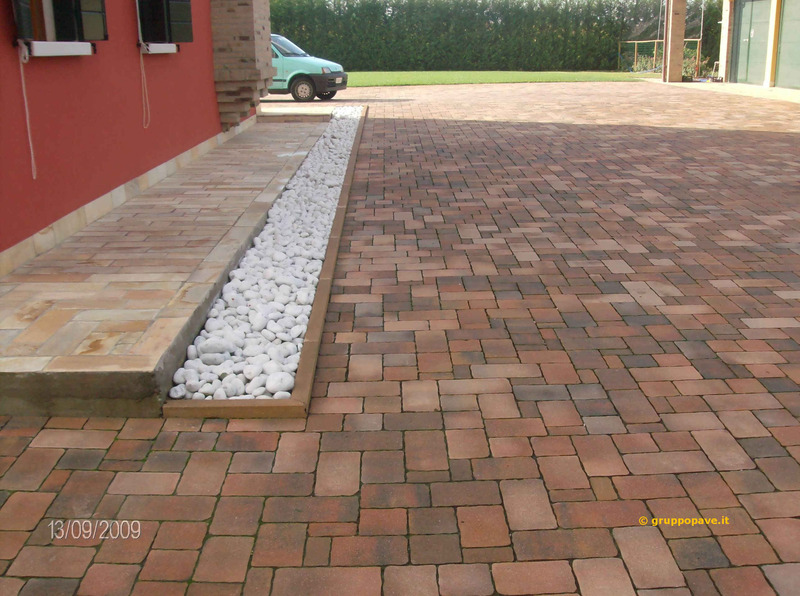 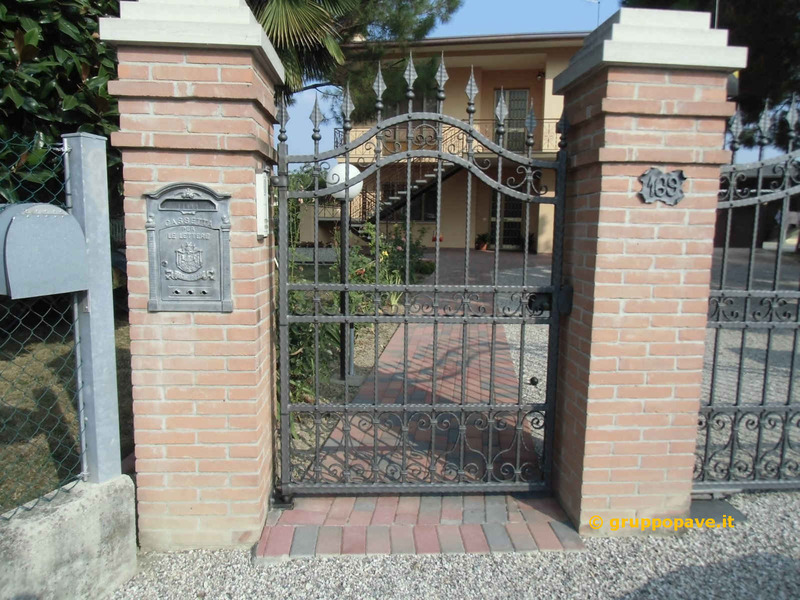 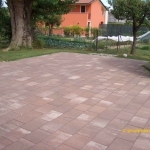 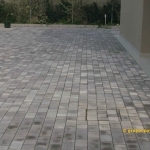 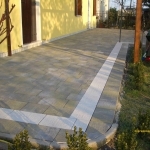 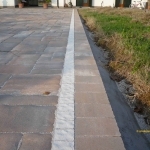 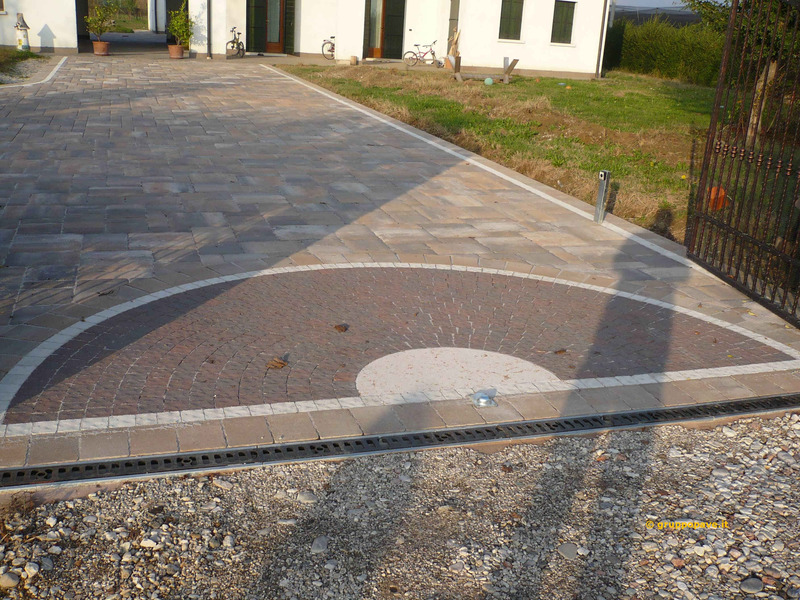 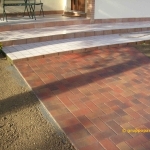 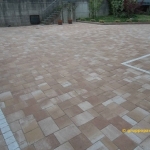 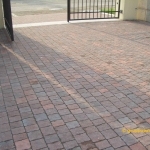 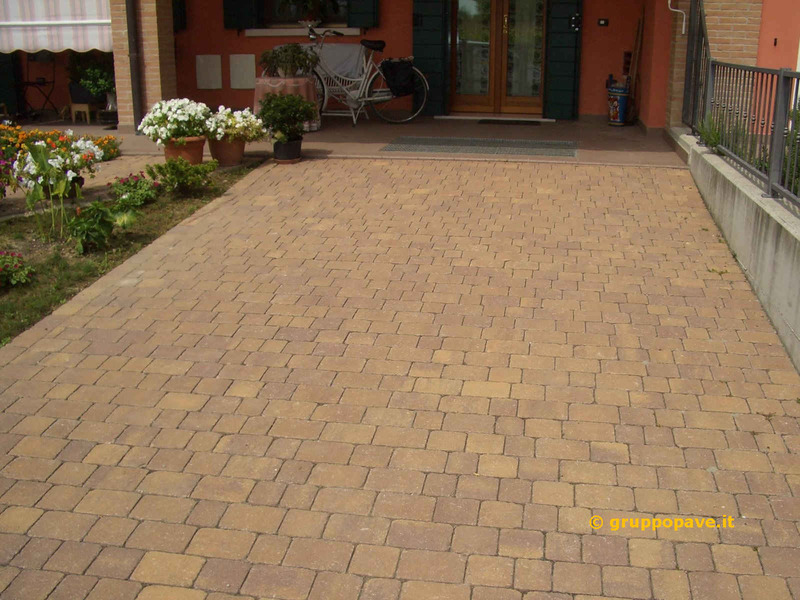 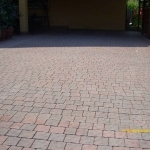 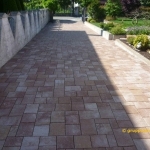 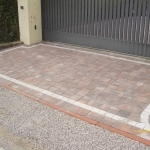 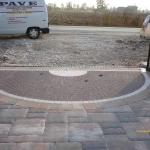 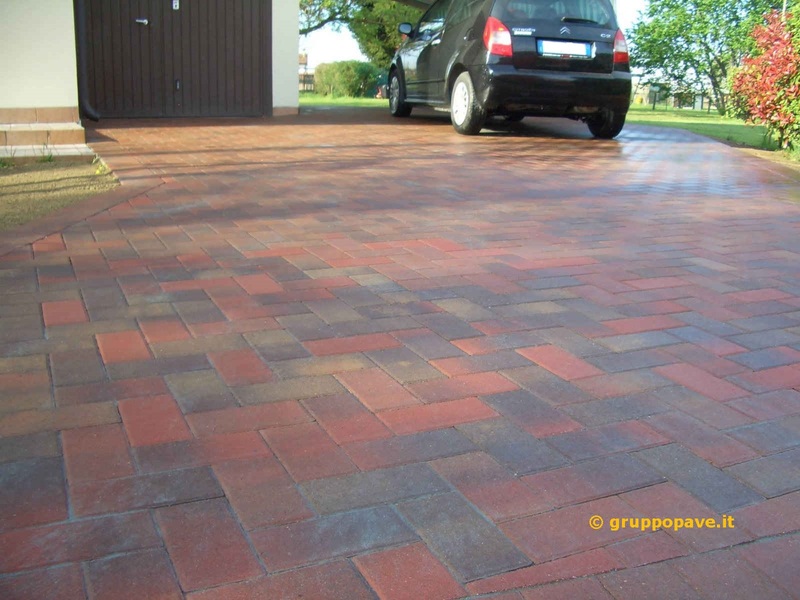 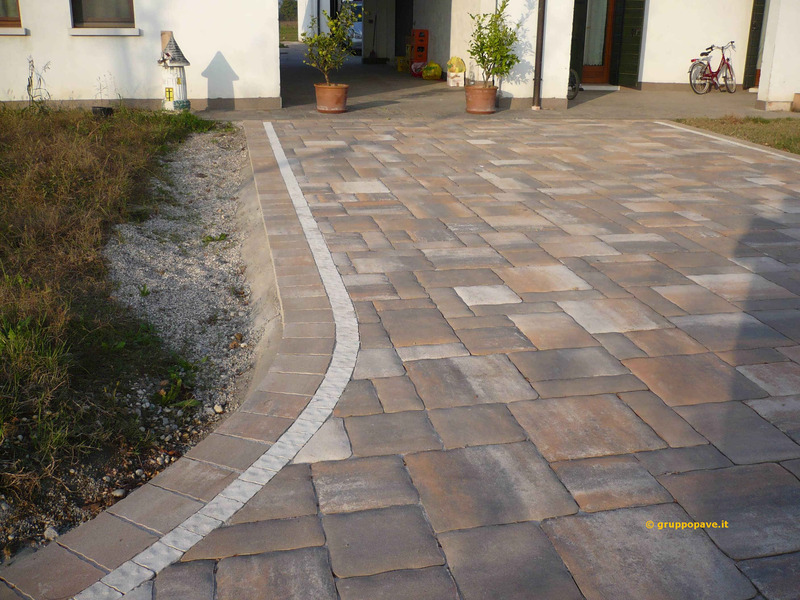 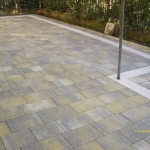 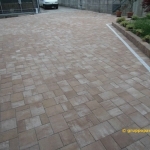 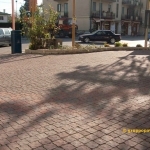 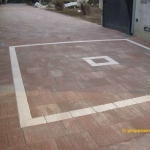 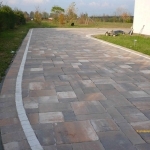 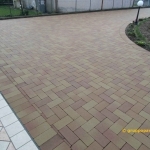 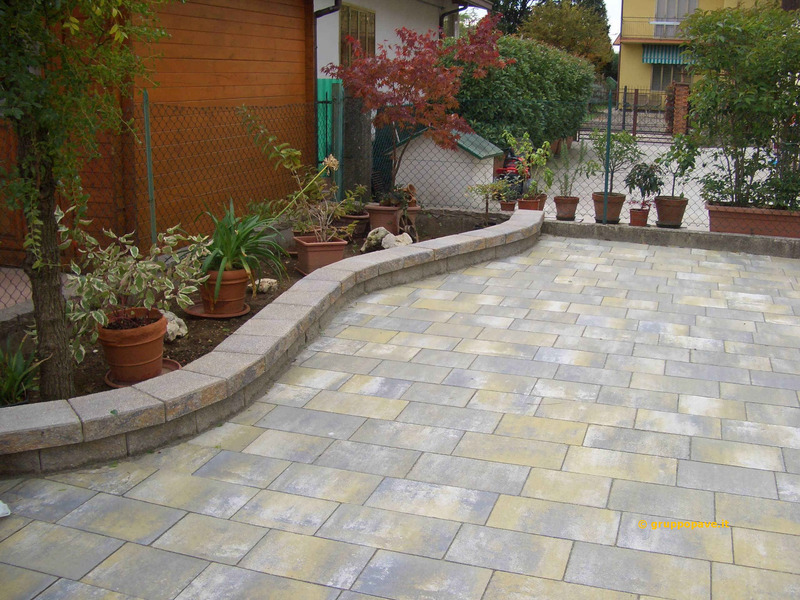 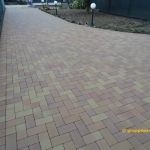 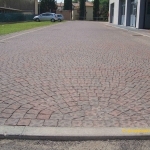 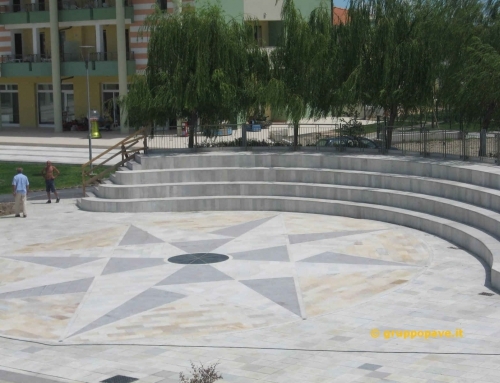 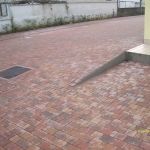 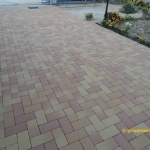 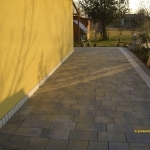 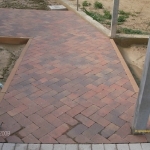 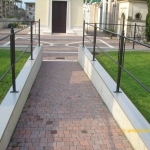 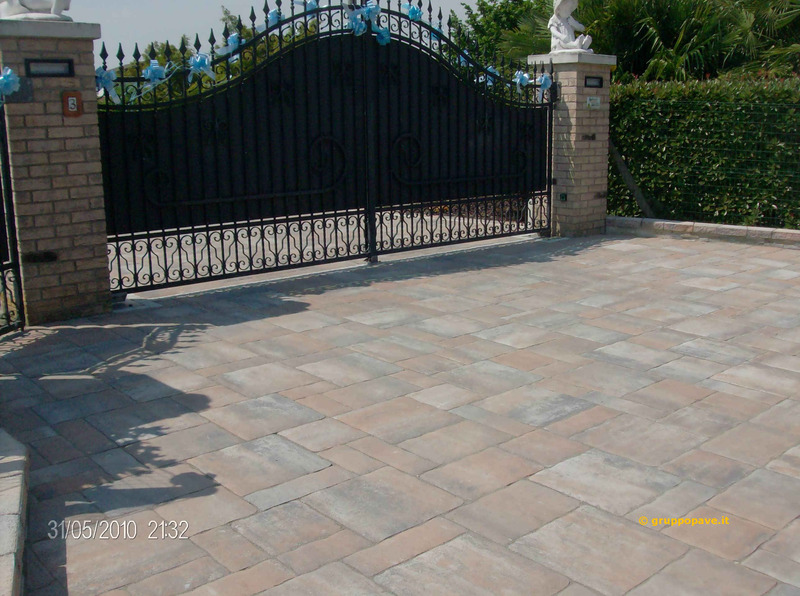 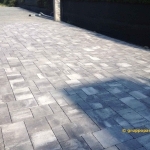 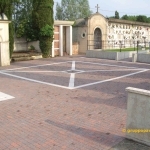 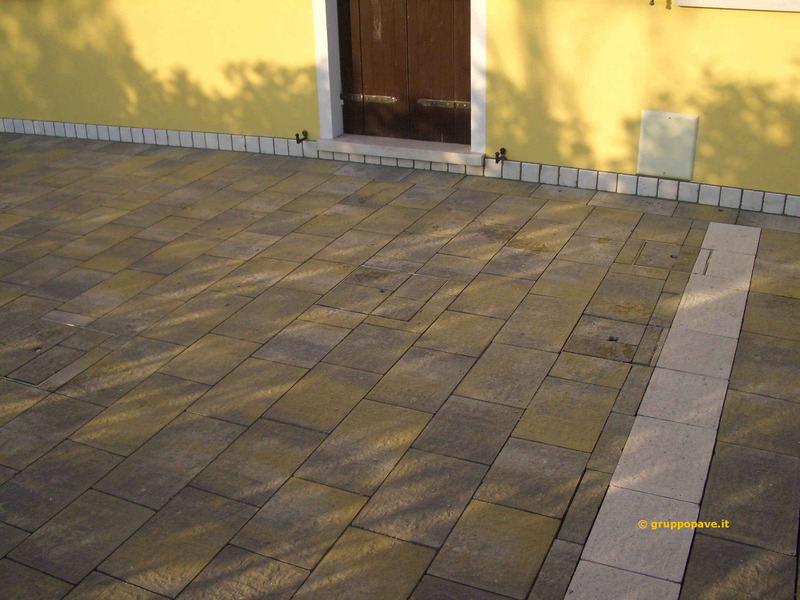 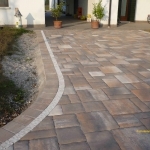 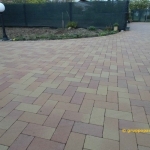 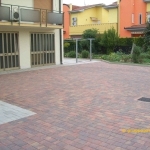 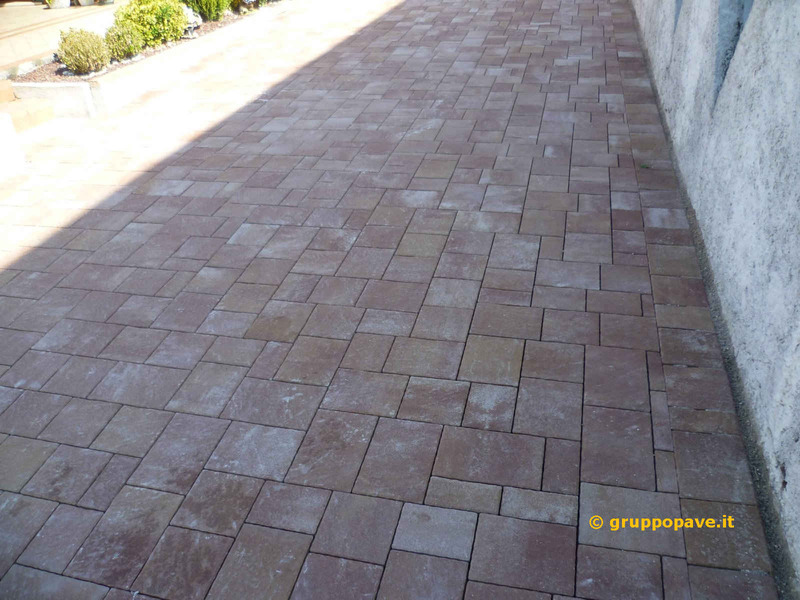 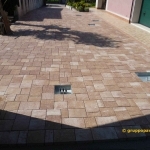 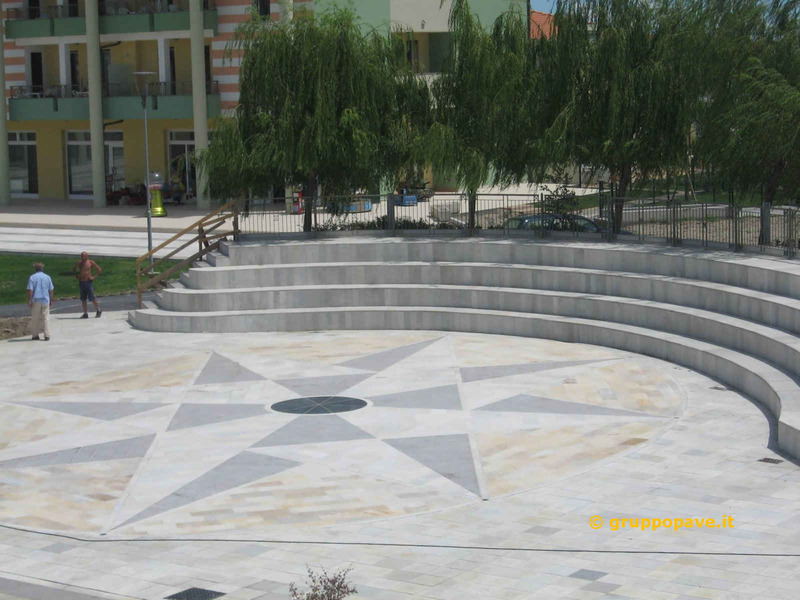 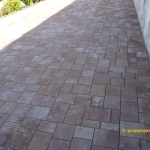 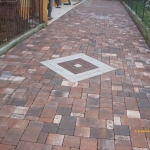 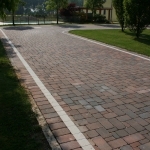 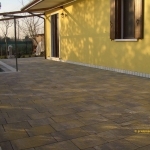 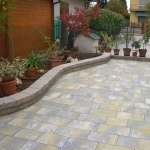 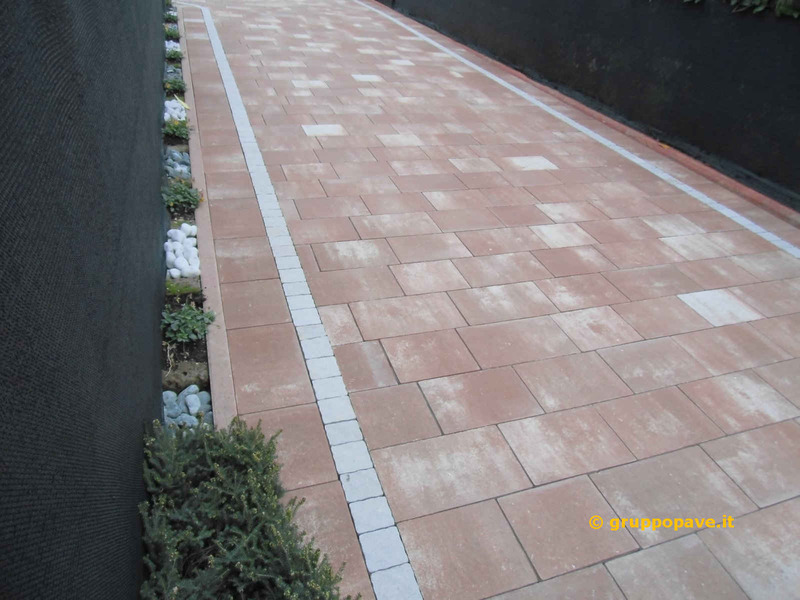 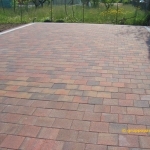 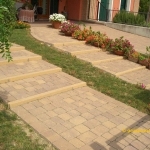 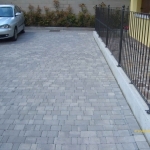 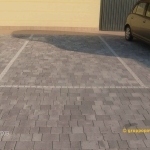 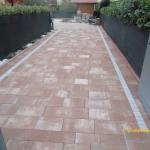 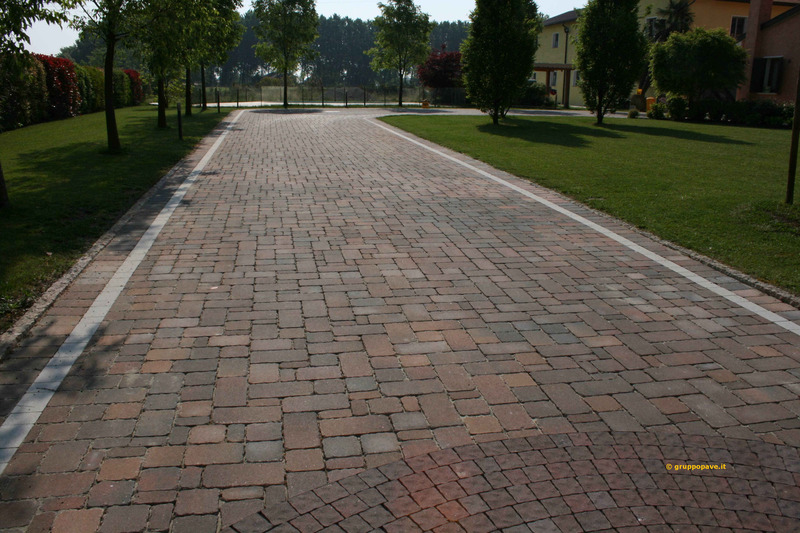 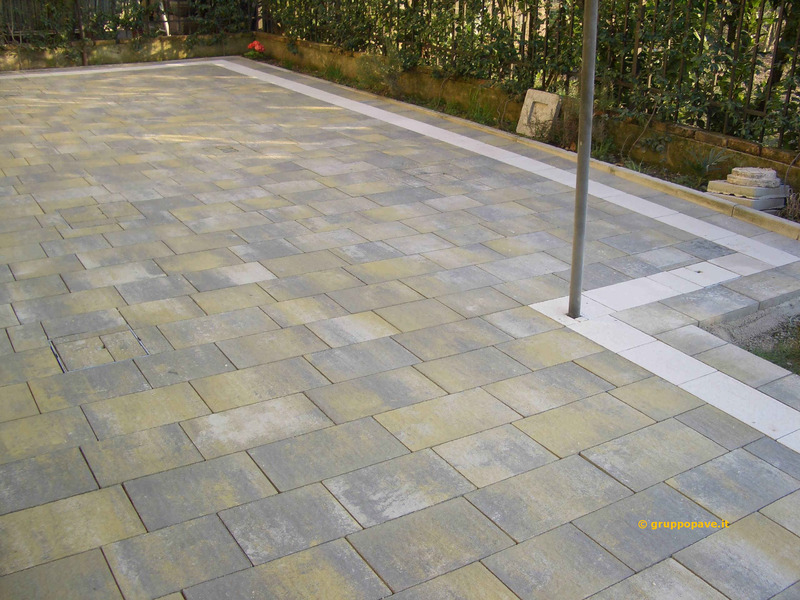 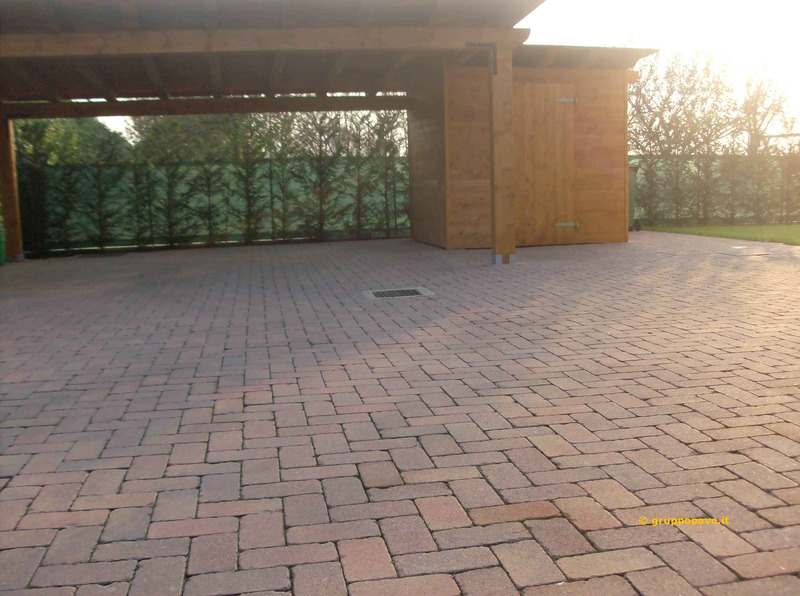 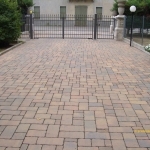 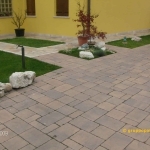 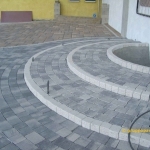 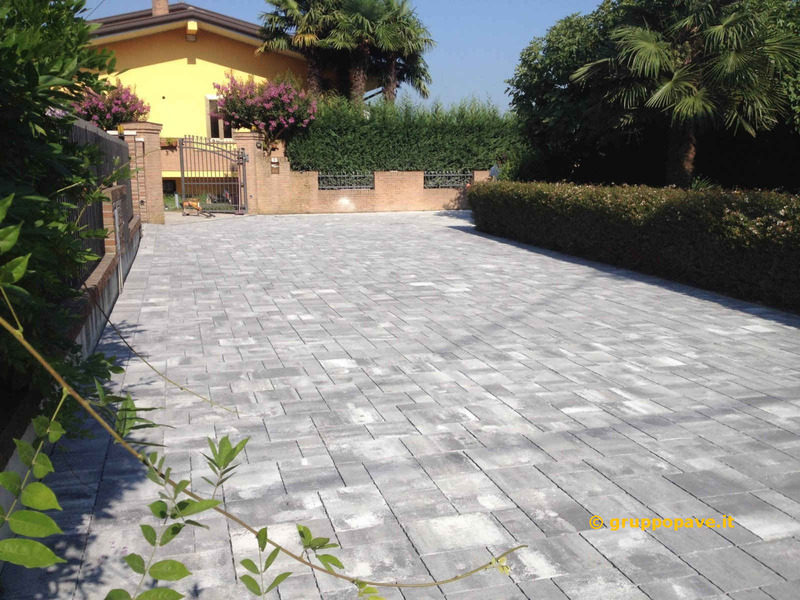 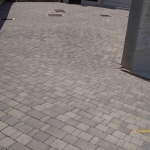 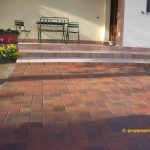 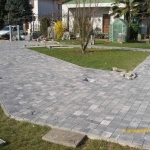 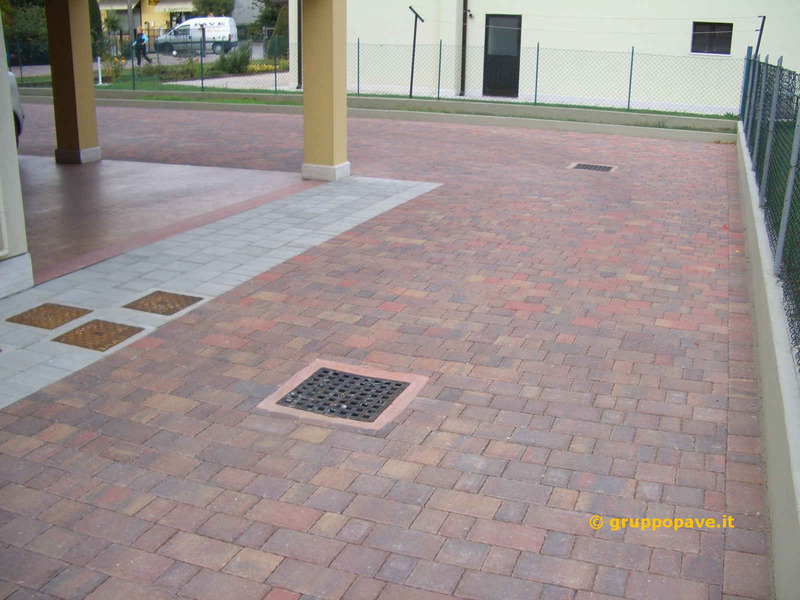 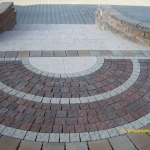 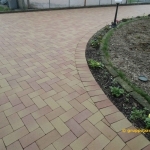 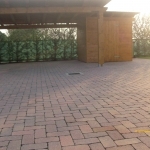 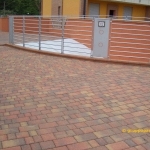 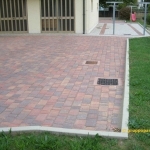 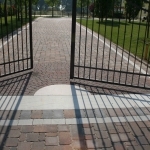 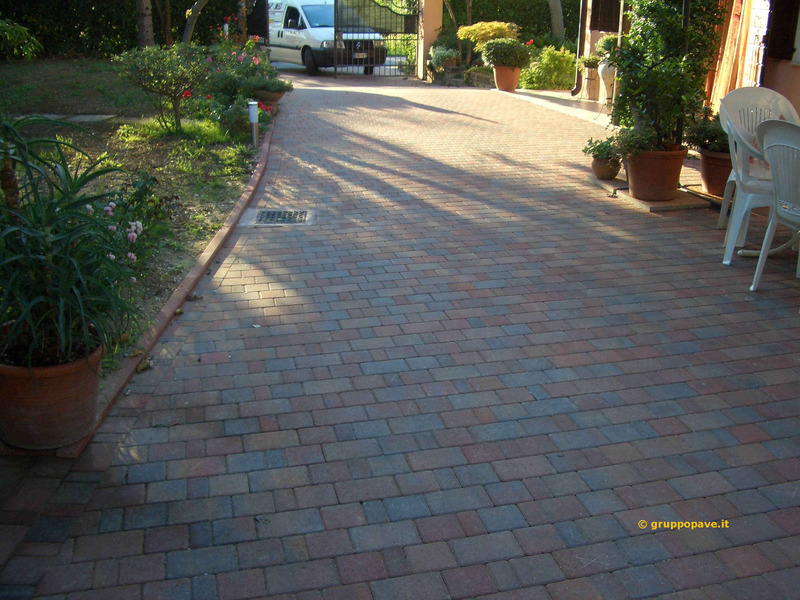 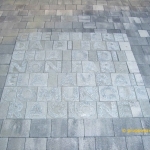 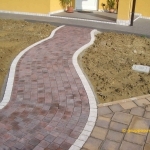 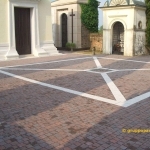 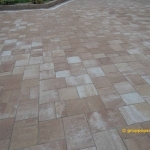 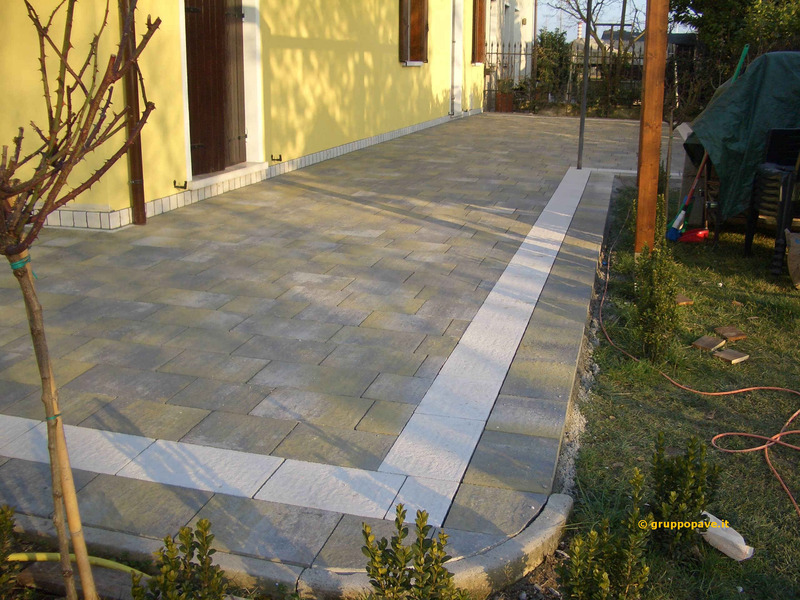 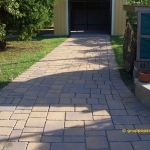 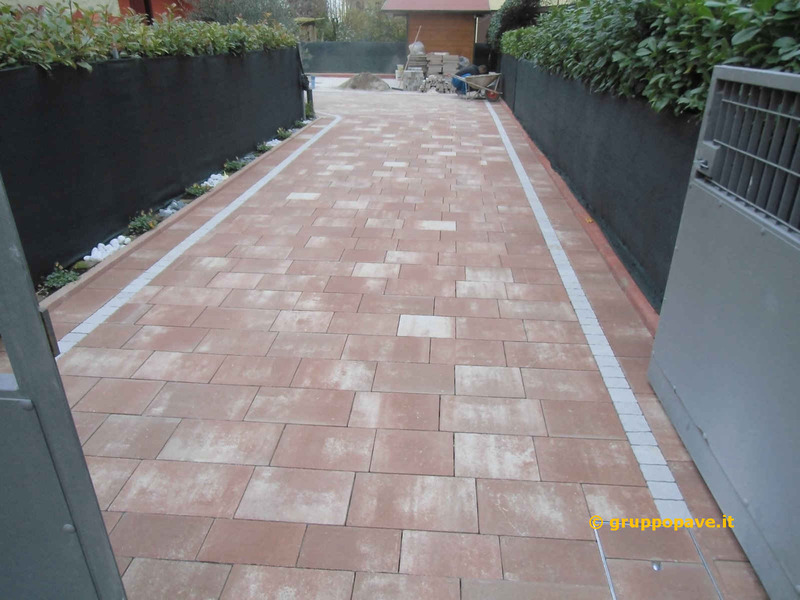 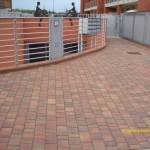 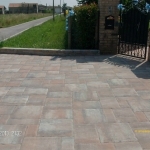 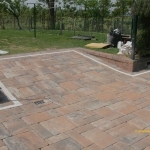 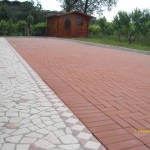 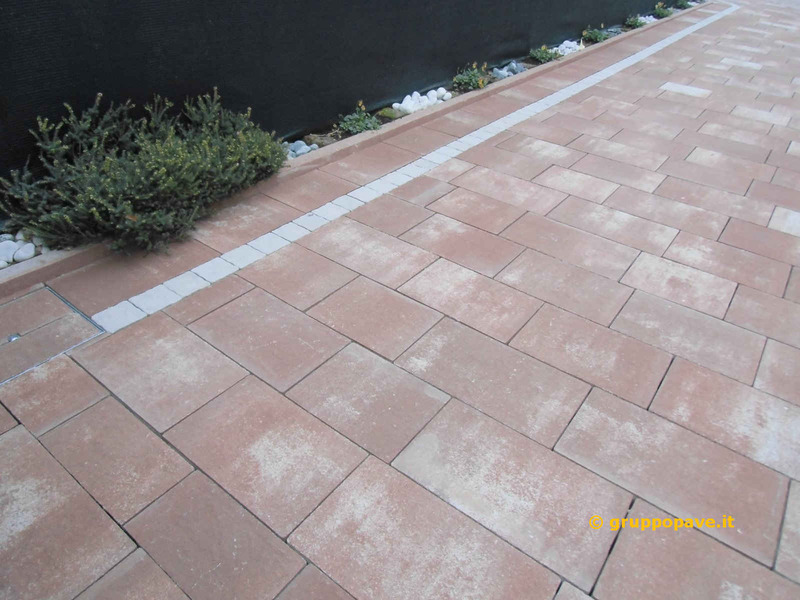 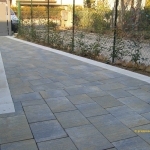 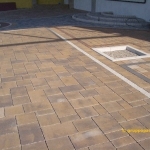 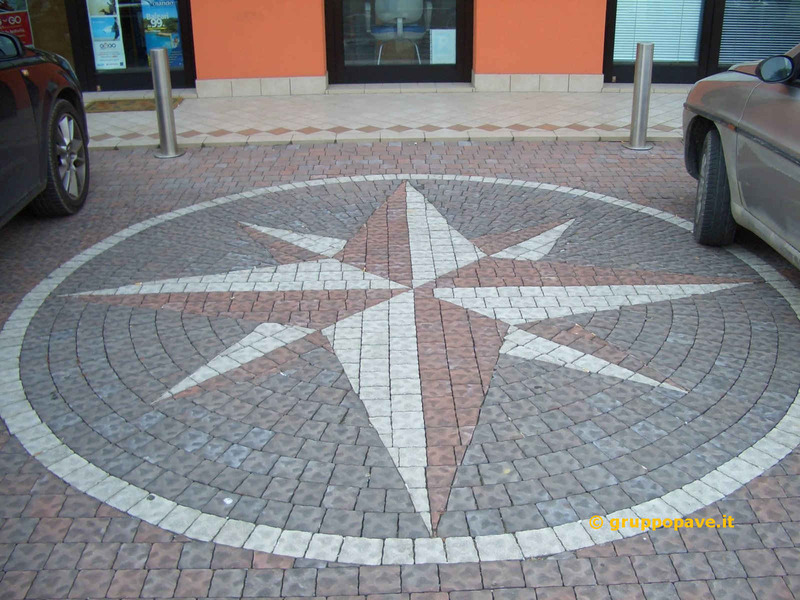 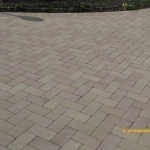 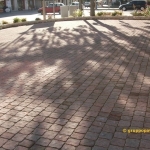 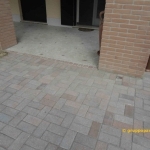 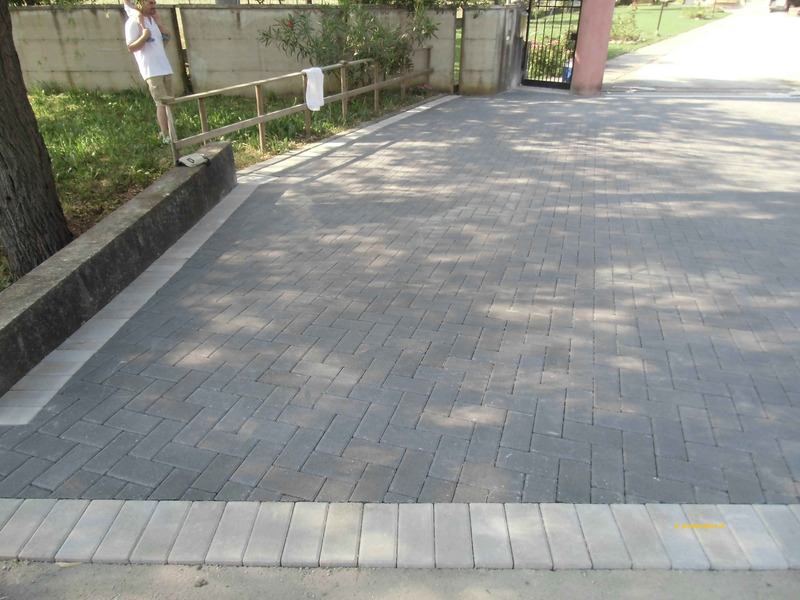 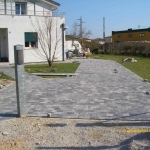 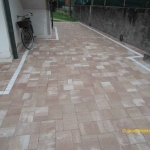 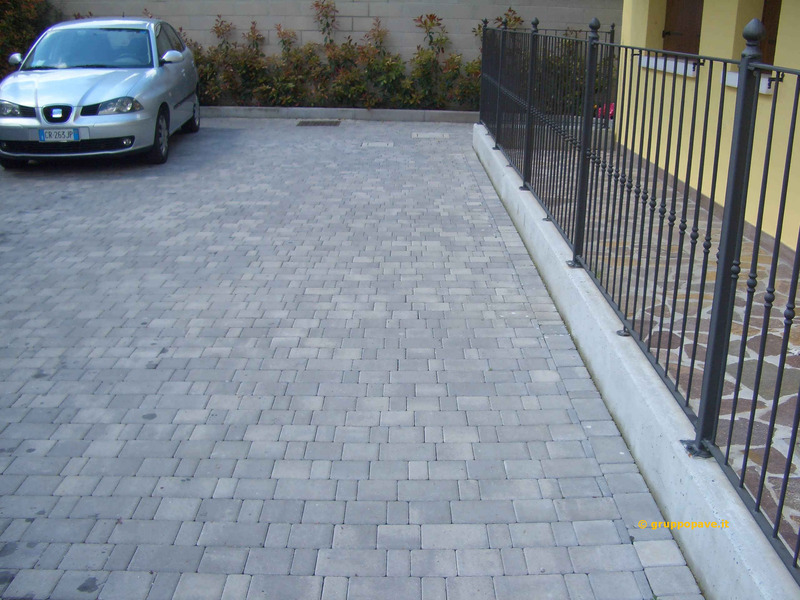 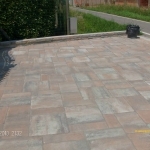 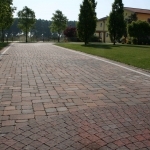 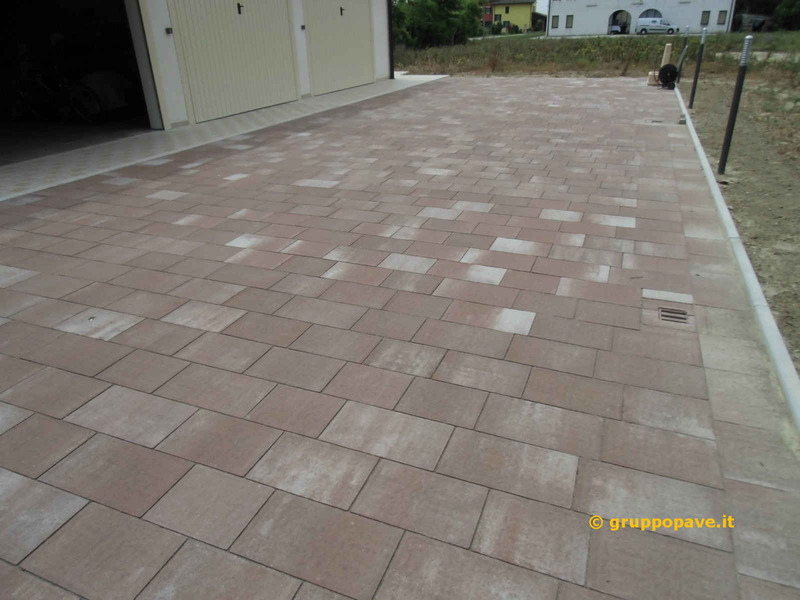 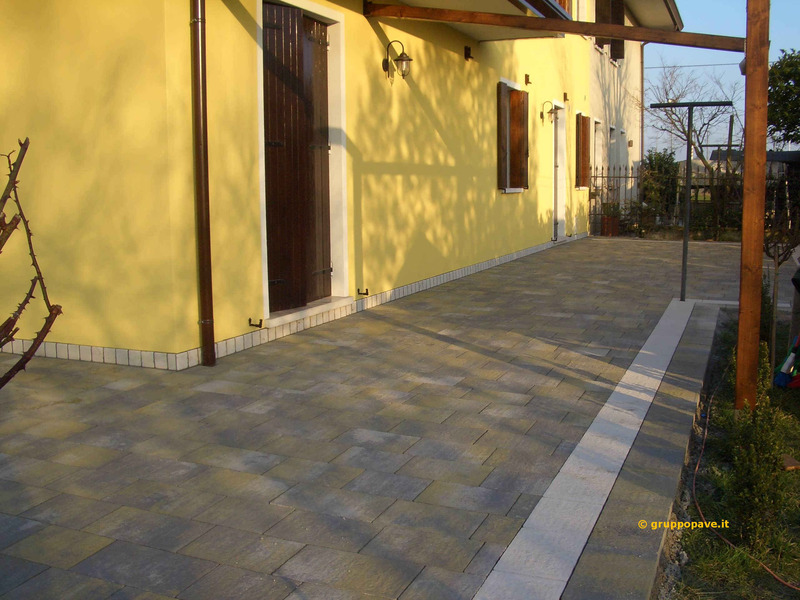 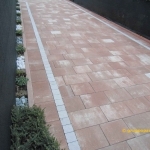 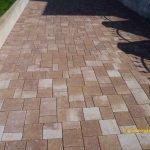 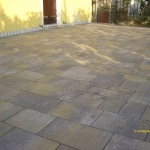 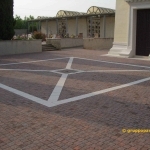 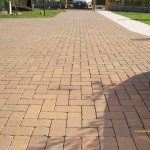 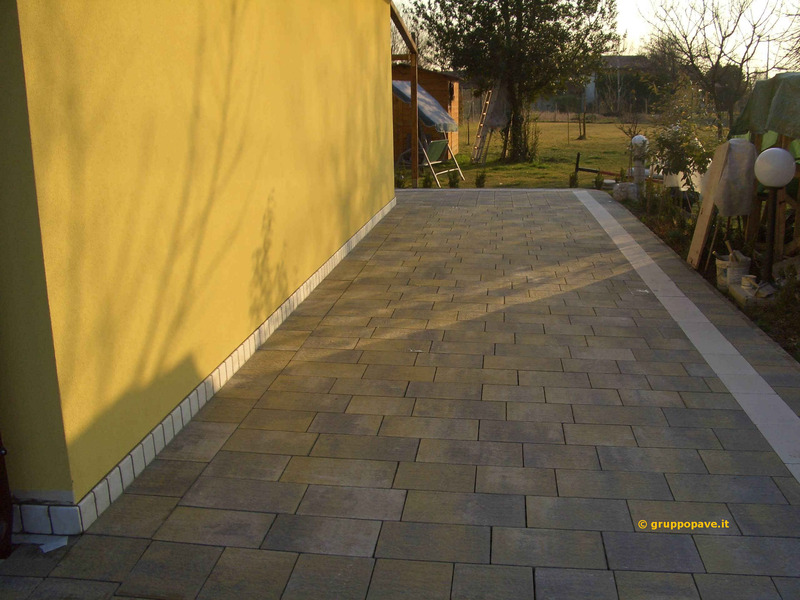 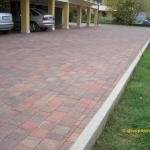 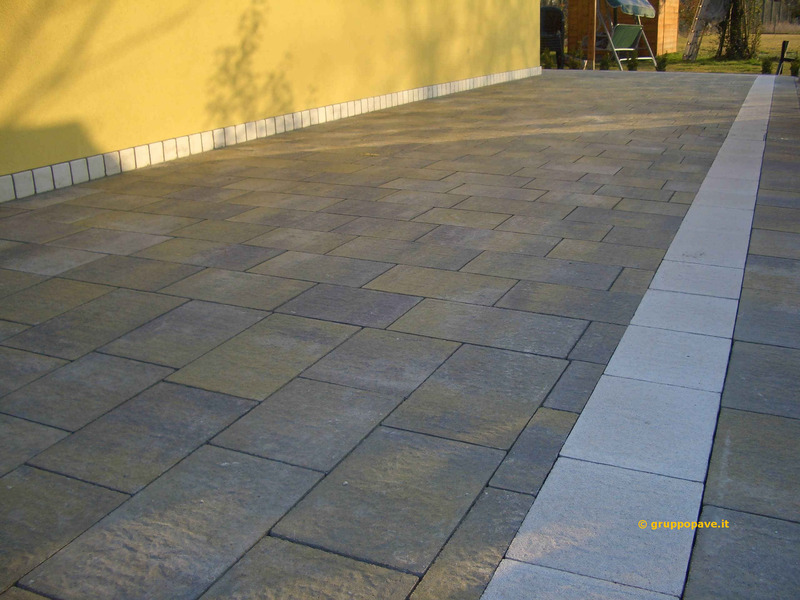 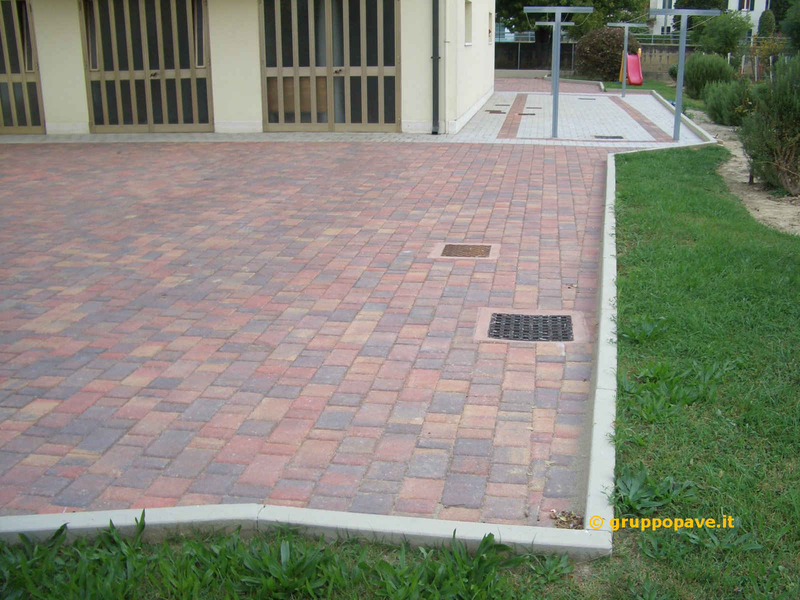 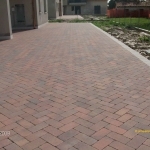 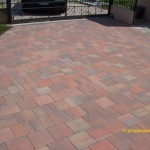 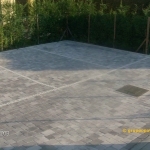 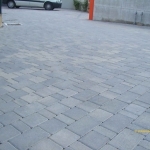 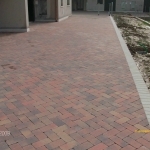 The final result of an external paving with interlocking blocks represents an element of the highest level, both qualitative and aesthetic; building materials of which the blocks are made, the experience of our installers and integrity of our interlocking blocks , ensure a high resistance to different kinds of mechanical stress as well as a unique style to any outdoor area. 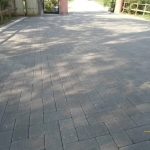 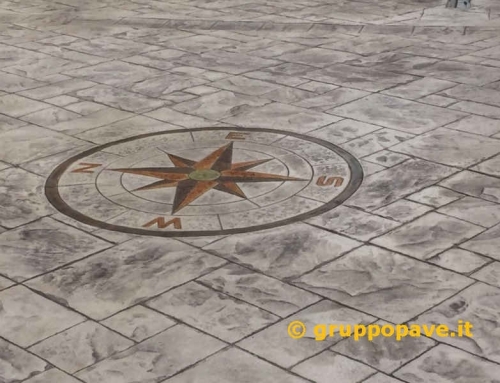 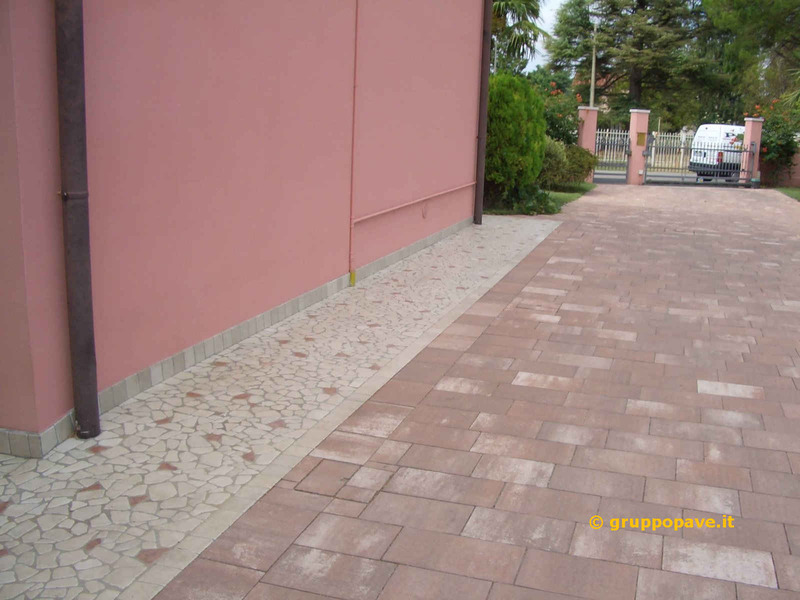 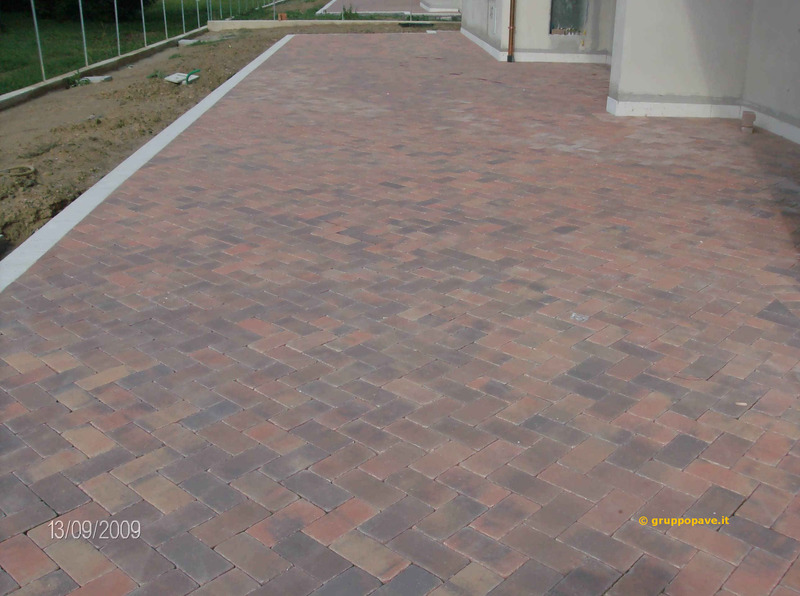 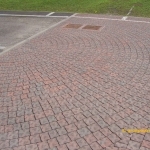 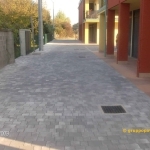 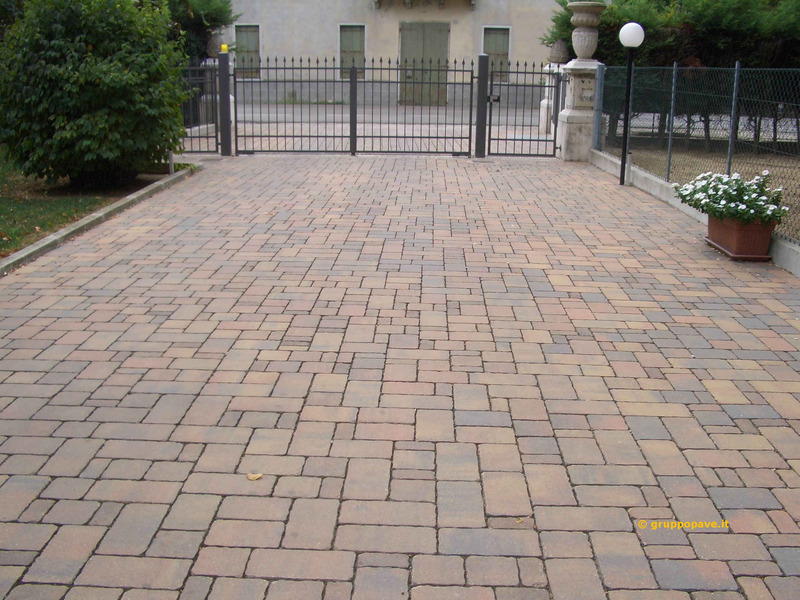 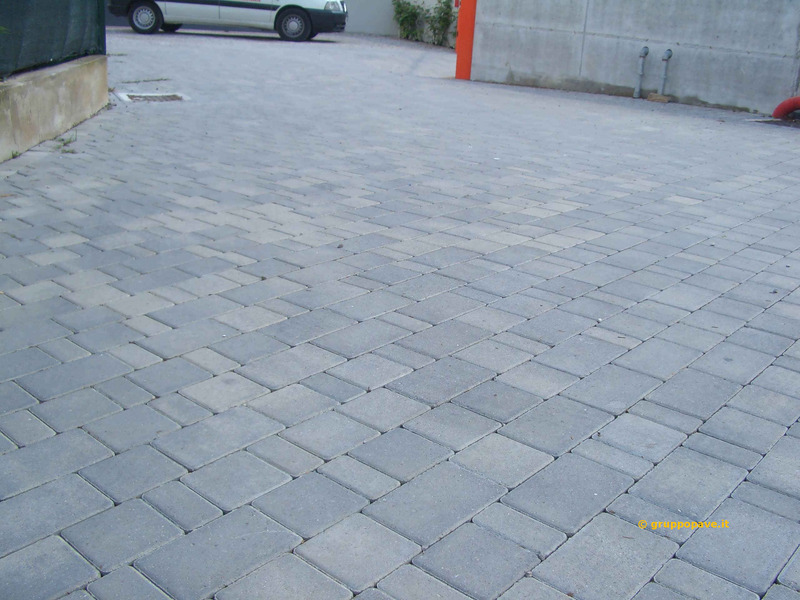 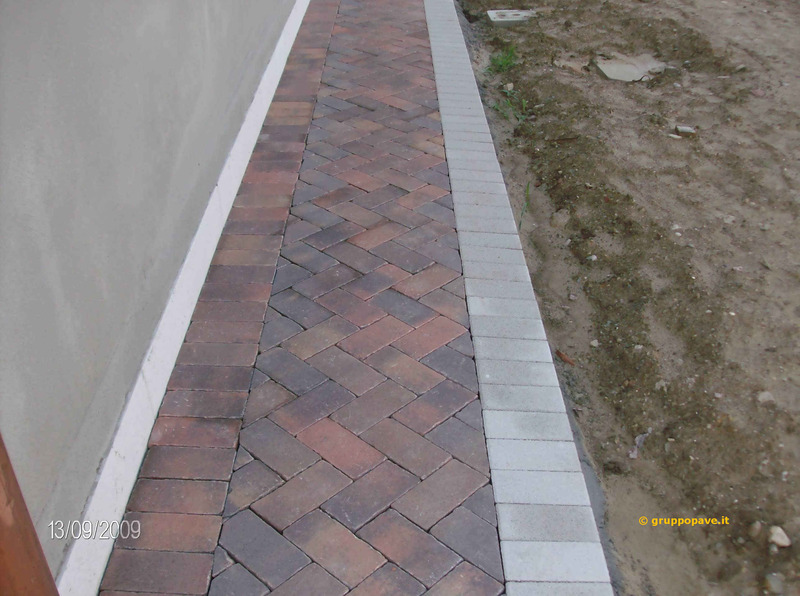 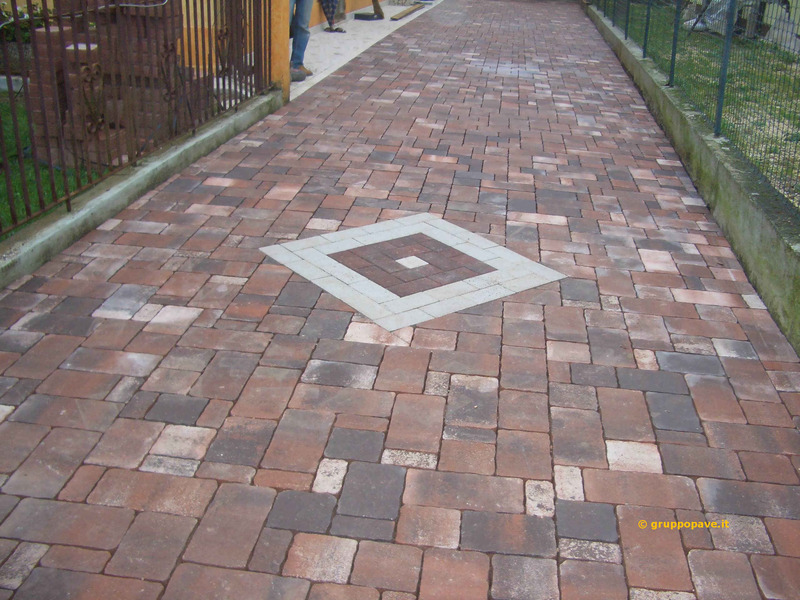 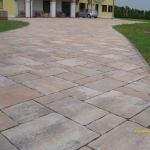 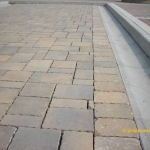 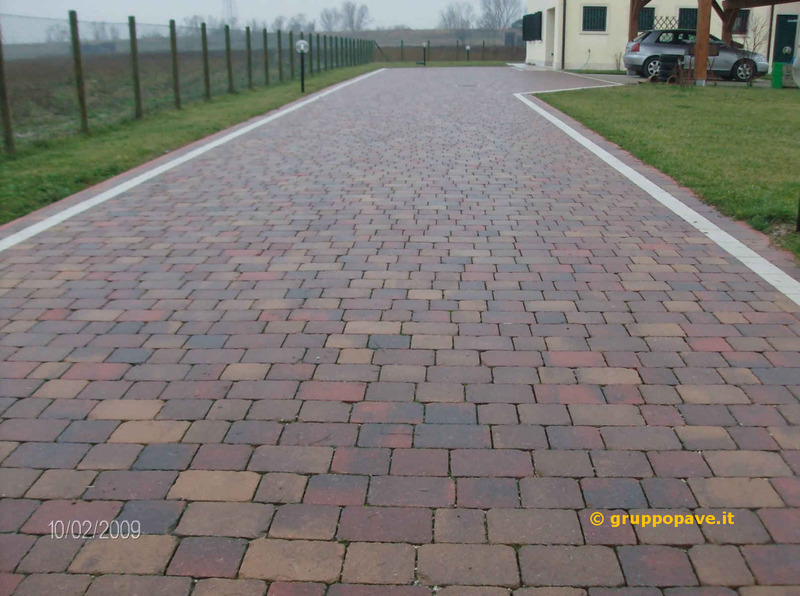 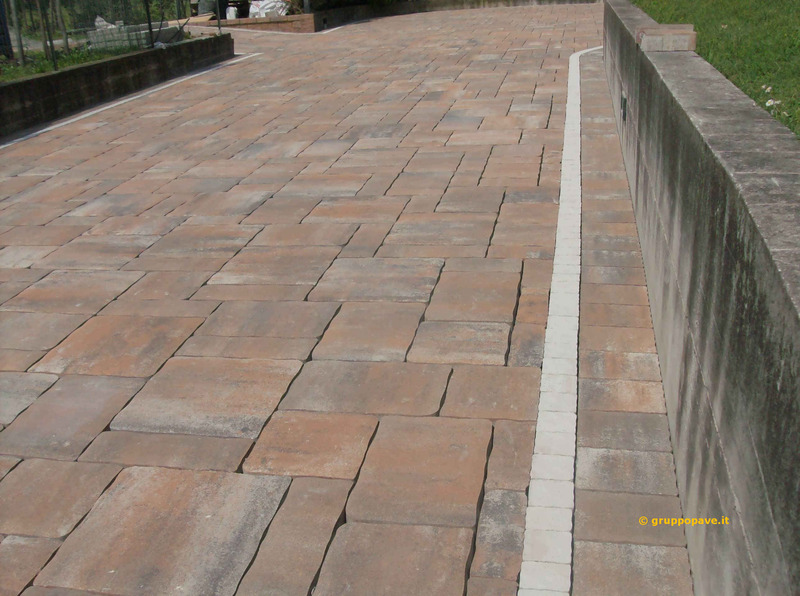 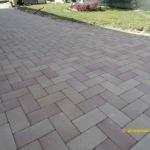 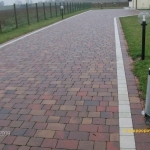 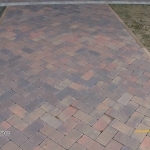 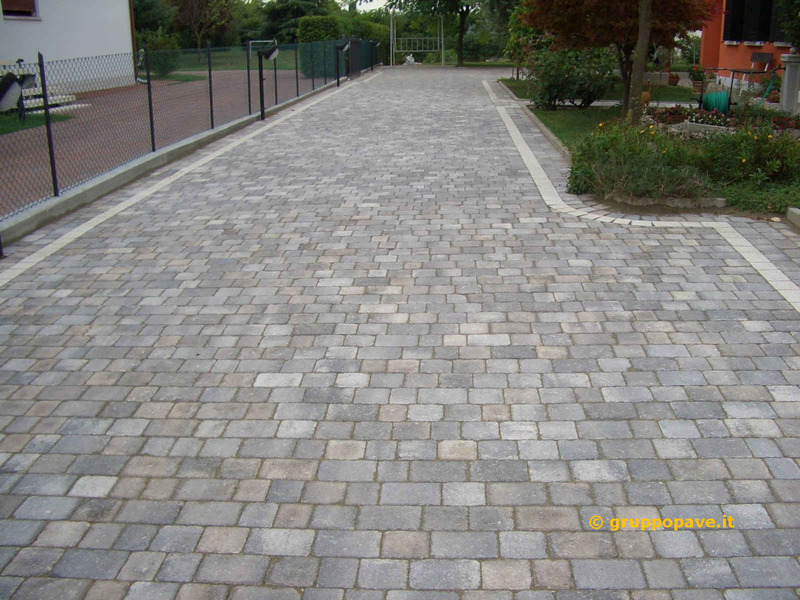 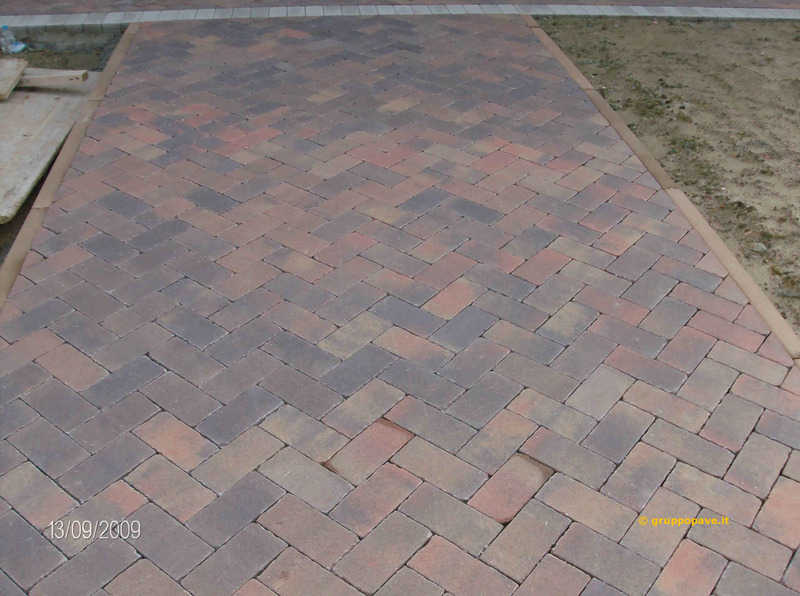 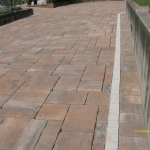 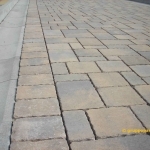 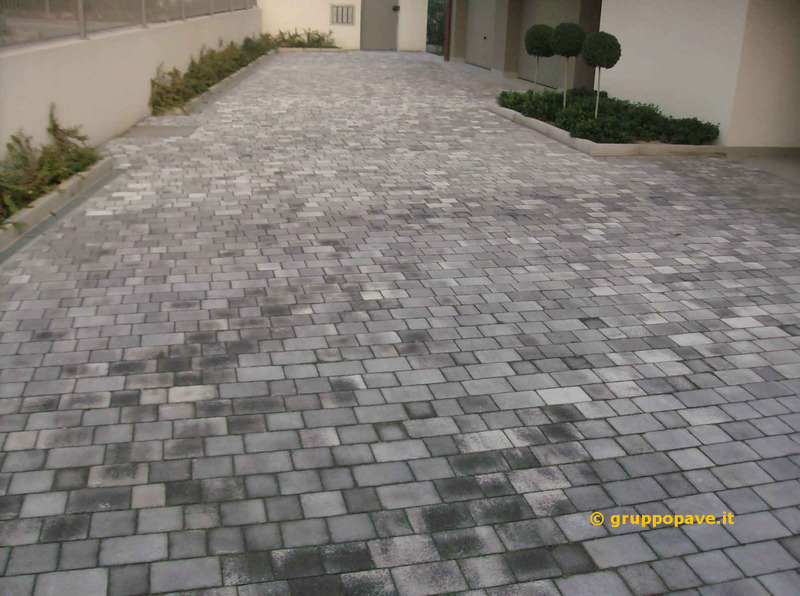 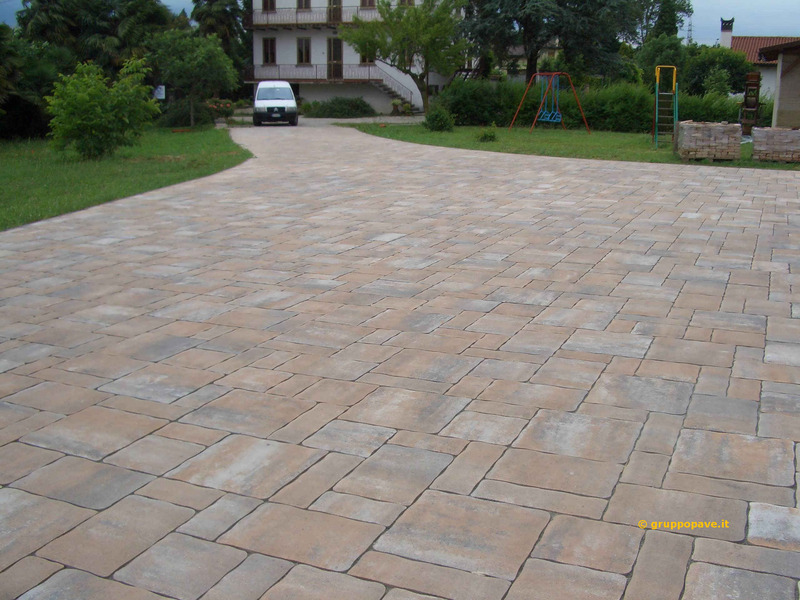 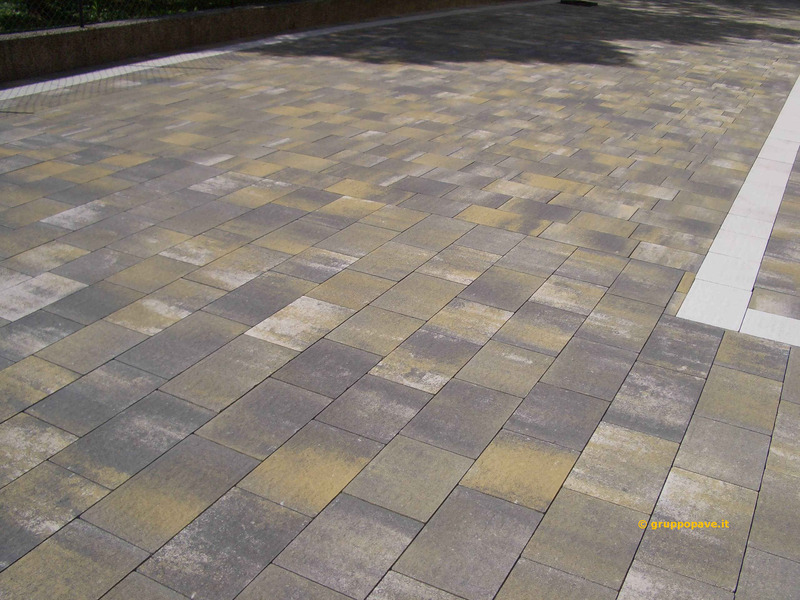 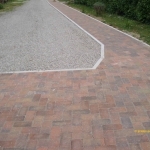 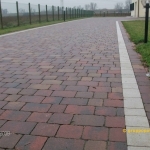 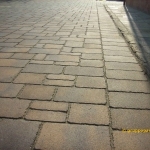 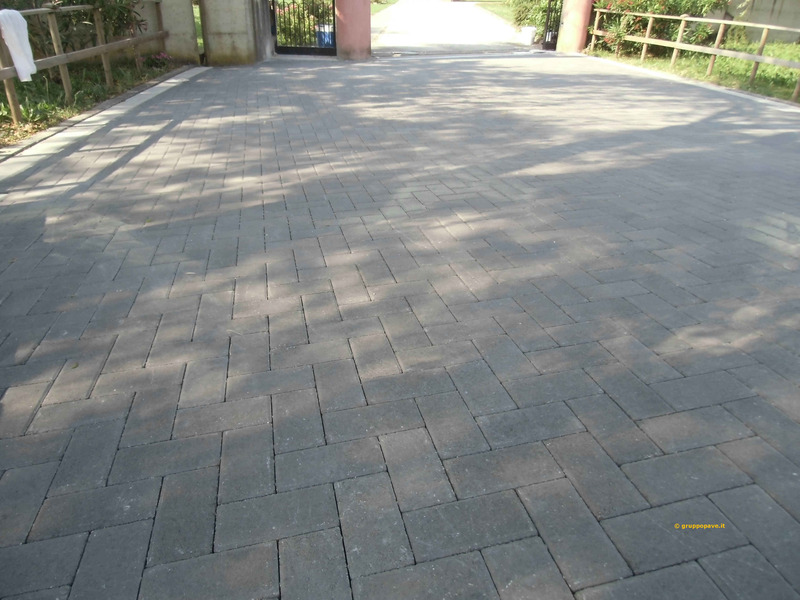 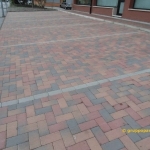 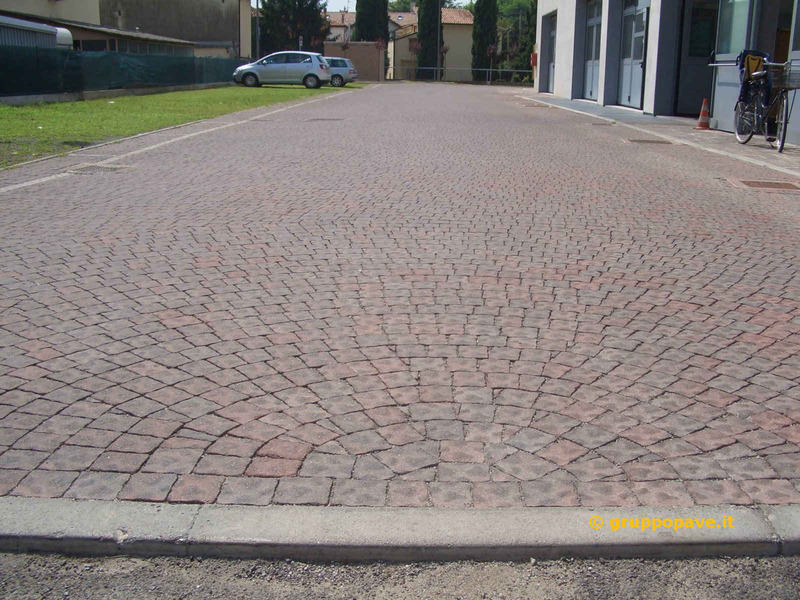 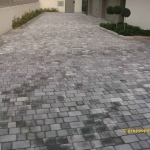 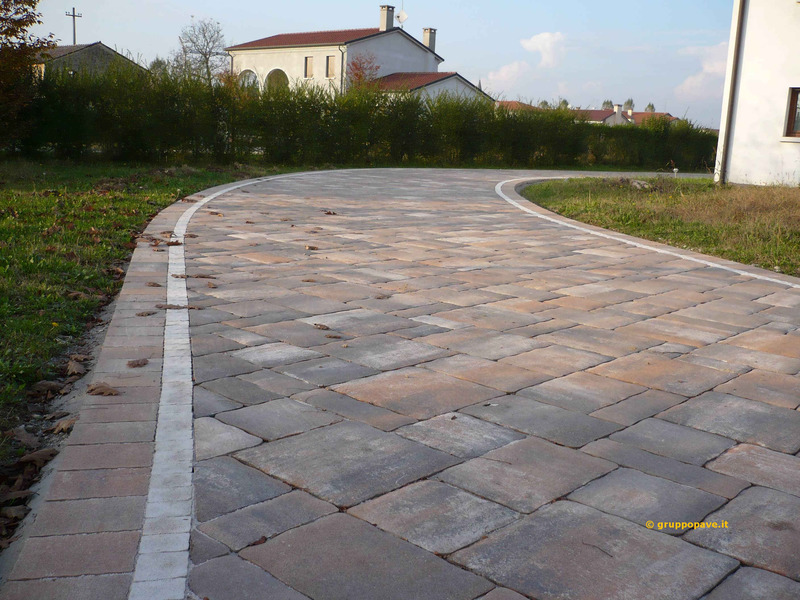 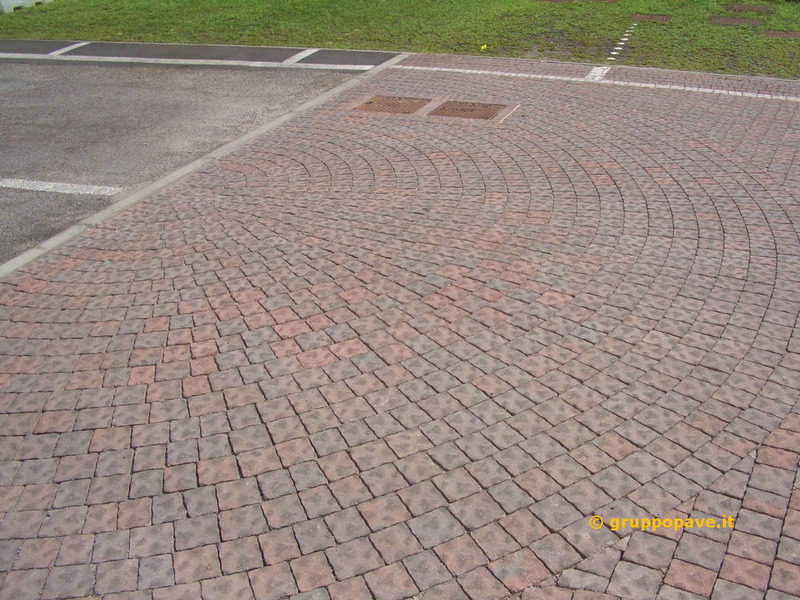 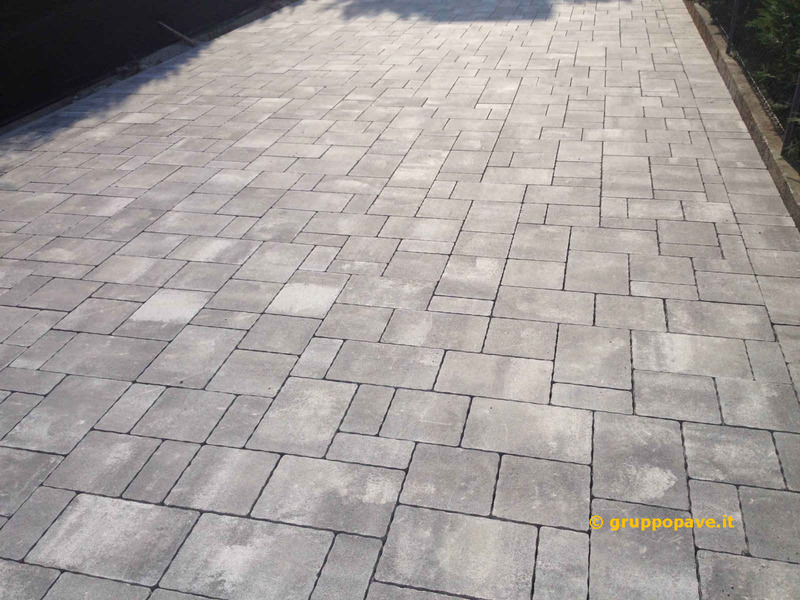 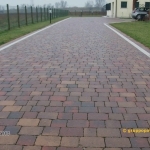 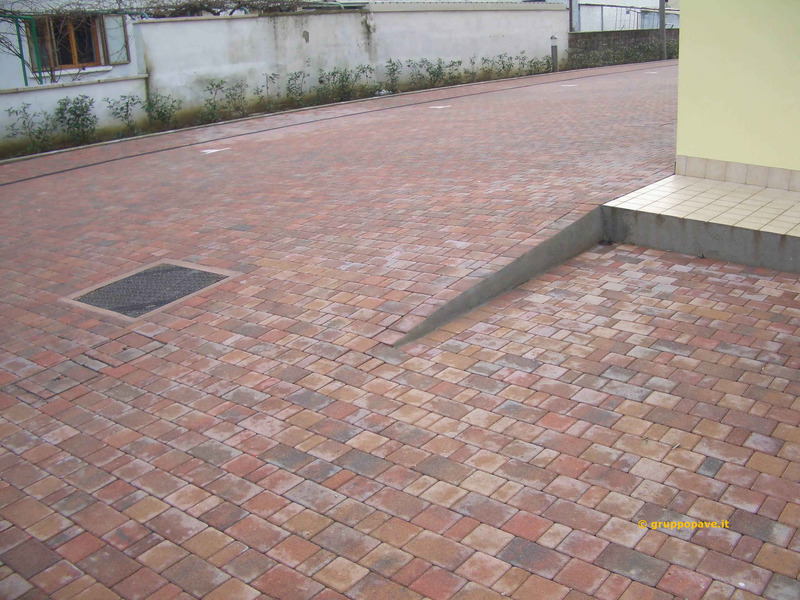 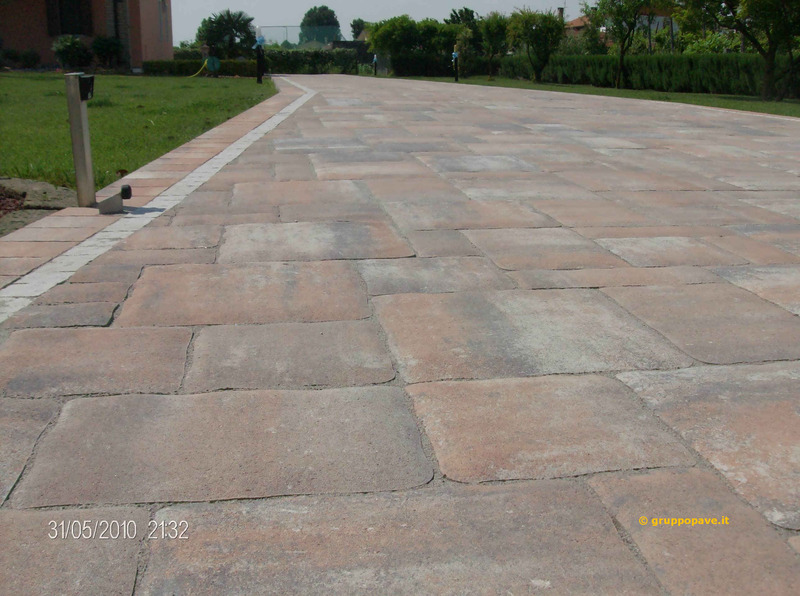 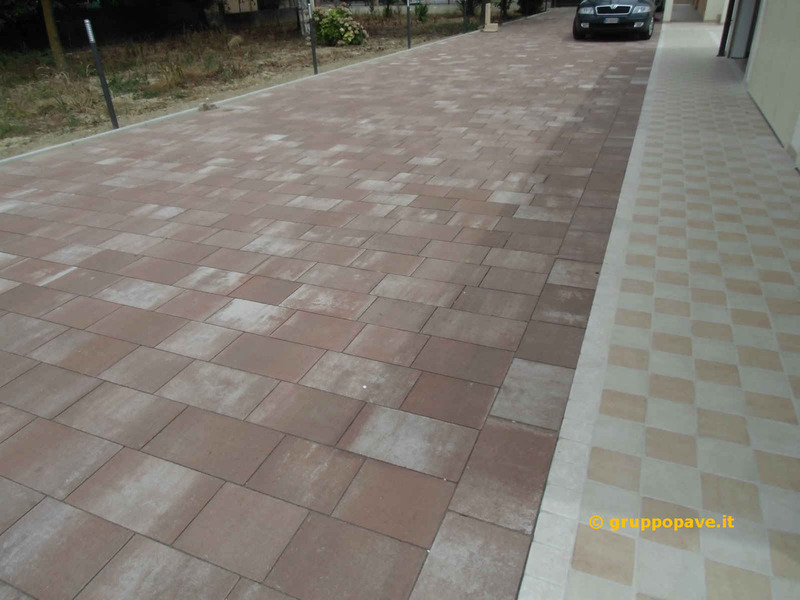 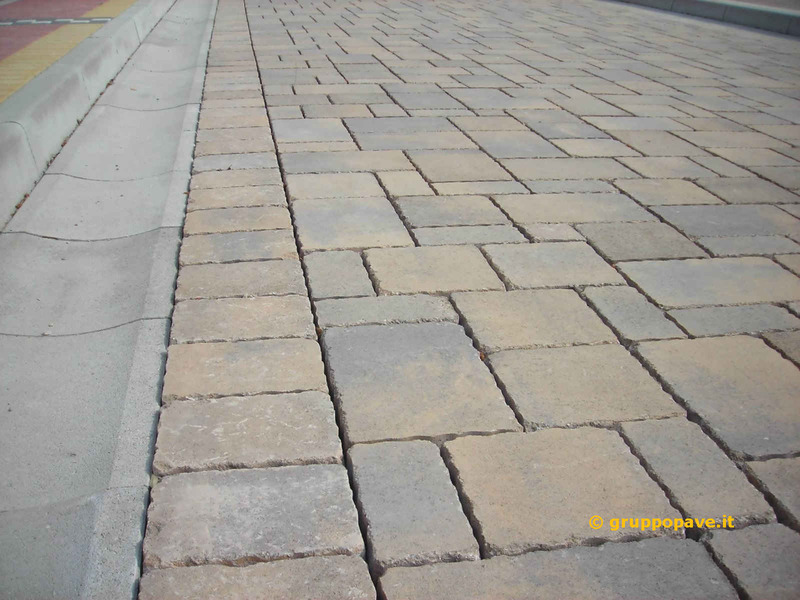 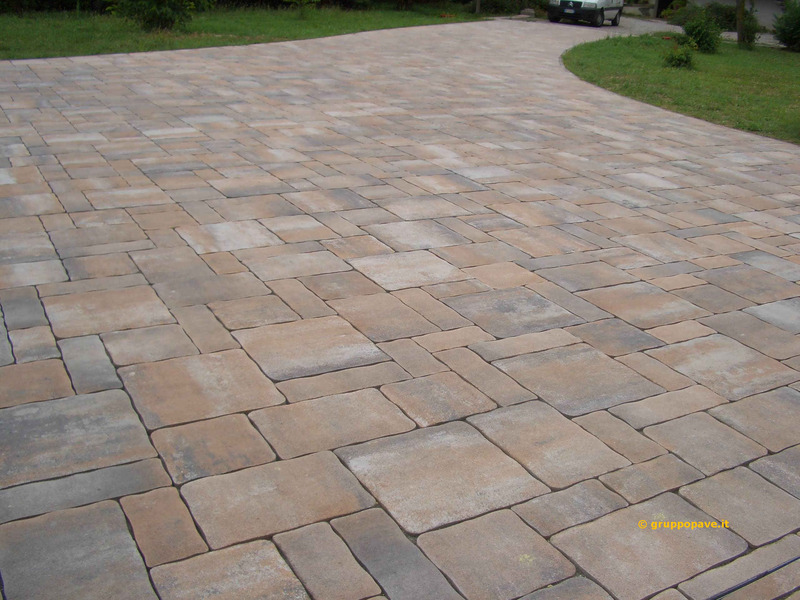 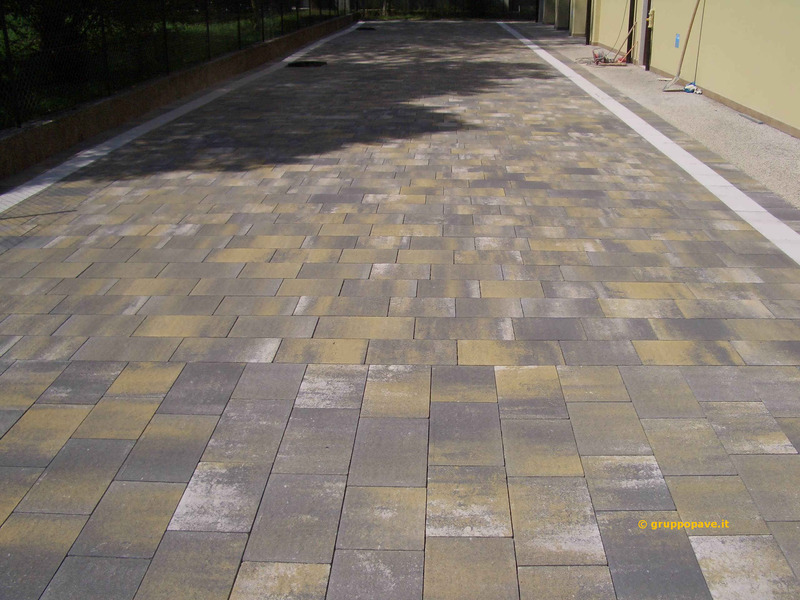 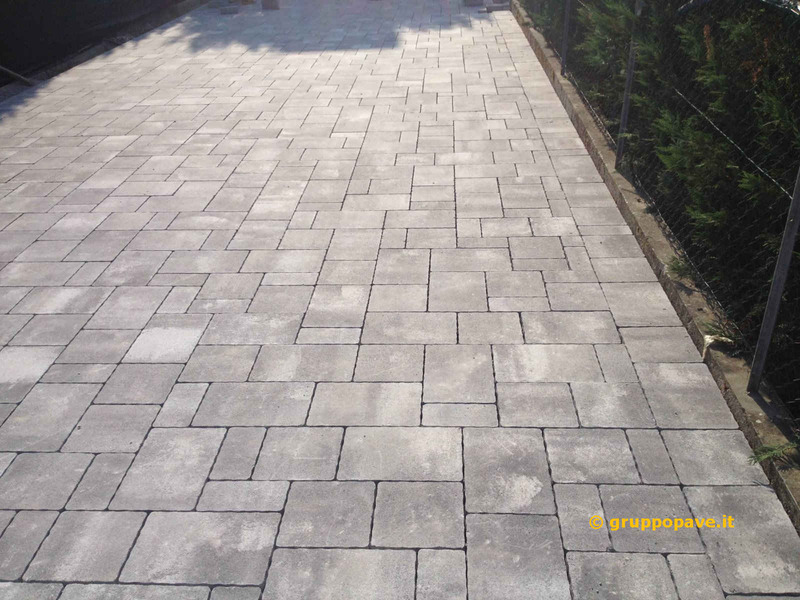 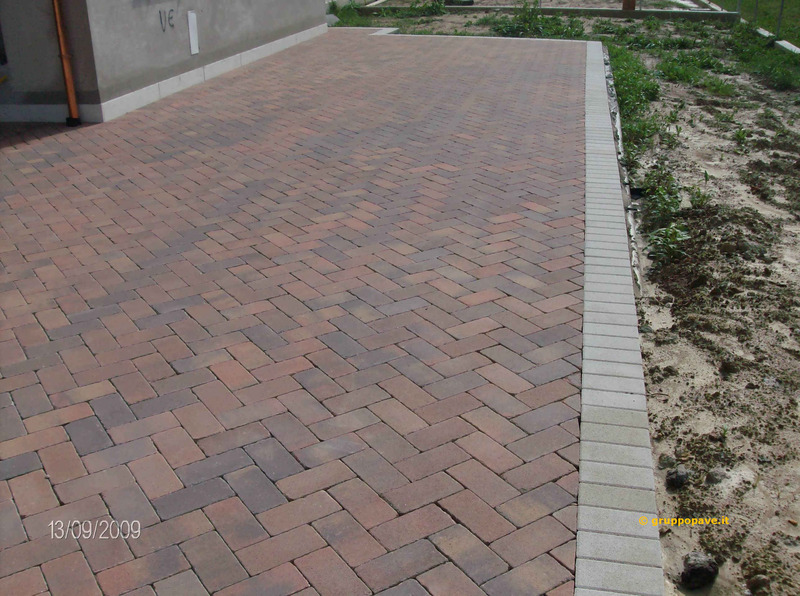 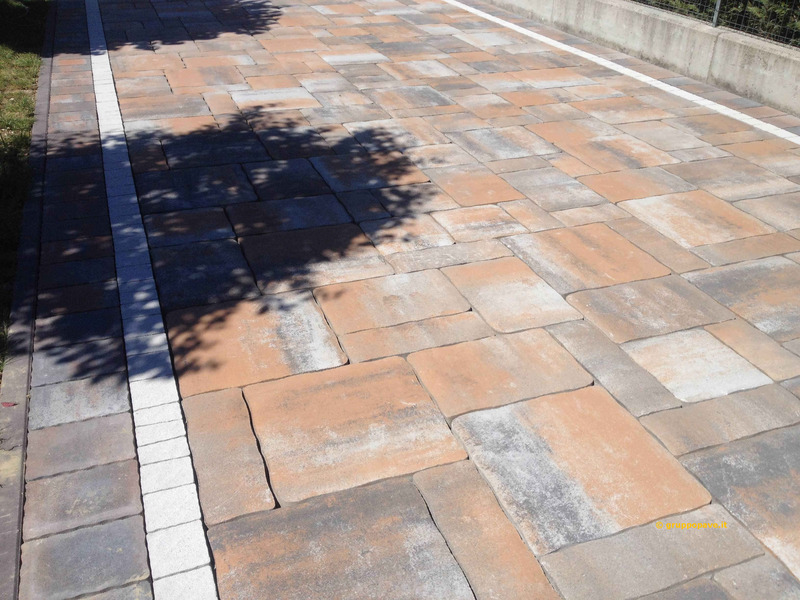 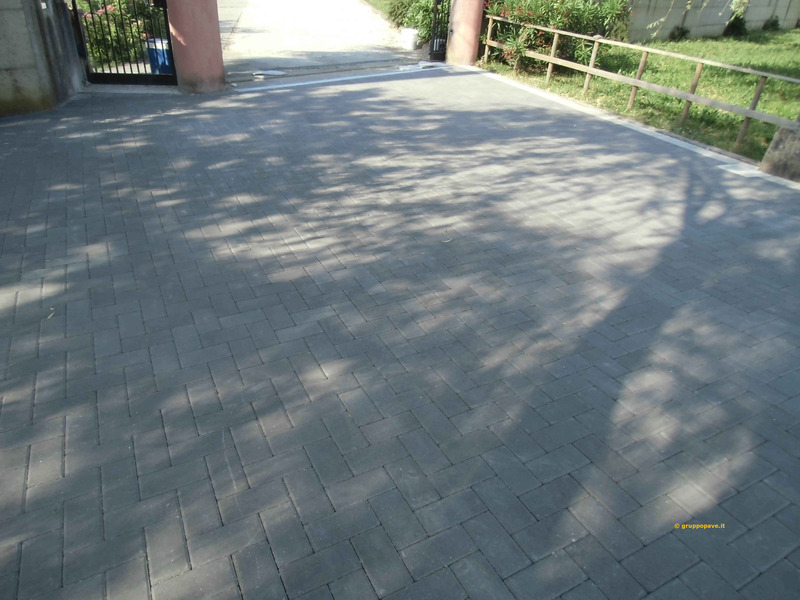 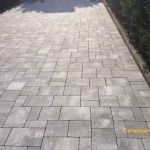 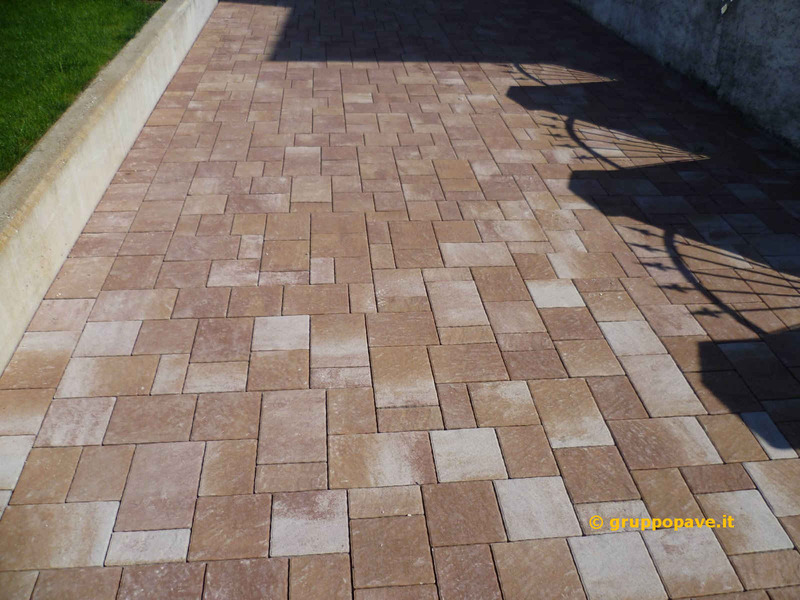 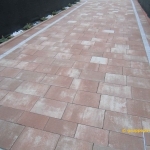 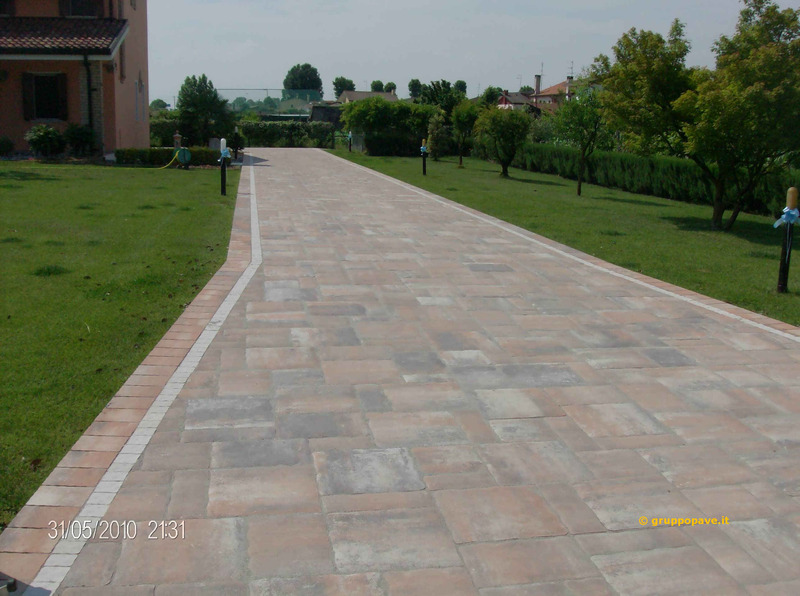 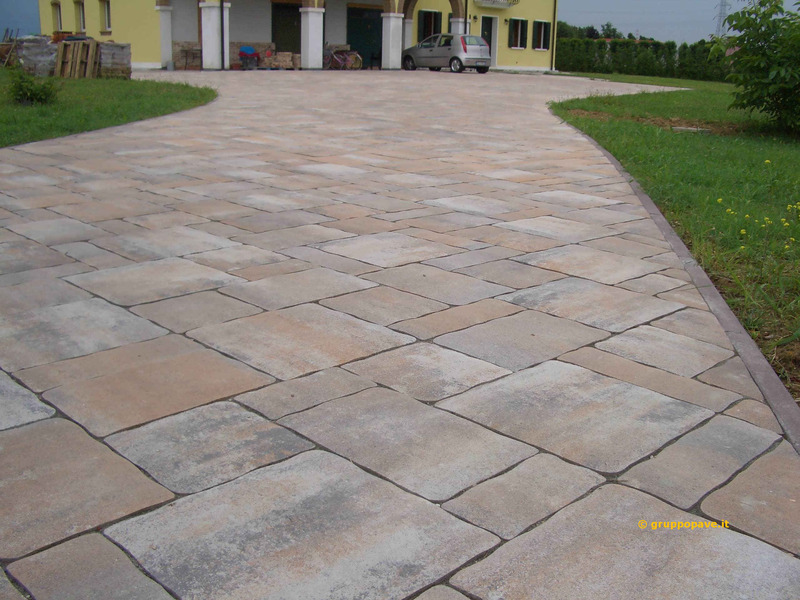 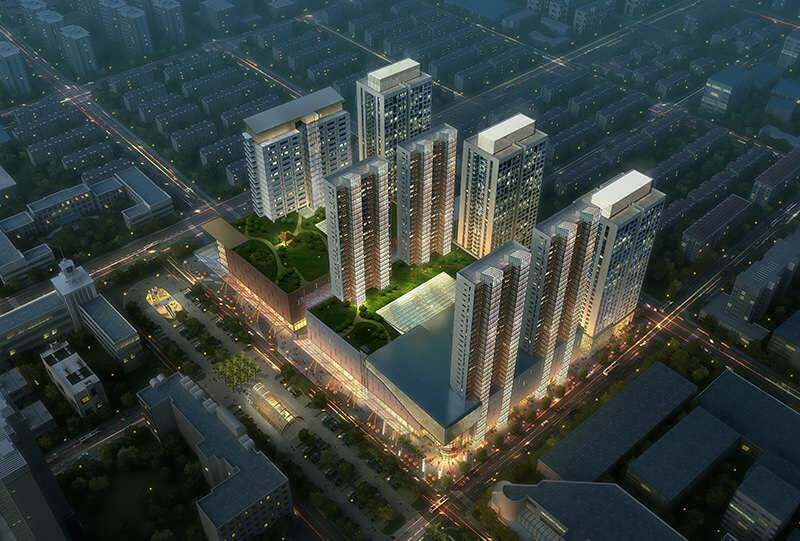 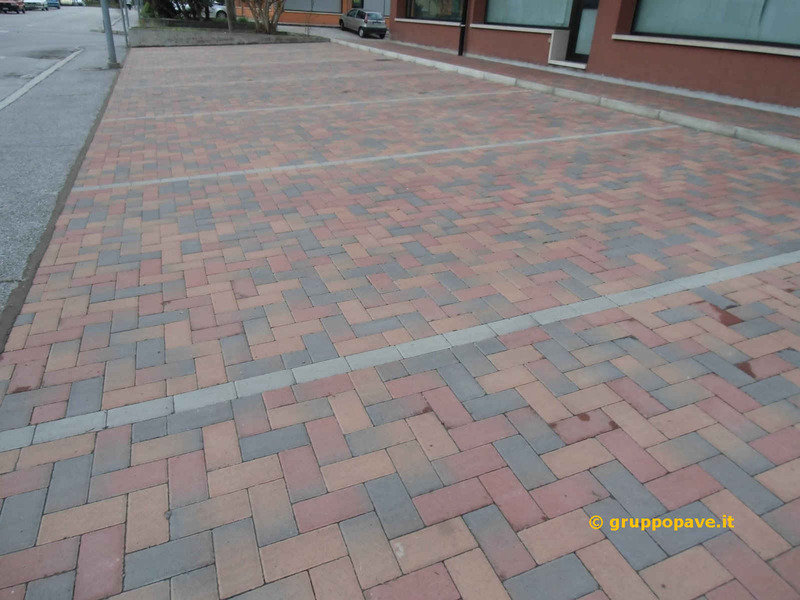 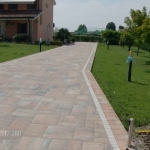 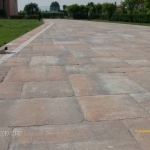 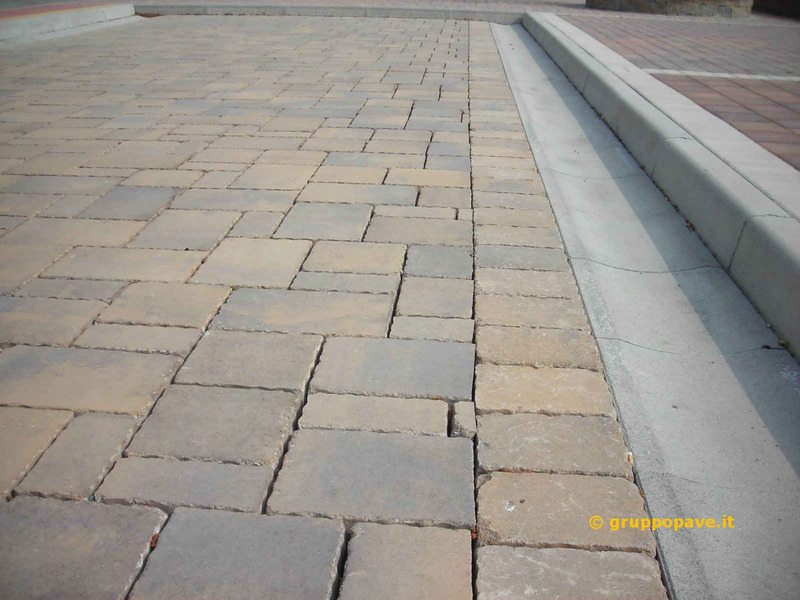 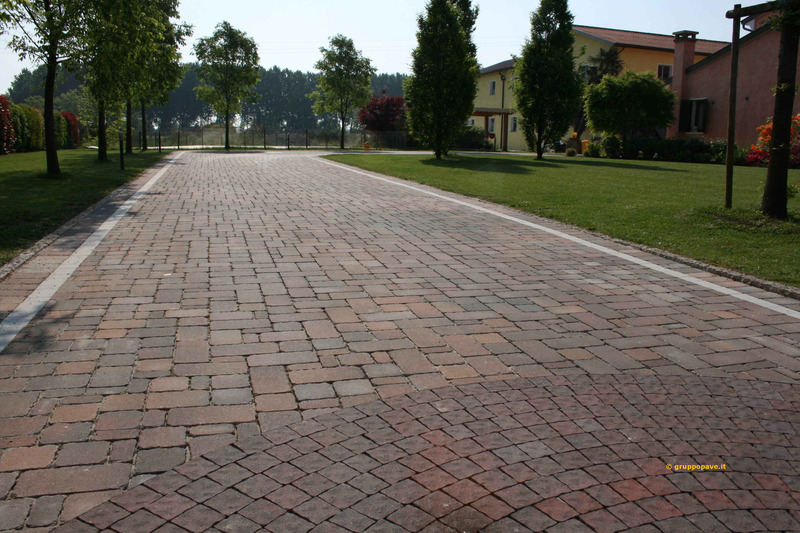 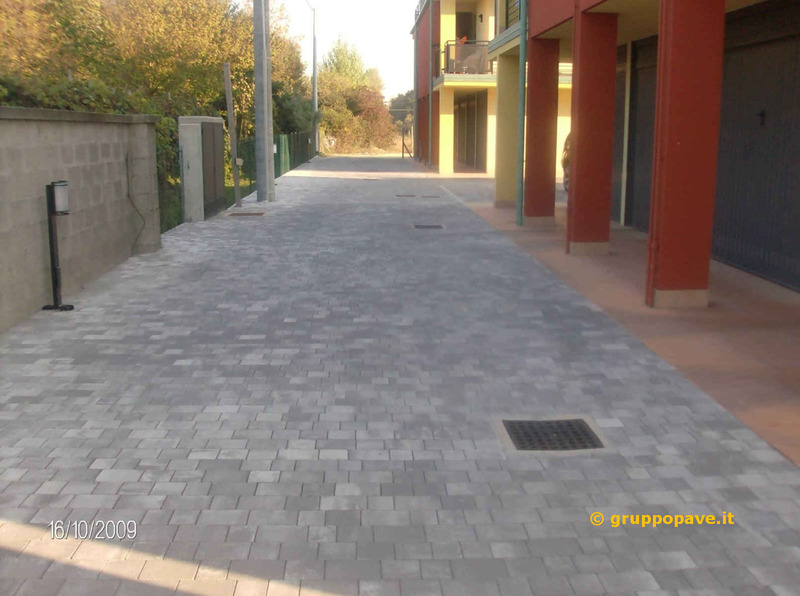 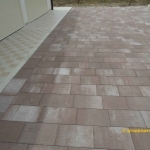 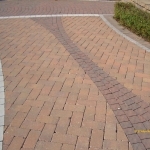 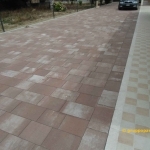 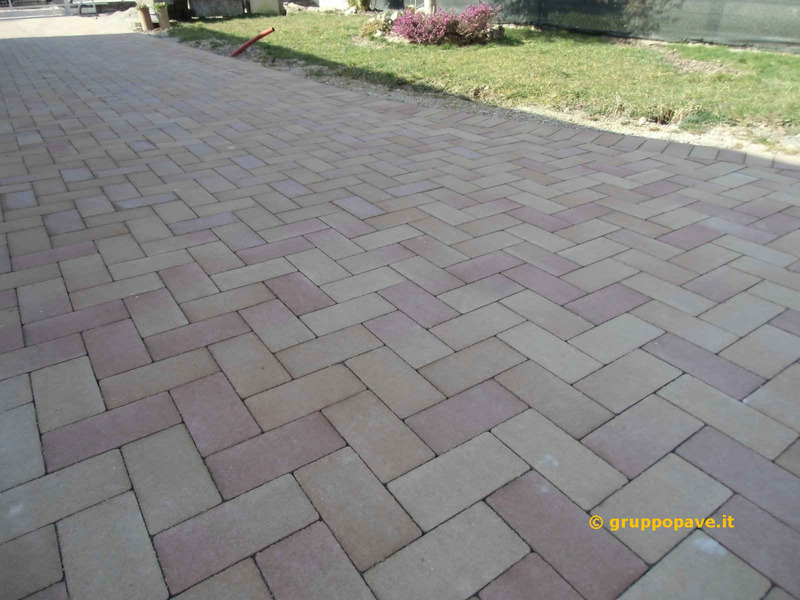 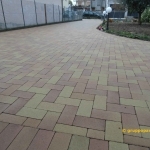 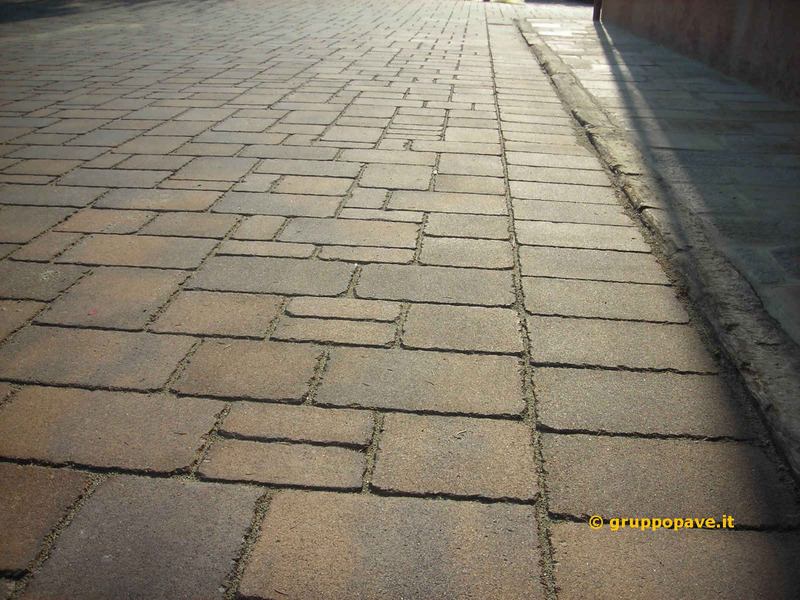 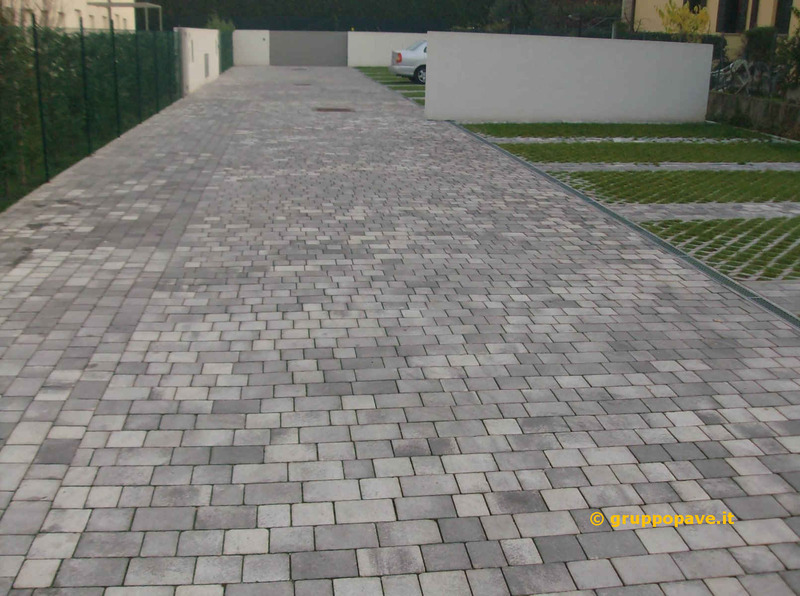 The interlocking blocks have a high resistance to the atmospheric agents and in general to the wear and tear ; besides the nature of “fragmented” blocks pavement is suitable to be repaired with substantial saving of manpower and materials for flooring. 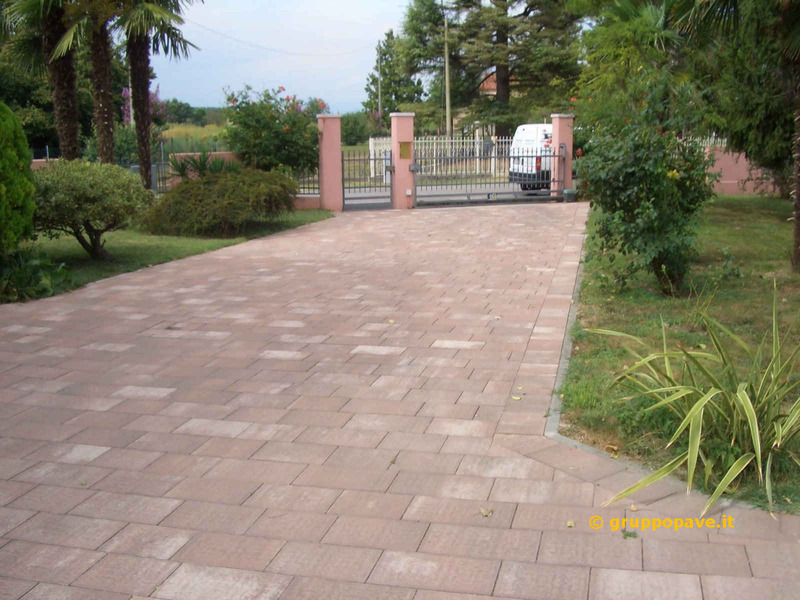 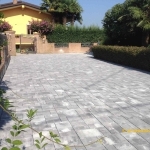 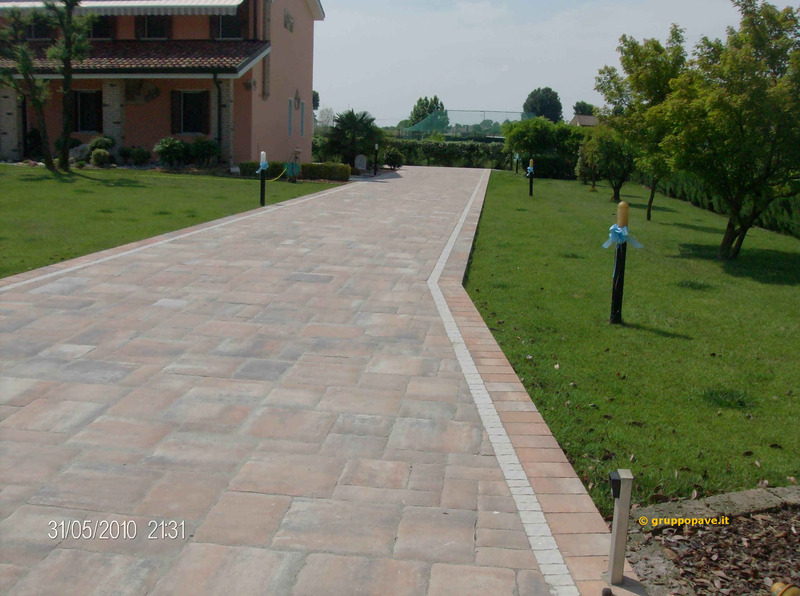 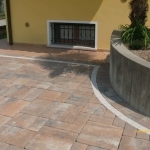 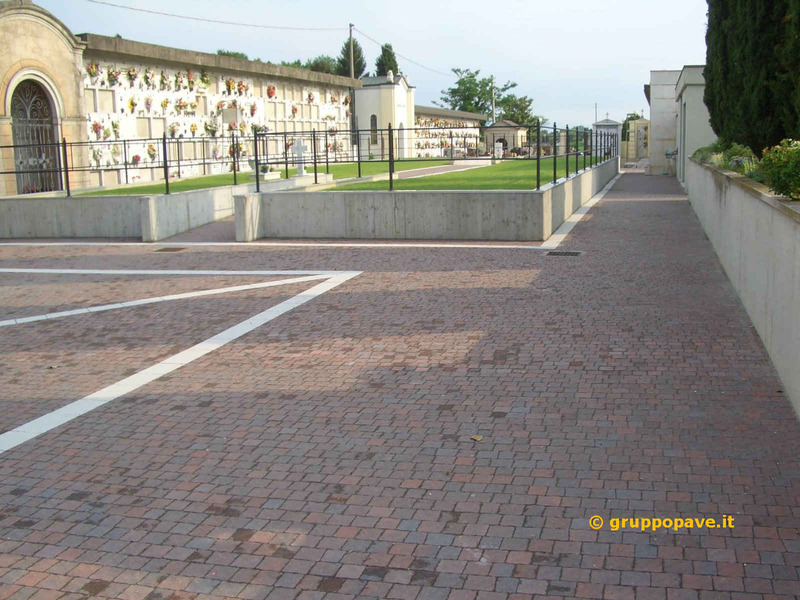 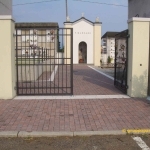 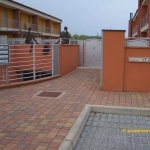 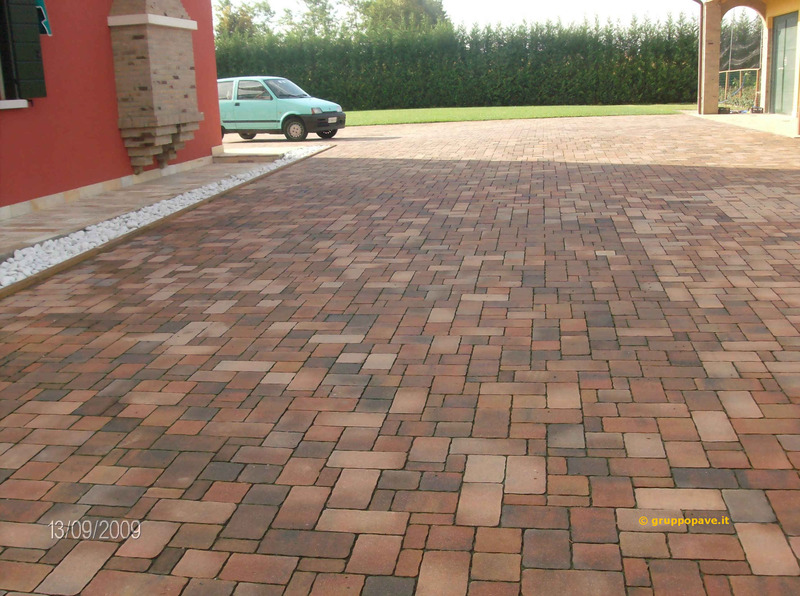 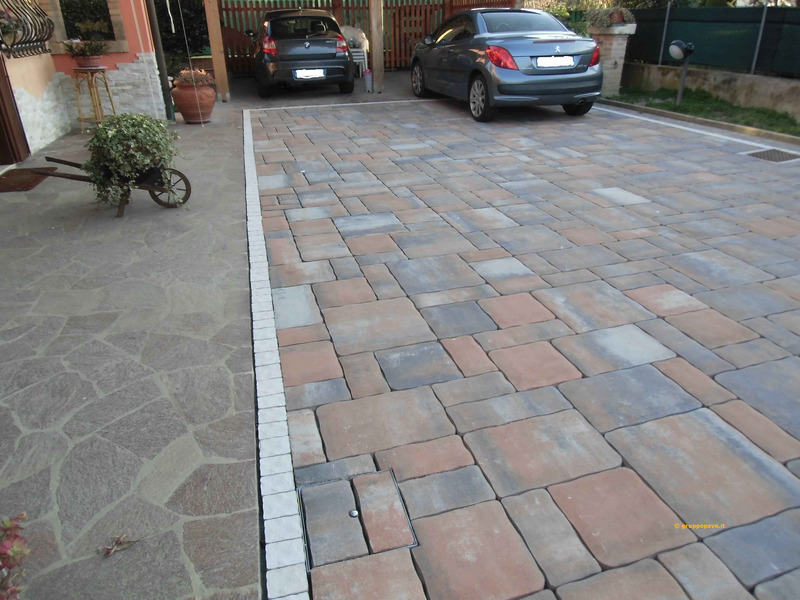 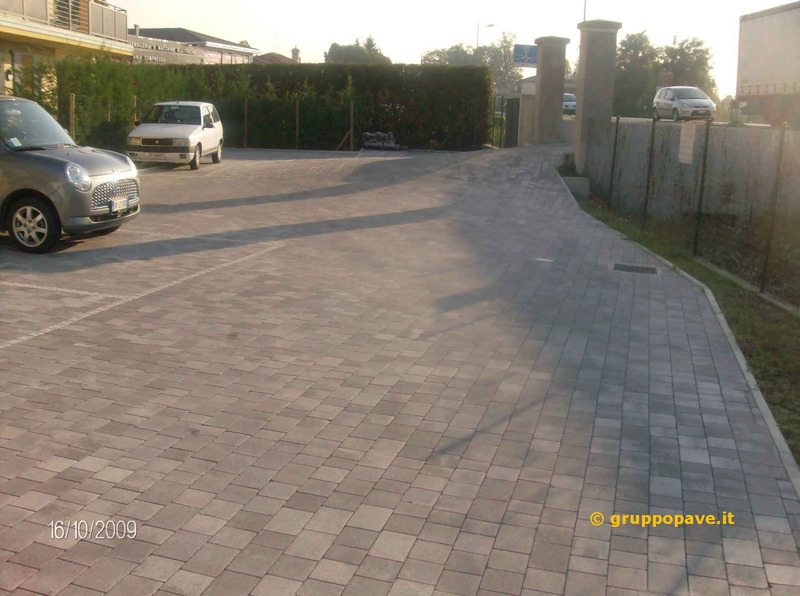 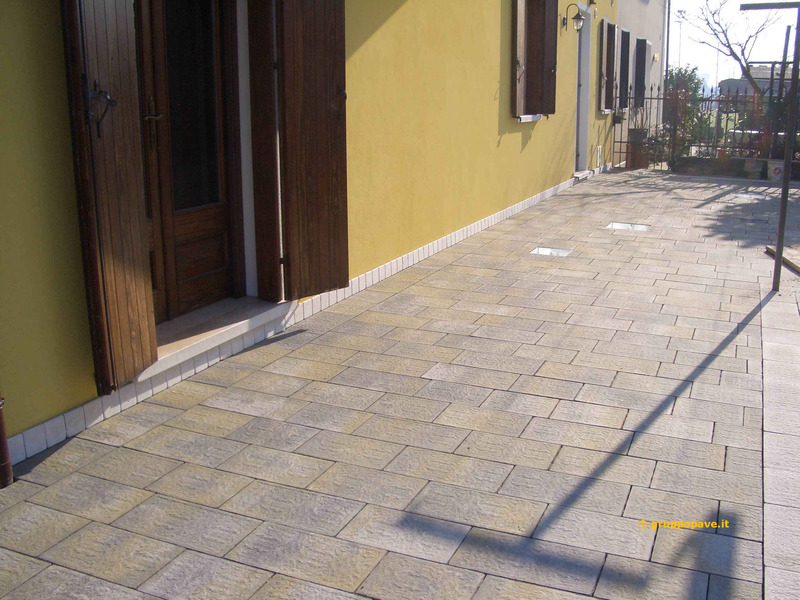 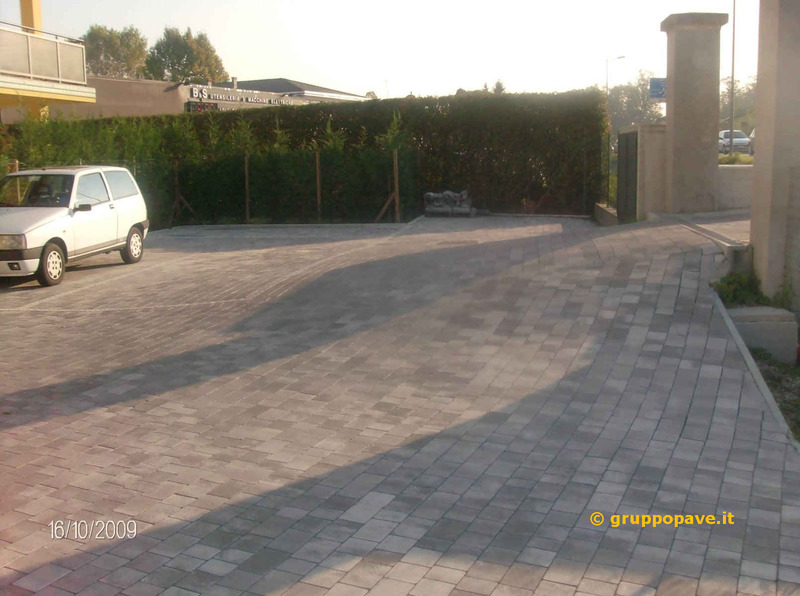 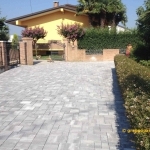 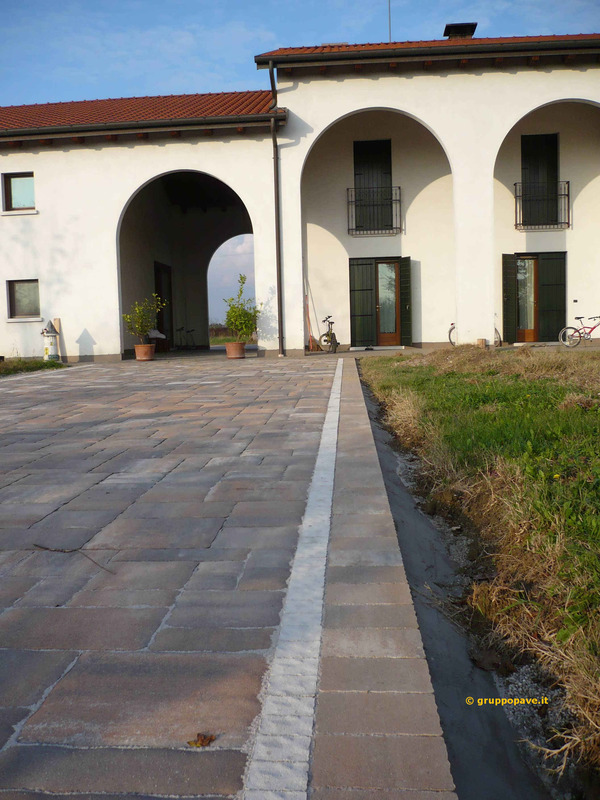 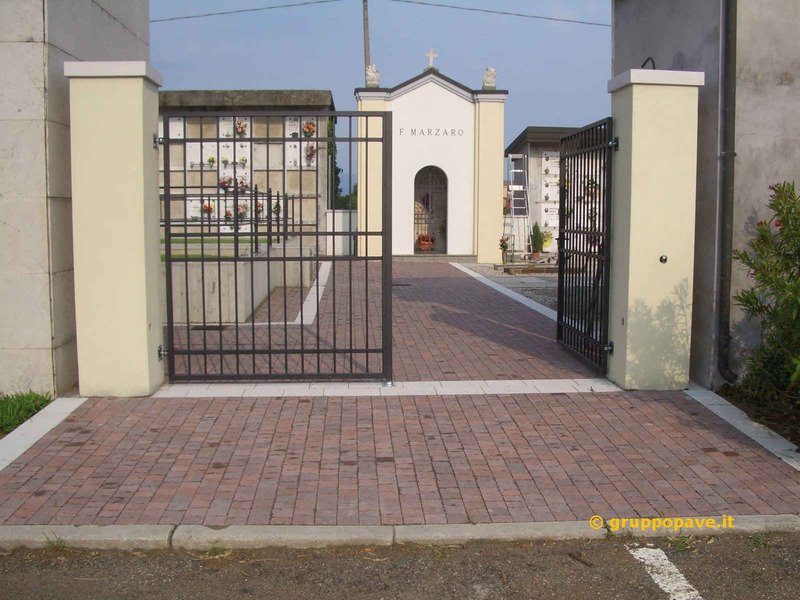 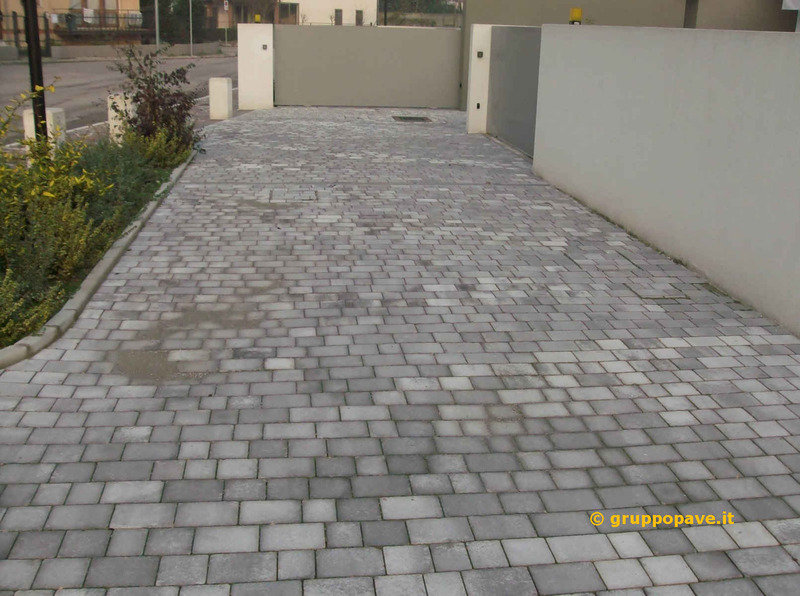 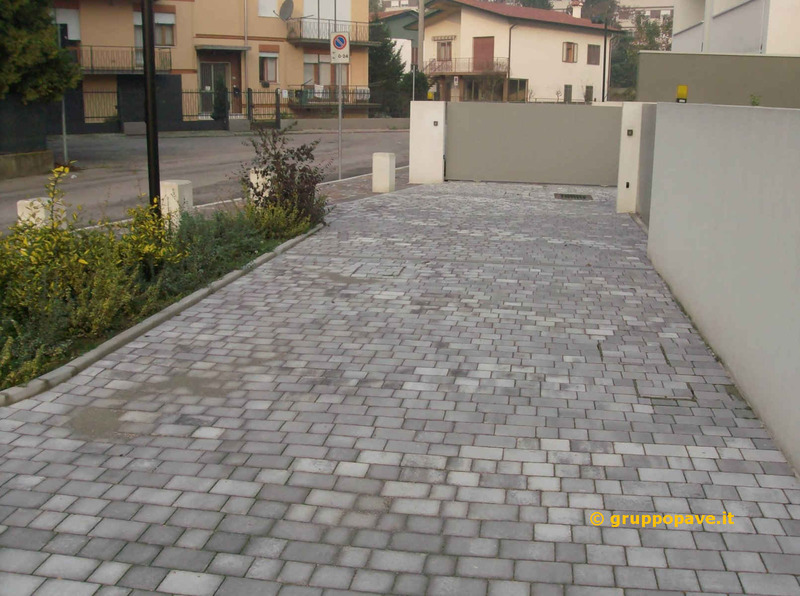 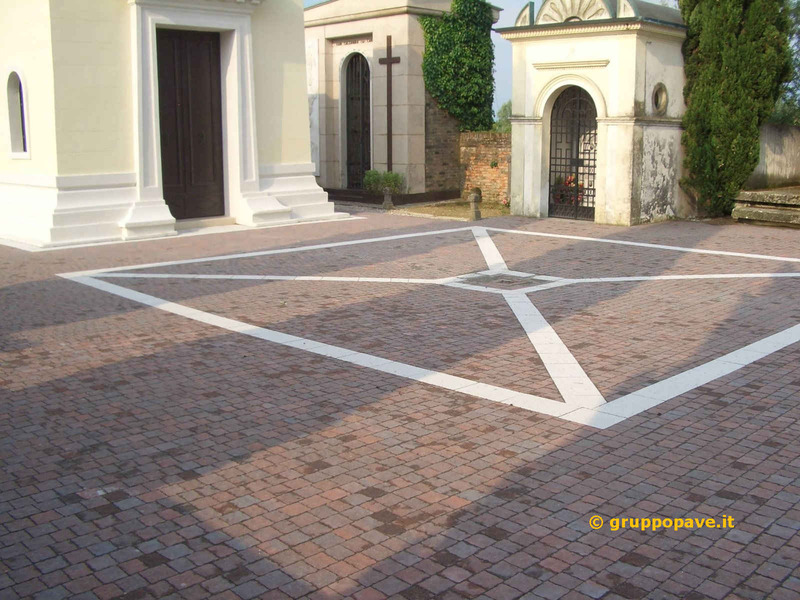 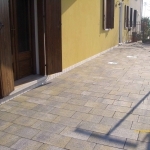 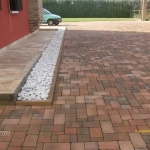 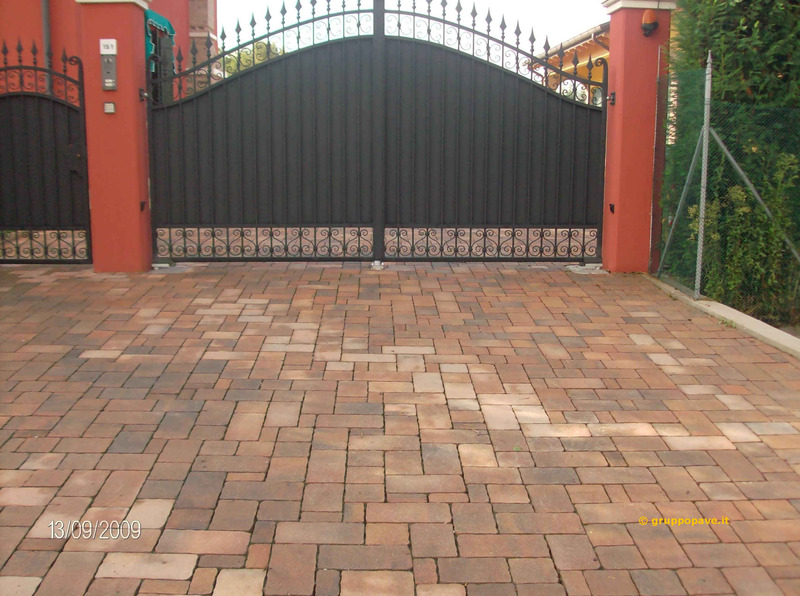 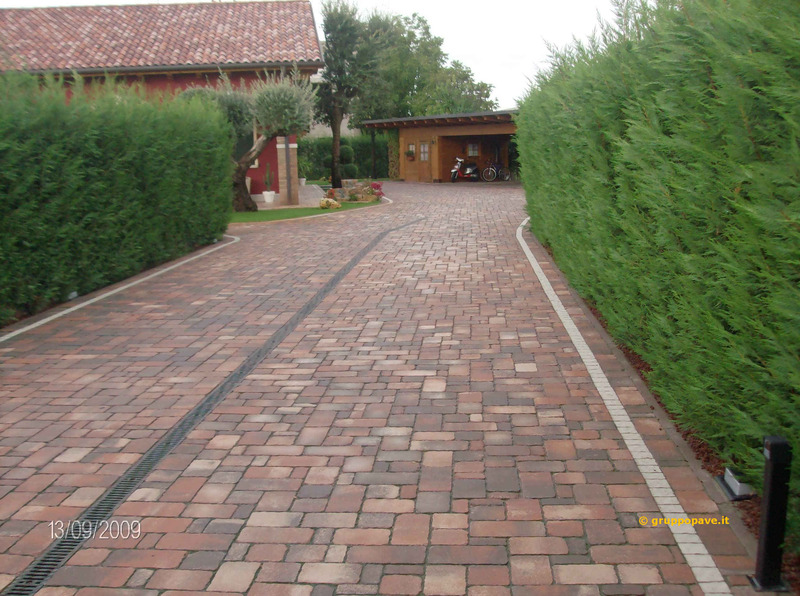 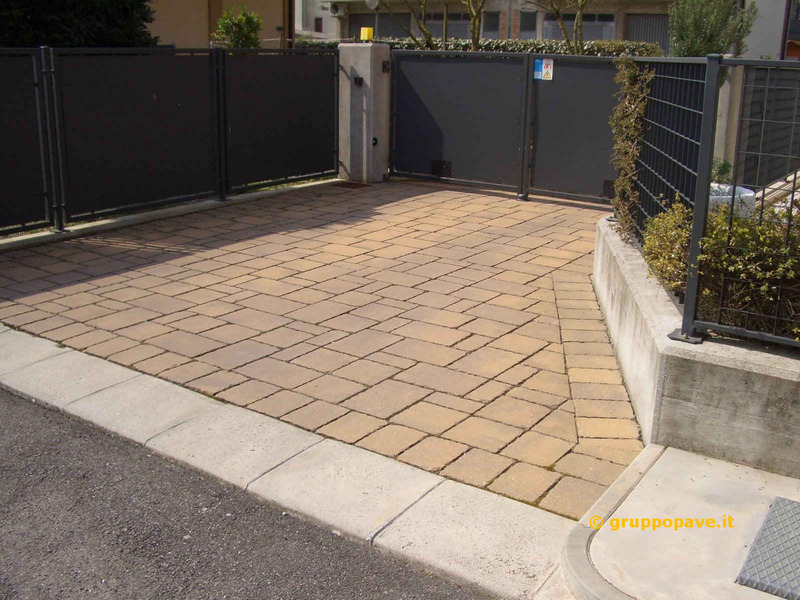 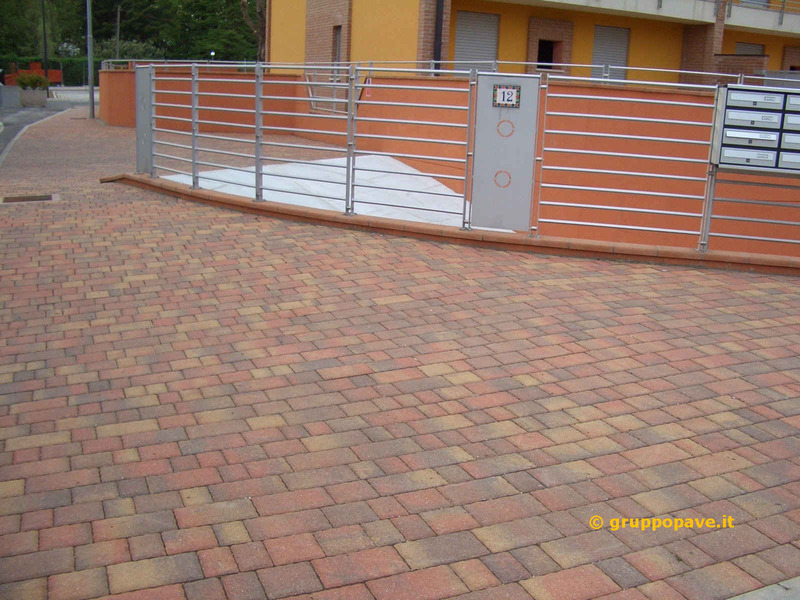 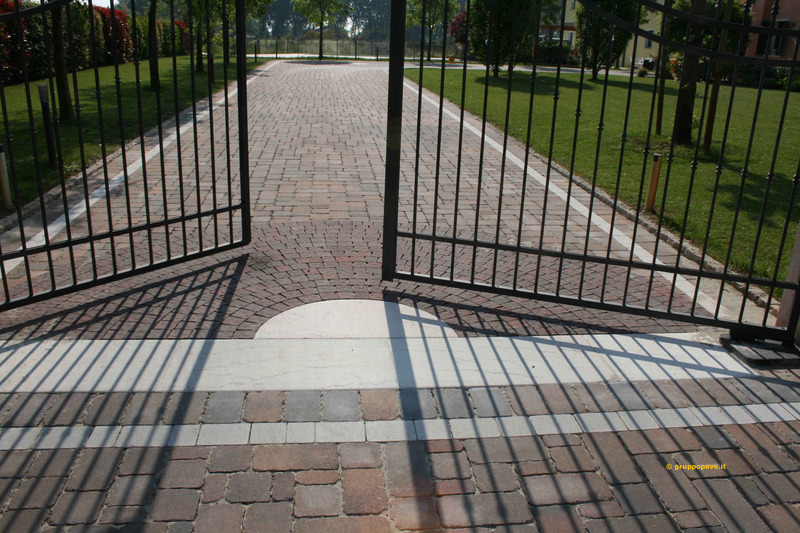 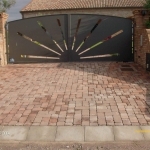 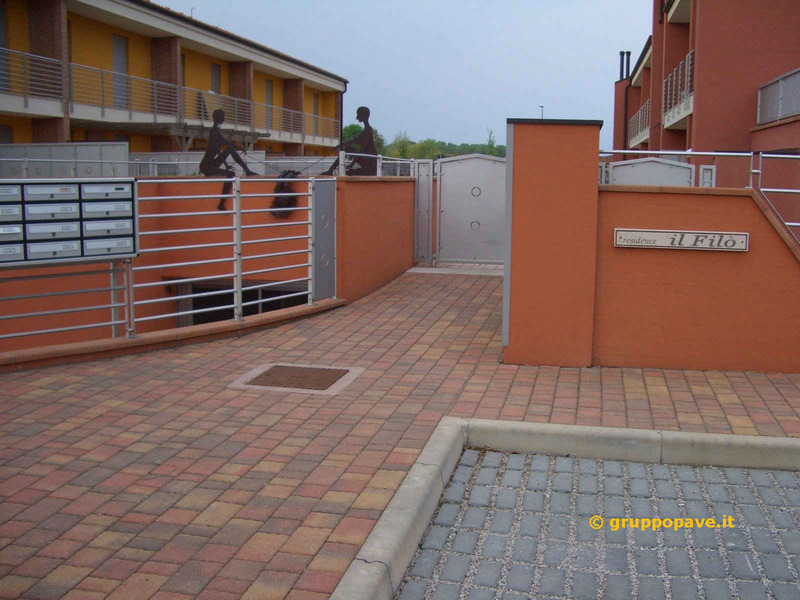 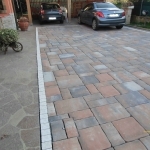 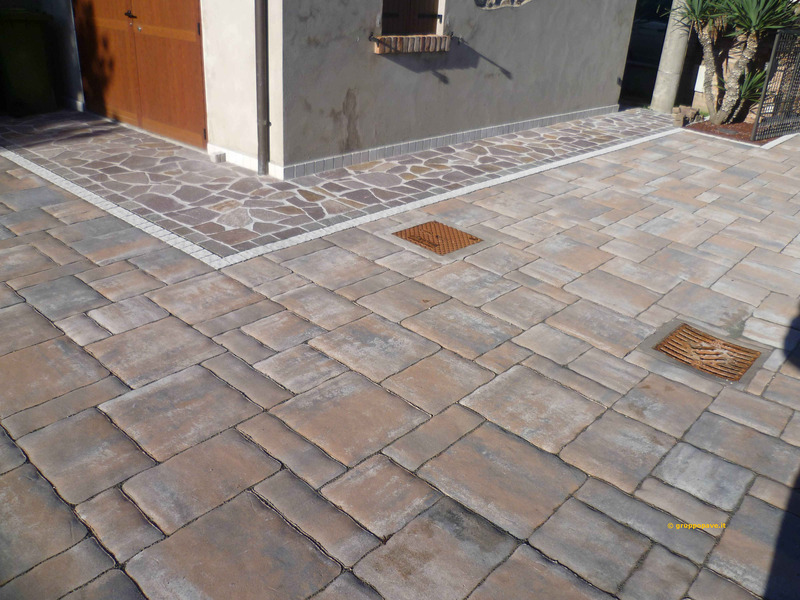 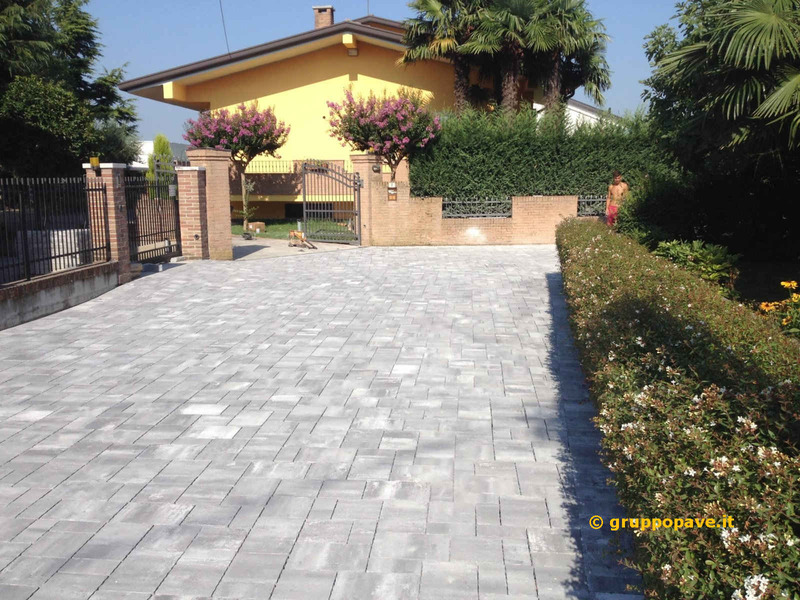 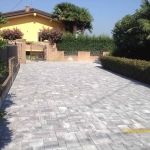 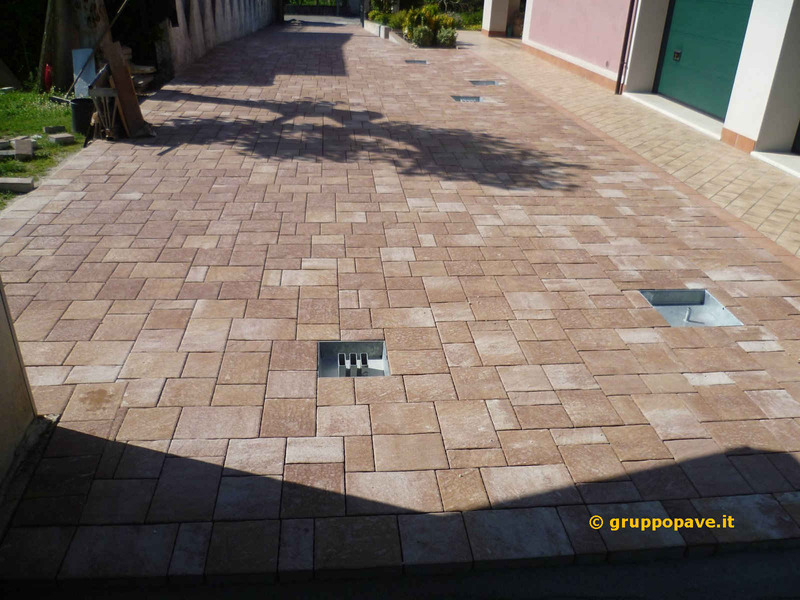 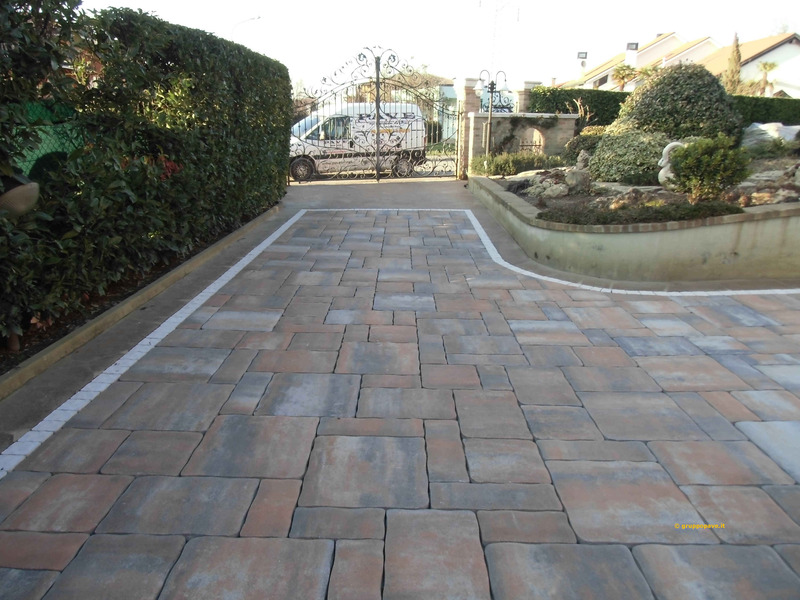 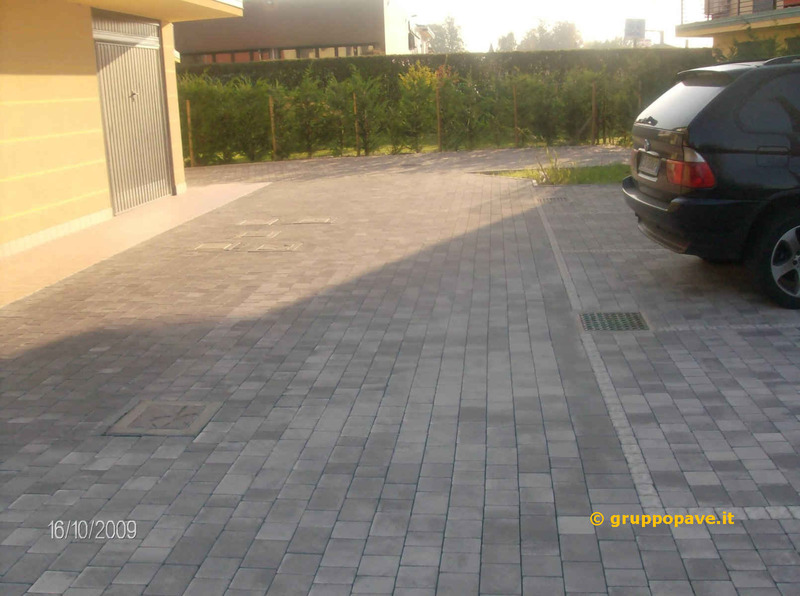 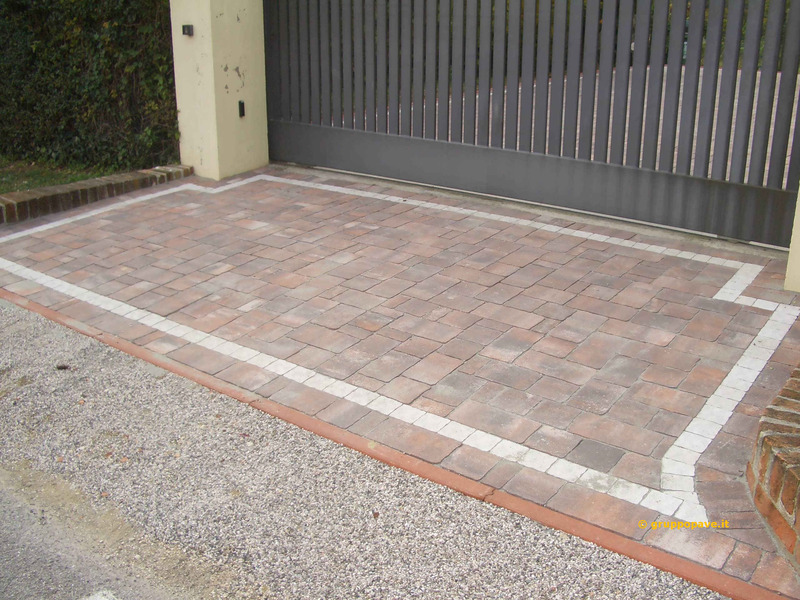 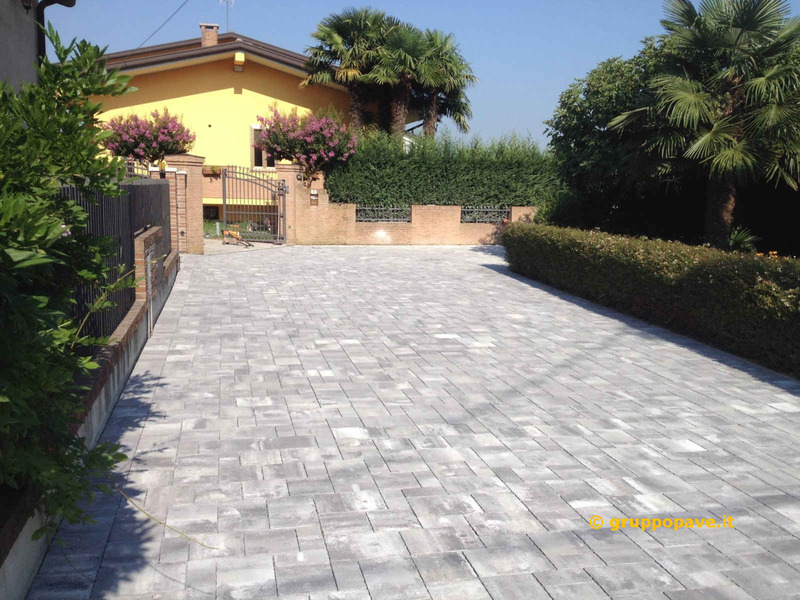 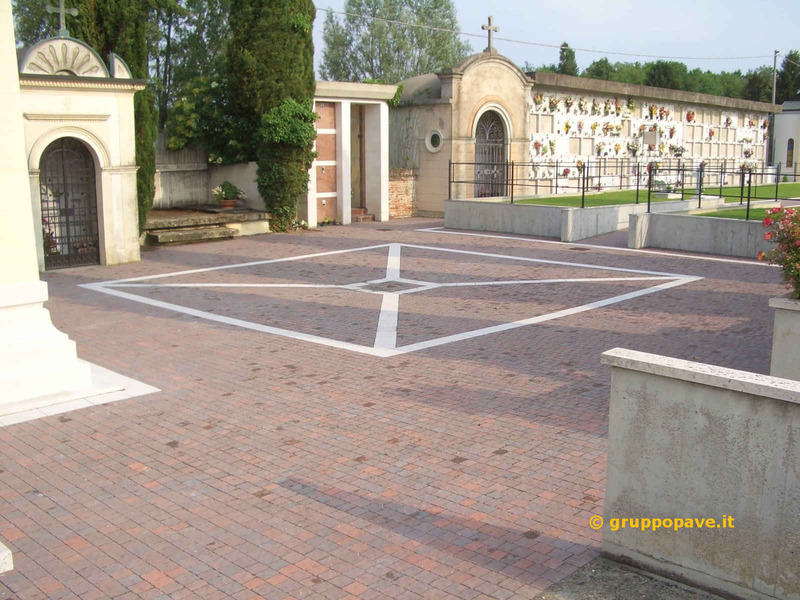 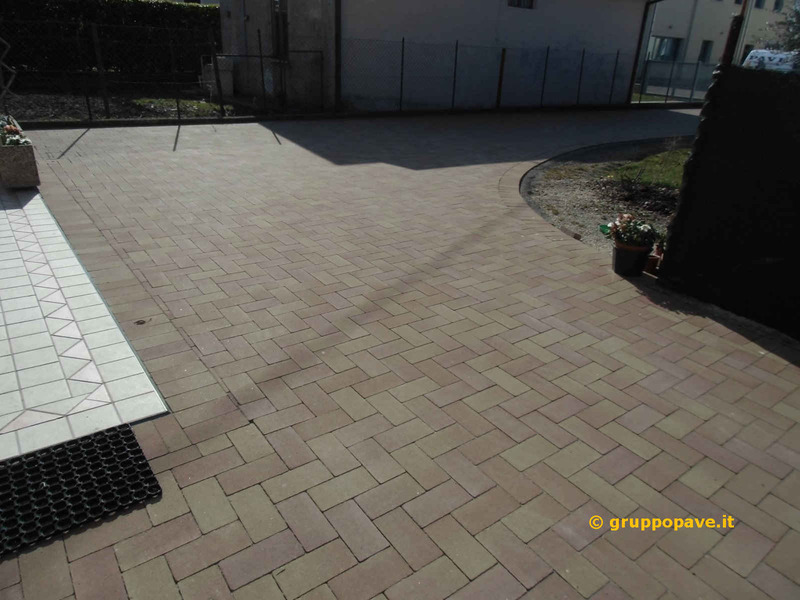 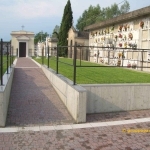 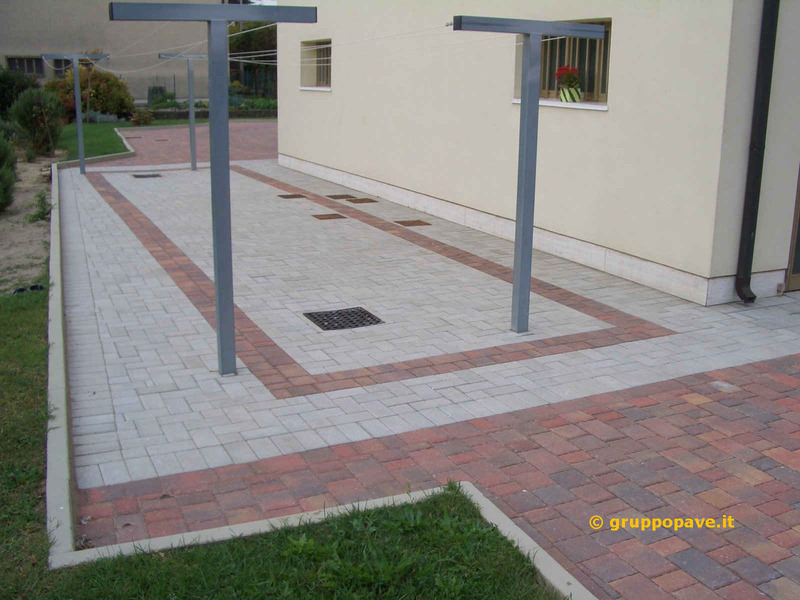 In addition the paving with interlocking blocks guarantees to any outside public or private location, a touch of style and aesthetic elegance. 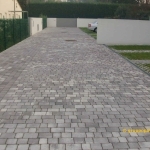 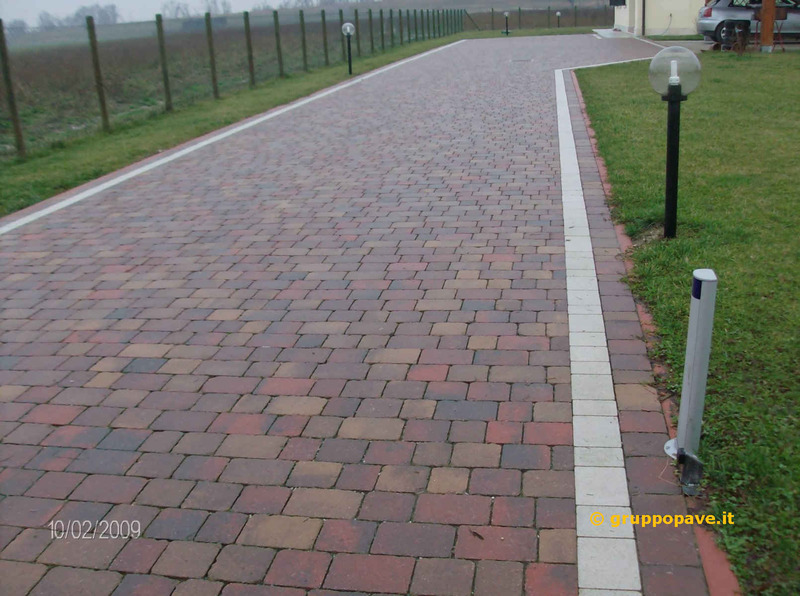 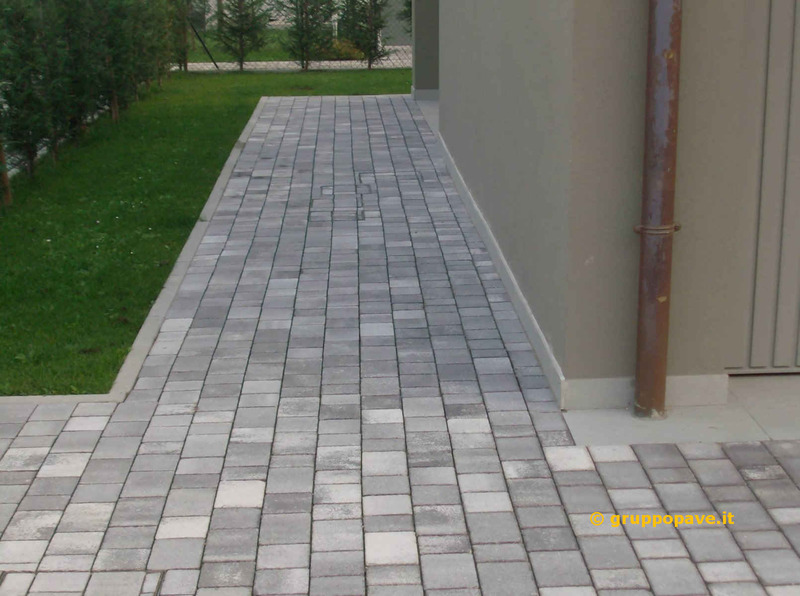 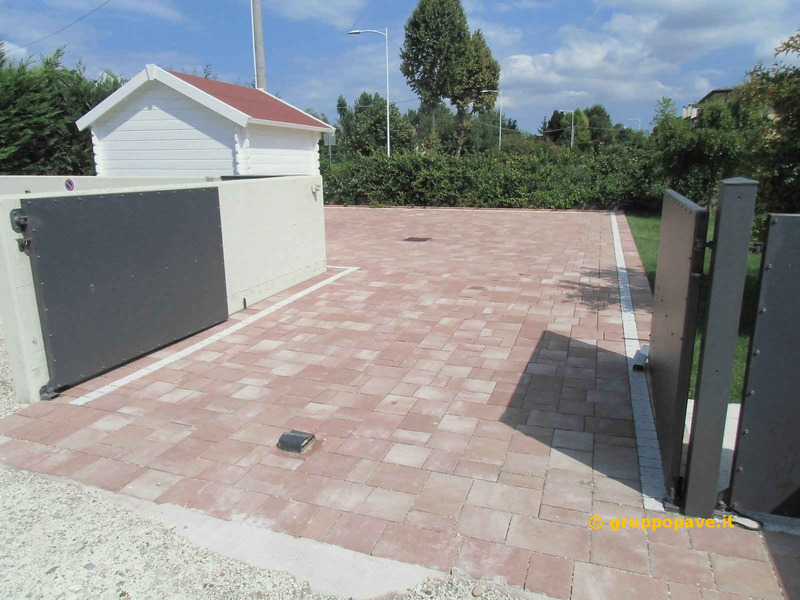 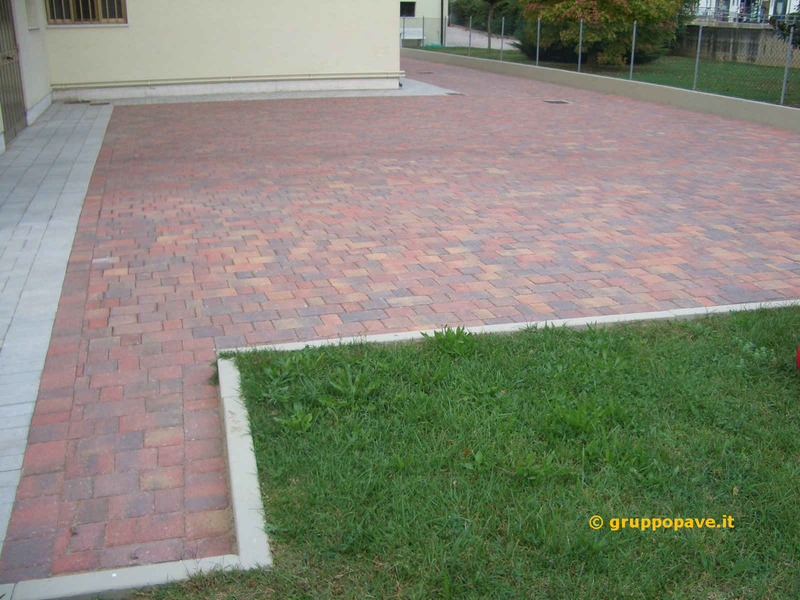 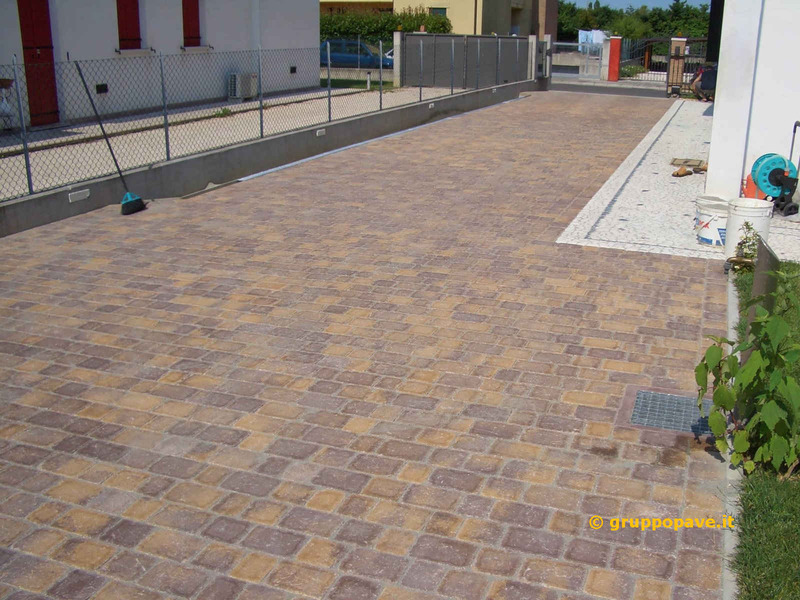 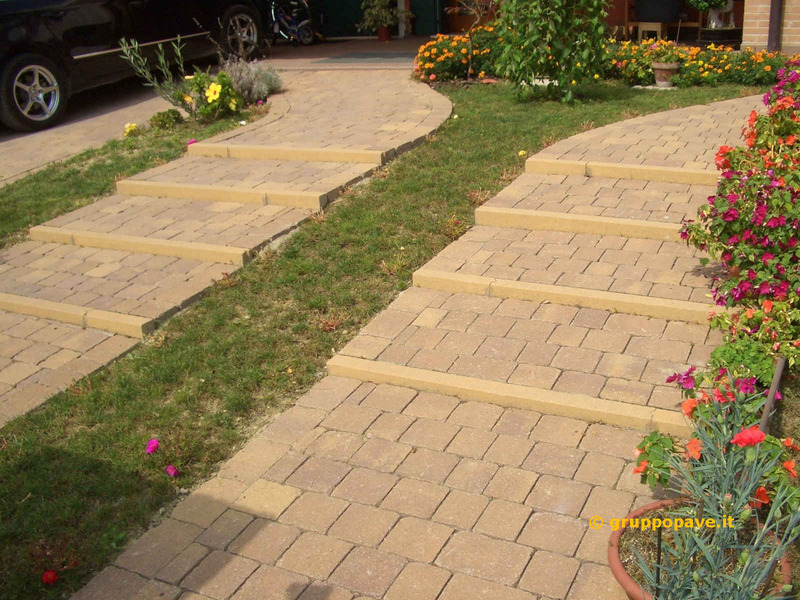 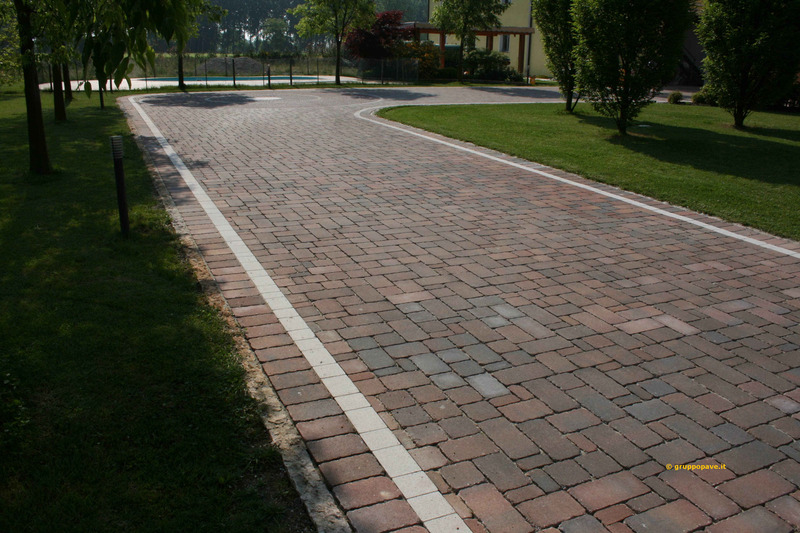 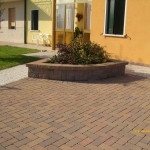 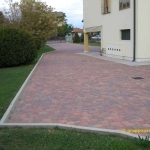 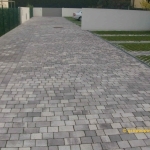 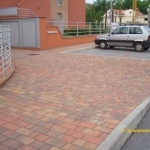 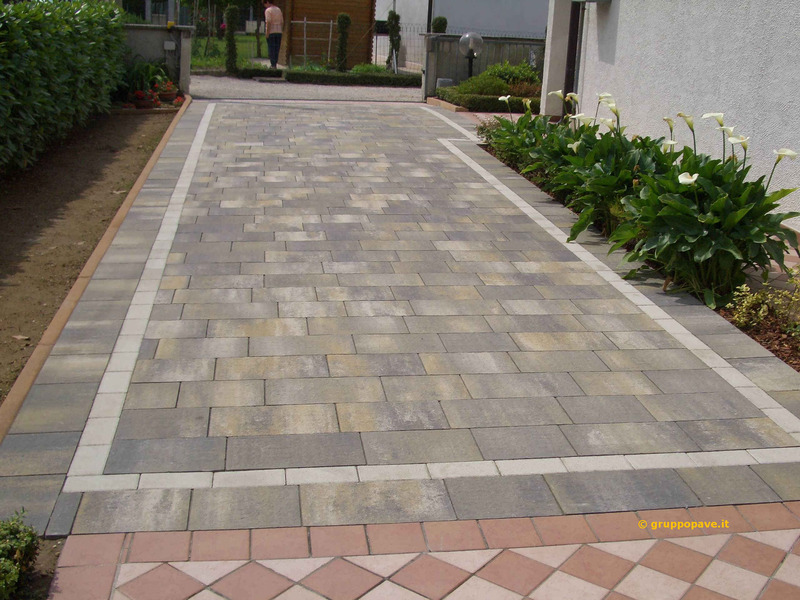 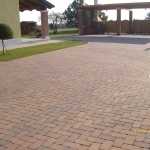 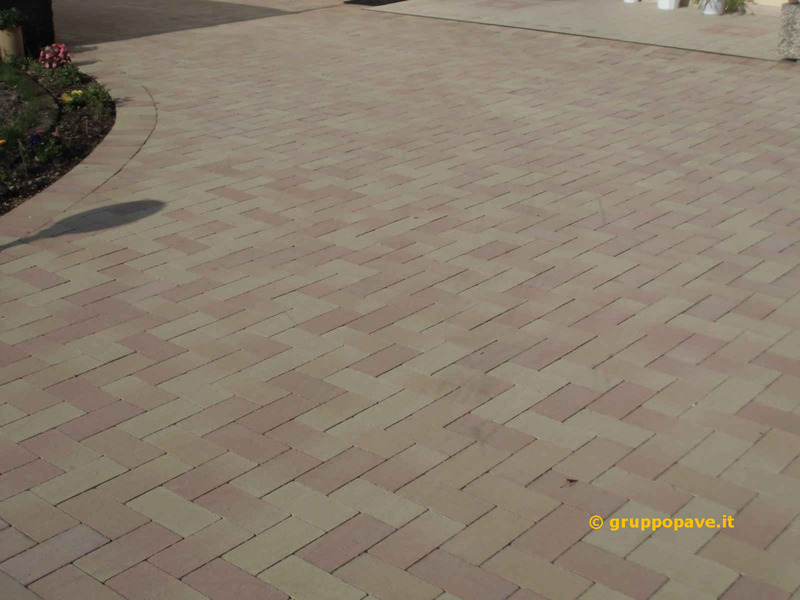 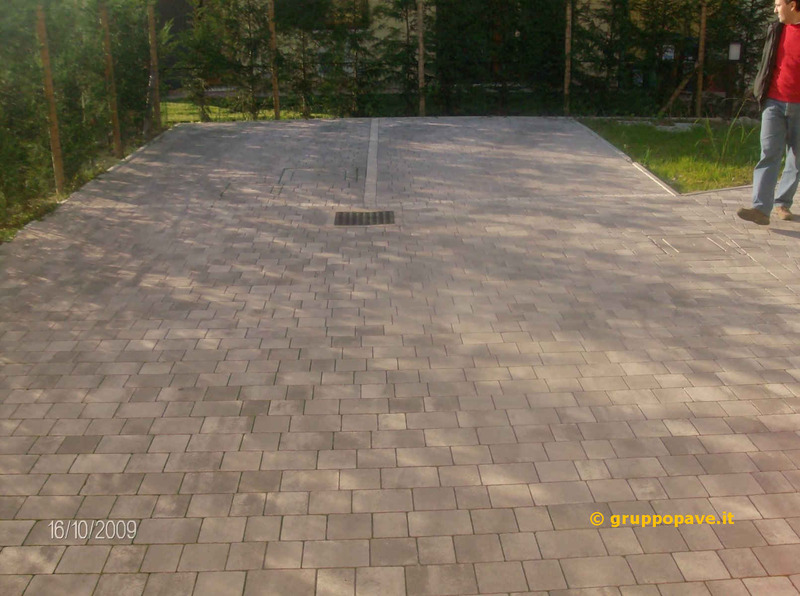 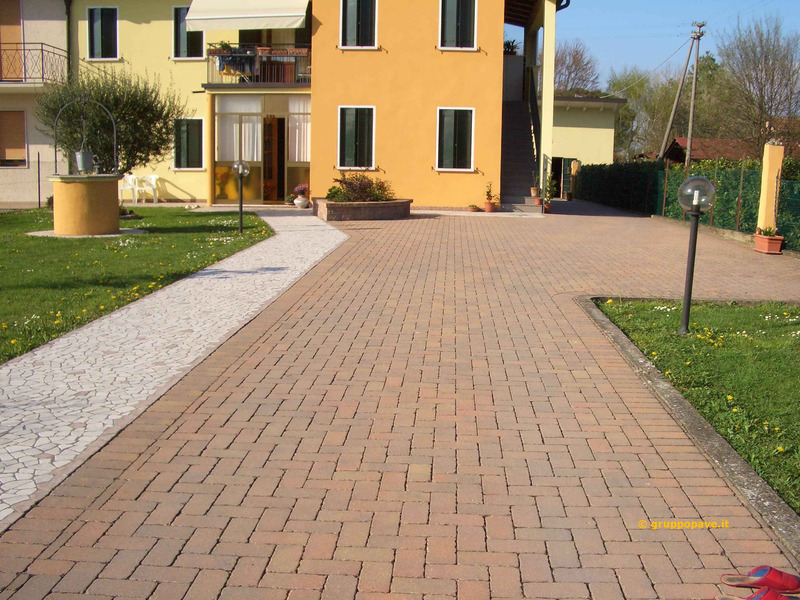 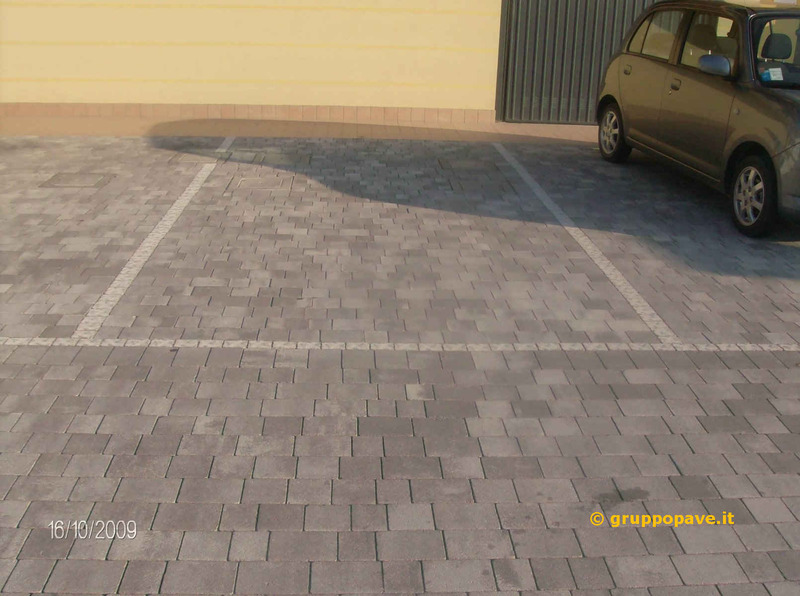 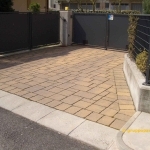 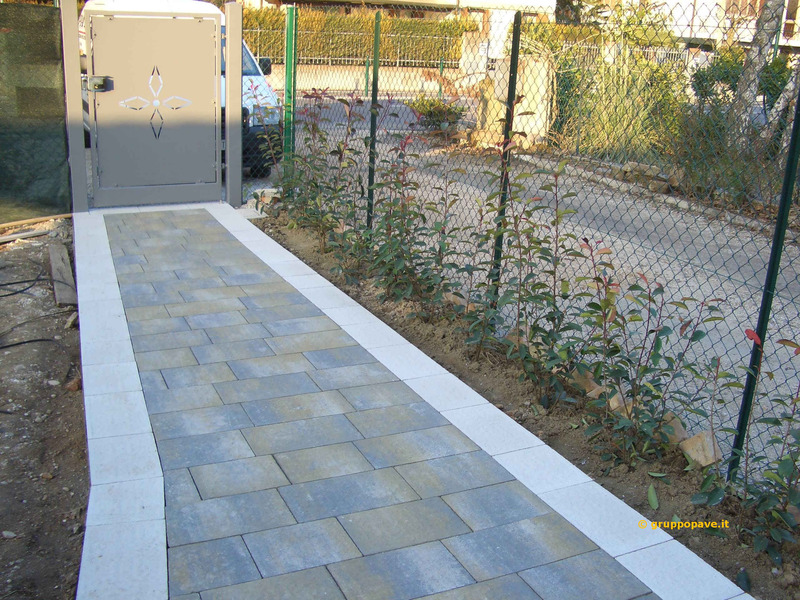 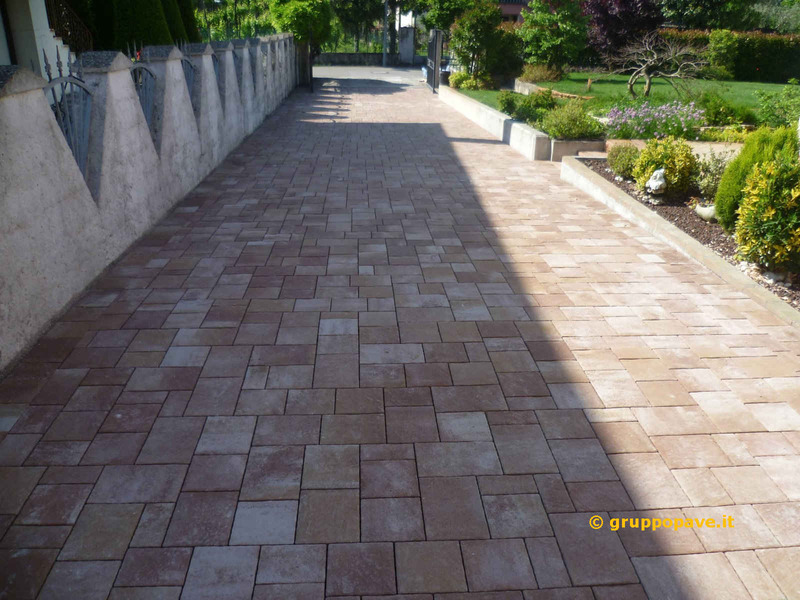 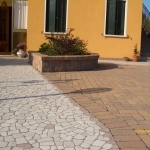 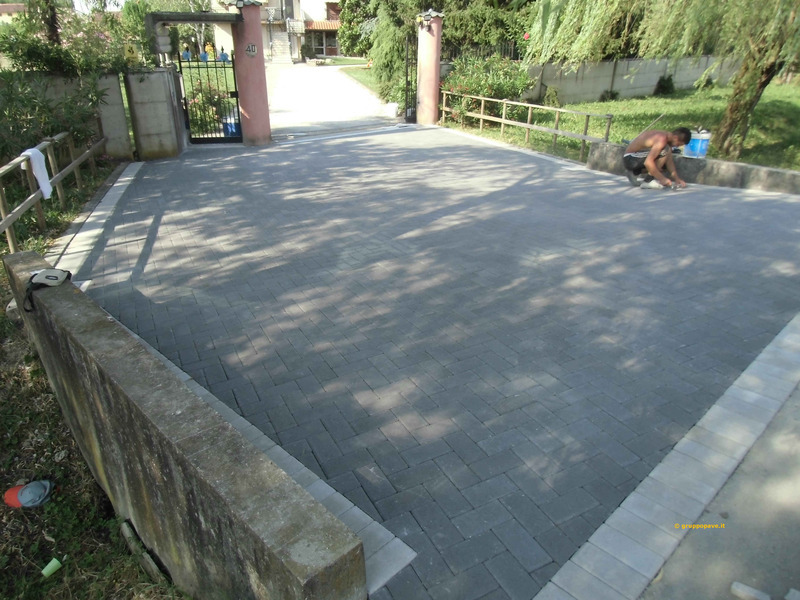 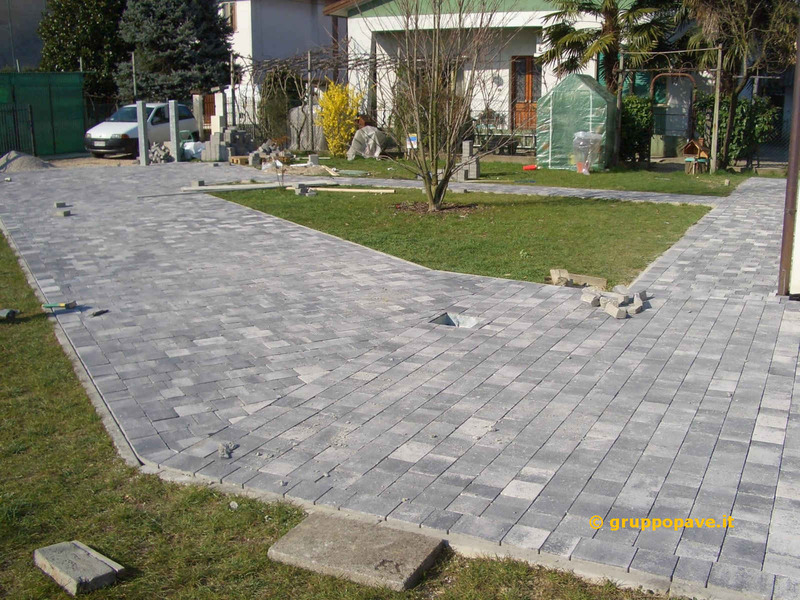 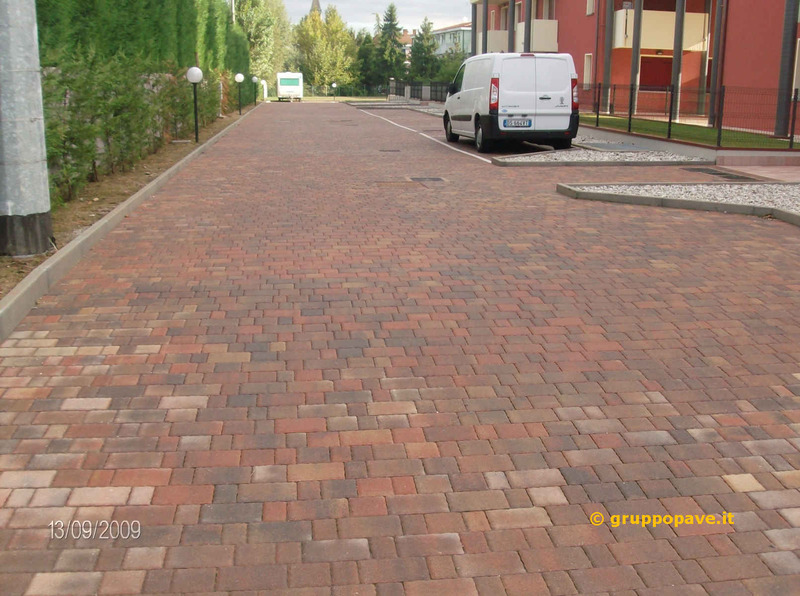 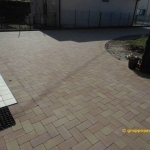 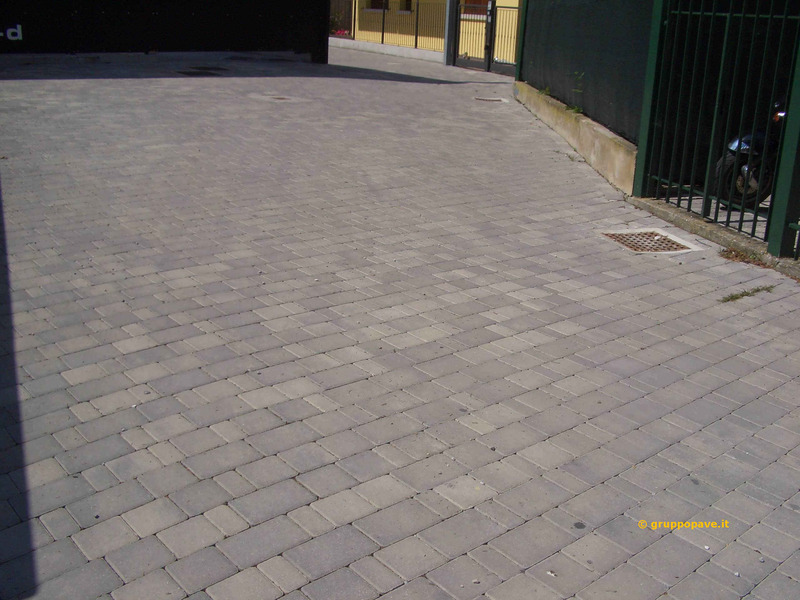 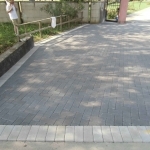 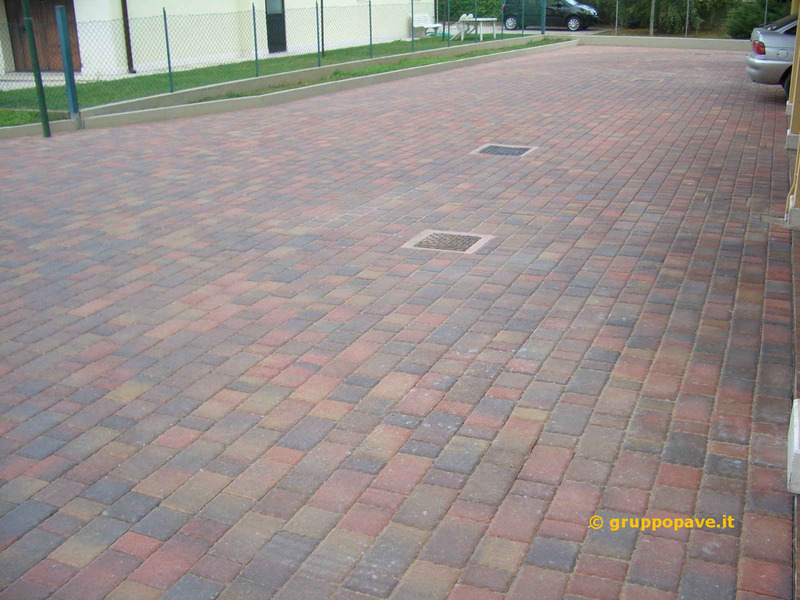 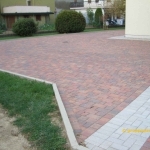 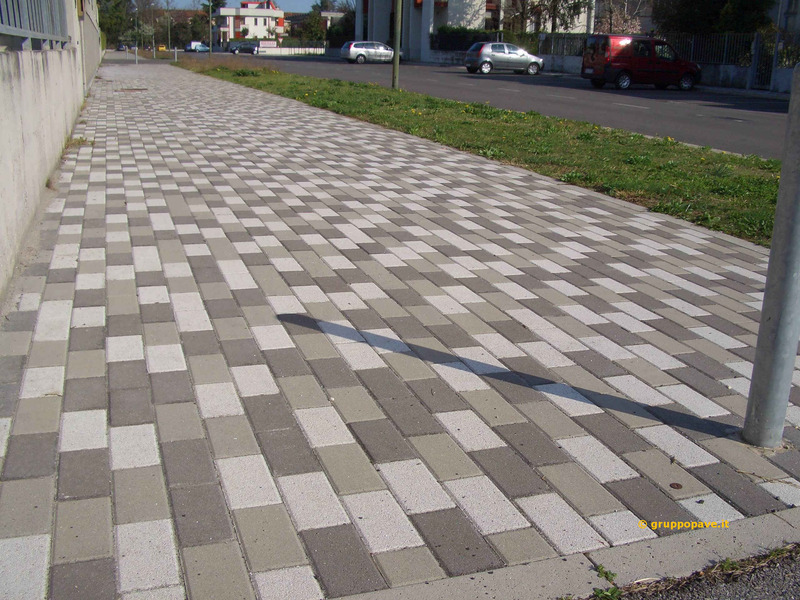 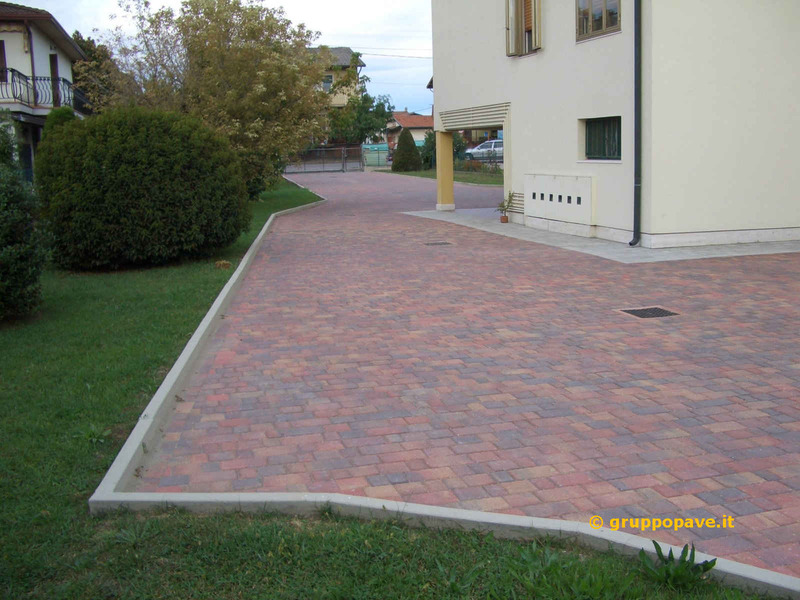 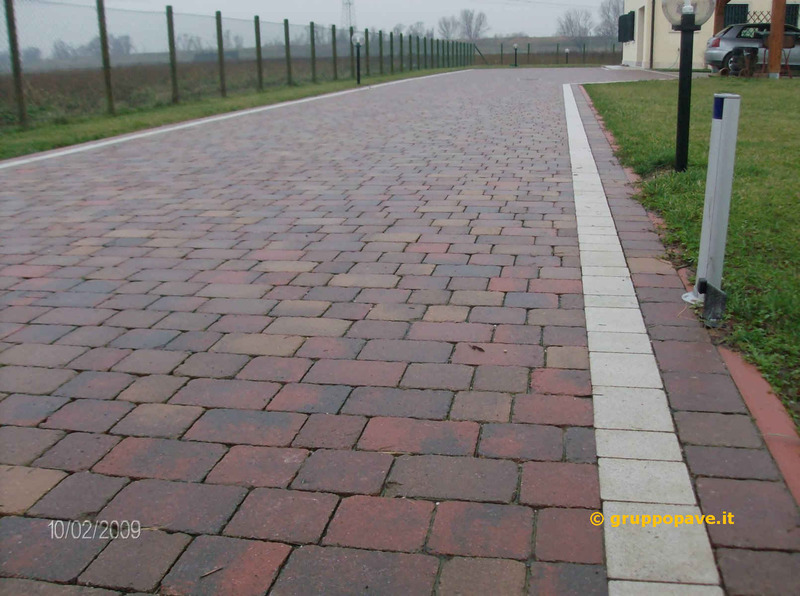 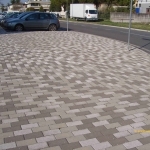 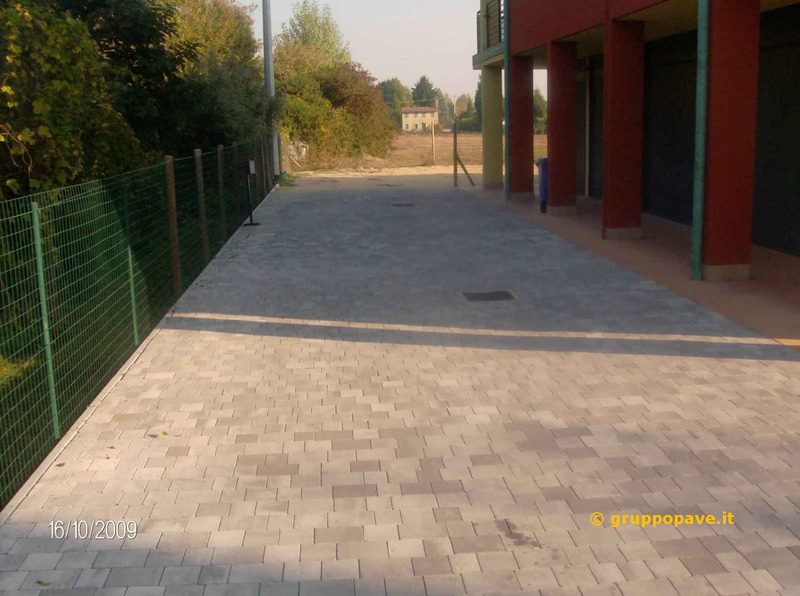 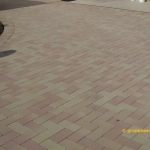 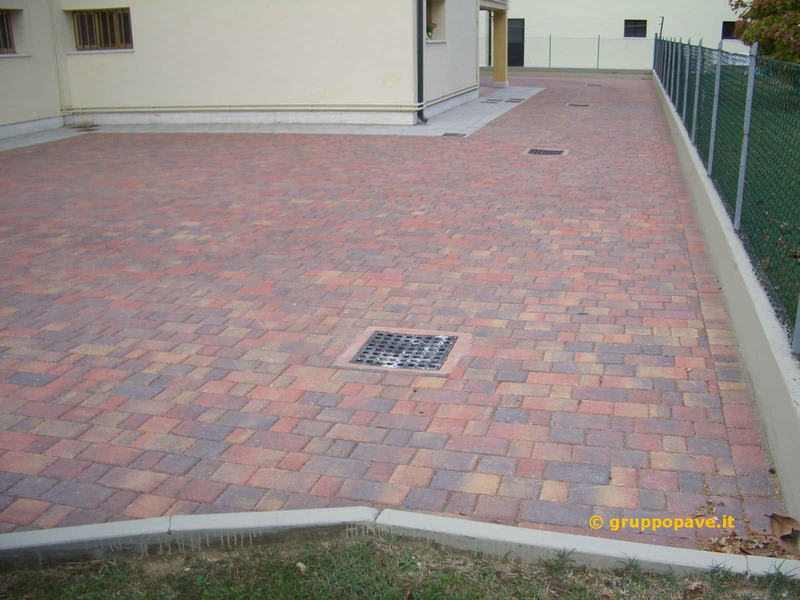 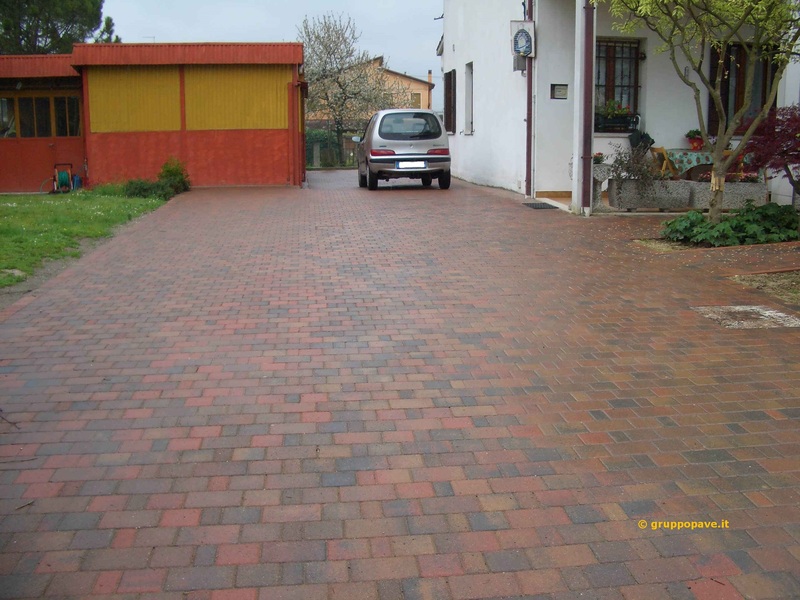 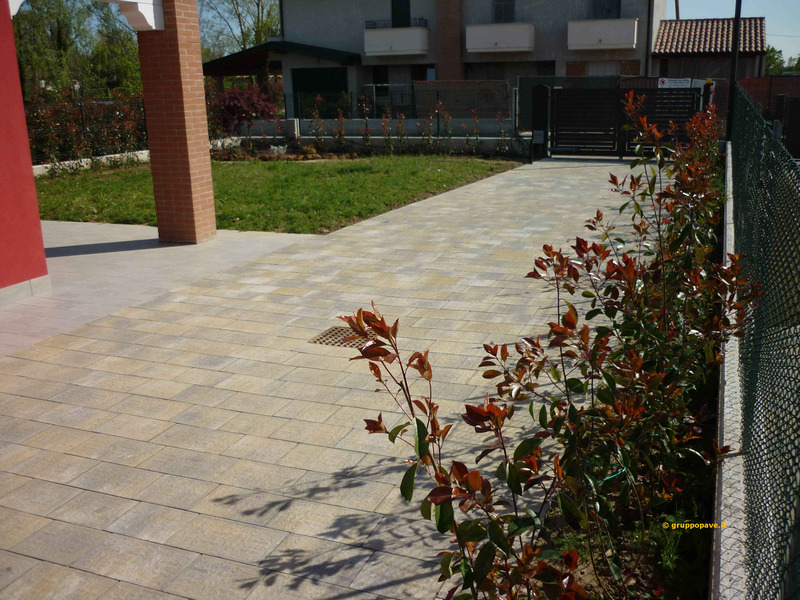 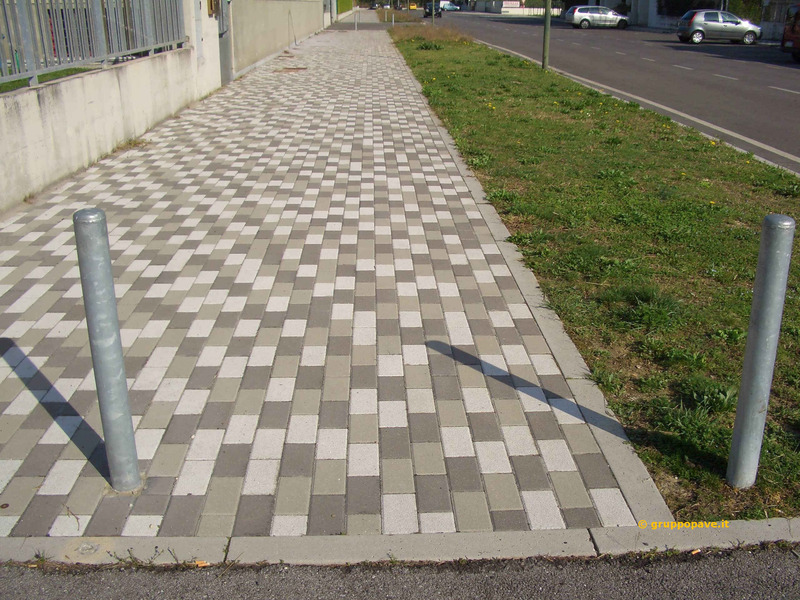 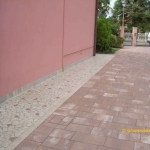 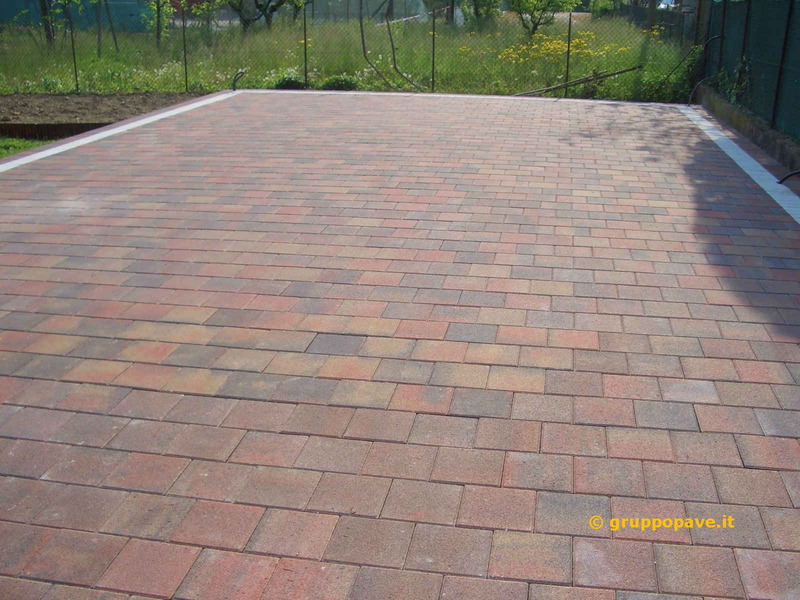 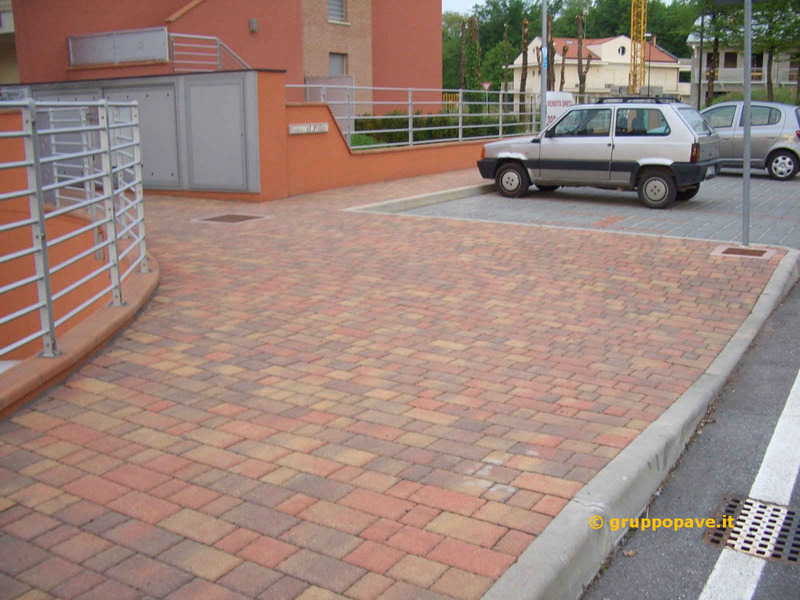 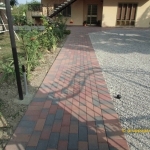 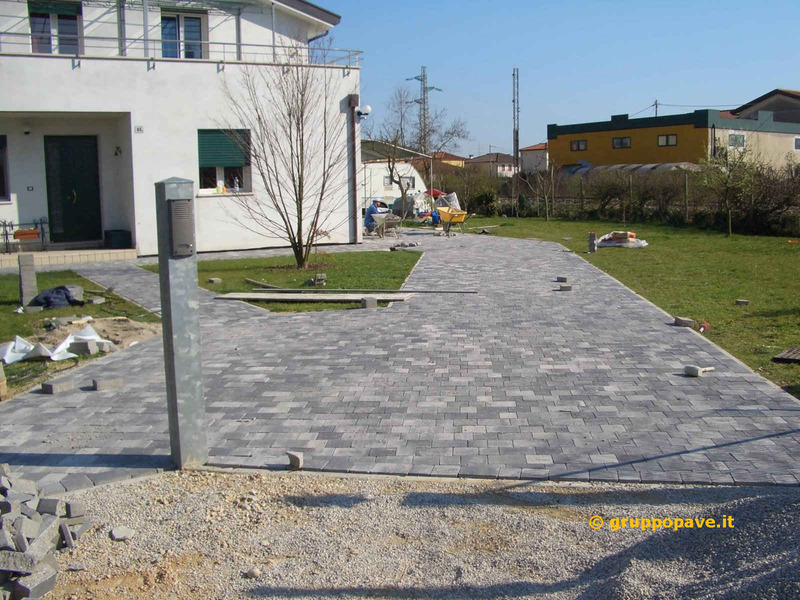 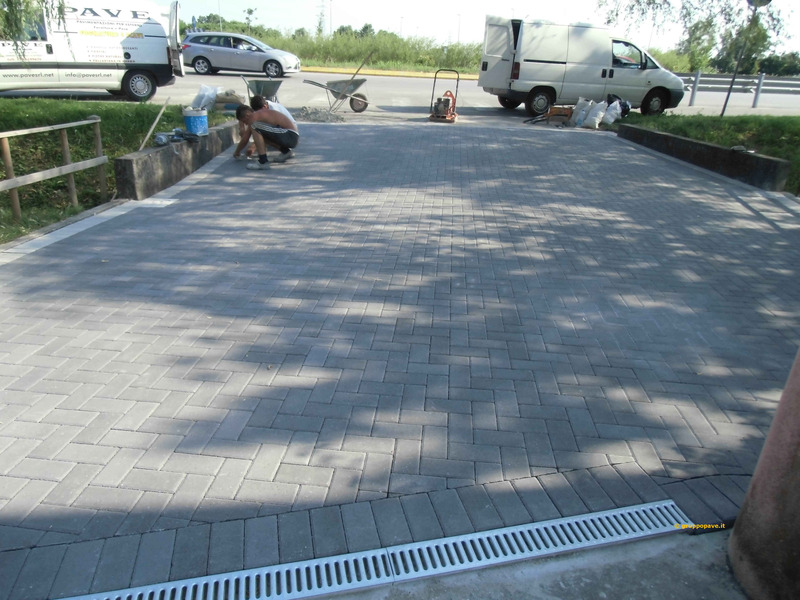 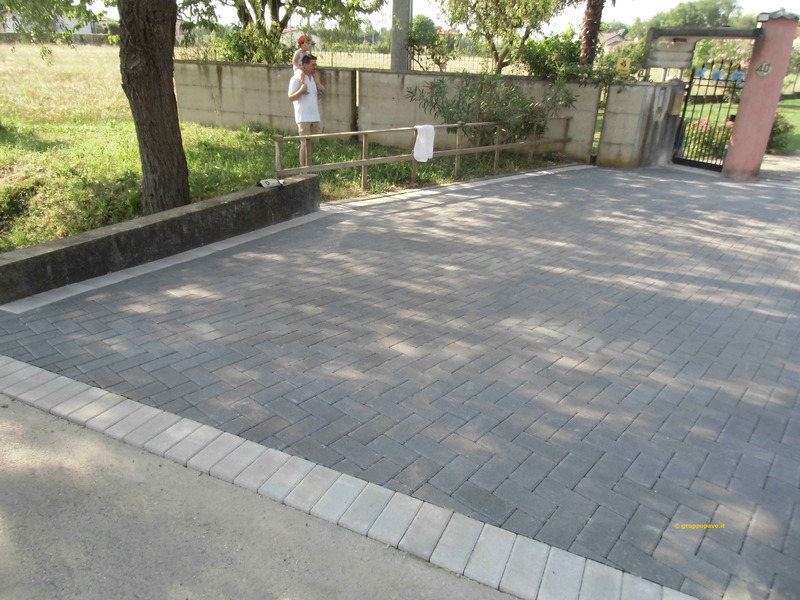 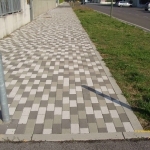 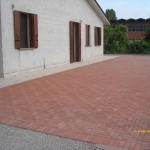 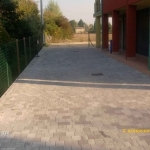 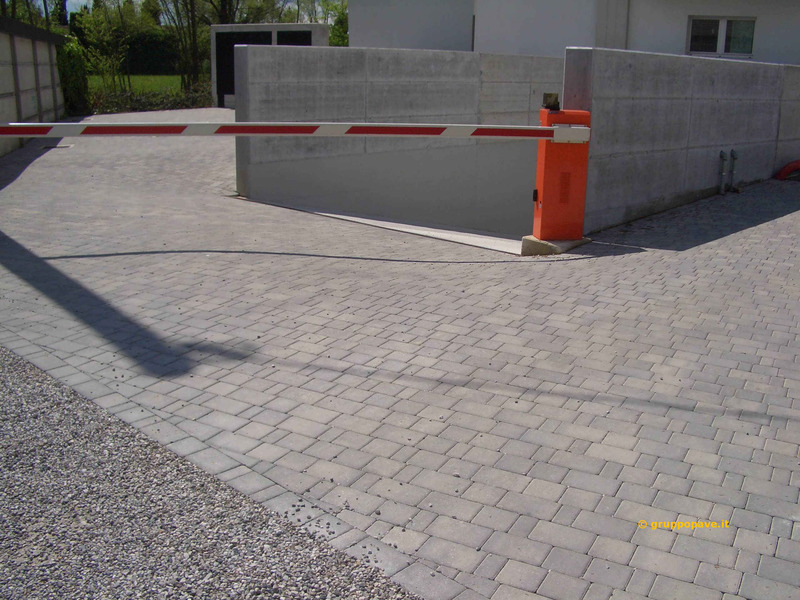 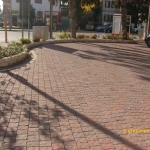 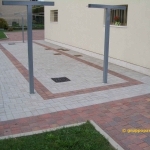 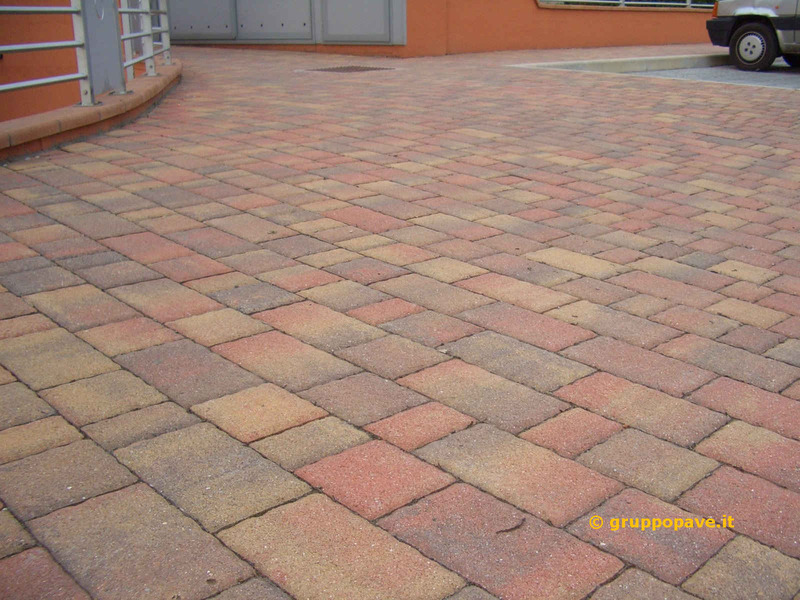 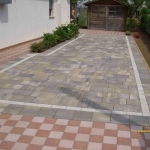 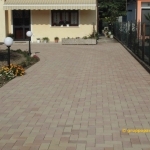 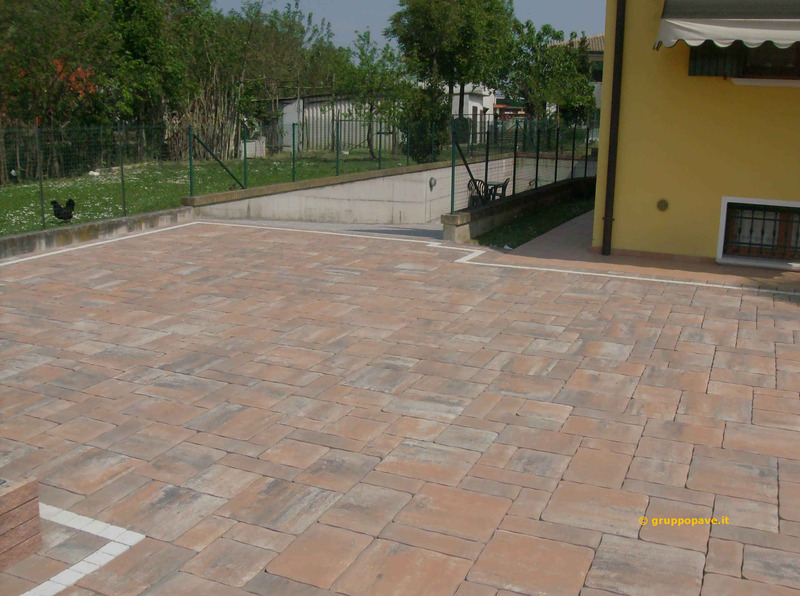 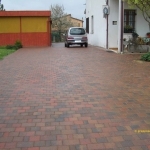 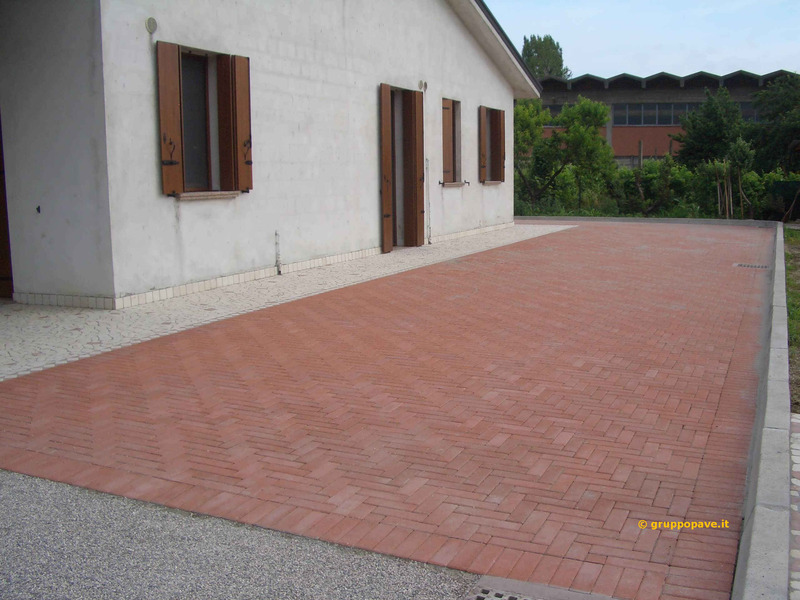 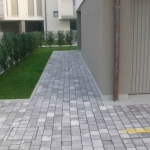 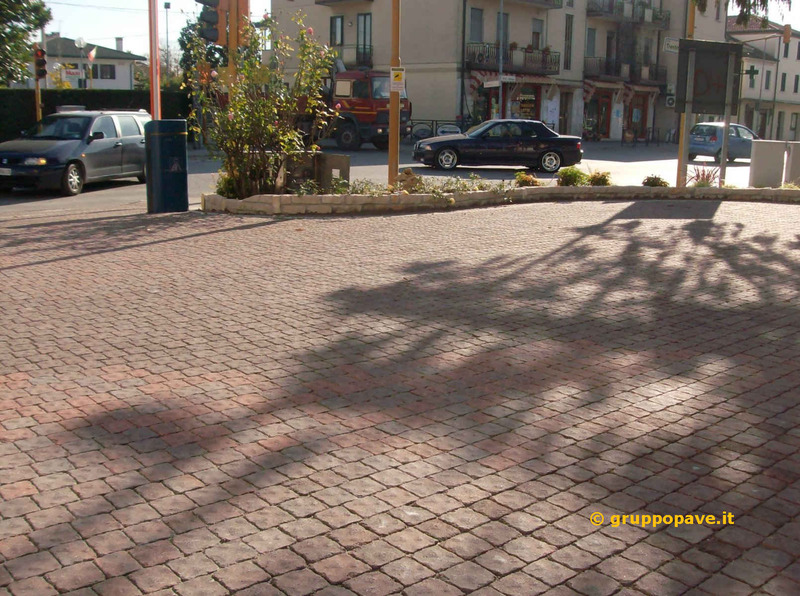 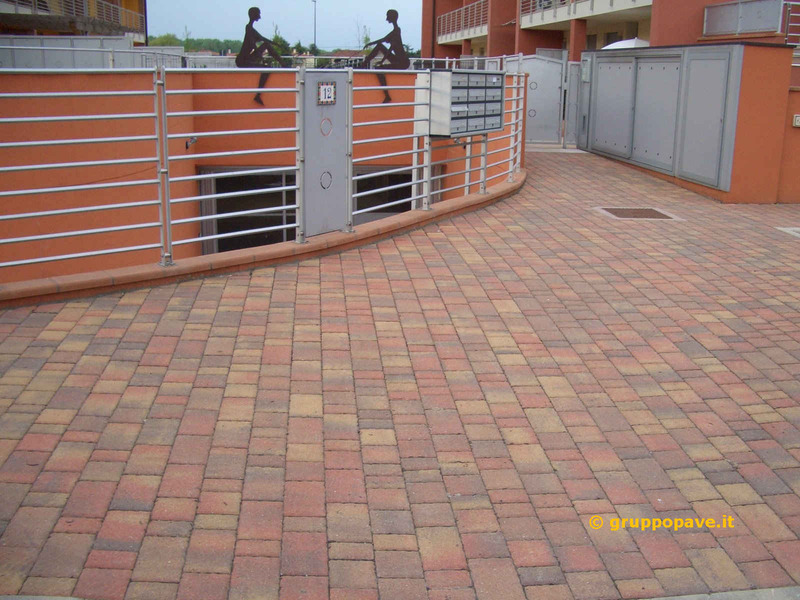 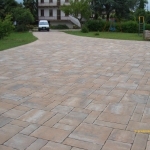 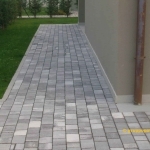 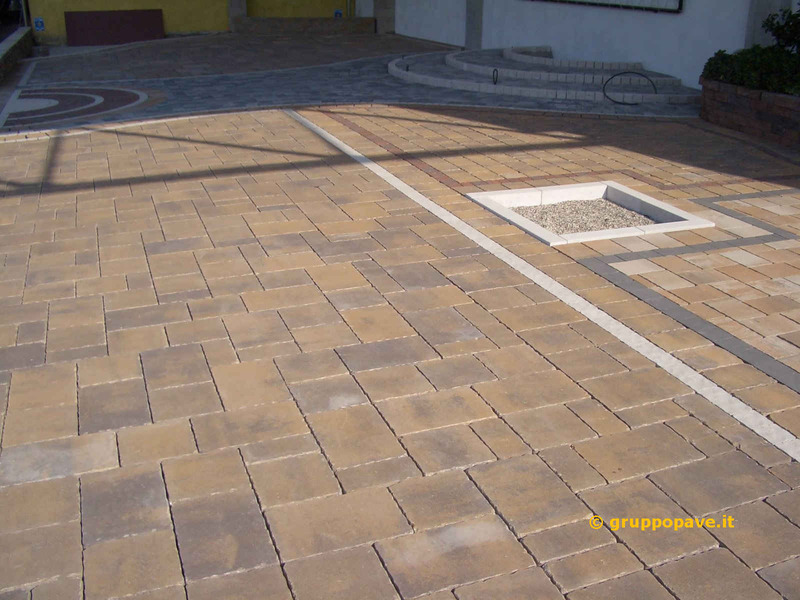 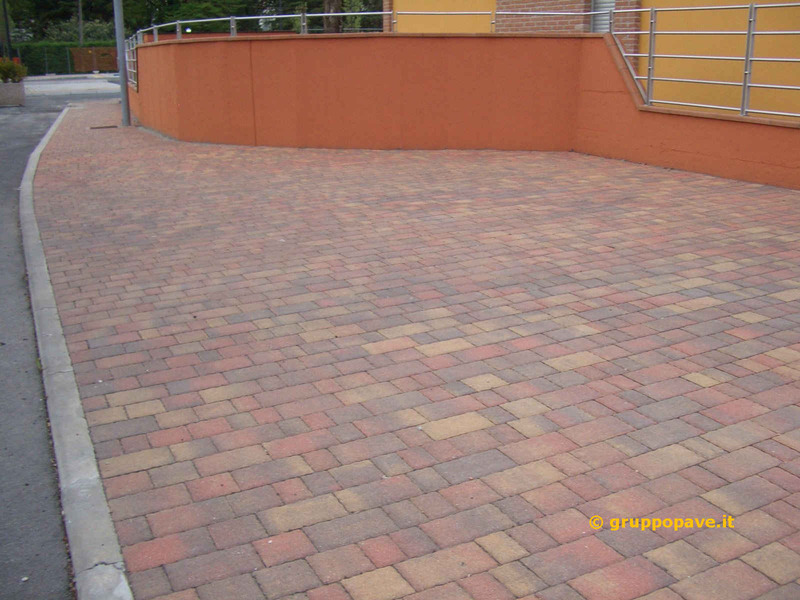 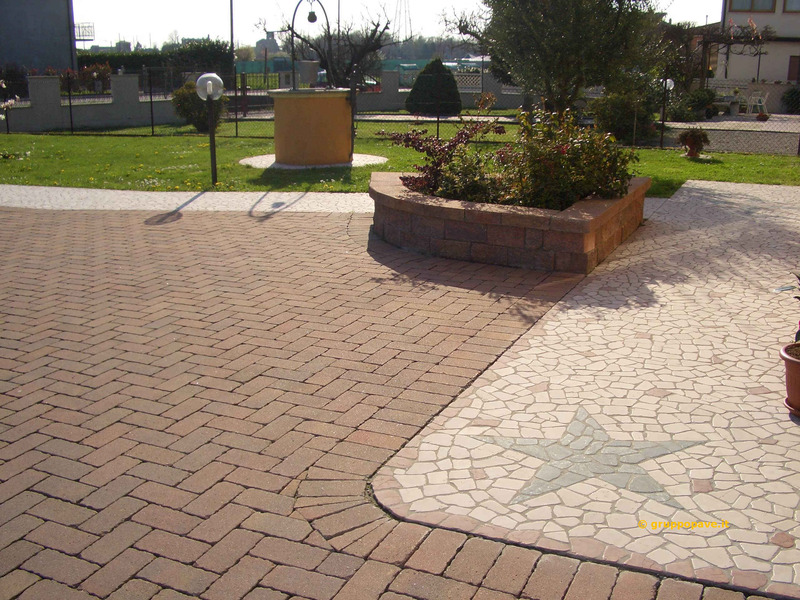 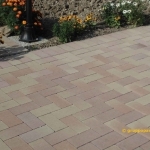 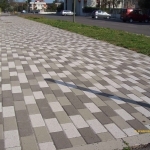 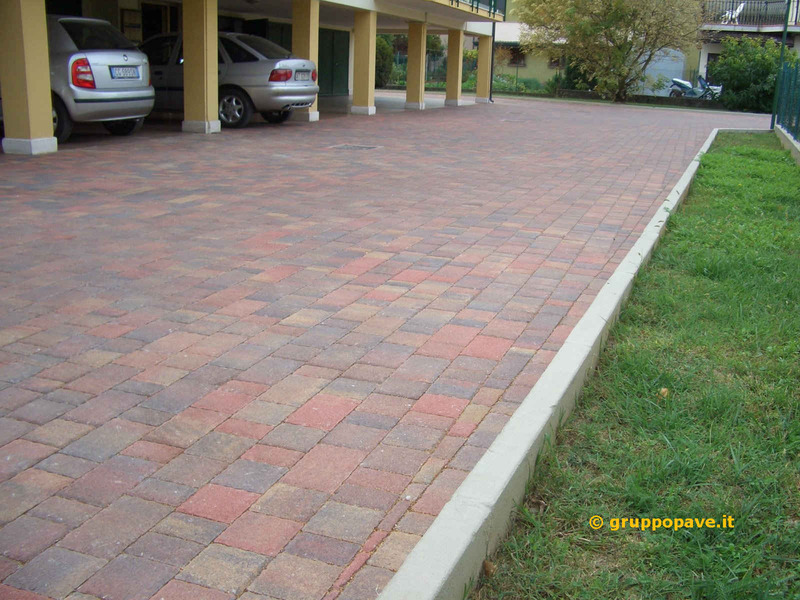 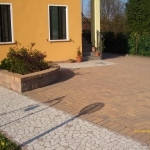 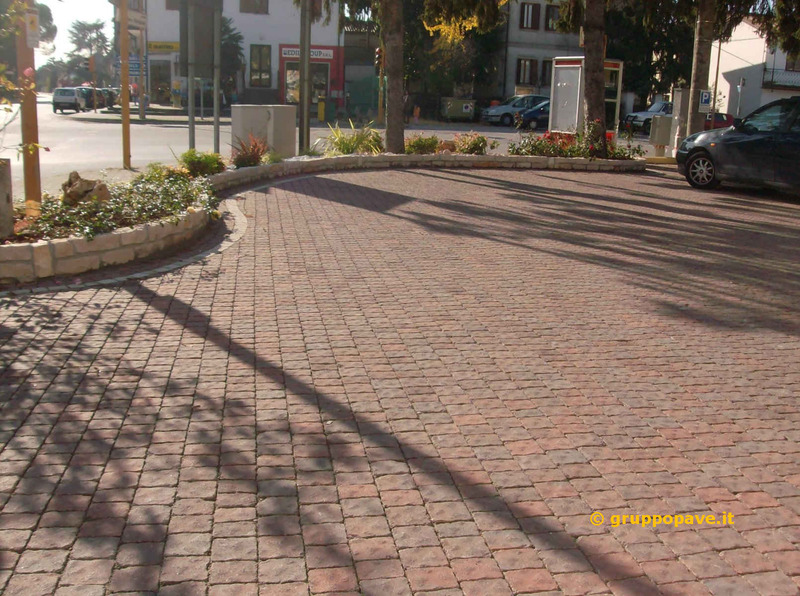 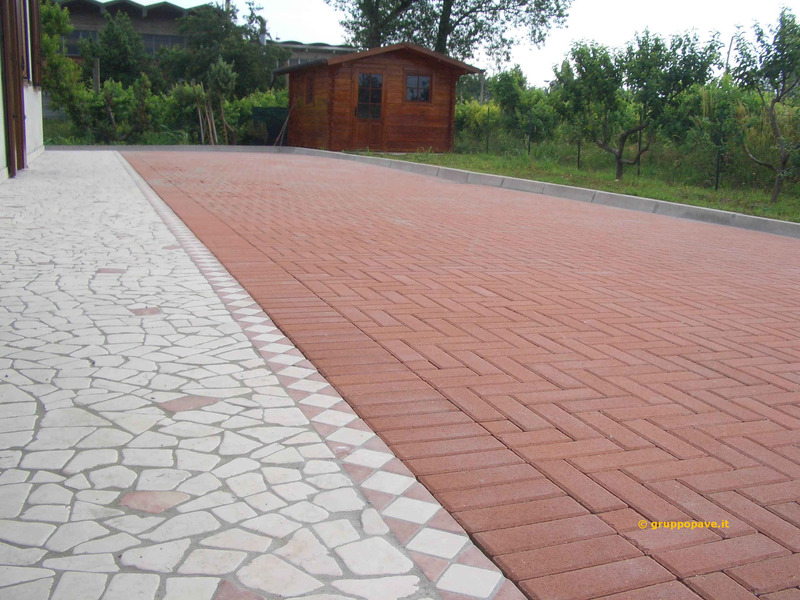 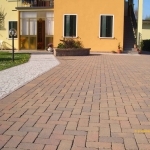 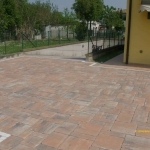 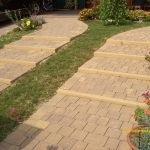 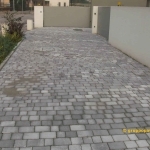 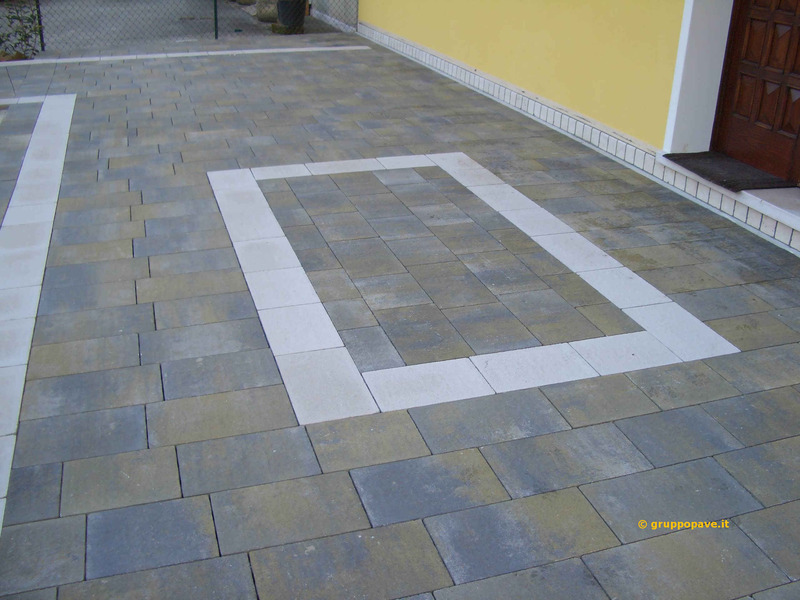 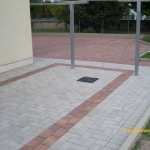 Finally, interlocking blocks enjoy a great versatility: in fact these are used for flooring public areas such as sidewalks, streets, squares, parks and for the paving of courtyards, gardens, gazebo and walkways.